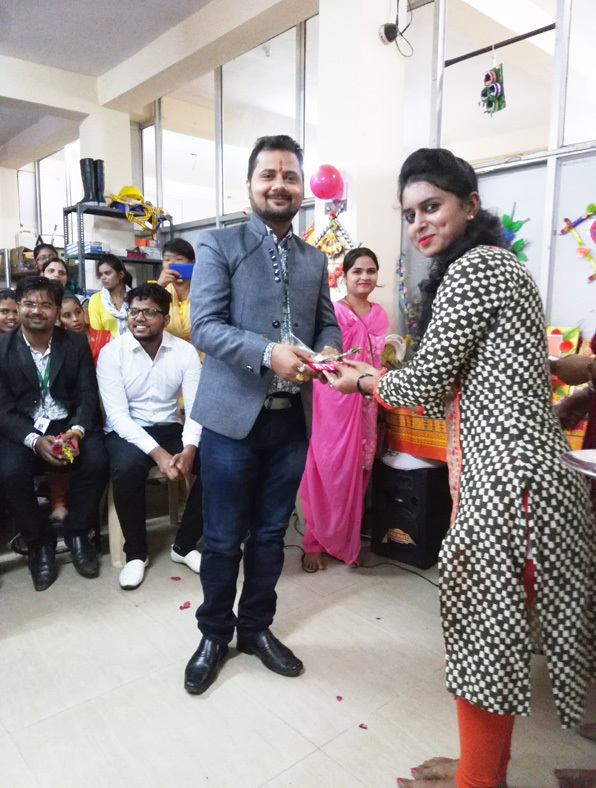 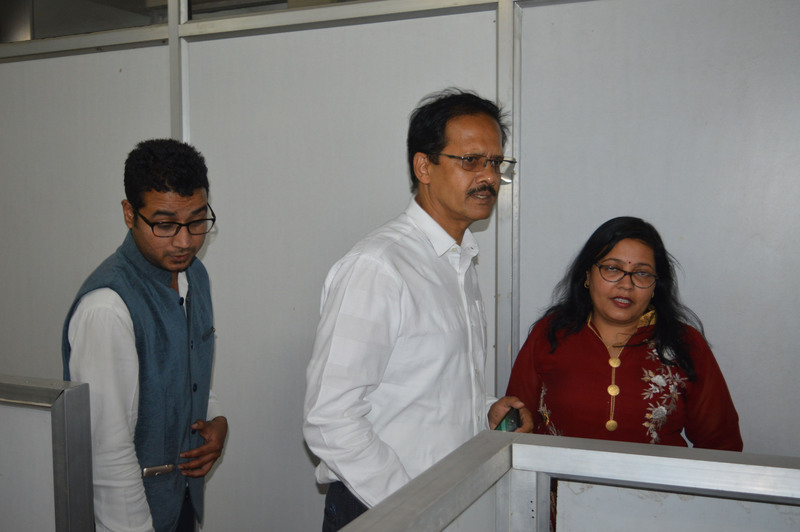 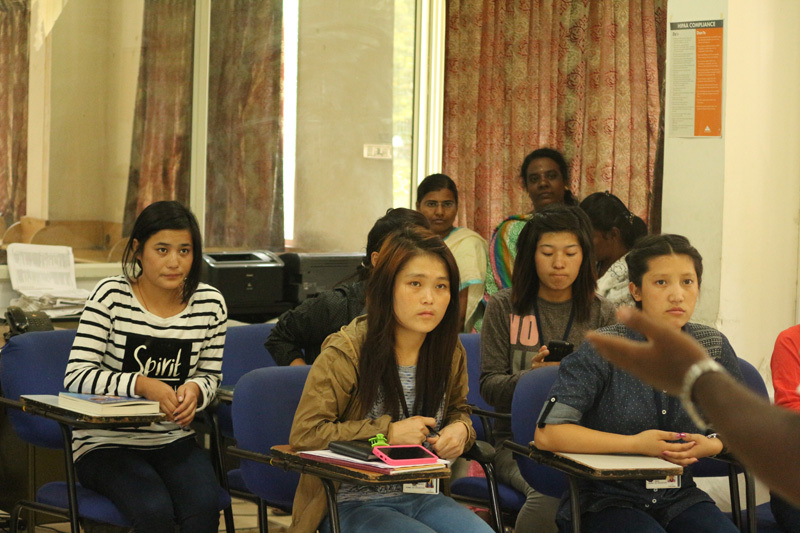 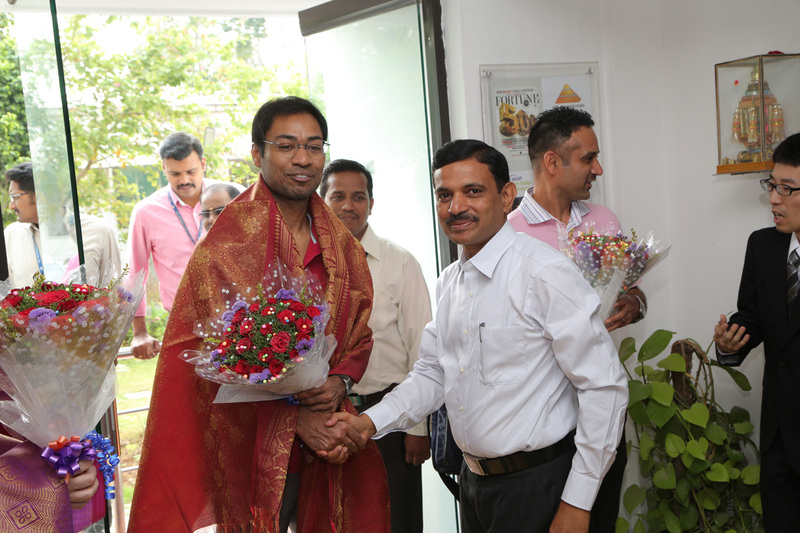 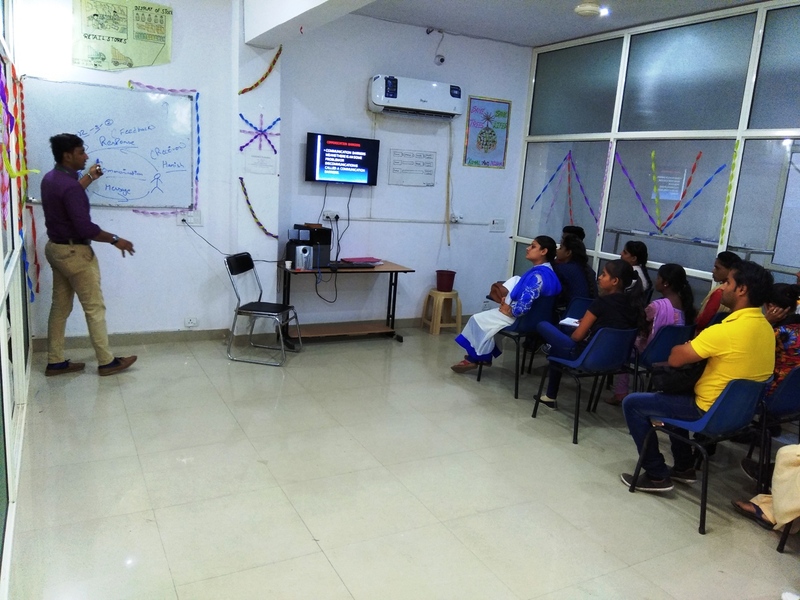 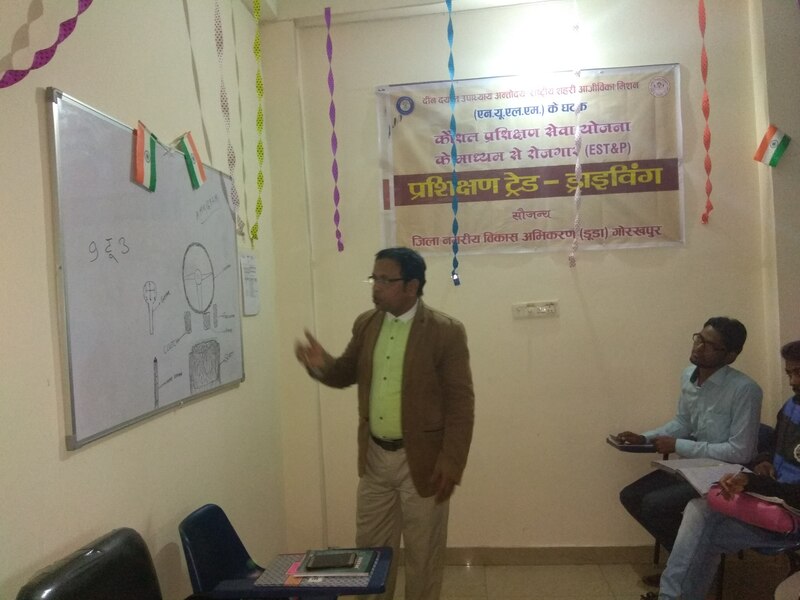 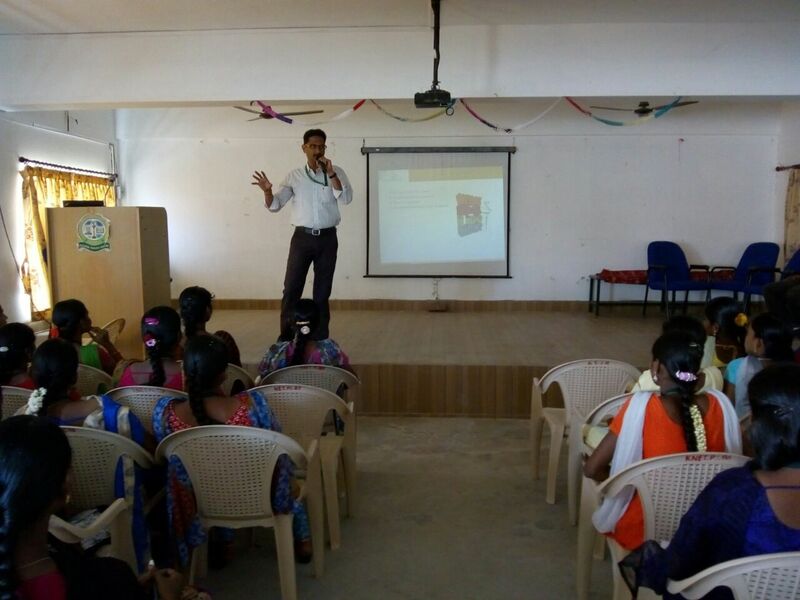 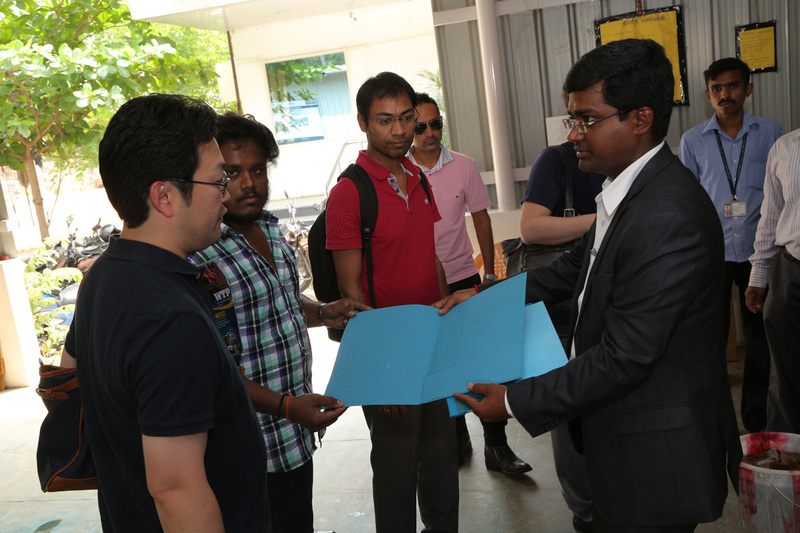 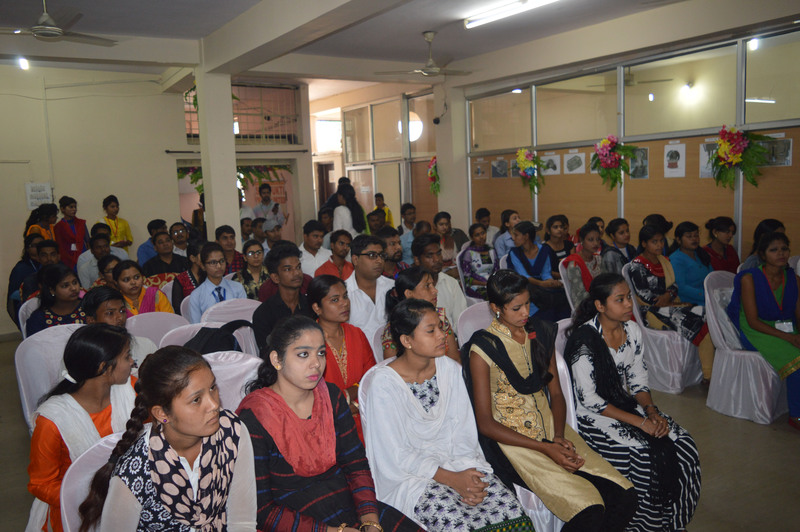 Career talk by Mr. Akhileswar from JSLPS, visited DDUGKY Ranchi center. 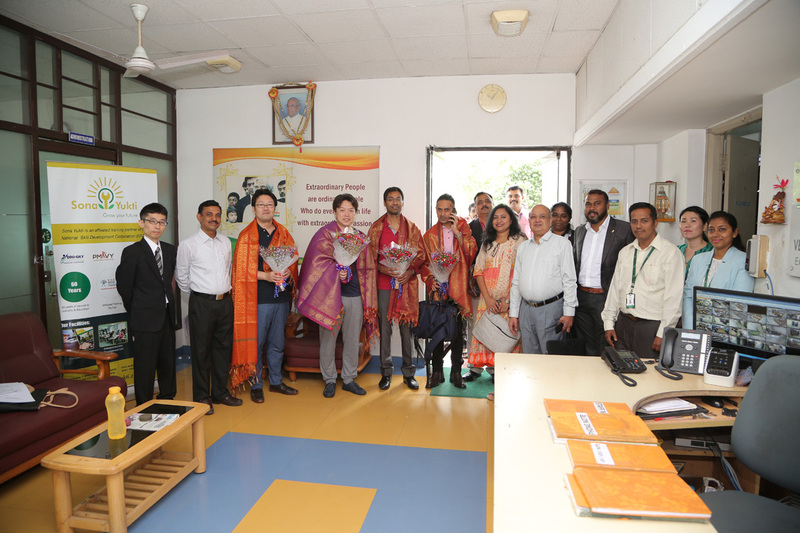 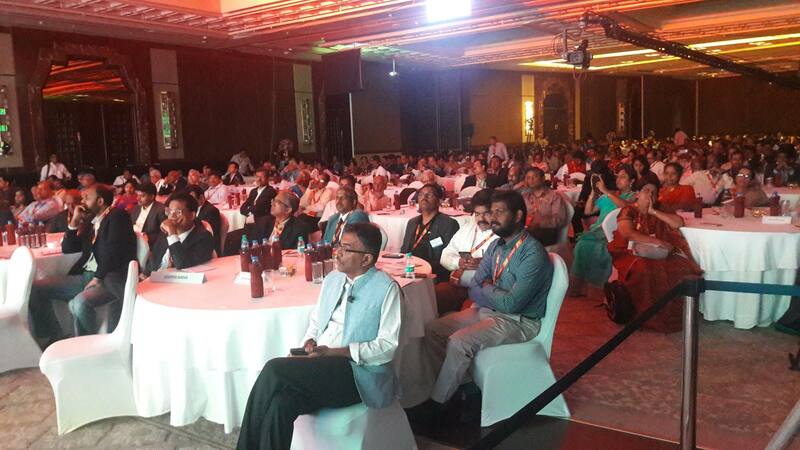 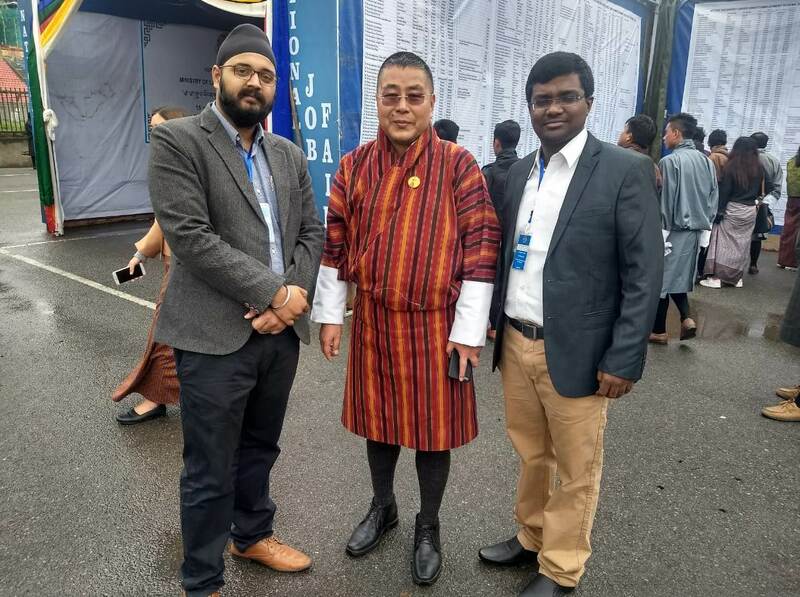 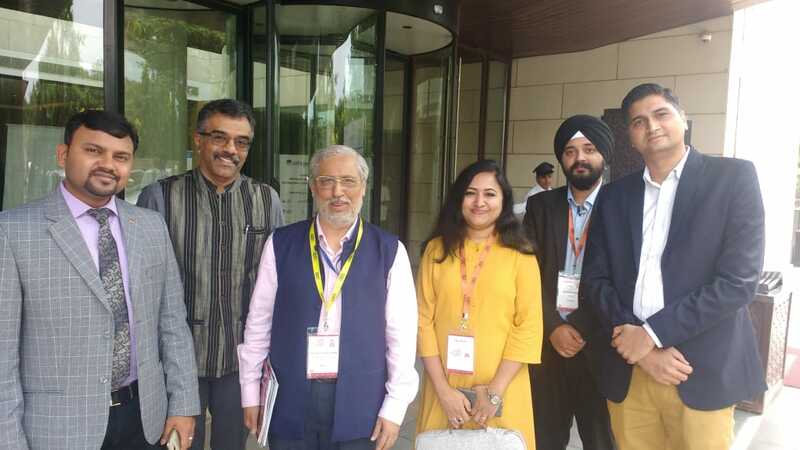 Sona Yukti's leadership team with the AICTE Chairman, Anil Sahasrabudhe, in Delhi. 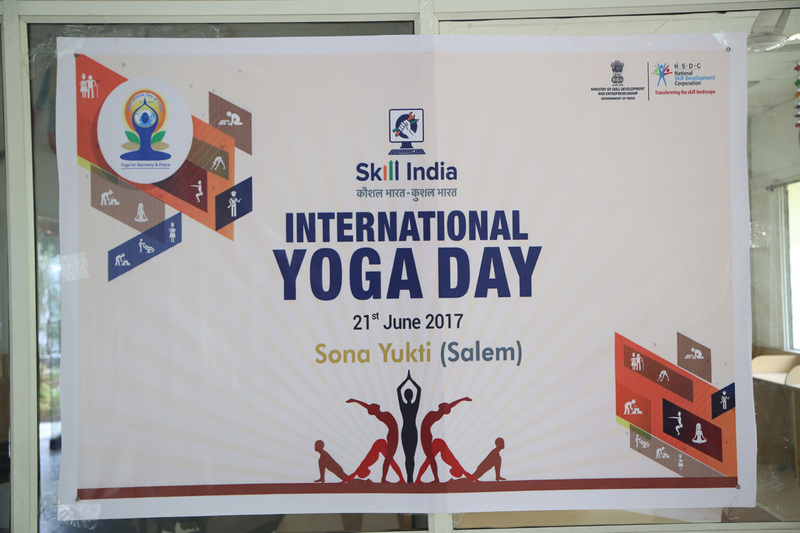 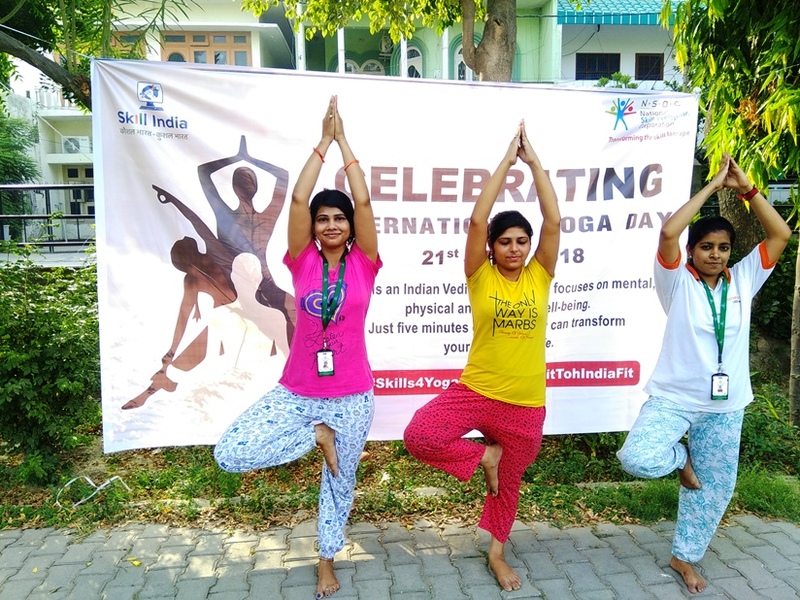 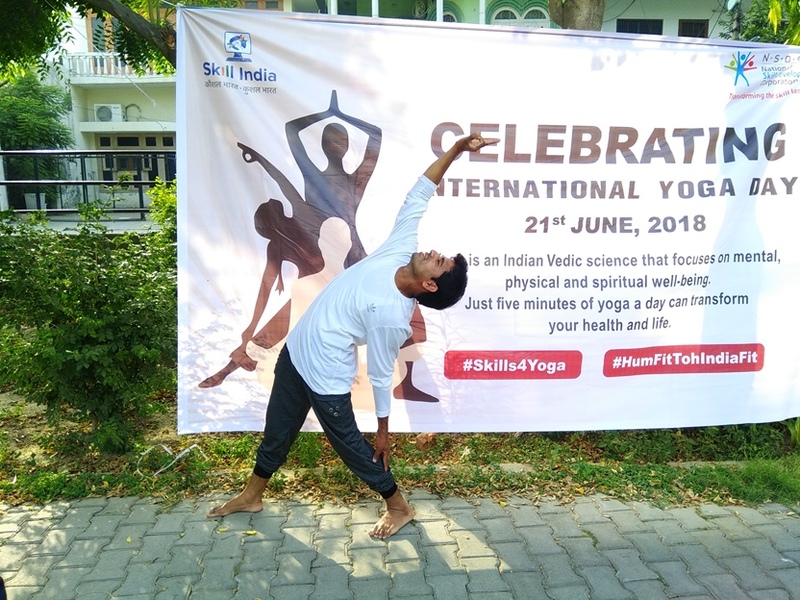 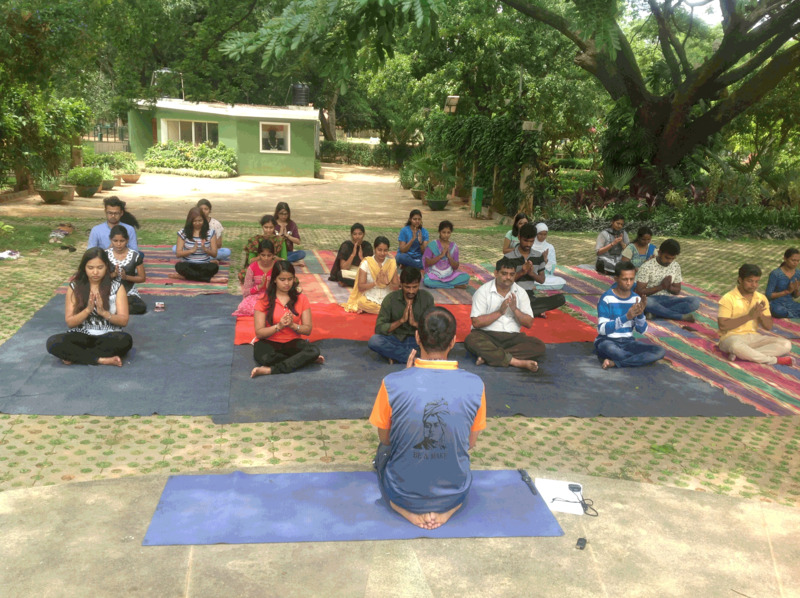 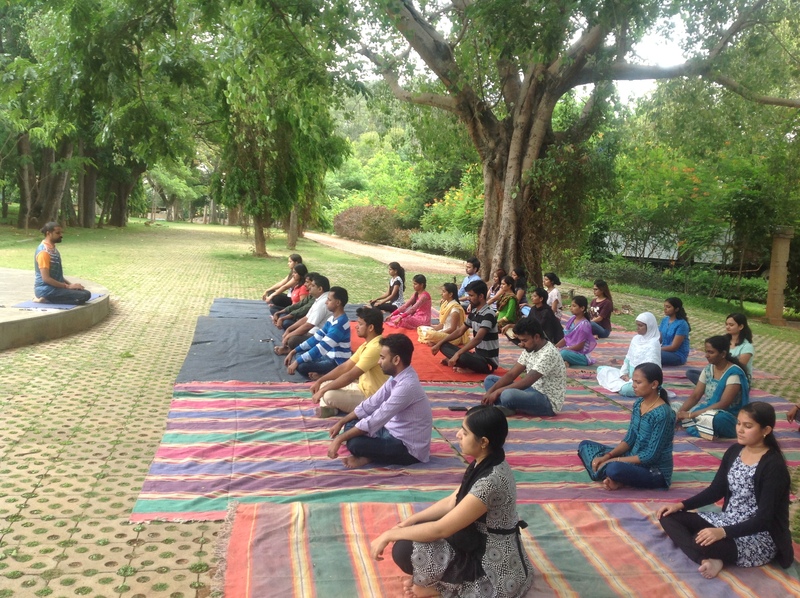 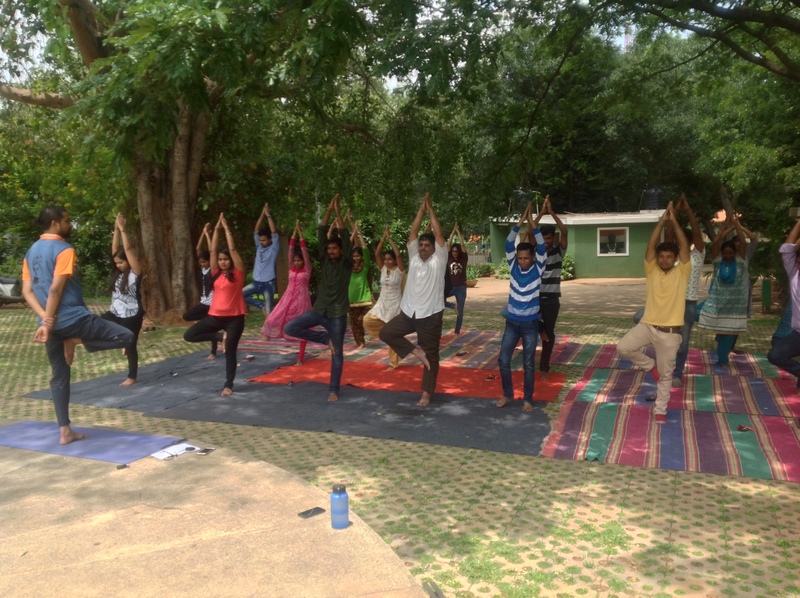 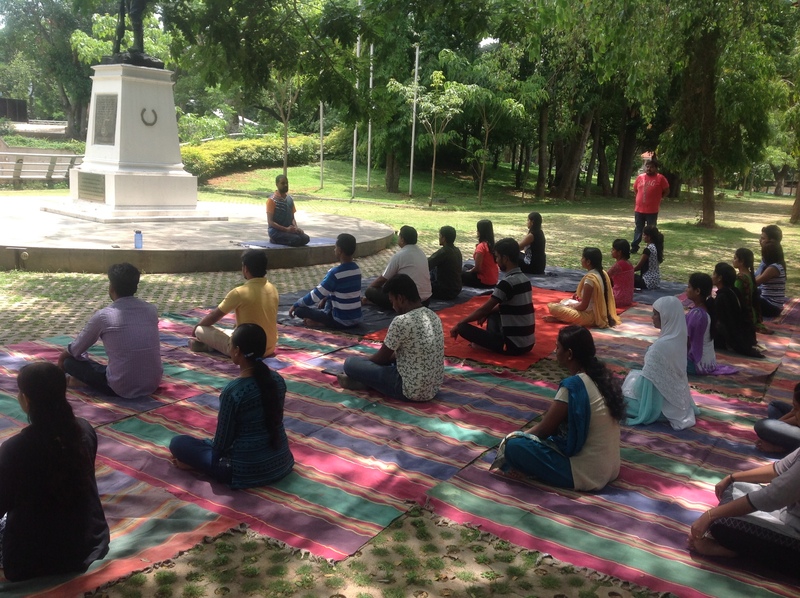 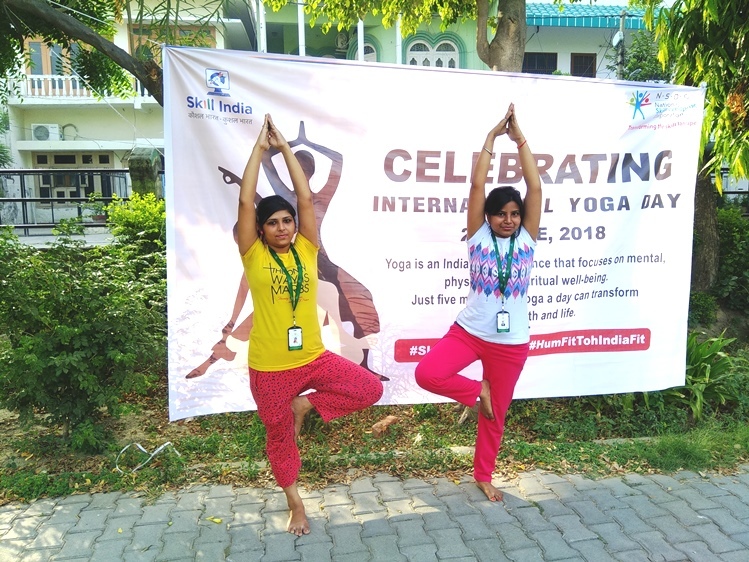 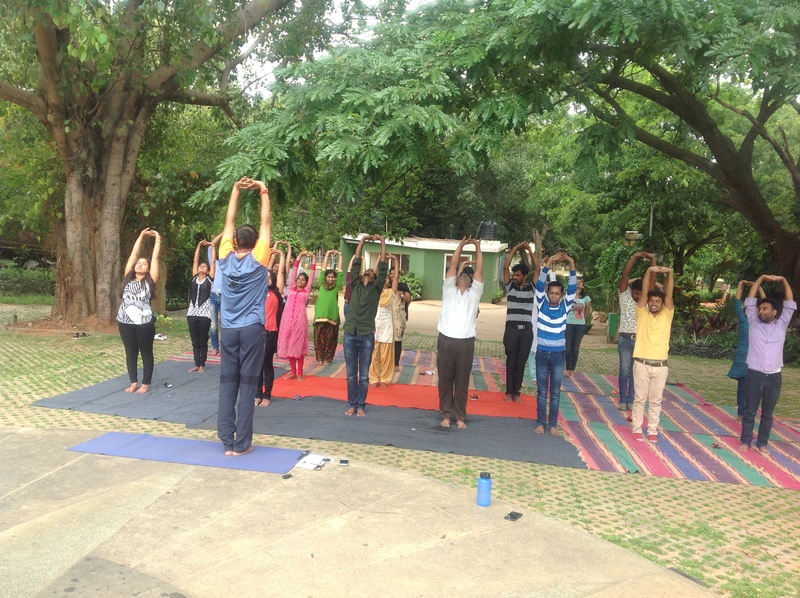 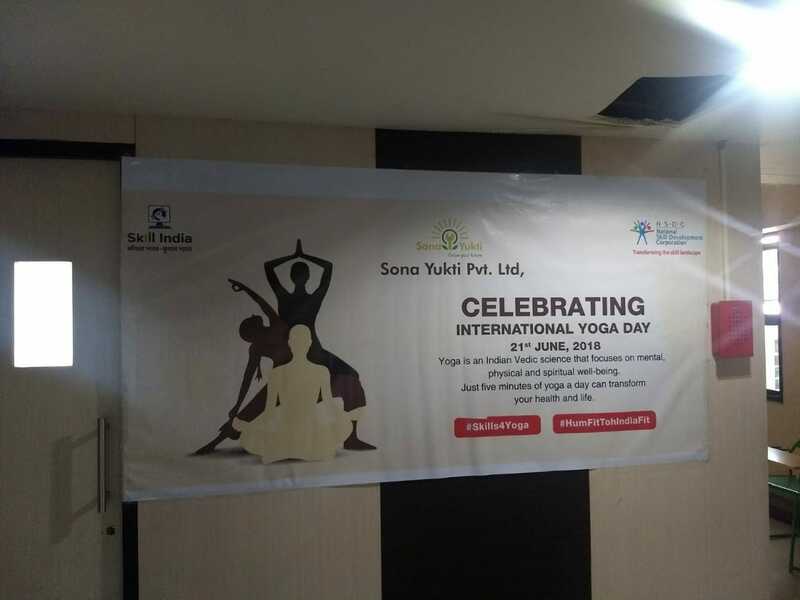 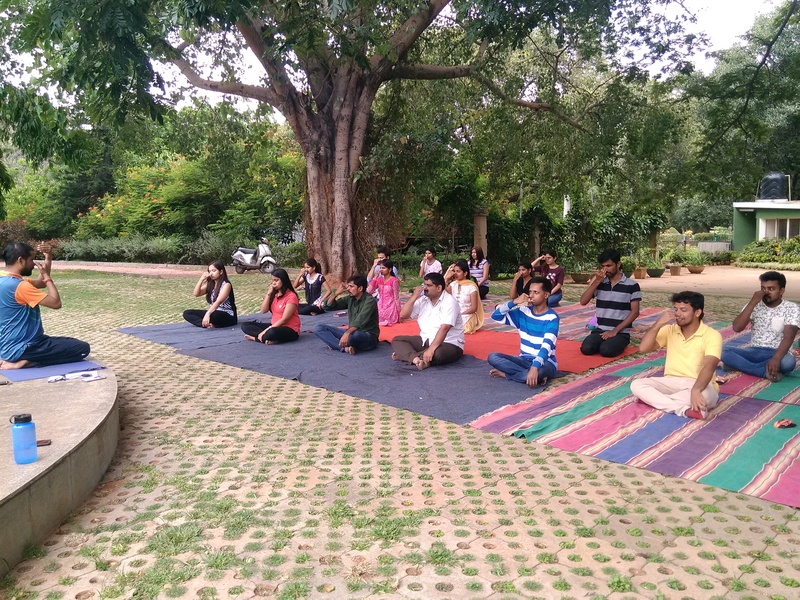 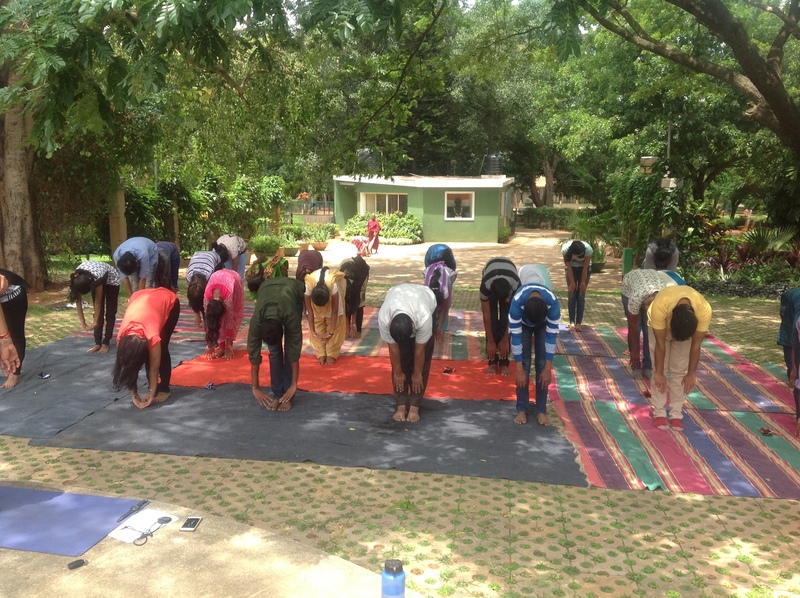 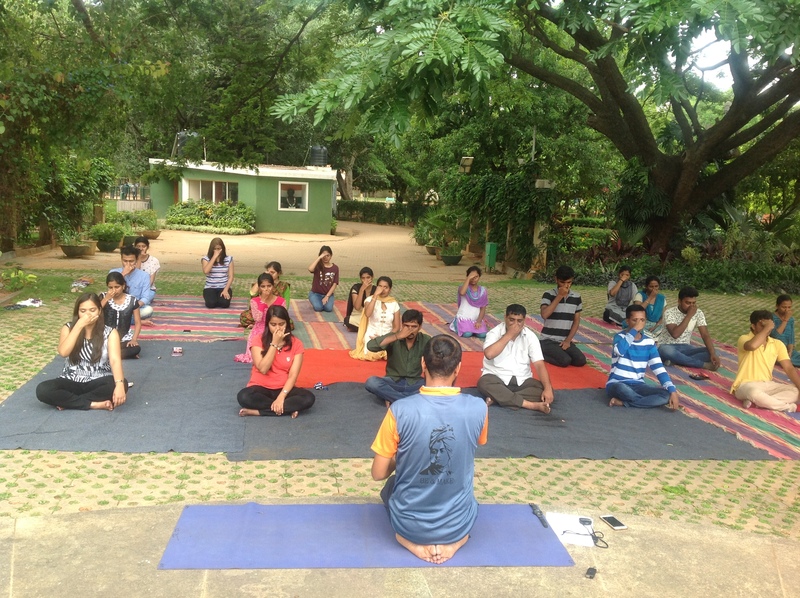 SonaYukti, Celebrated International Yoga Day in RR Nagar. 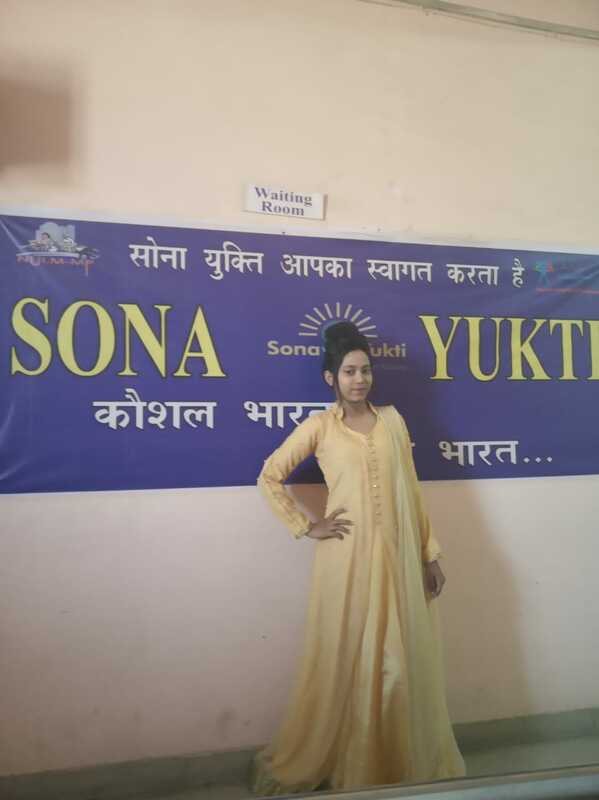 Books and clothes distribution at Sona Yukti’s center in Chitrakoot, MP. 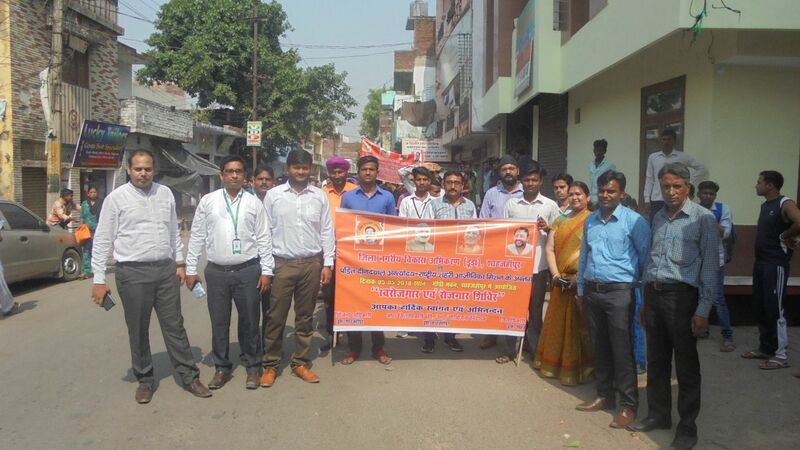 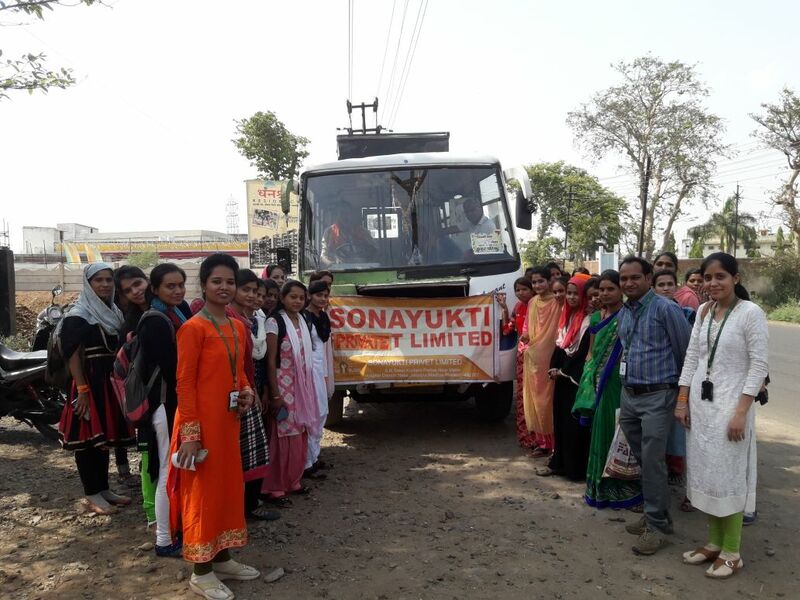 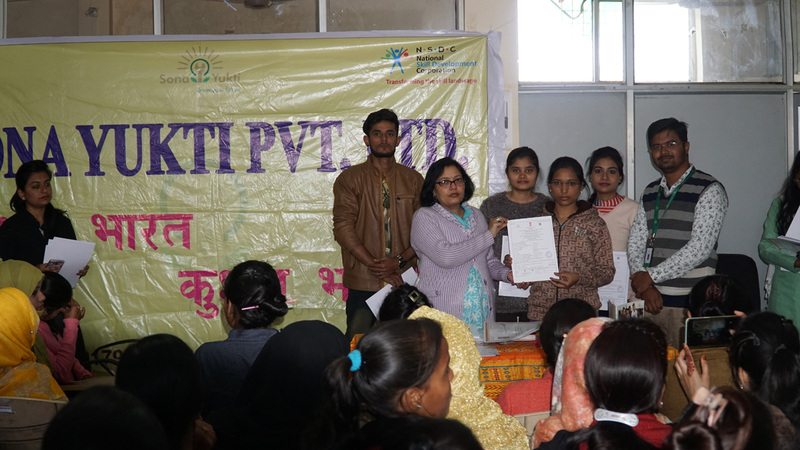 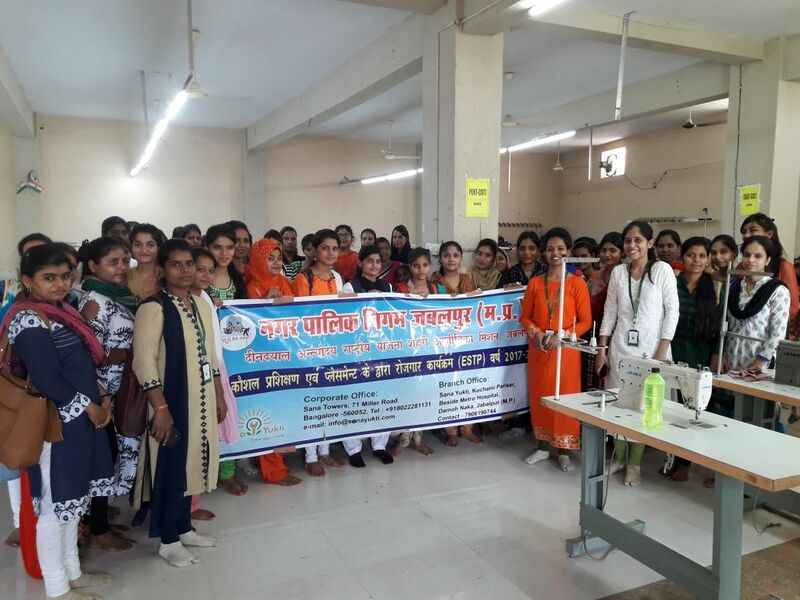 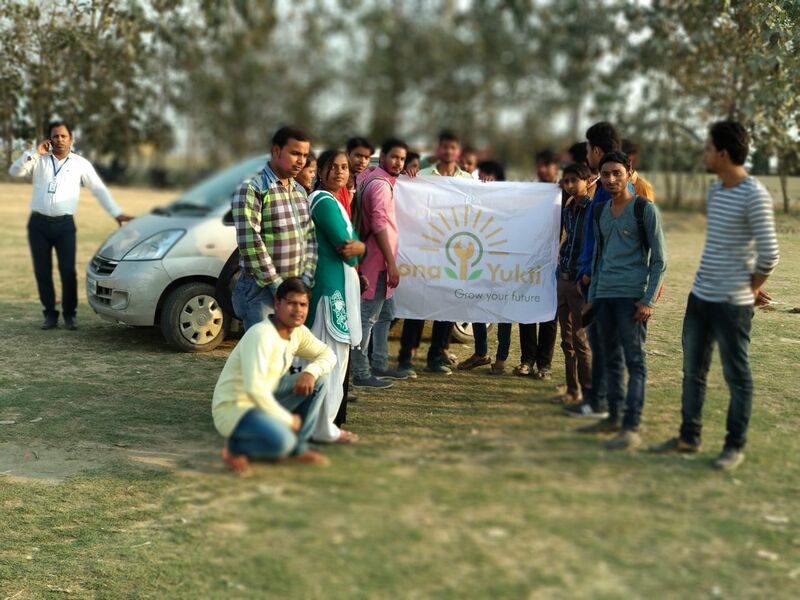 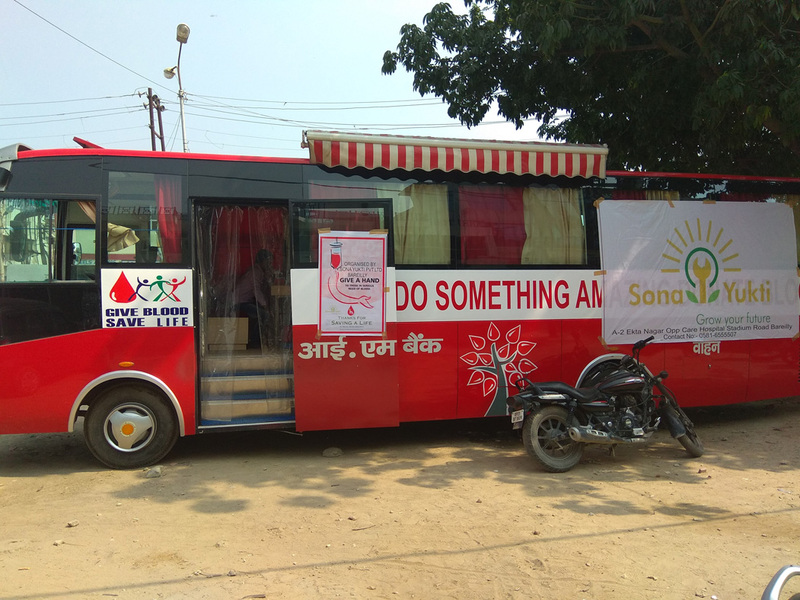 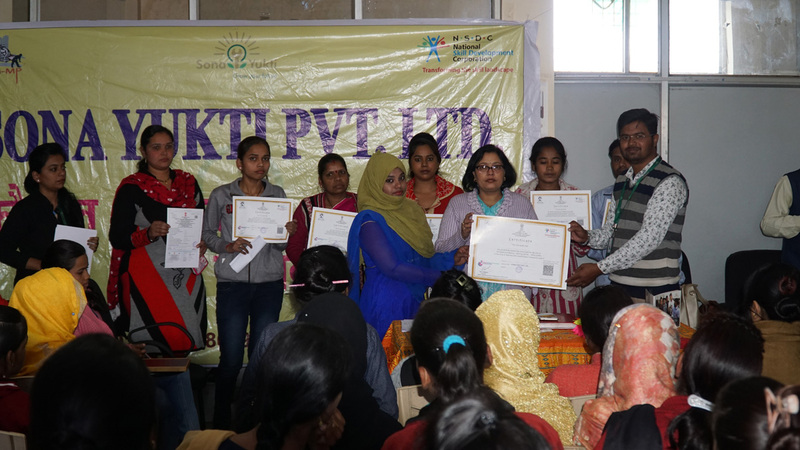 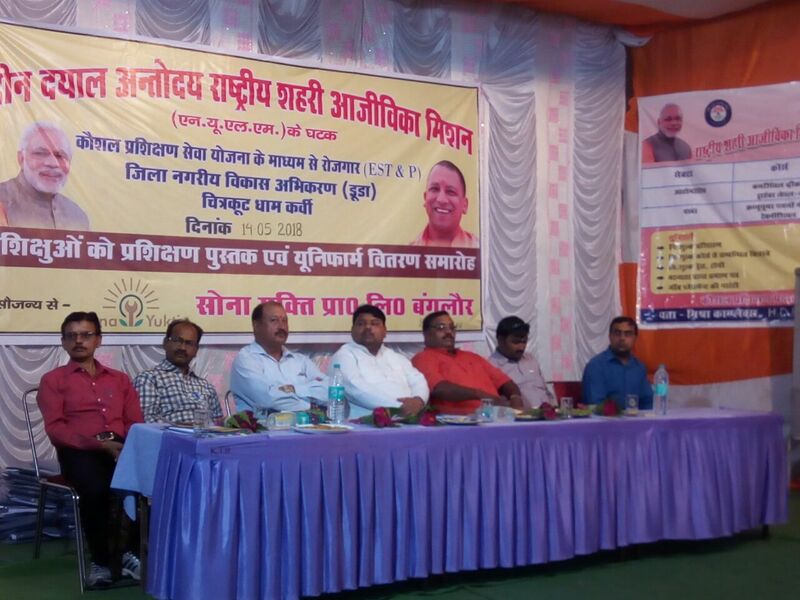 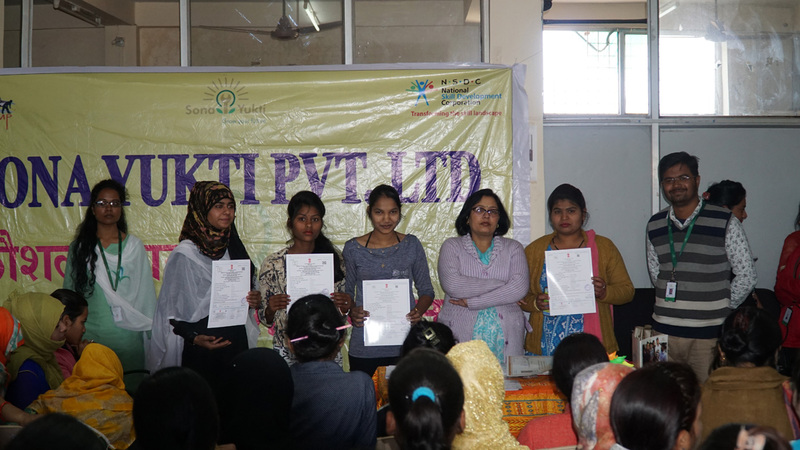 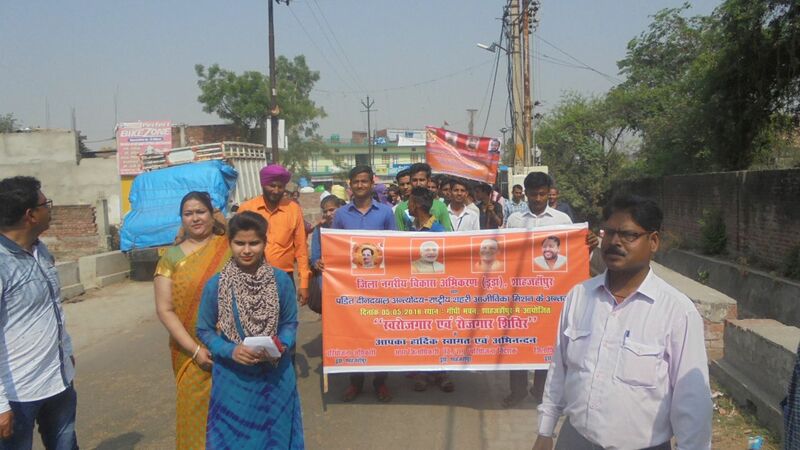 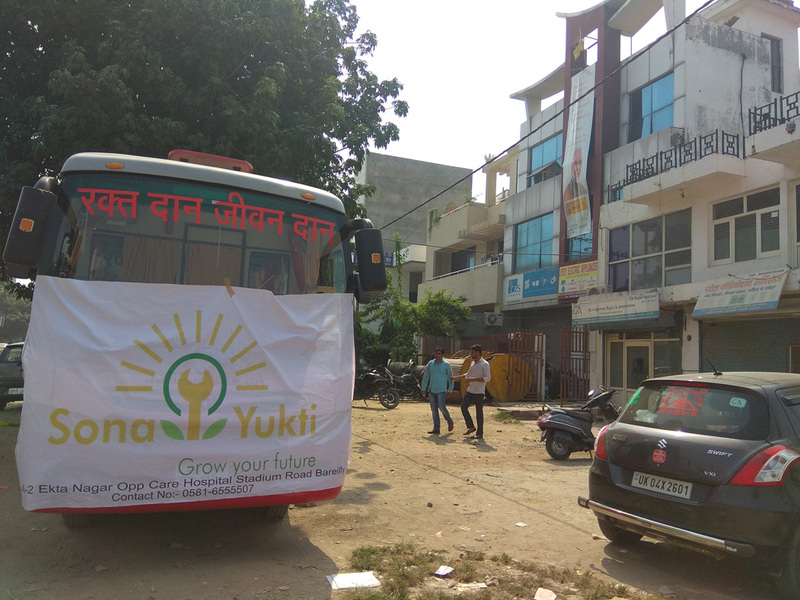 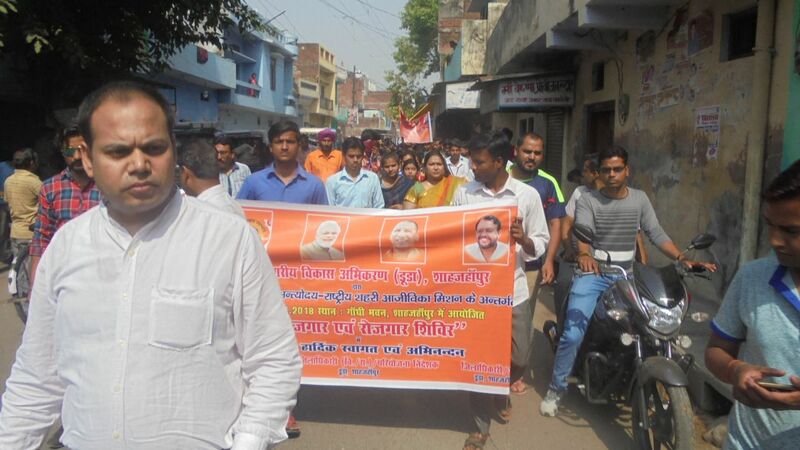 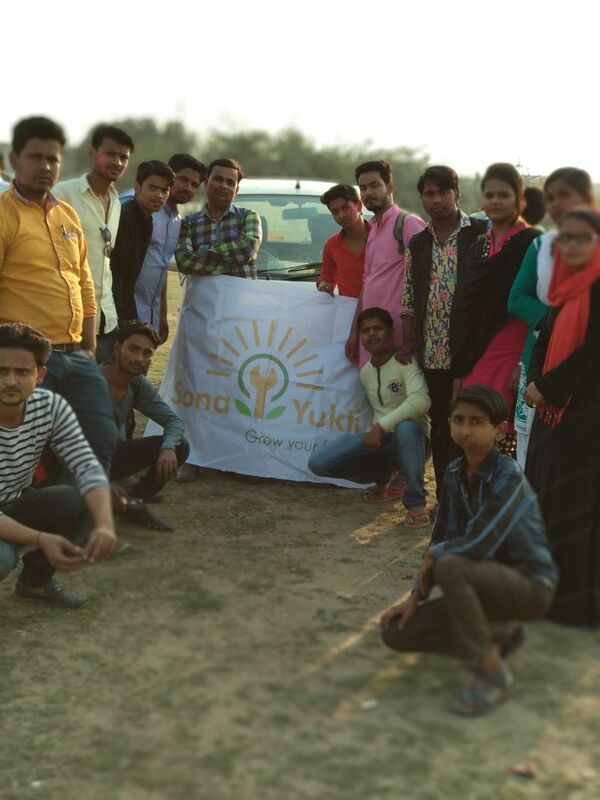 Sona Yukti’s Awareness Rally conducted in Shahjahanpur, UP, on the benefits of skill training for the youth. 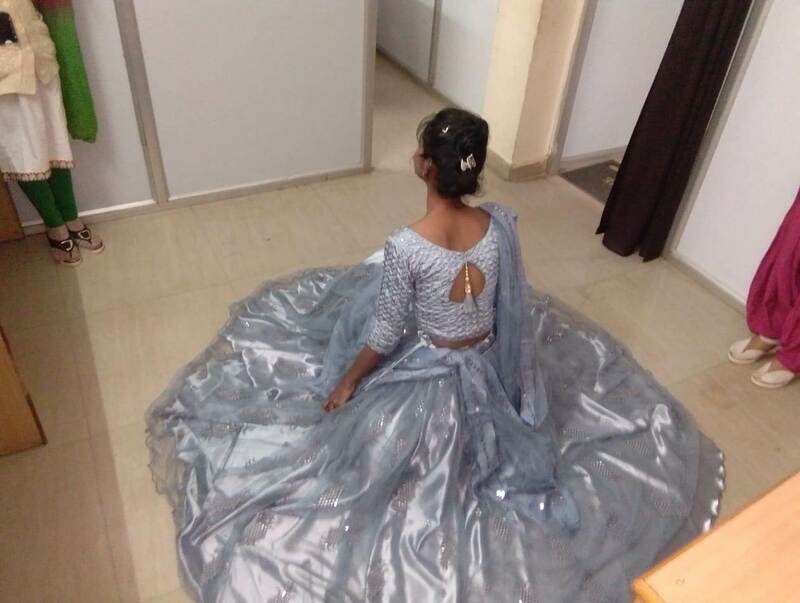 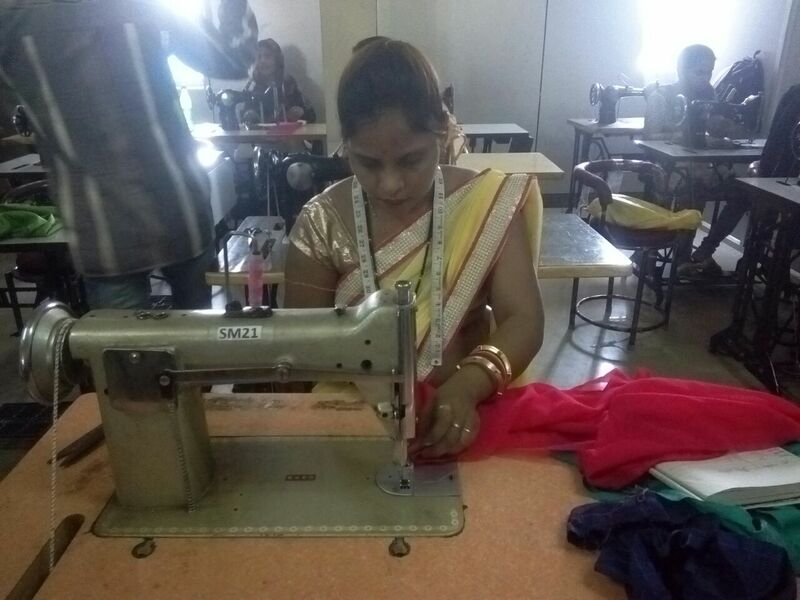 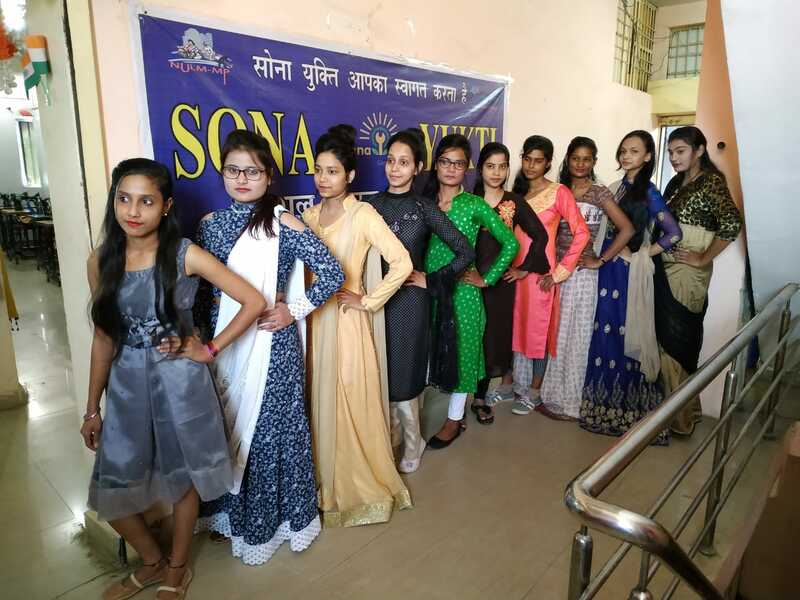 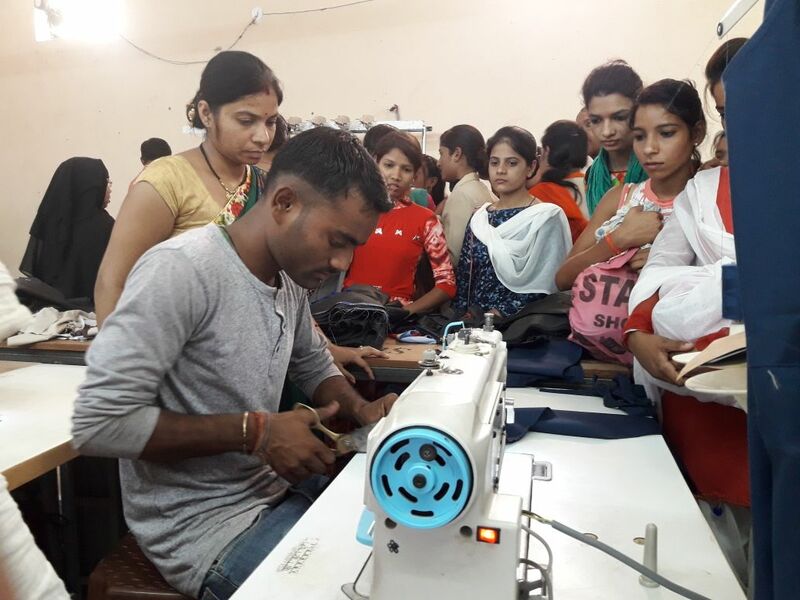 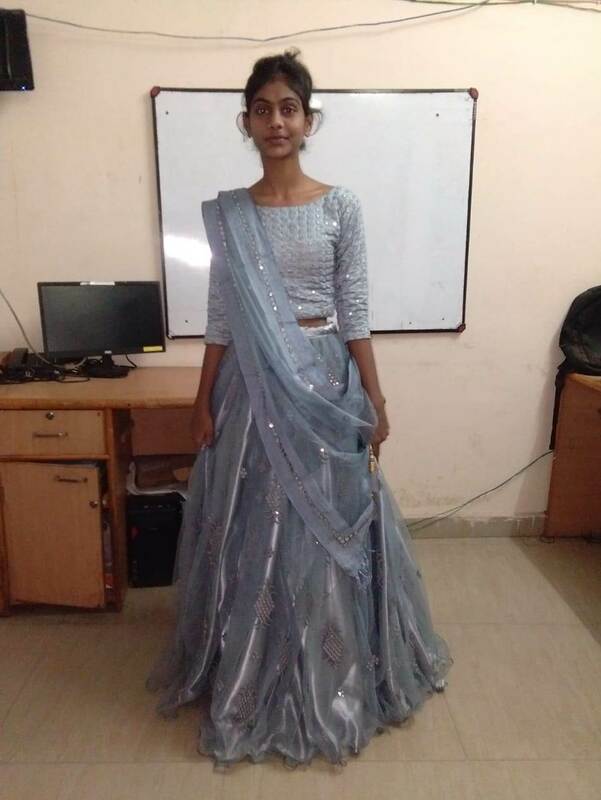 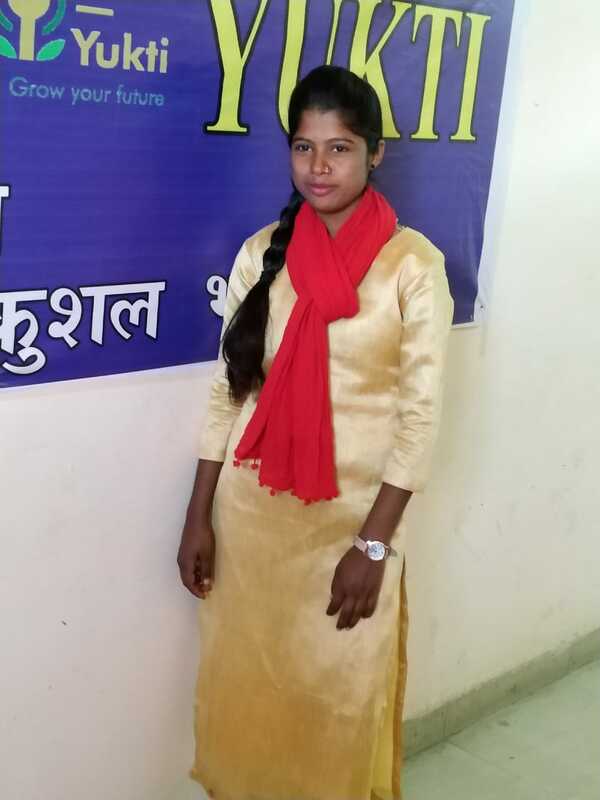 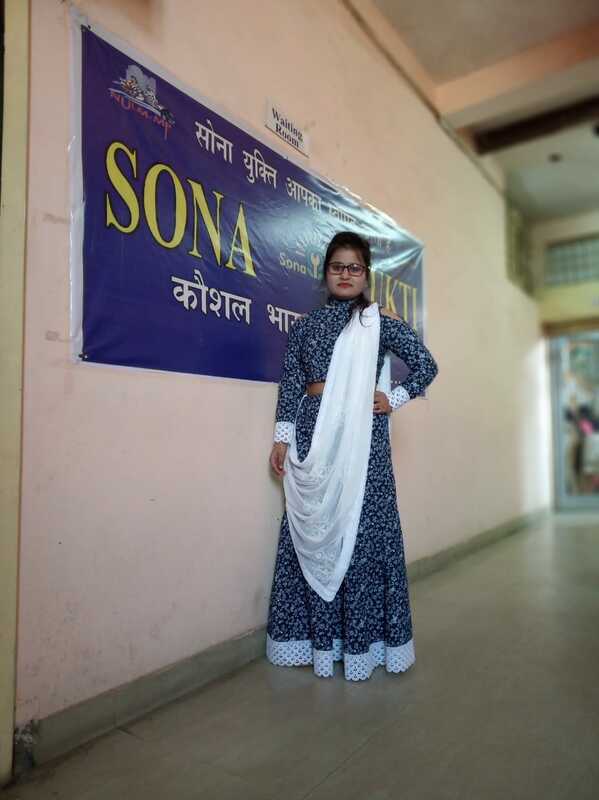 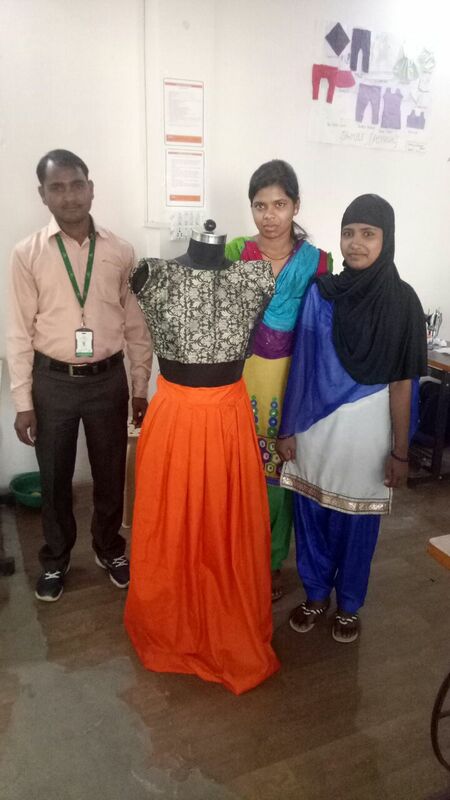 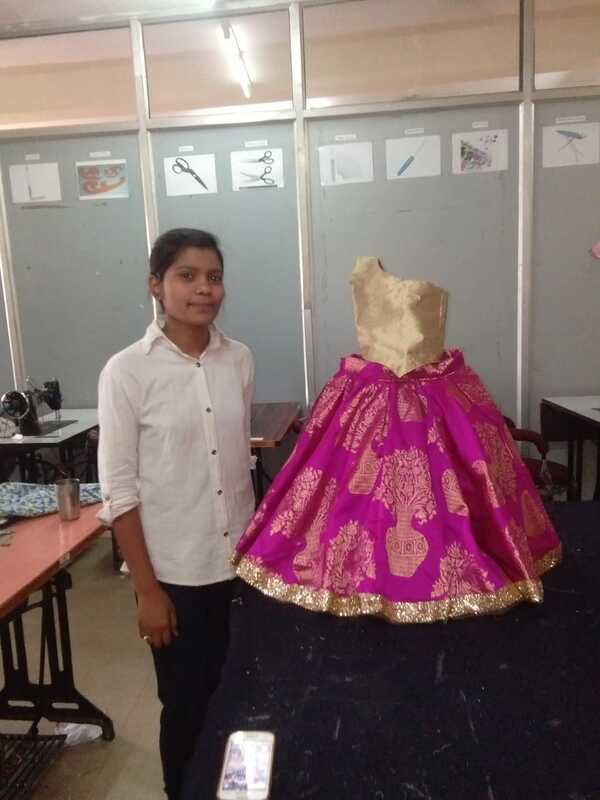 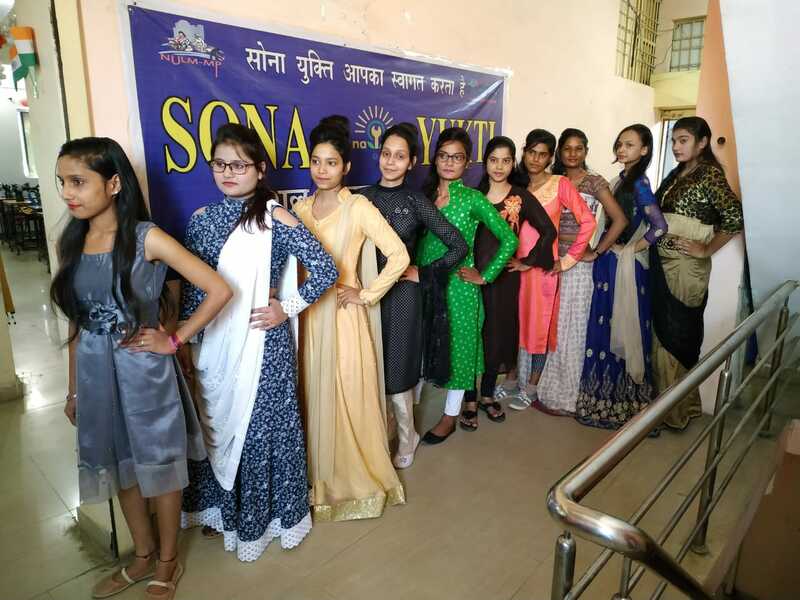 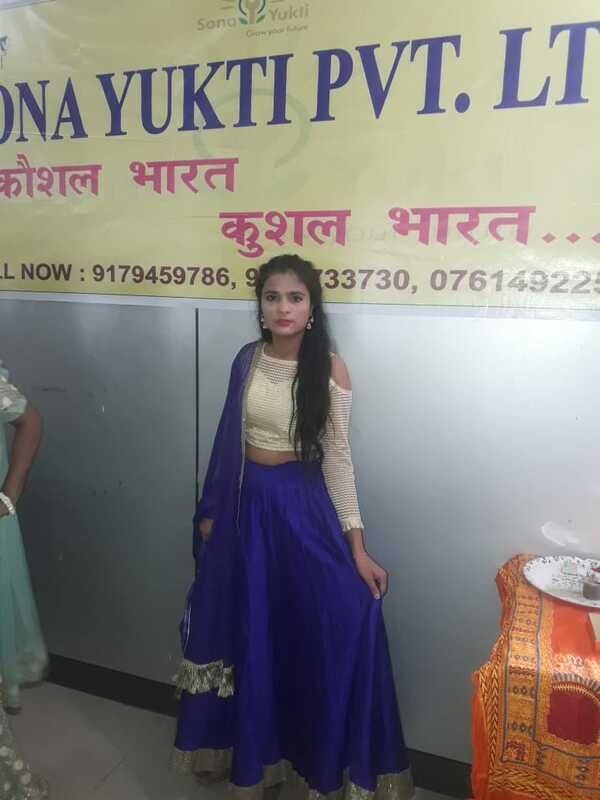 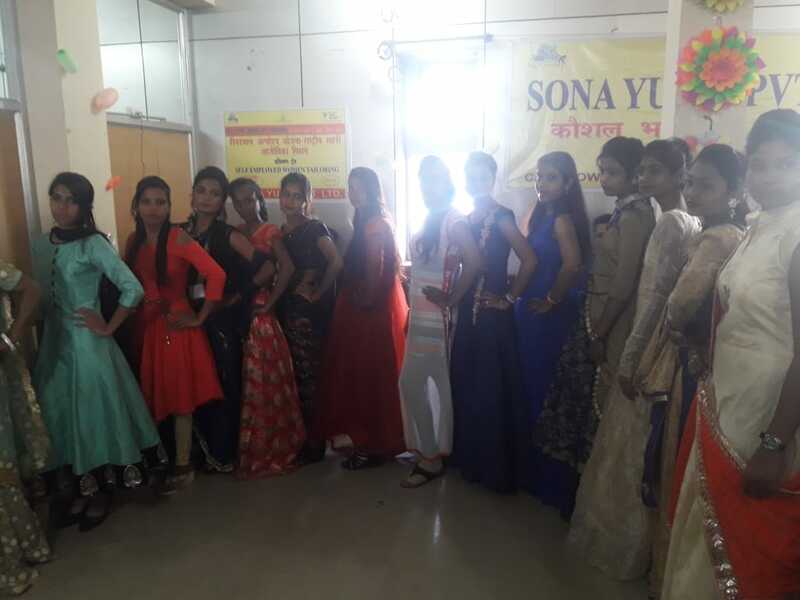 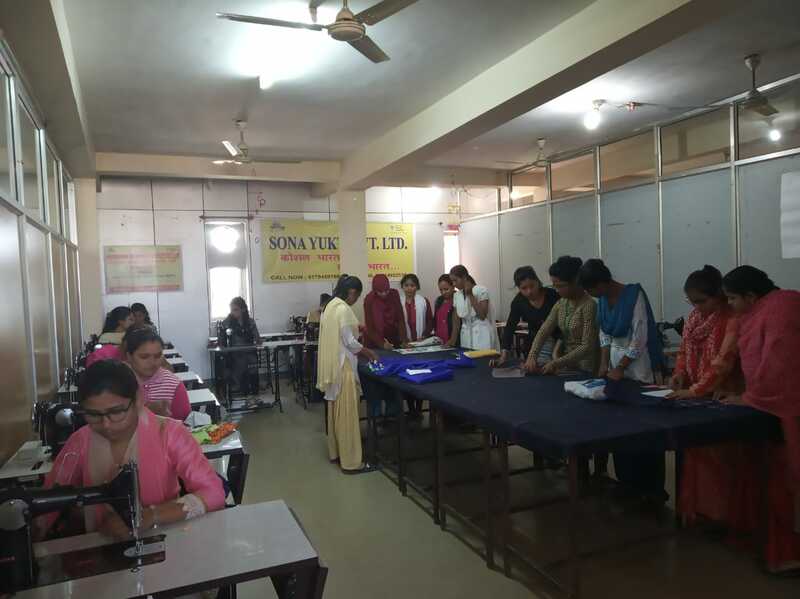 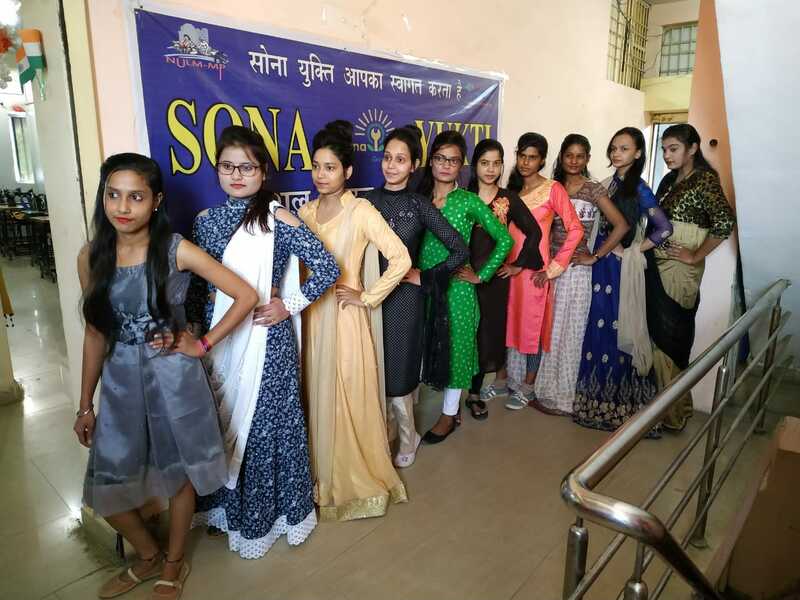 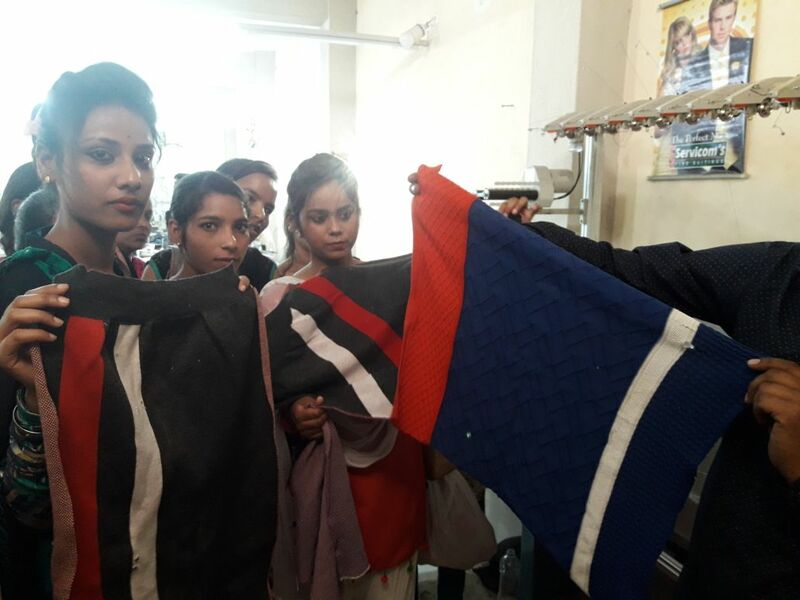 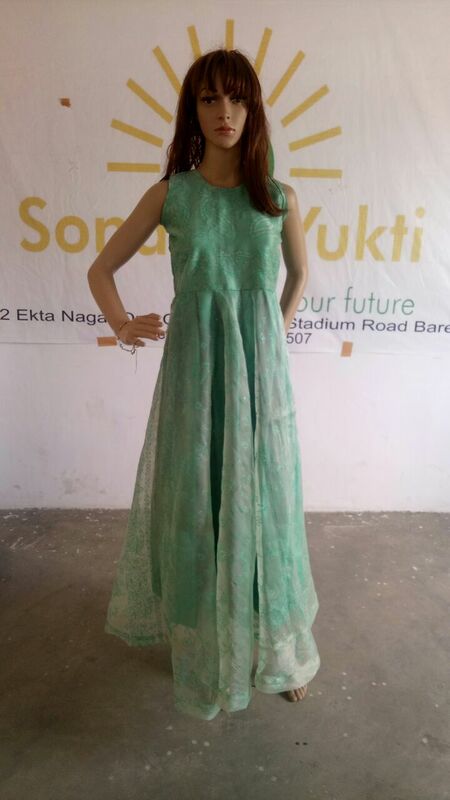 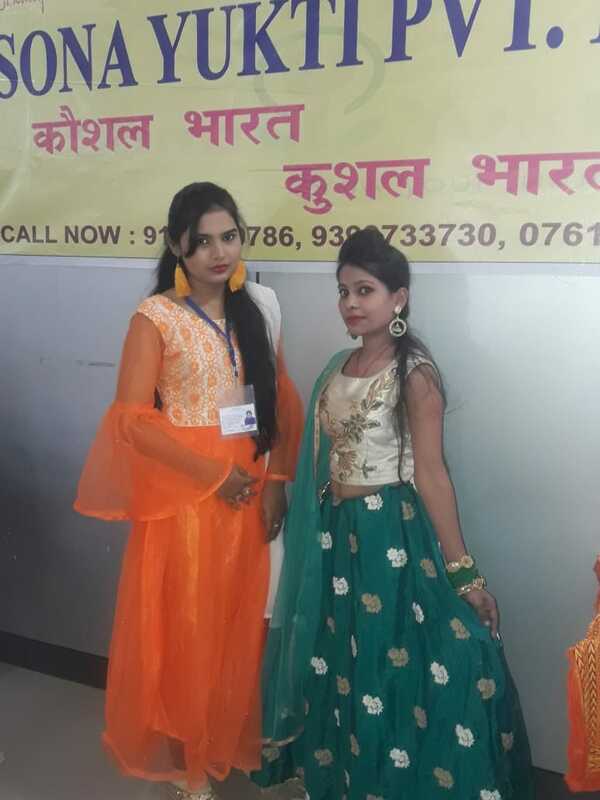 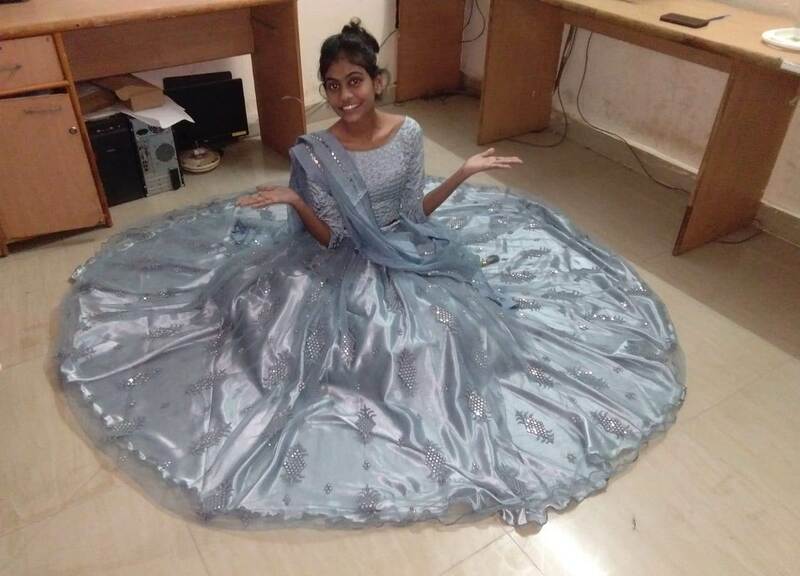 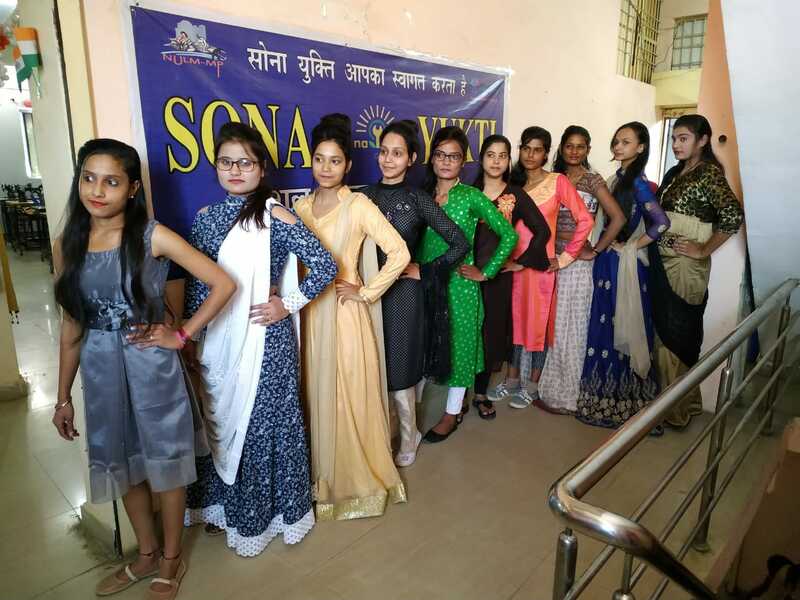 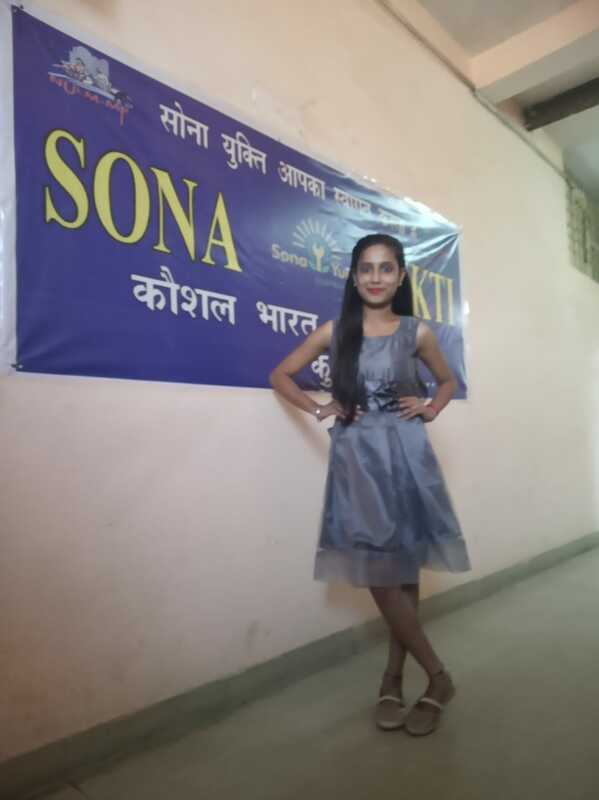 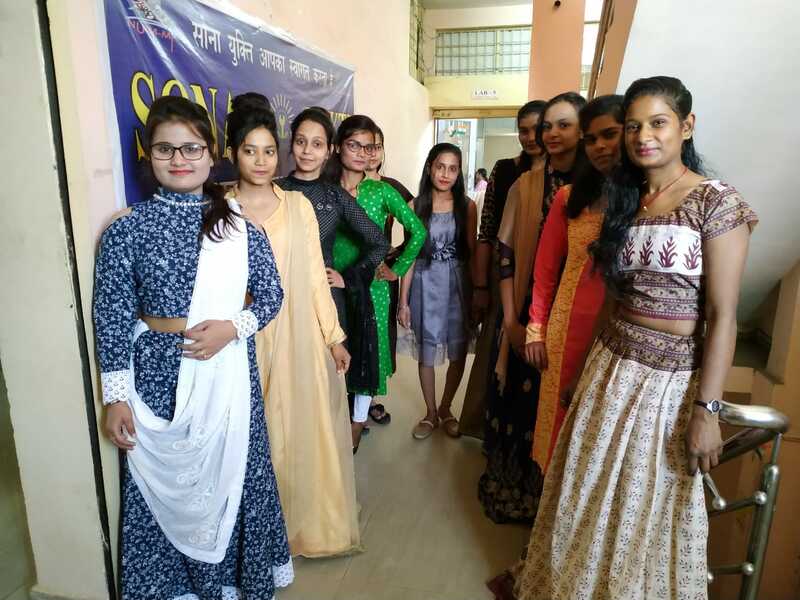 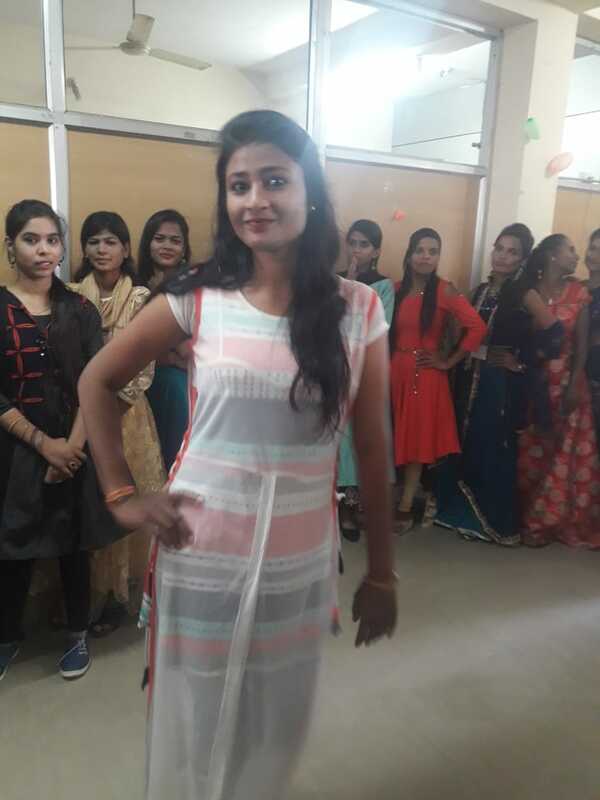 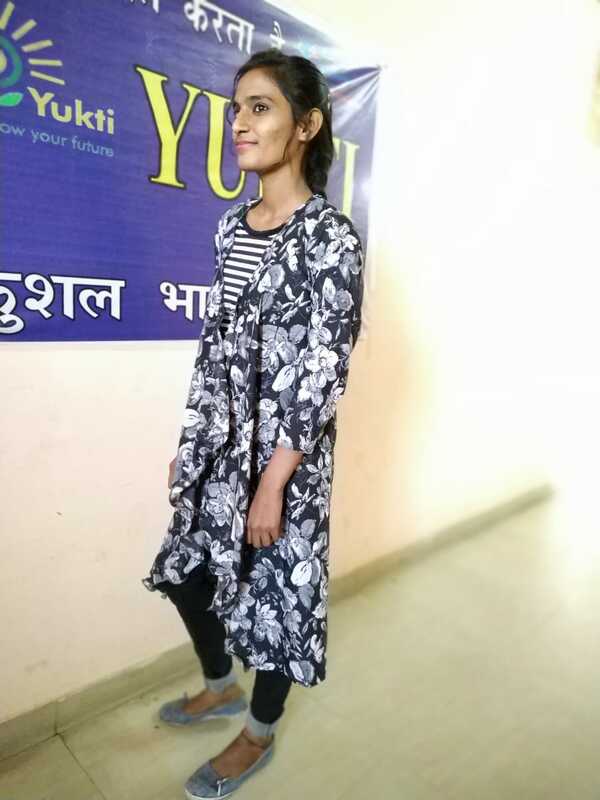 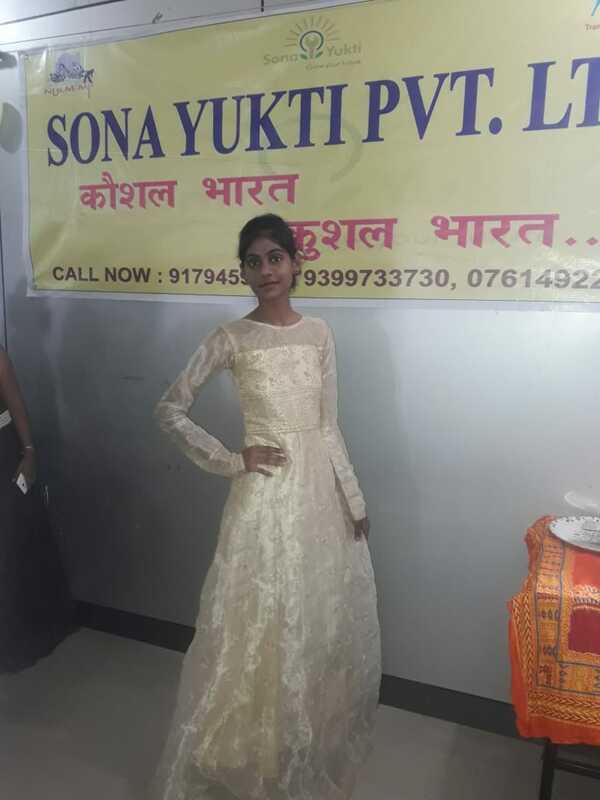 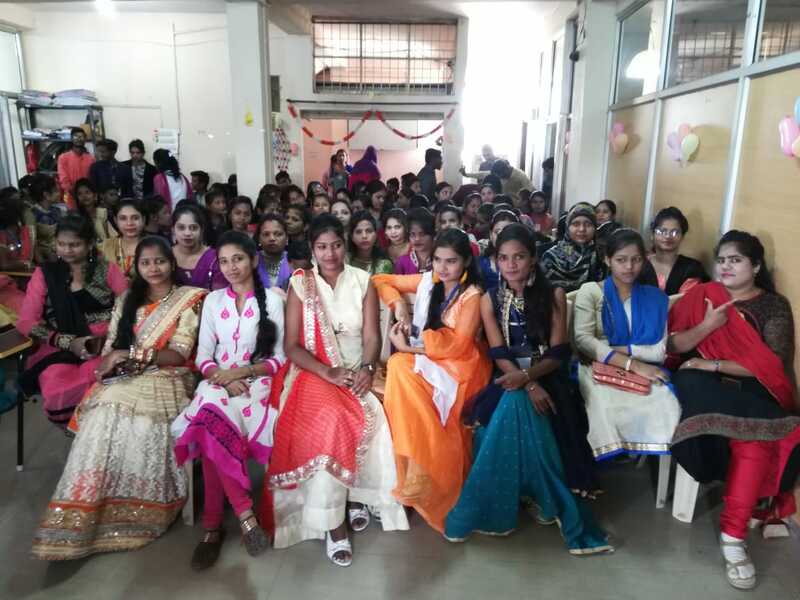 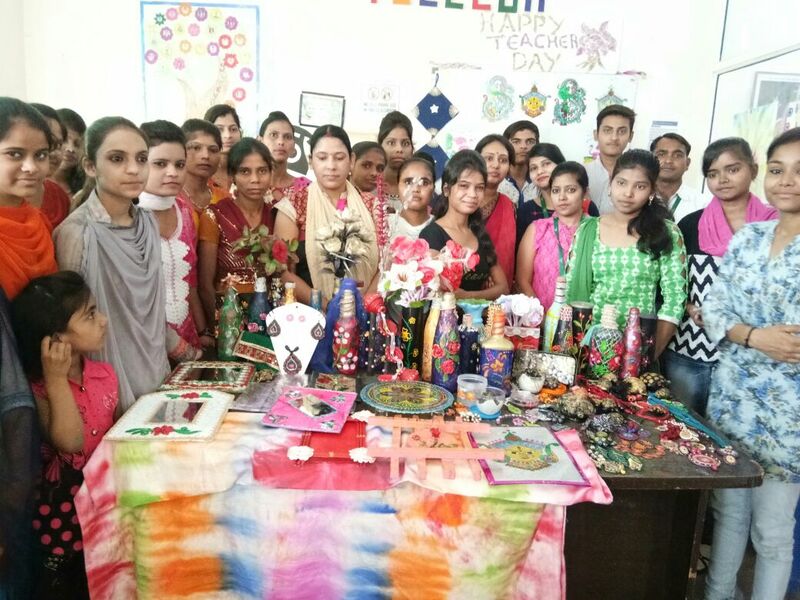 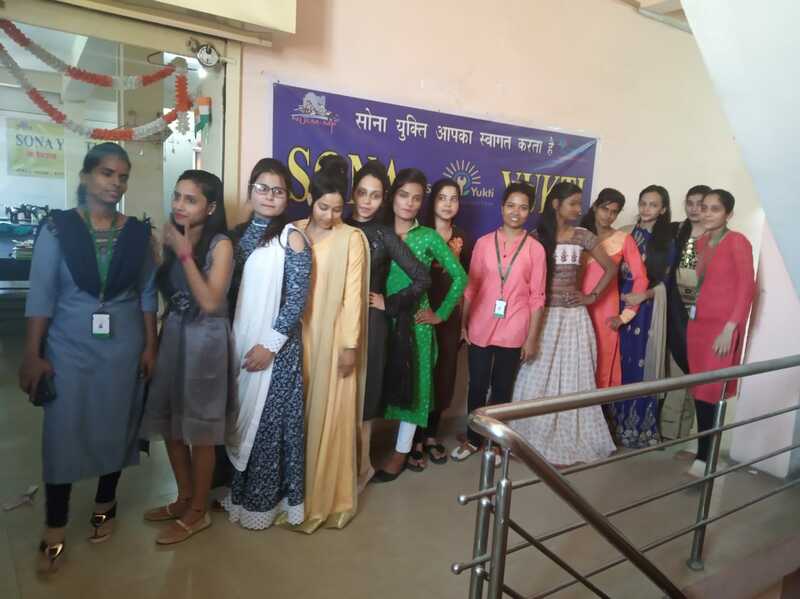 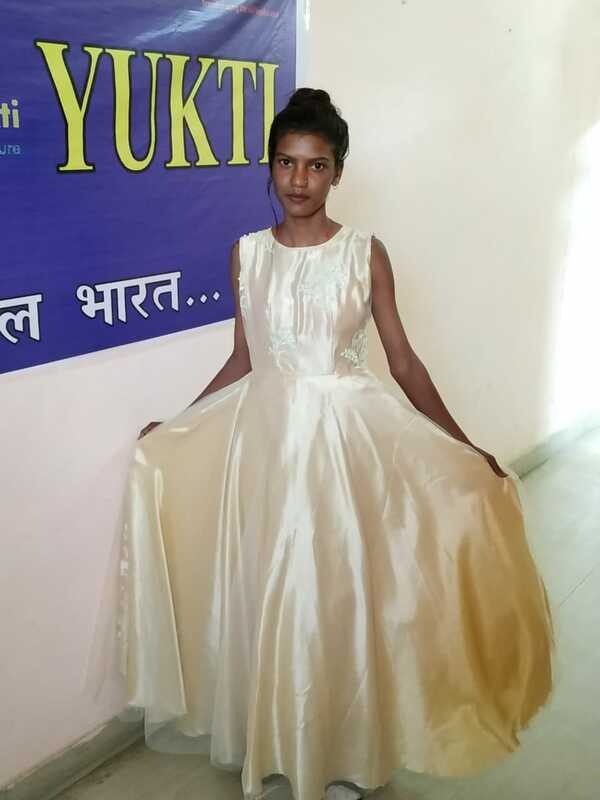 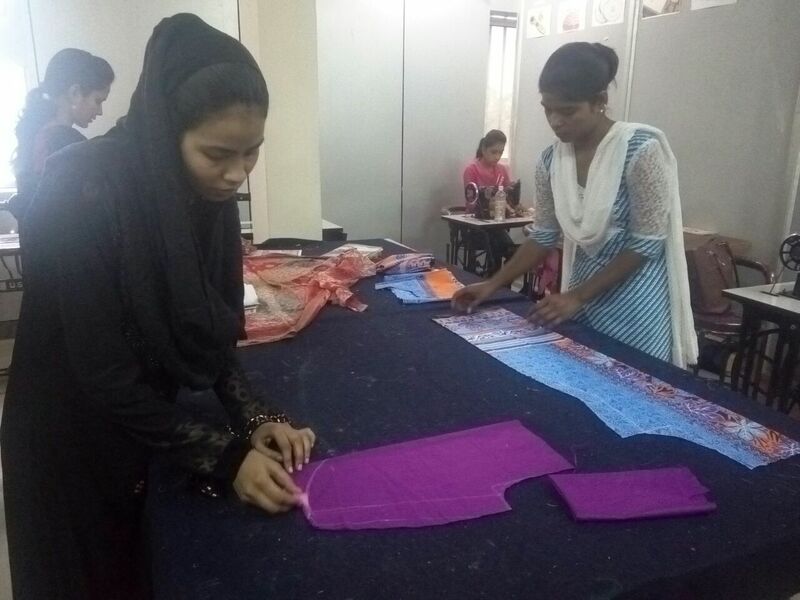 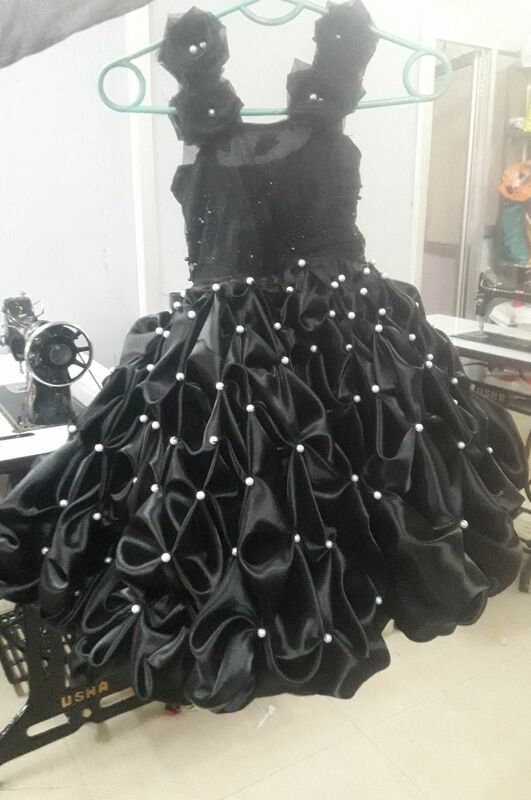 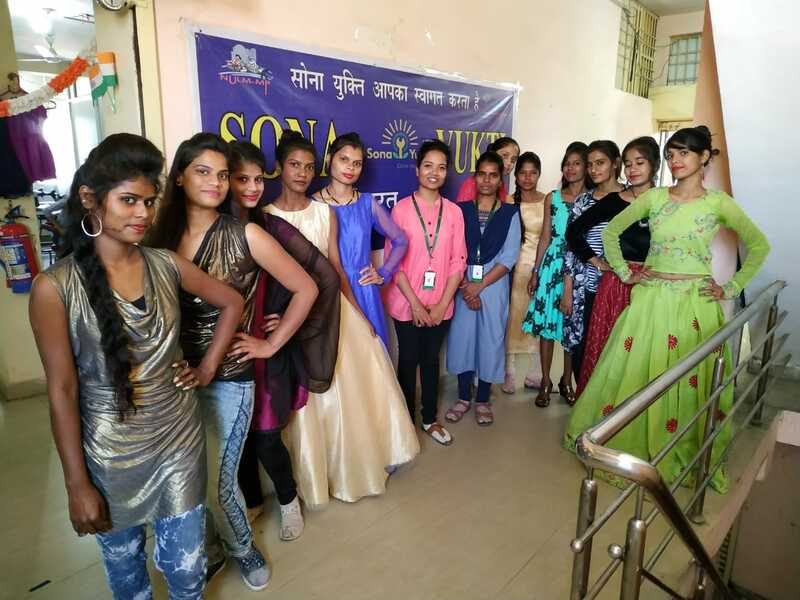 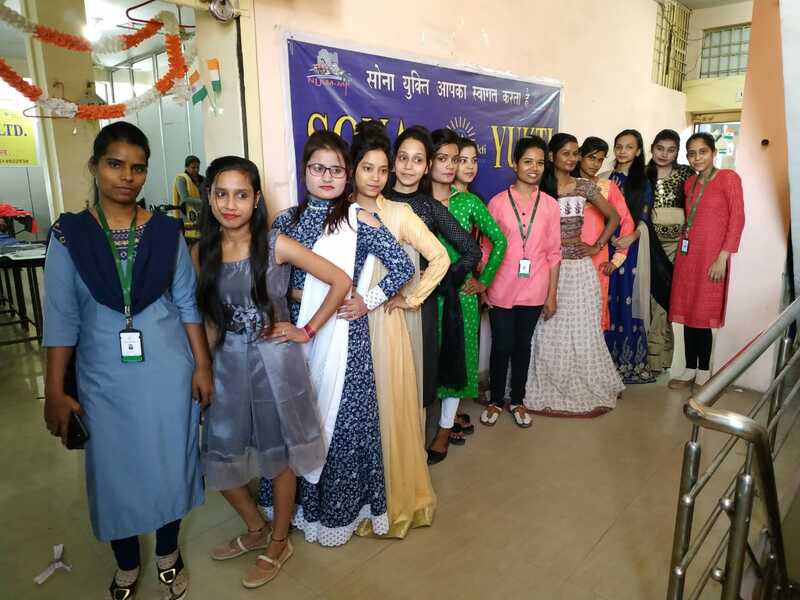 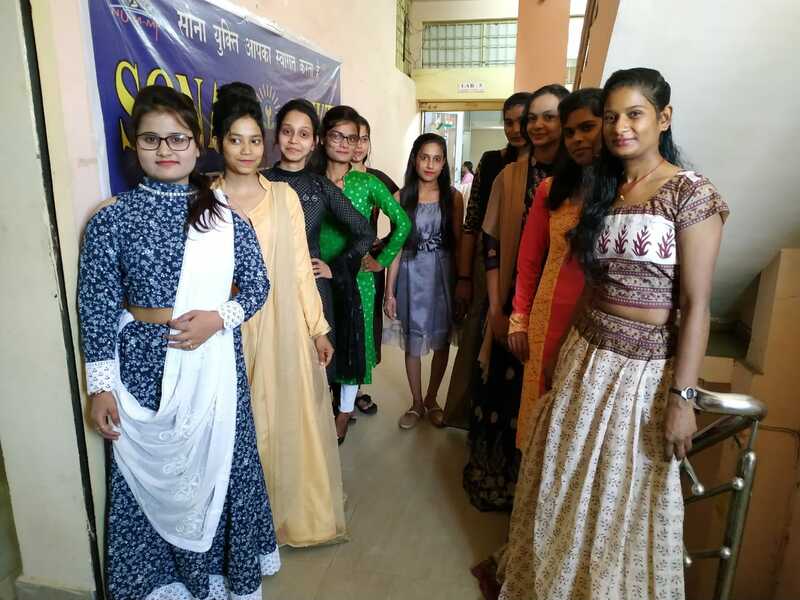 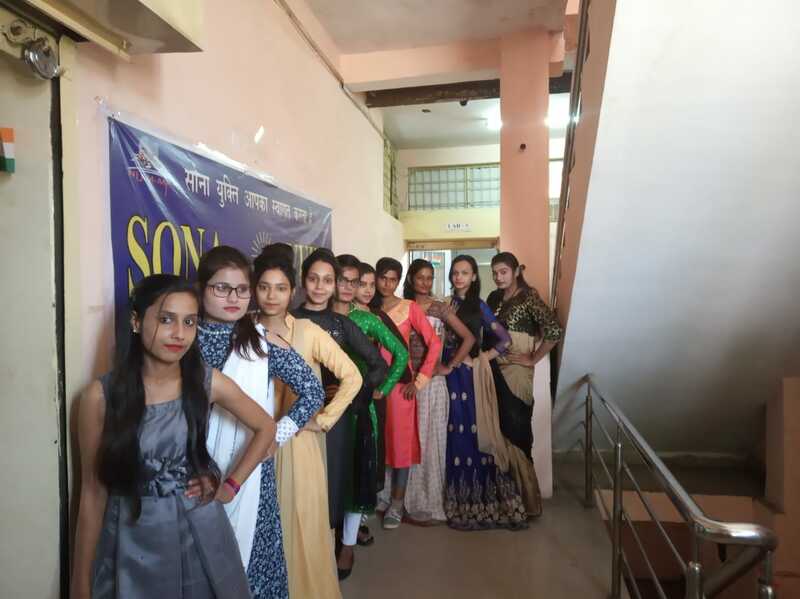 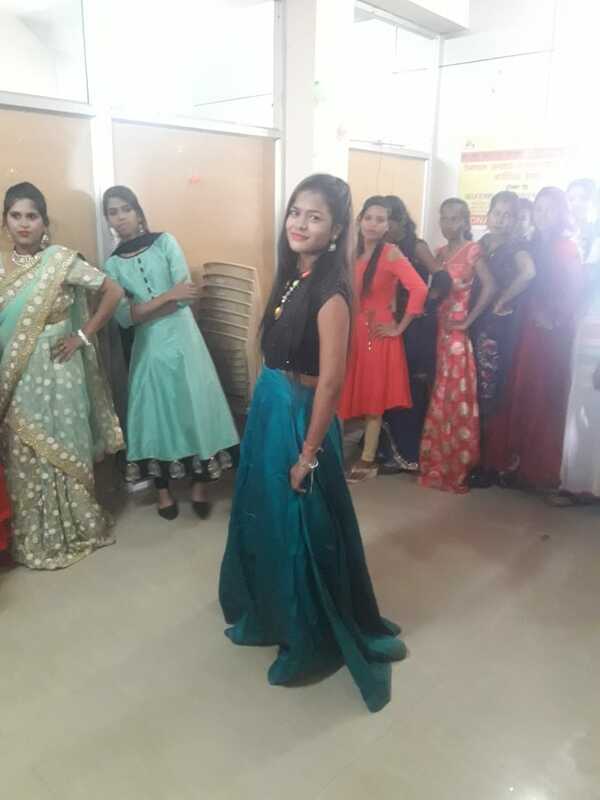 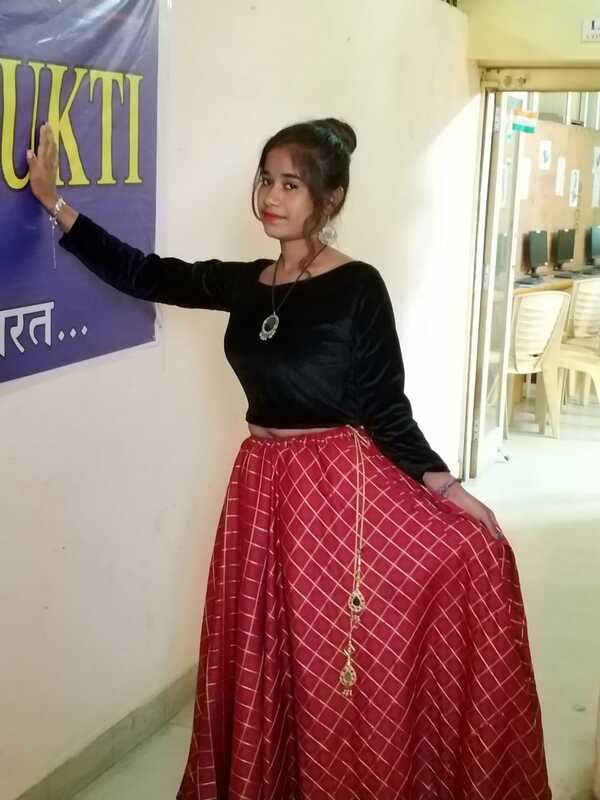 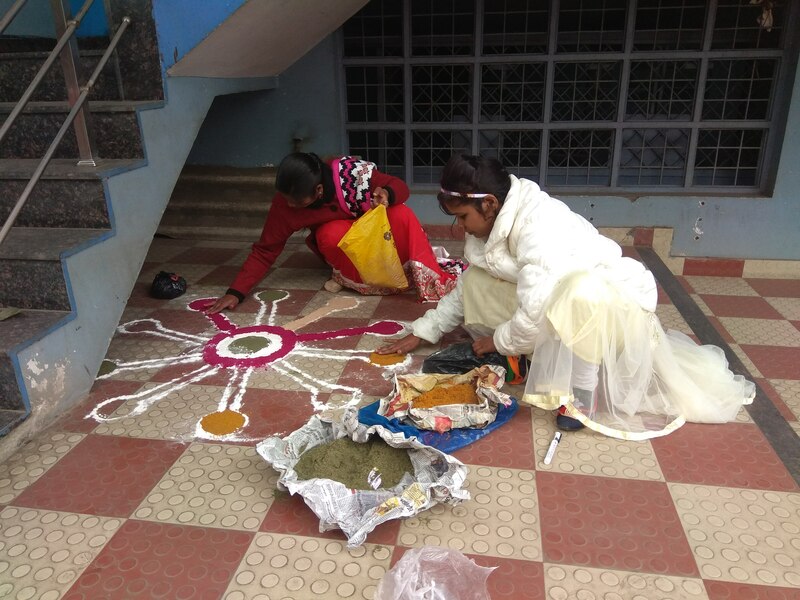 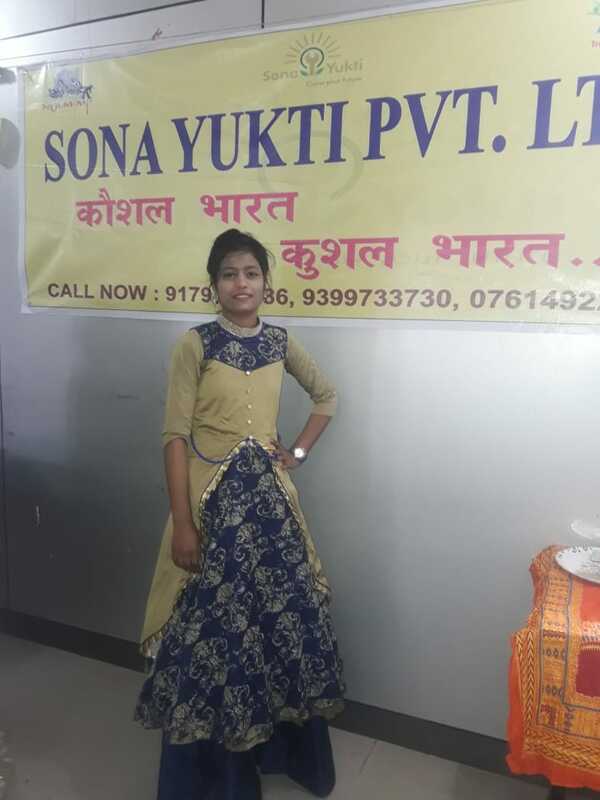 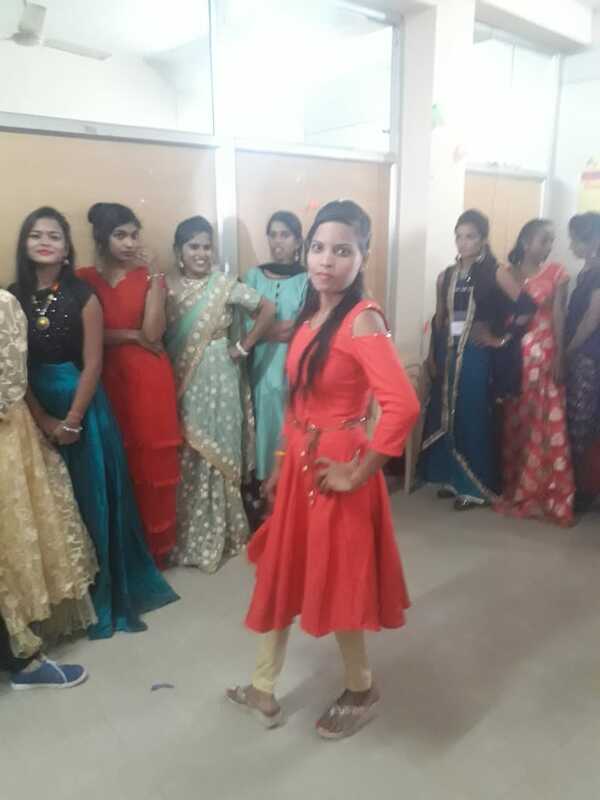 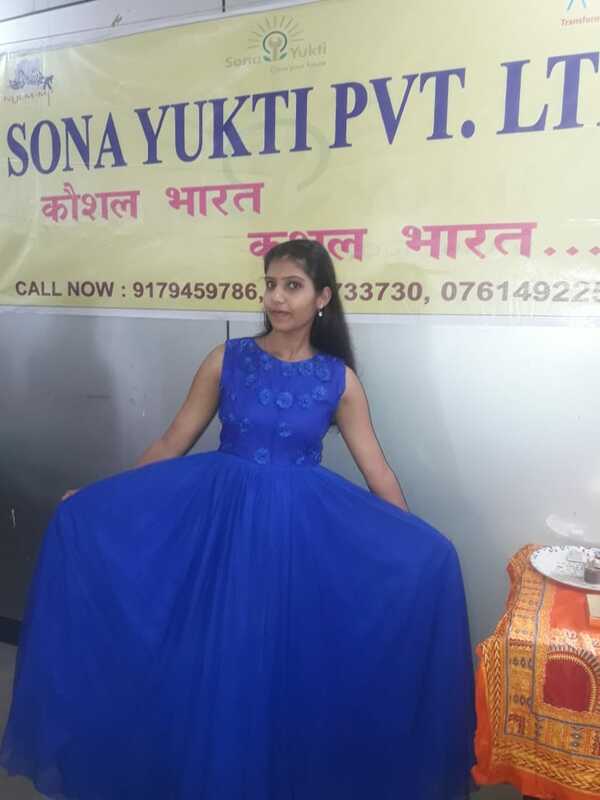 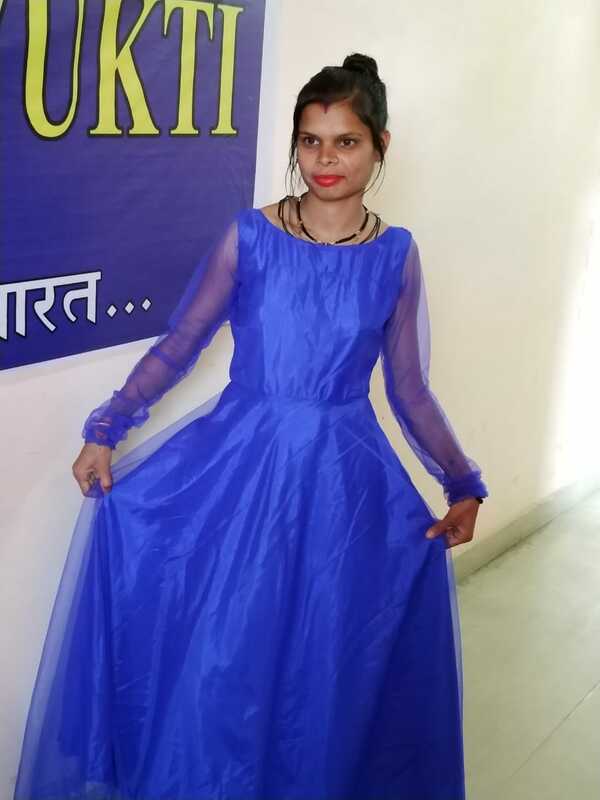 Fashion Designing by the NULM trainees at Sona Yukti's Jabalpur center. 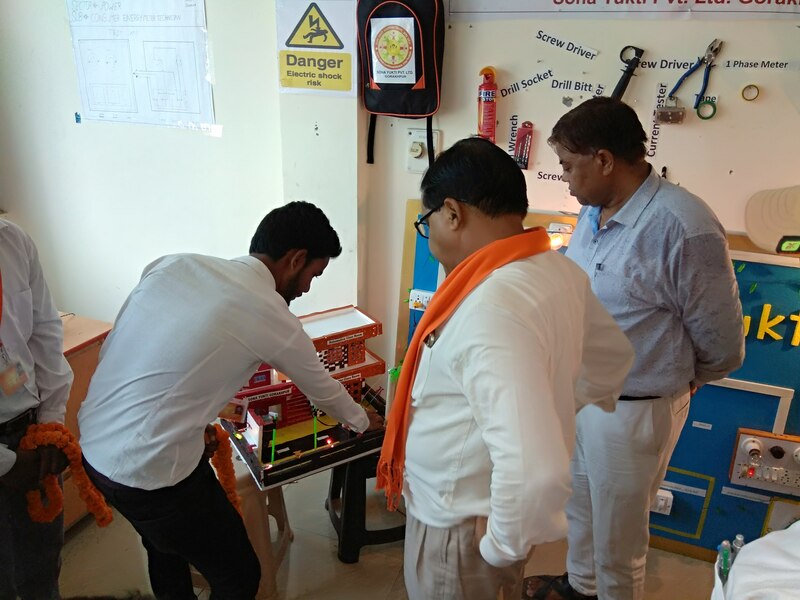 Consumer Energy Meter Technician course practical sessions in single phase energy meter connection and switch board assembling. 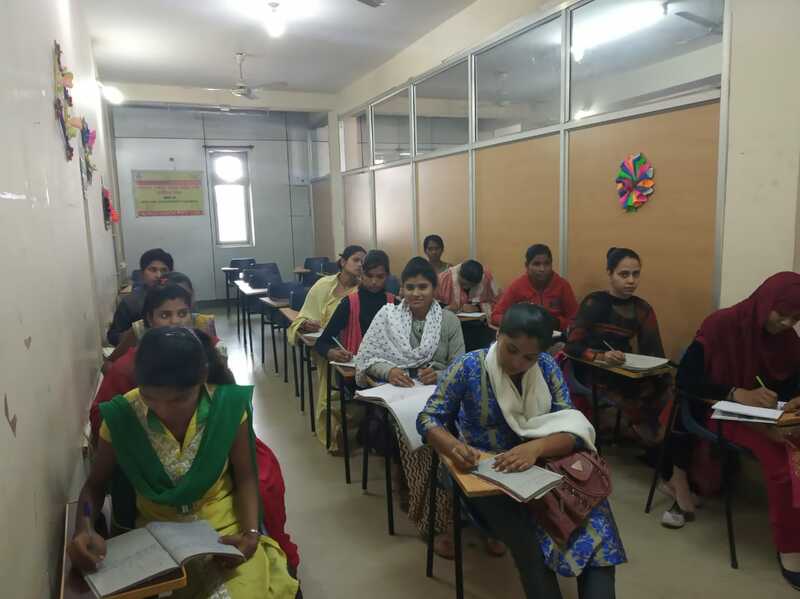 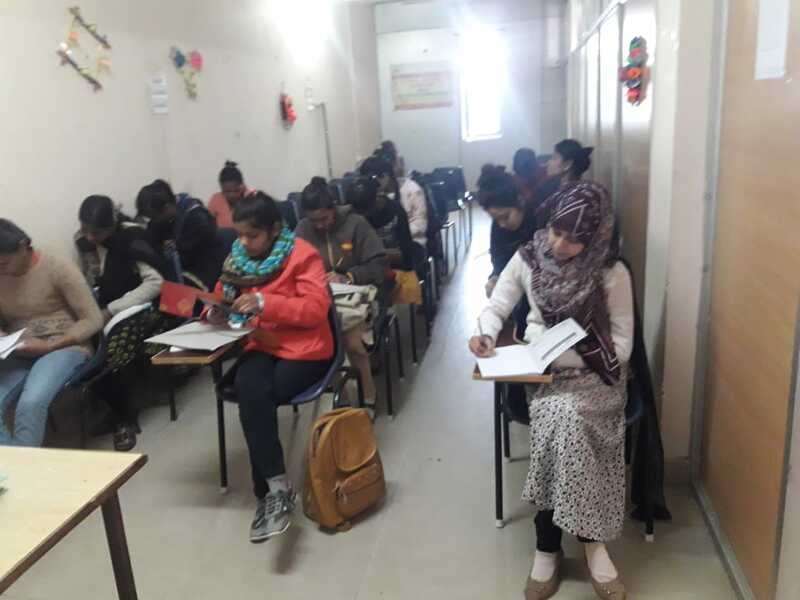 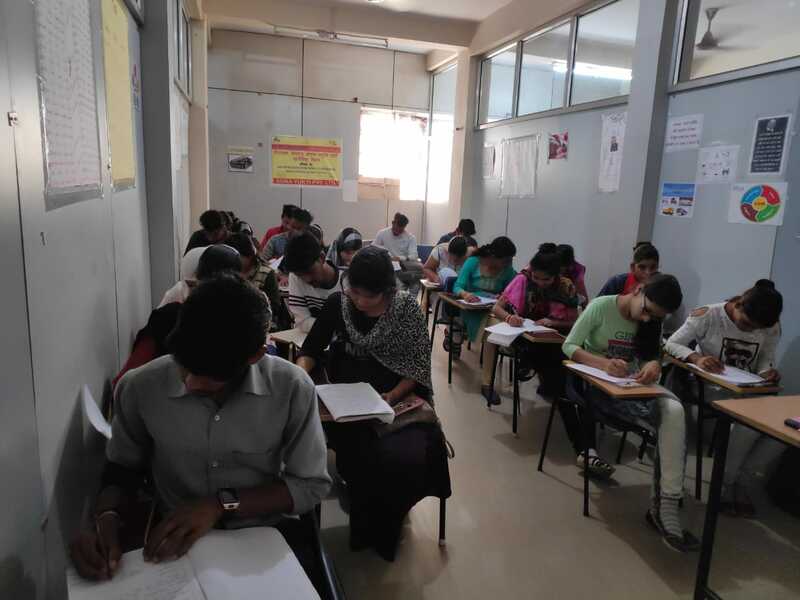 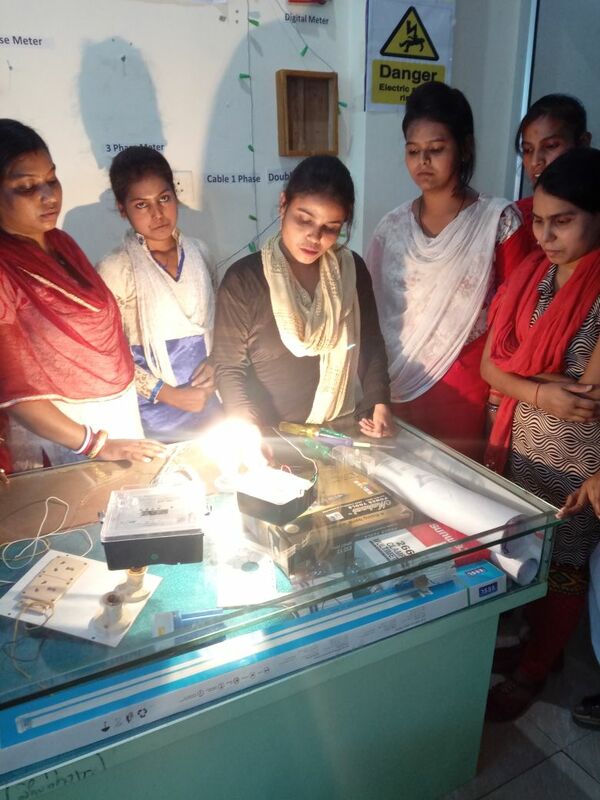 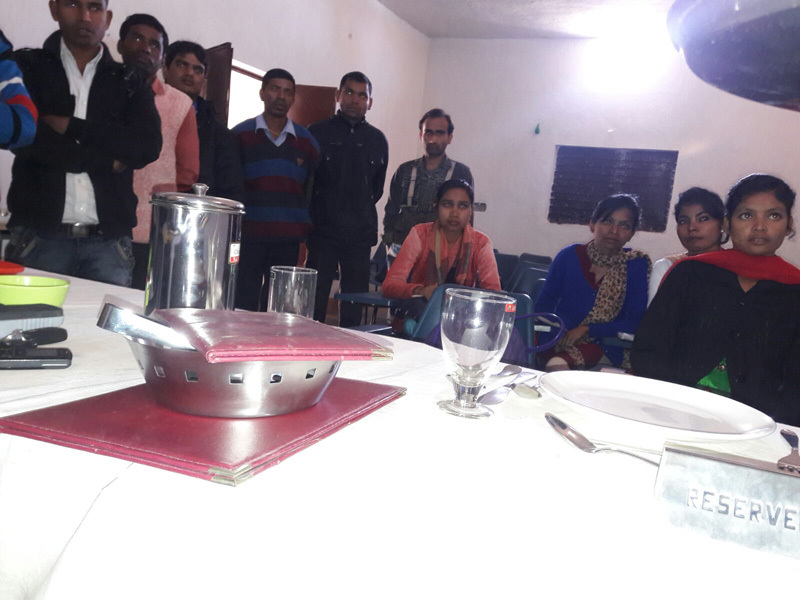 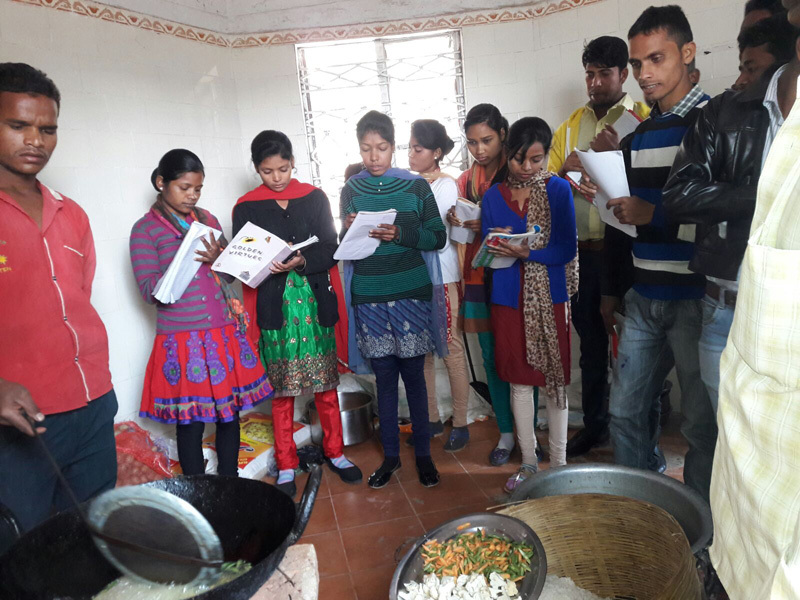 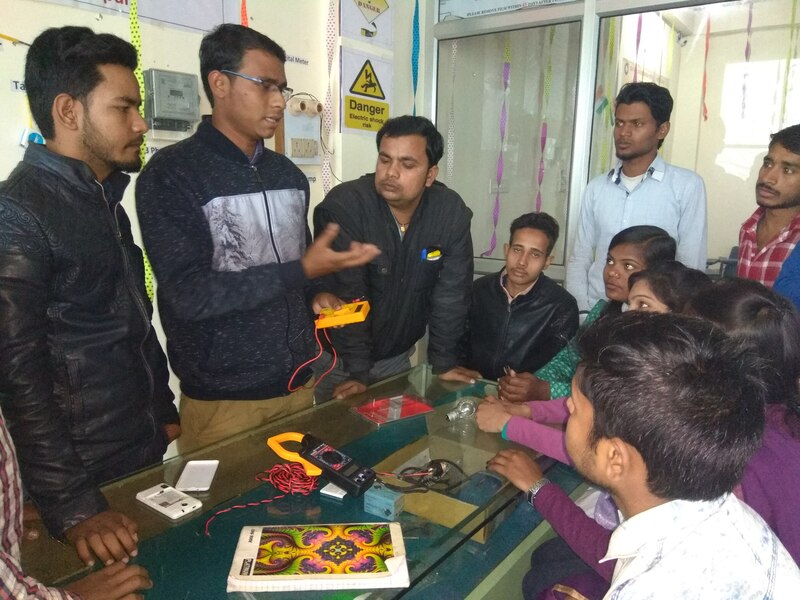 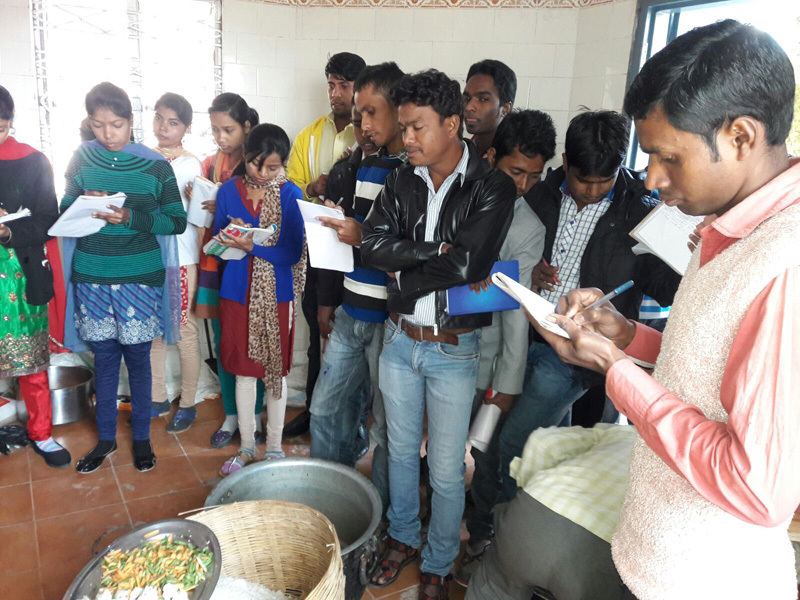 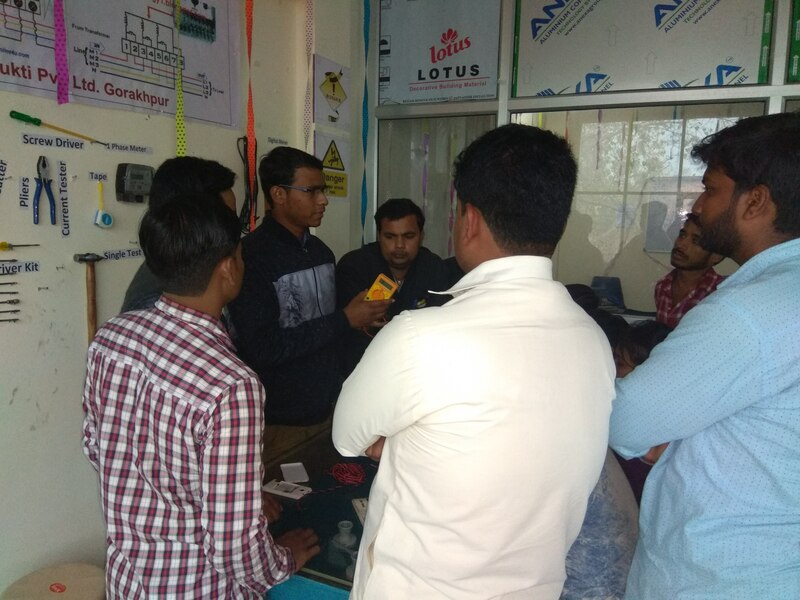 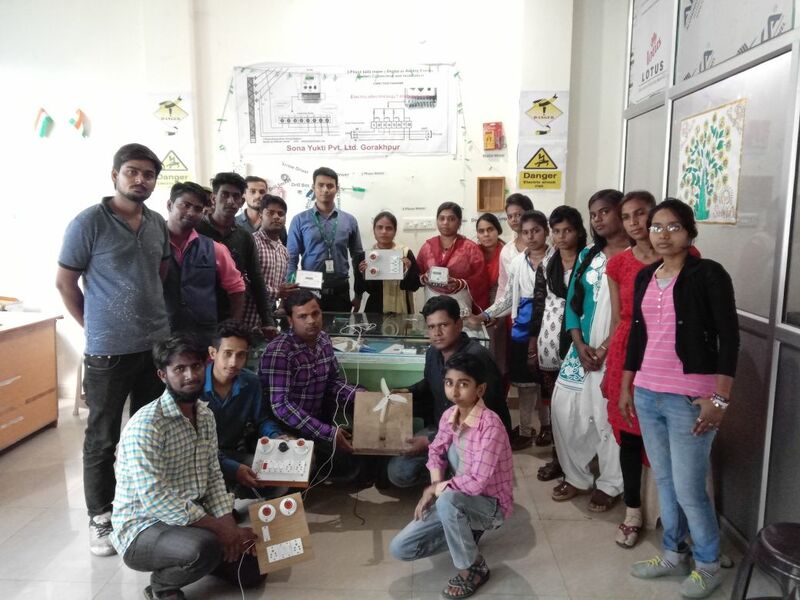 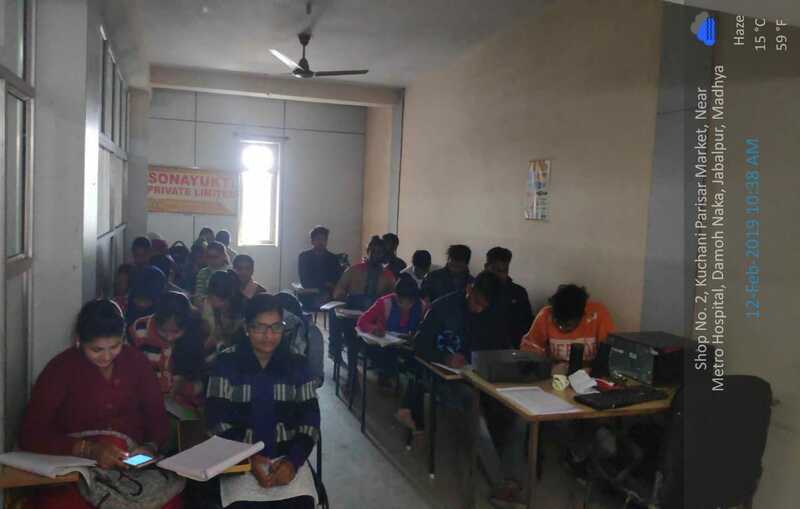 Sona Yukti's students at the Gorakhpur center taking their monthly assessments for the Consumer Energy Meter Technician course. 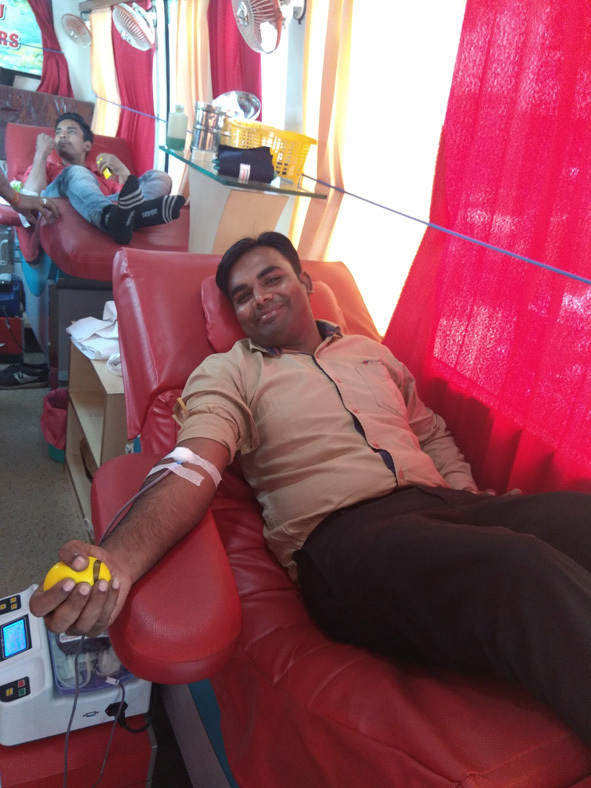 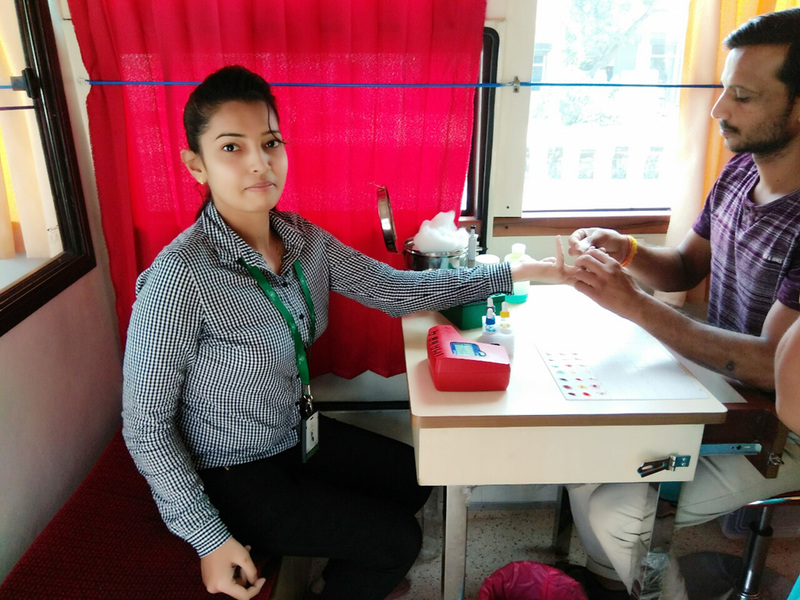 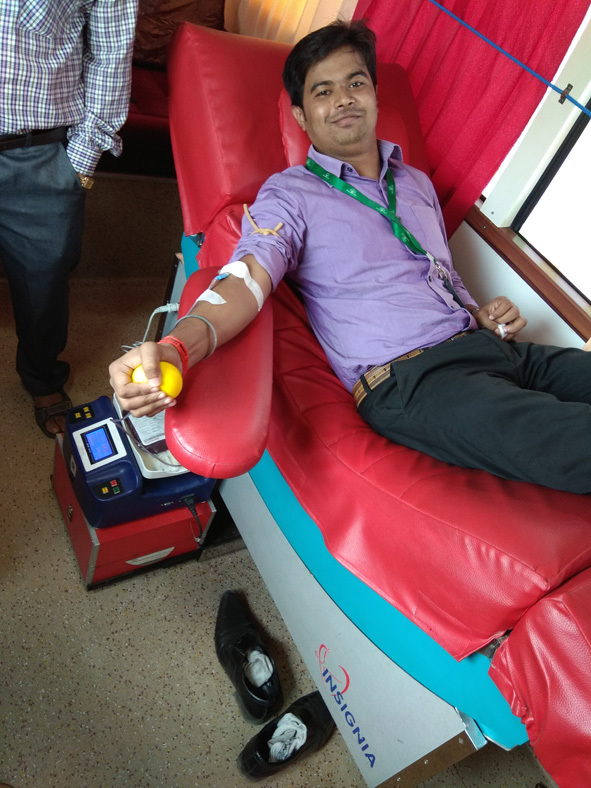 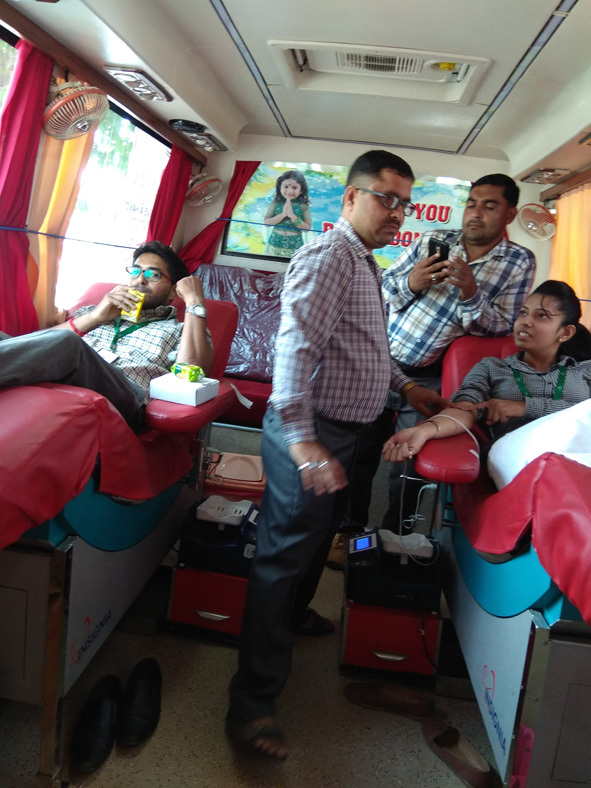 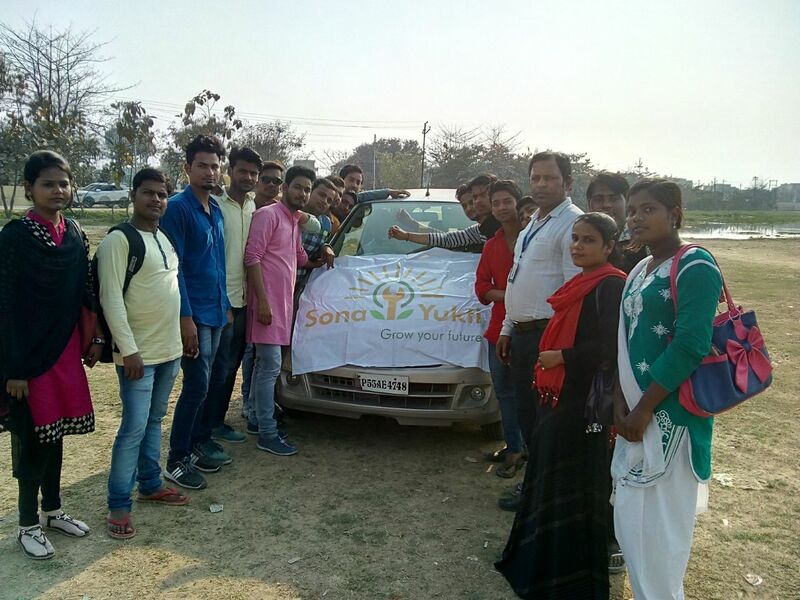 Students of Sona Yukti Gorakhpur’s Commercial Vehicle Driver Level 4 course underwent their monthly assessments. 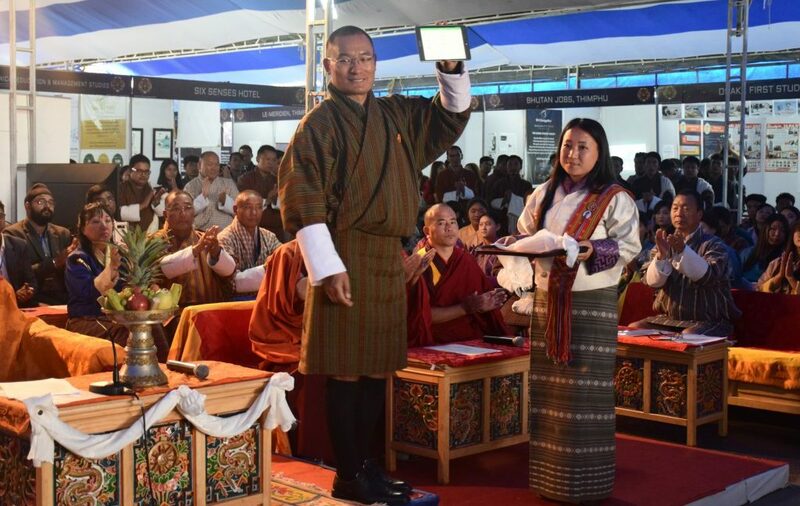 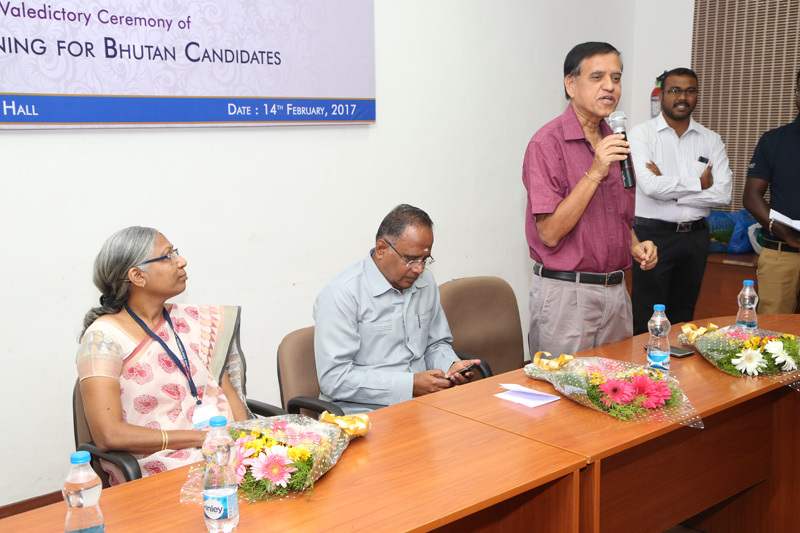 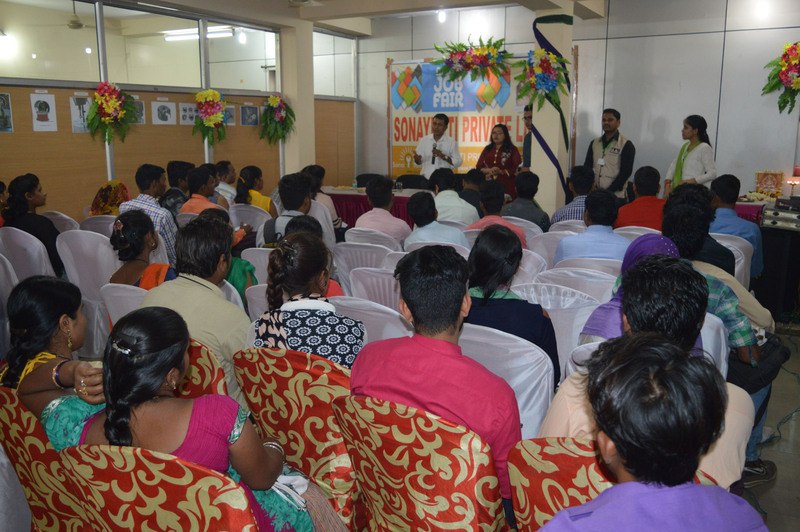 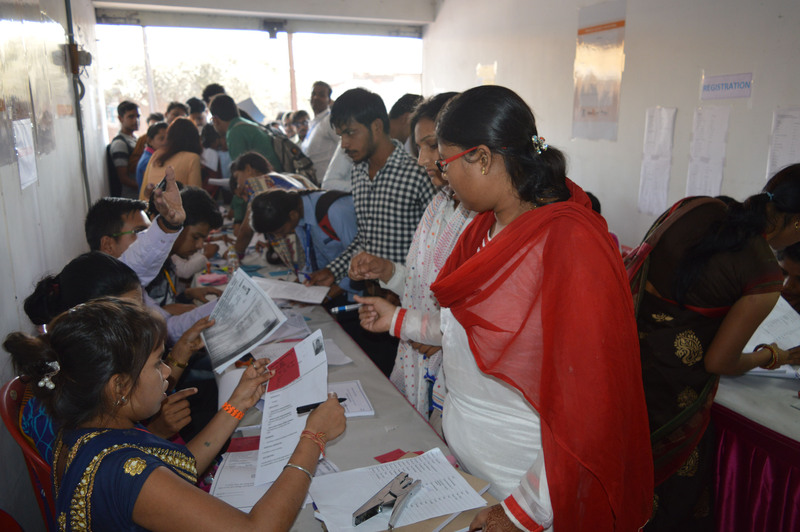 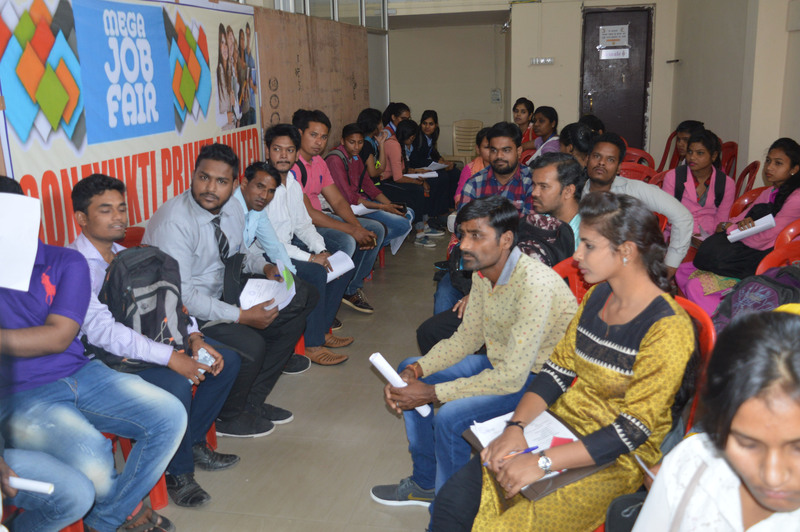 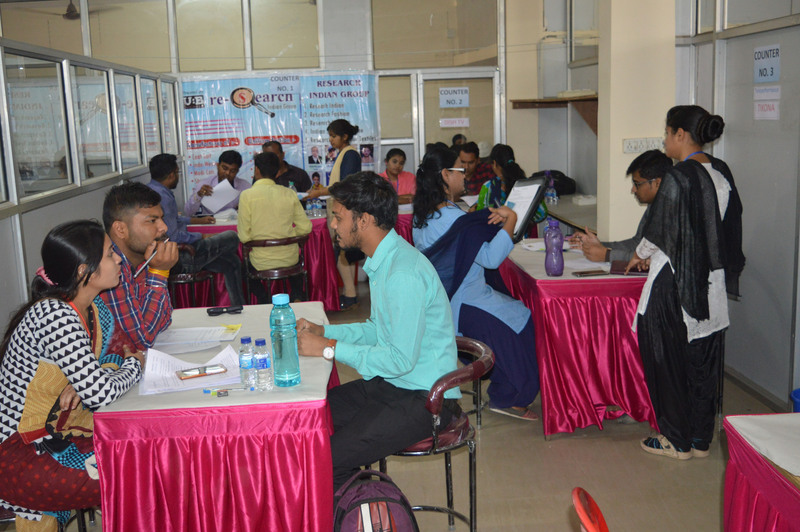 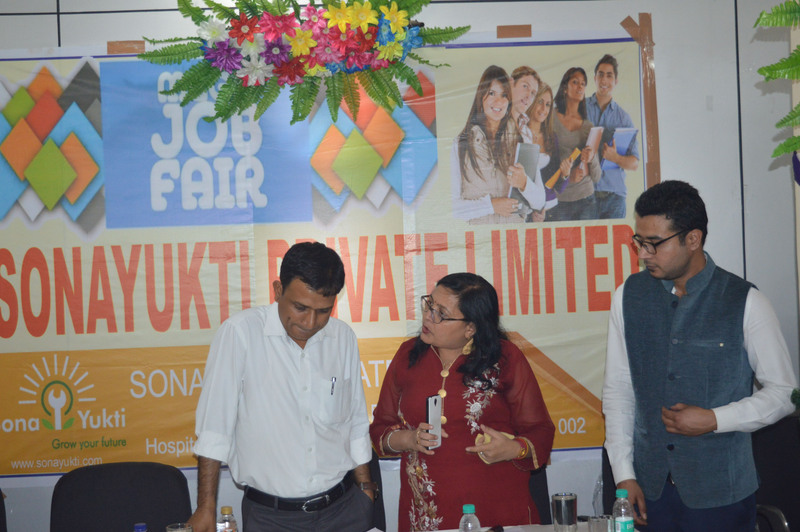 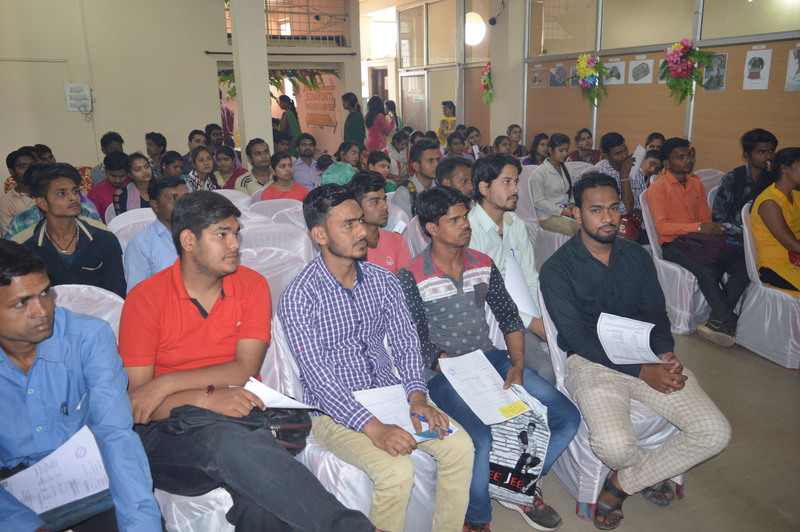 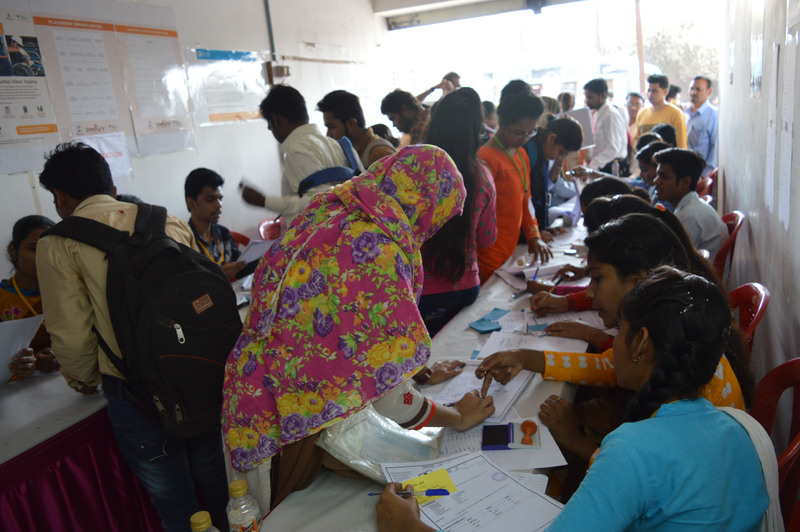 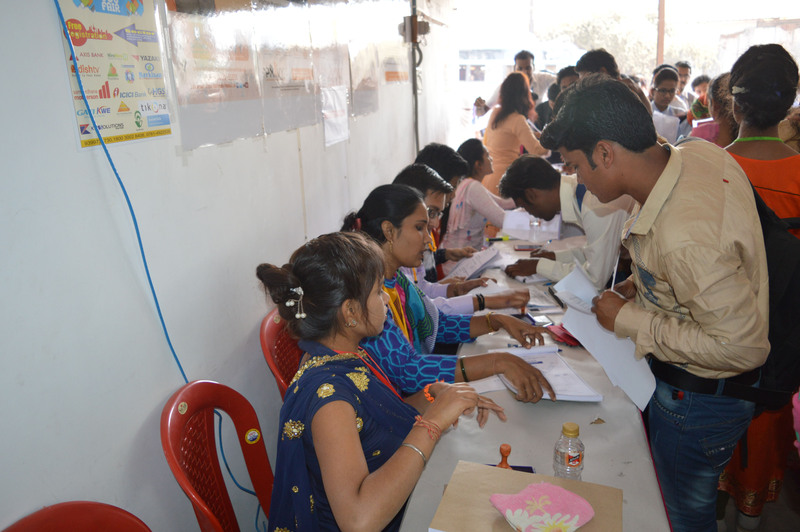 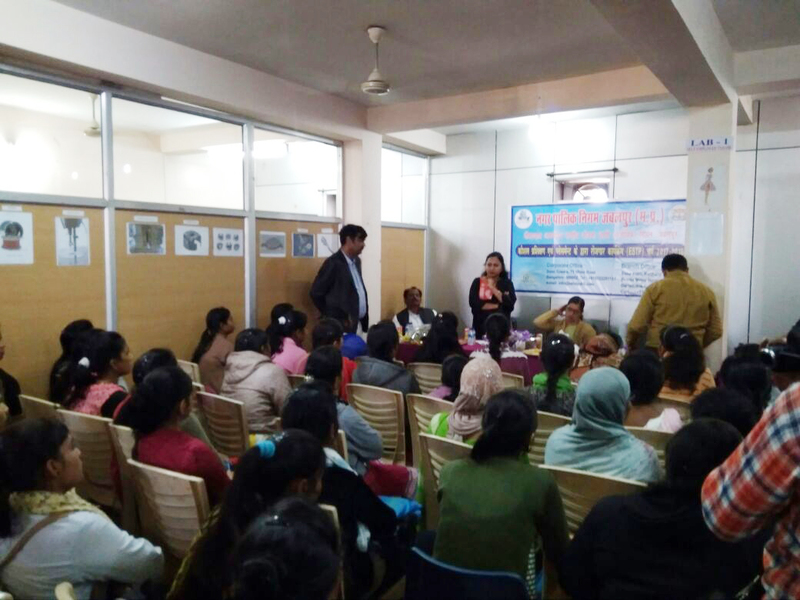 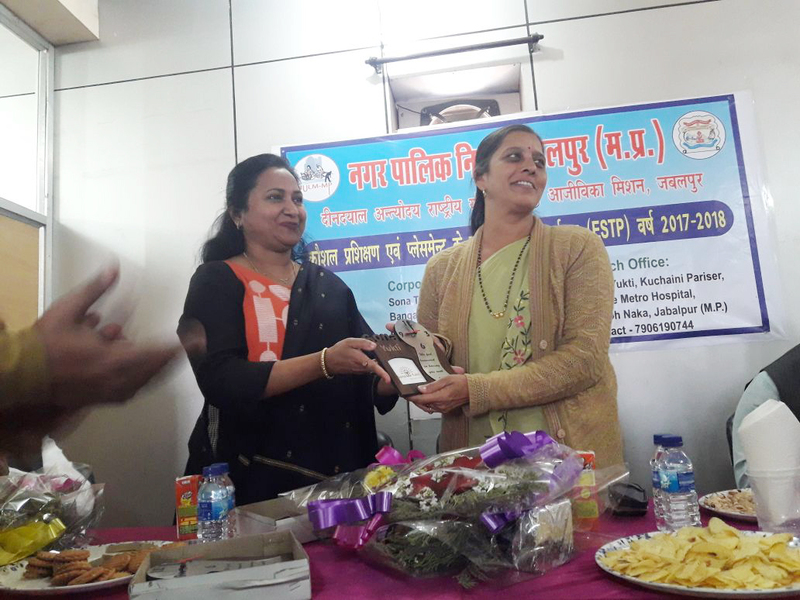 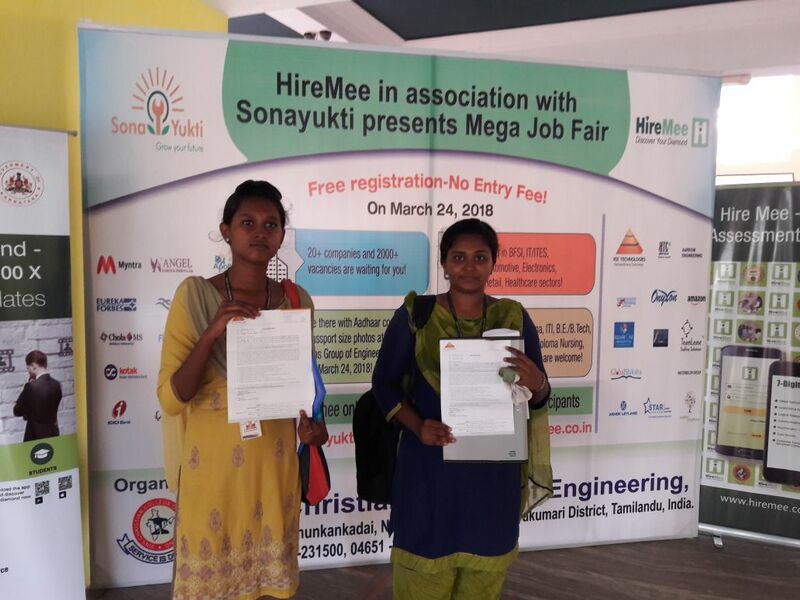 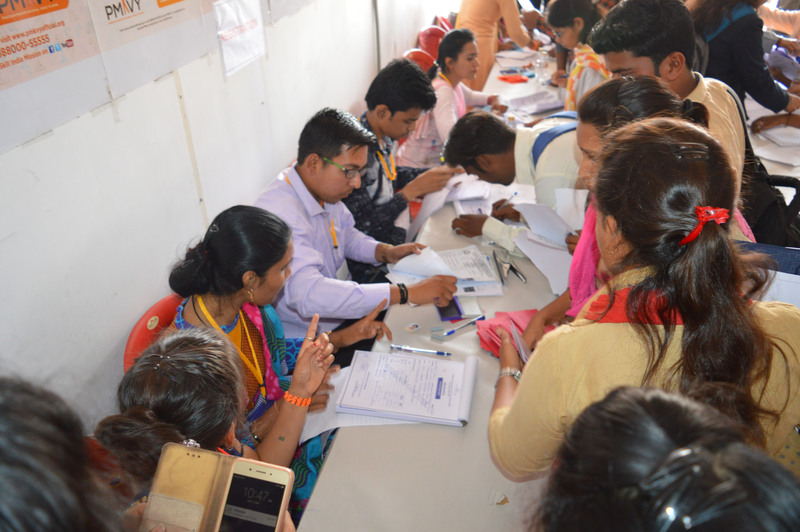 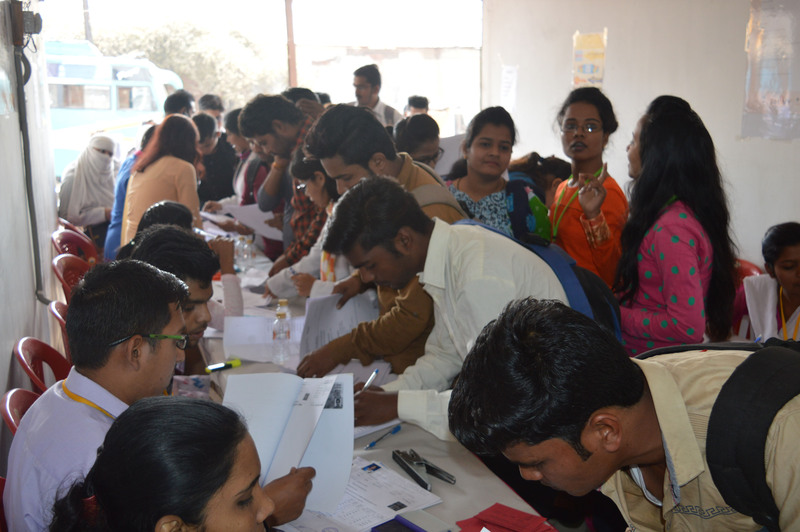 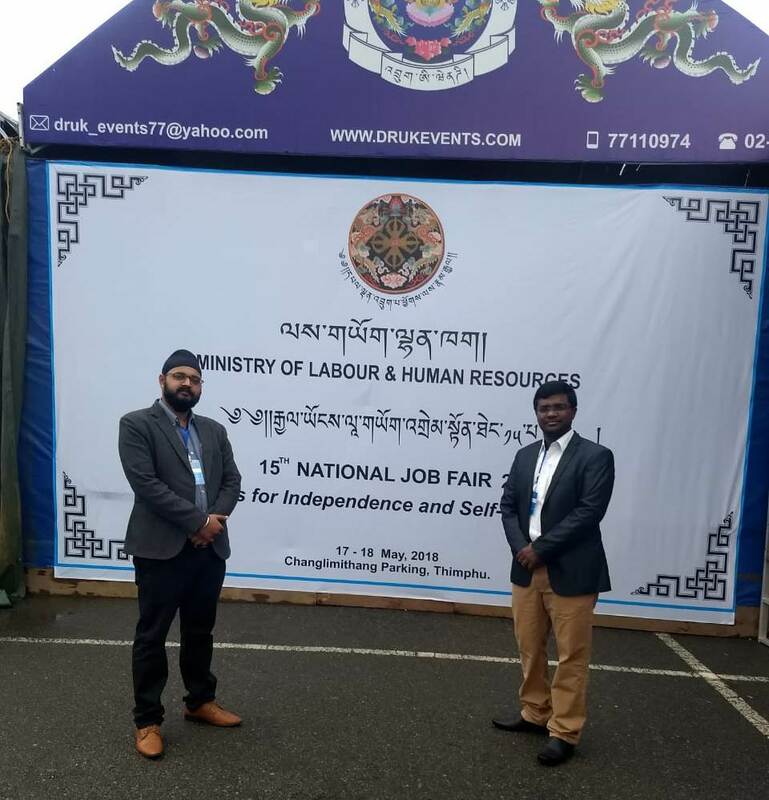 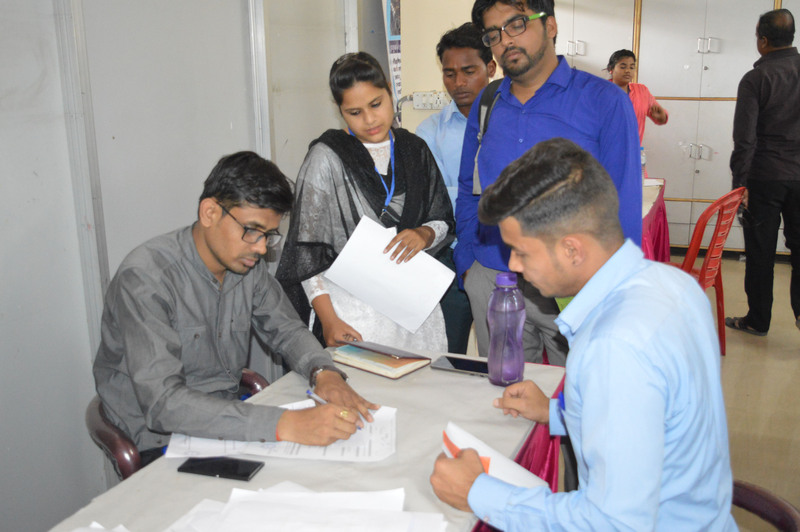 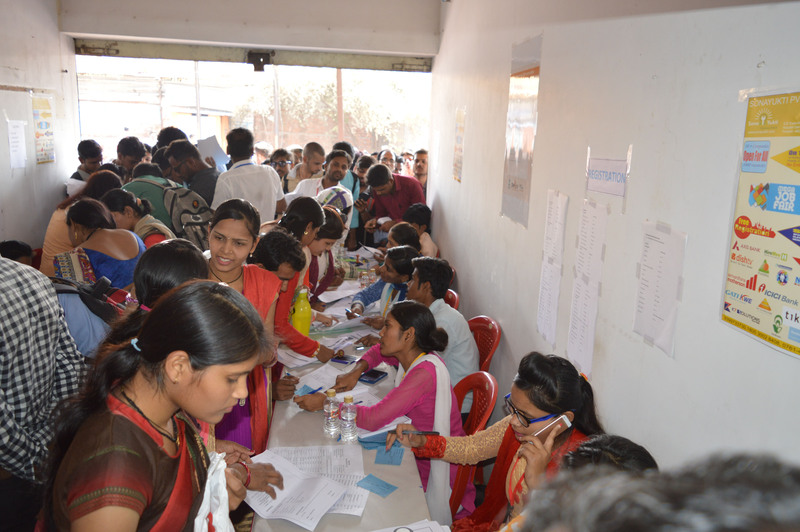 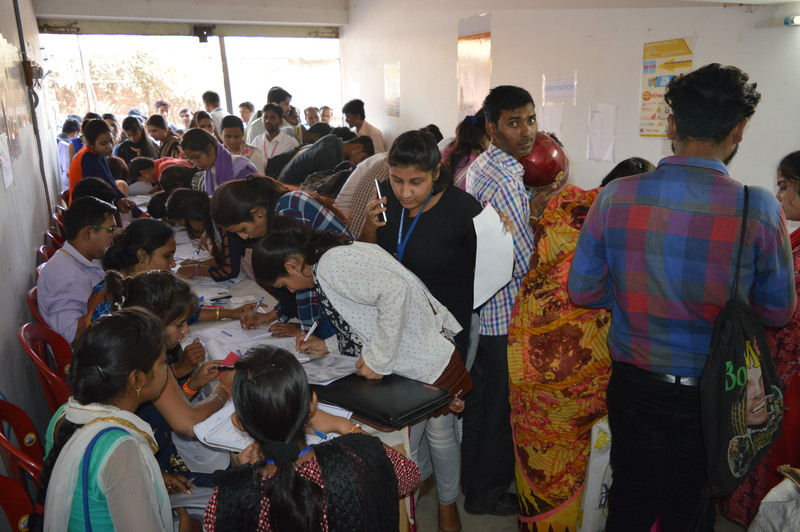 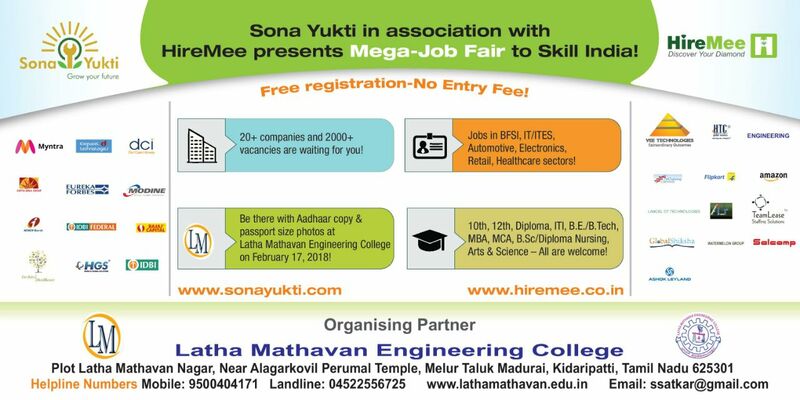 Sona Yukti’s Mega Job Fair associated with Nagar Nigam Jabalpur on March 12th saw leading companies selecting hundreds of candidates. 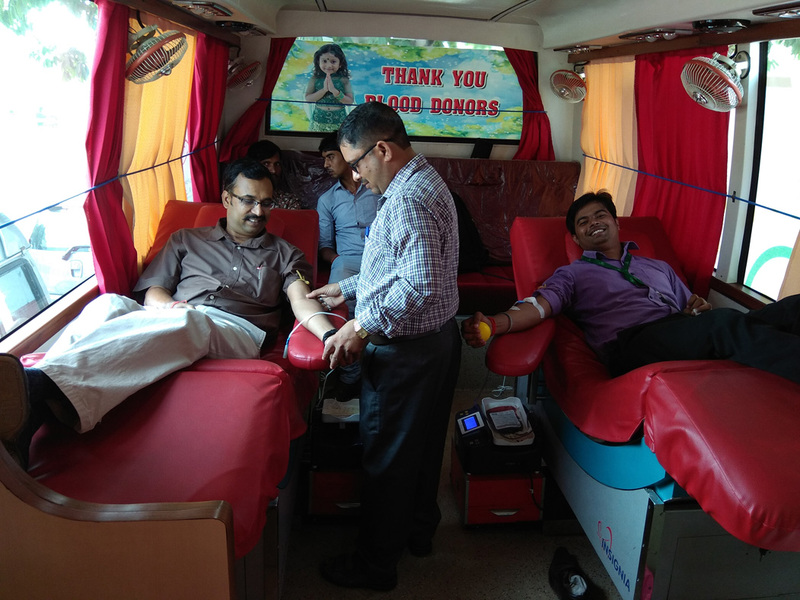 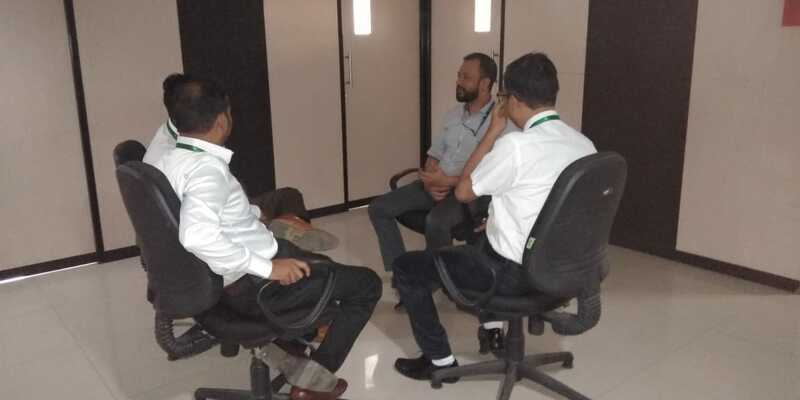 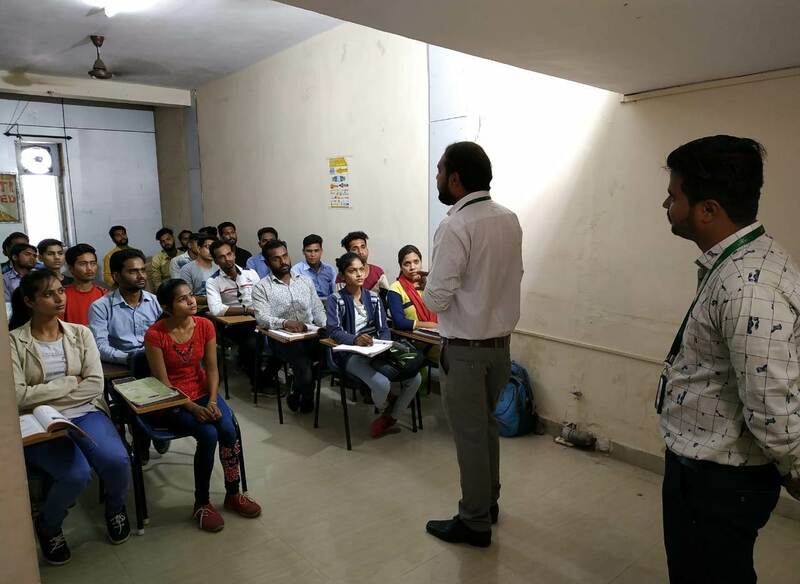 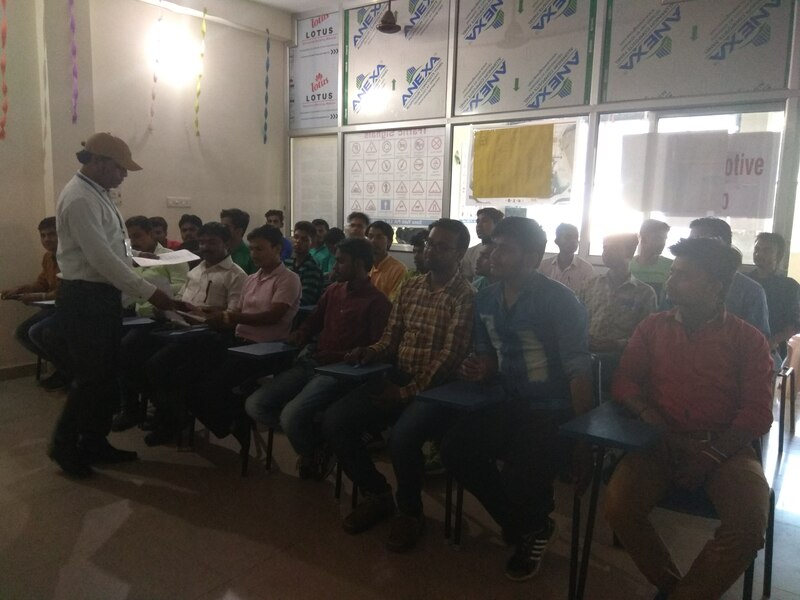 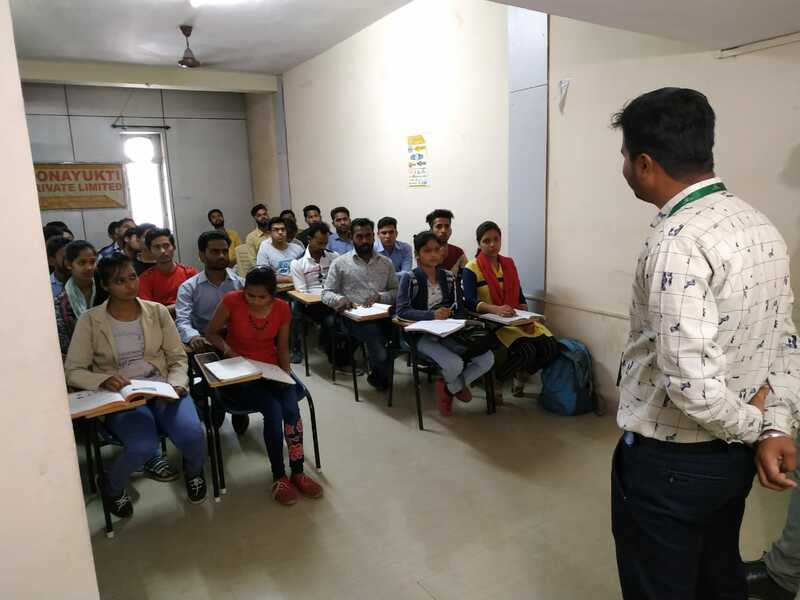 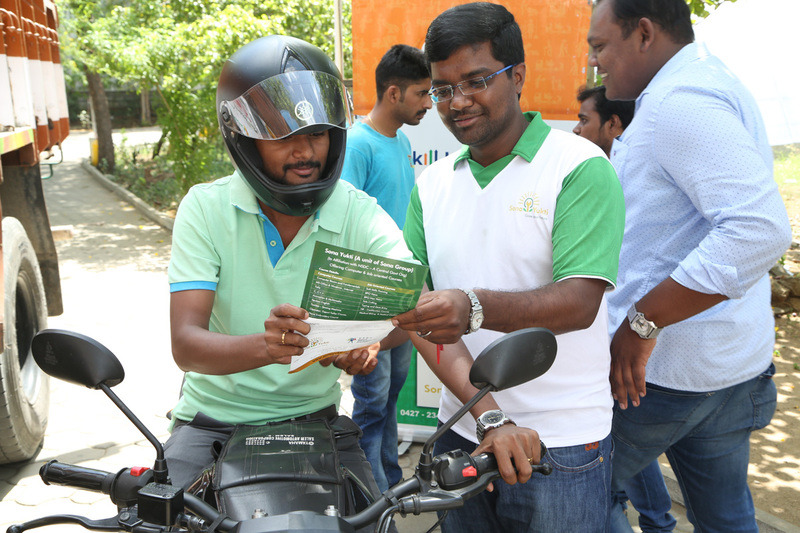 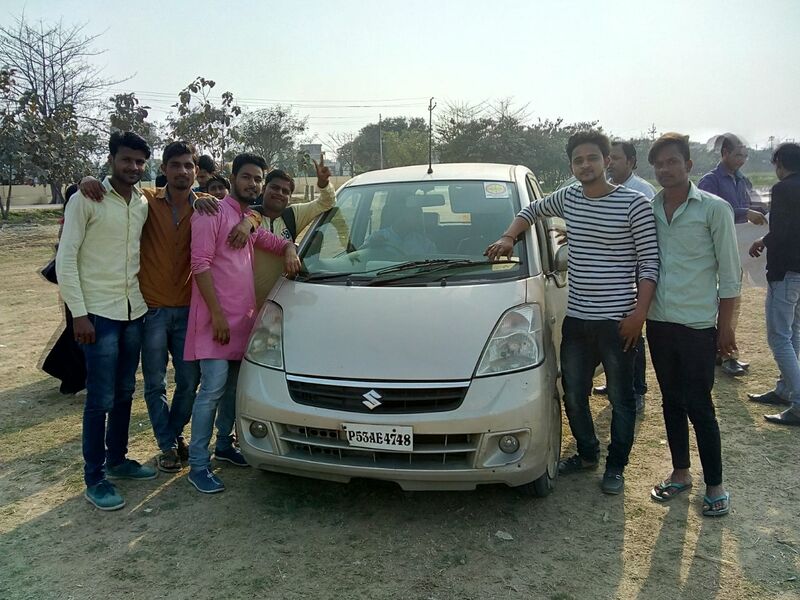 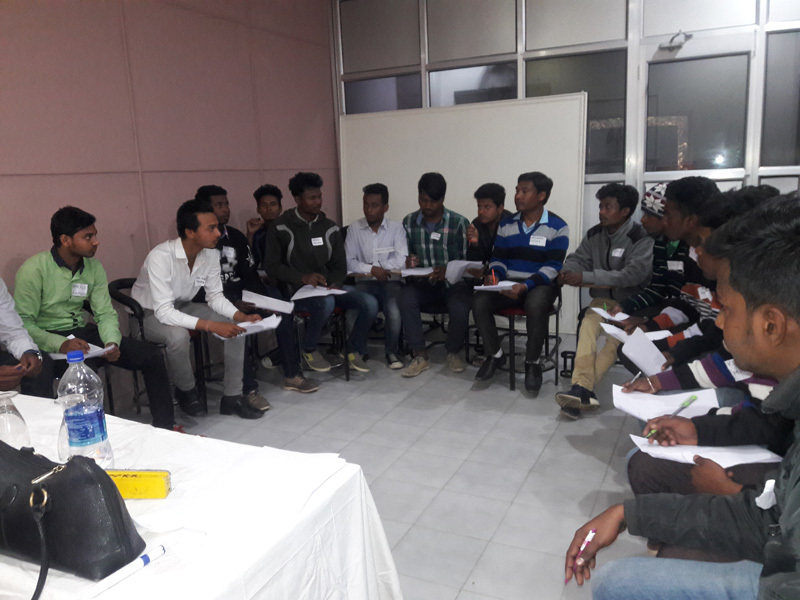 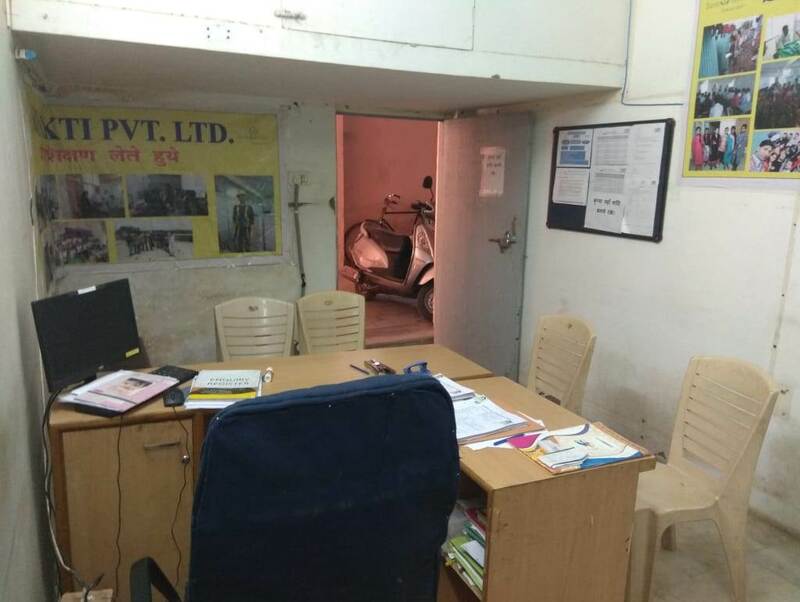 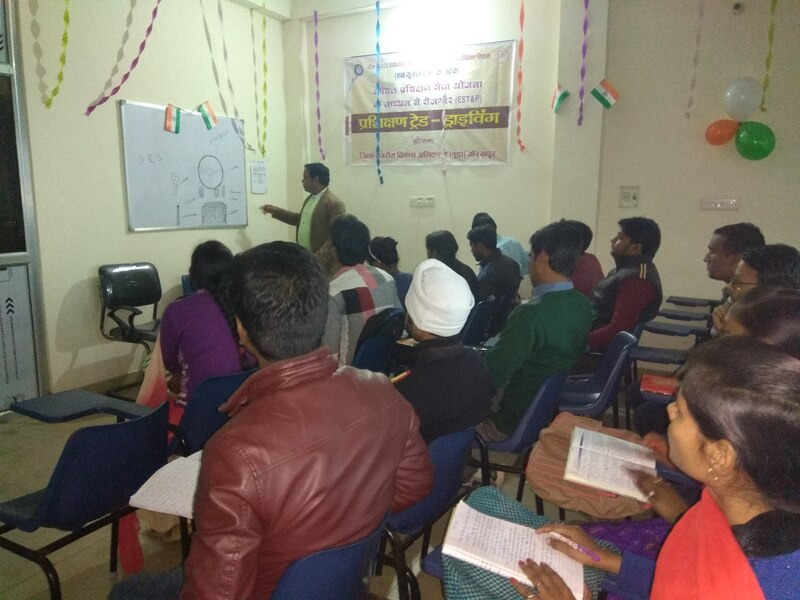 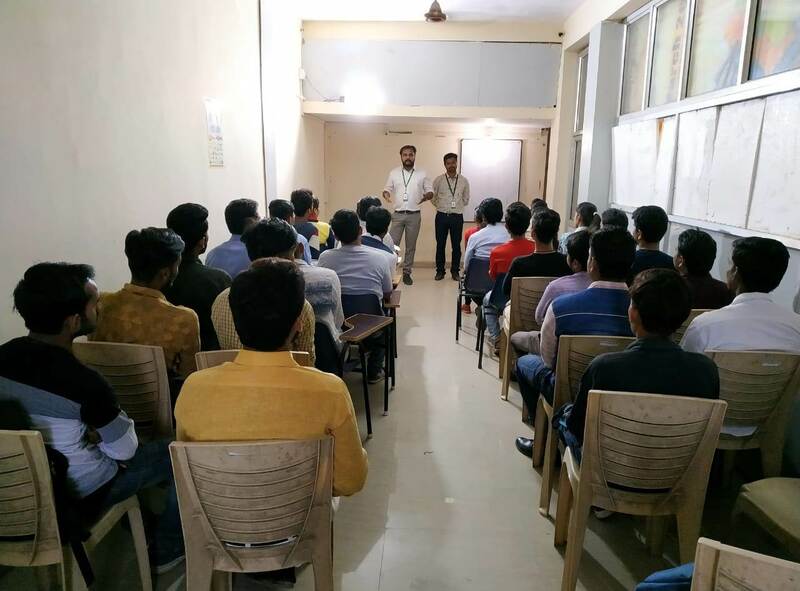 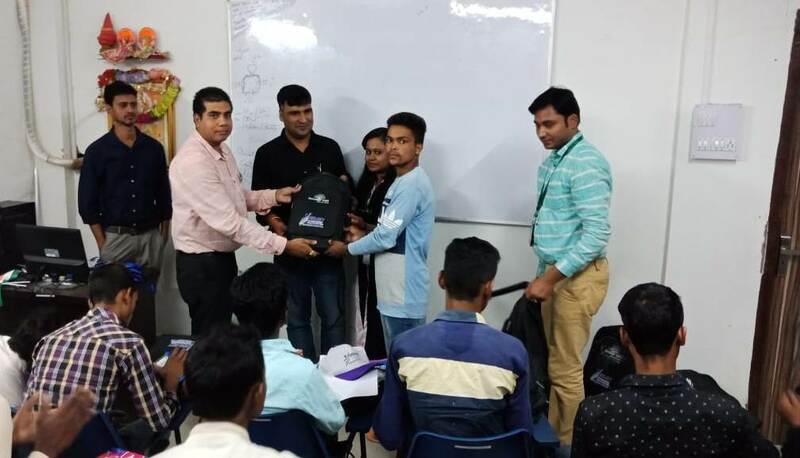 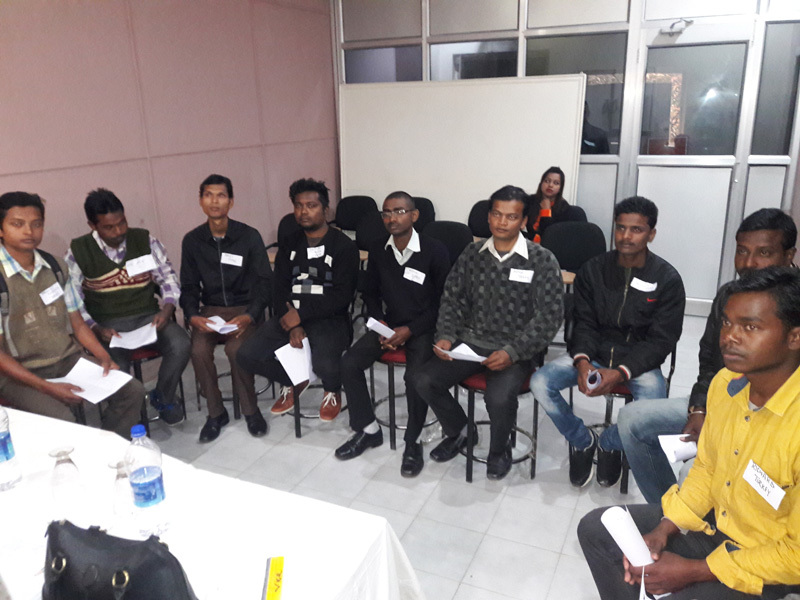 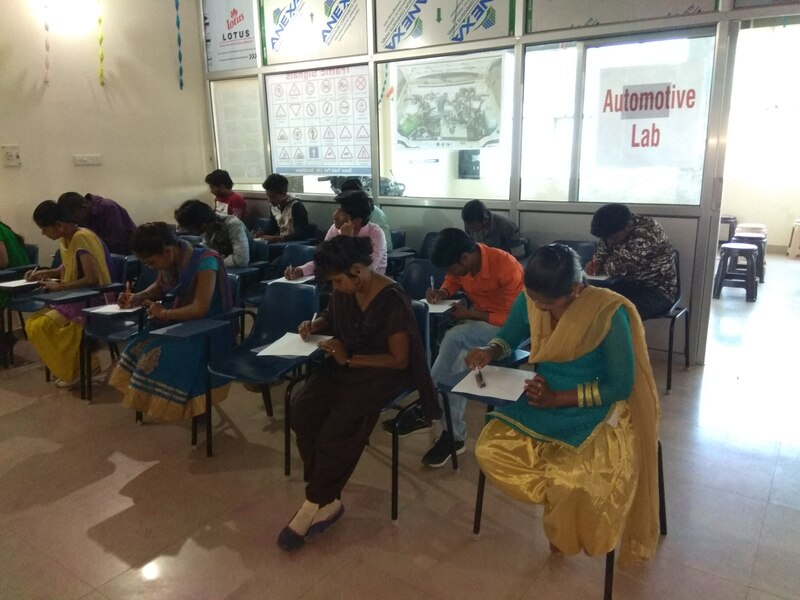 Students from the Sona Yukti Gorakhpur center’s automotive sector course in Commercial Vehicle Driver Level 4 undergo training from professionals. 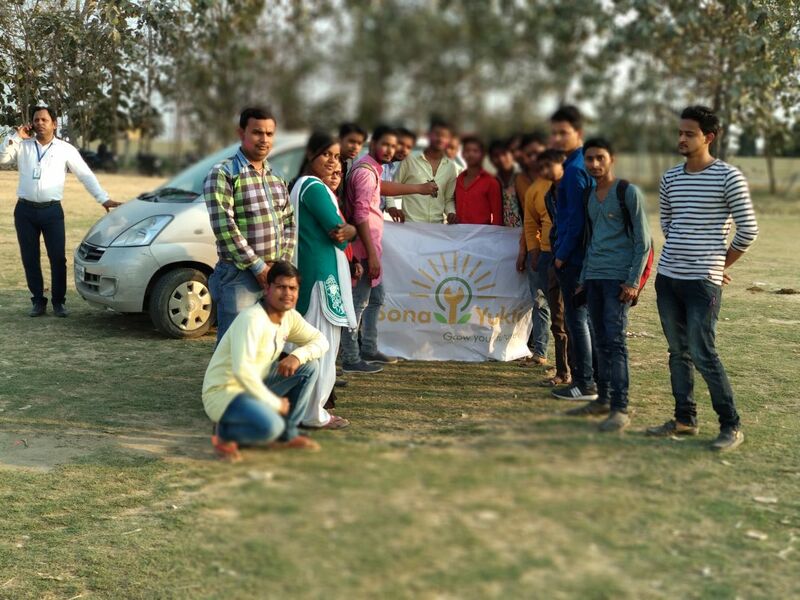 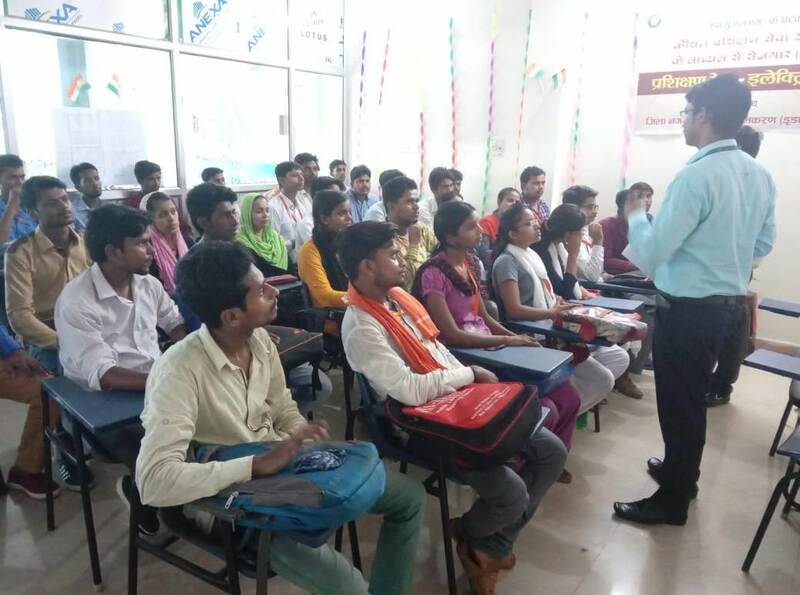 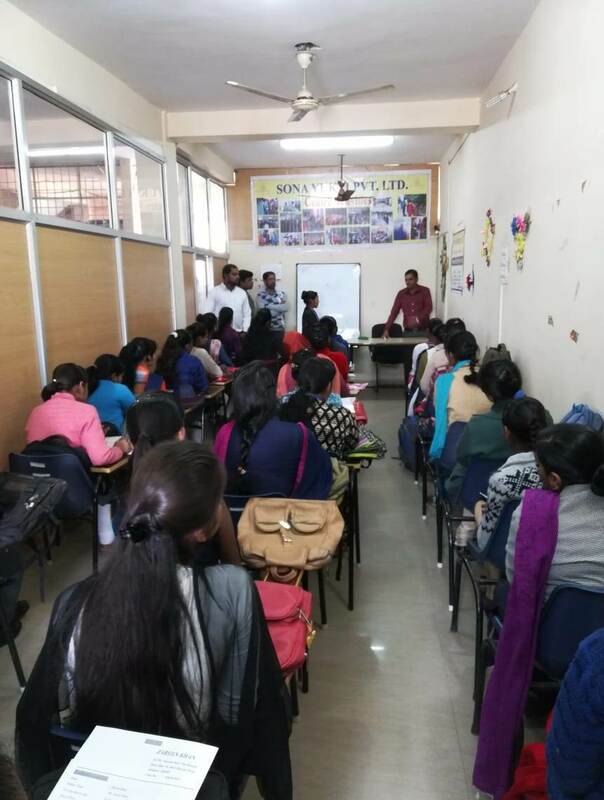 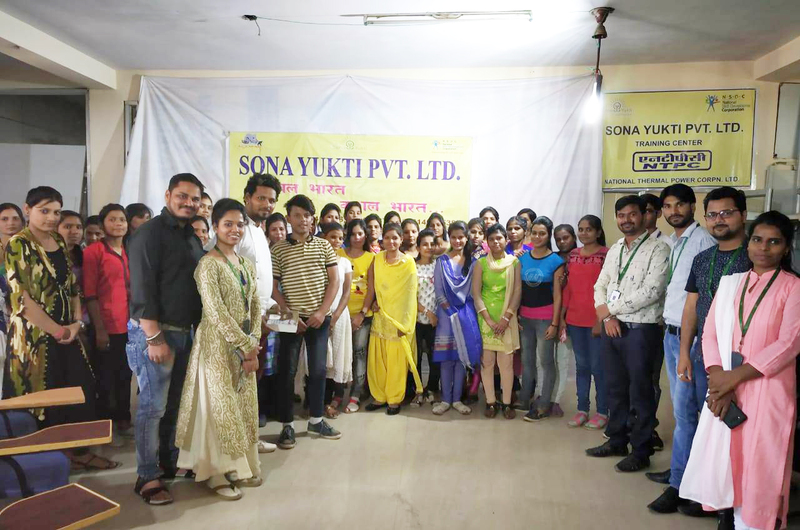 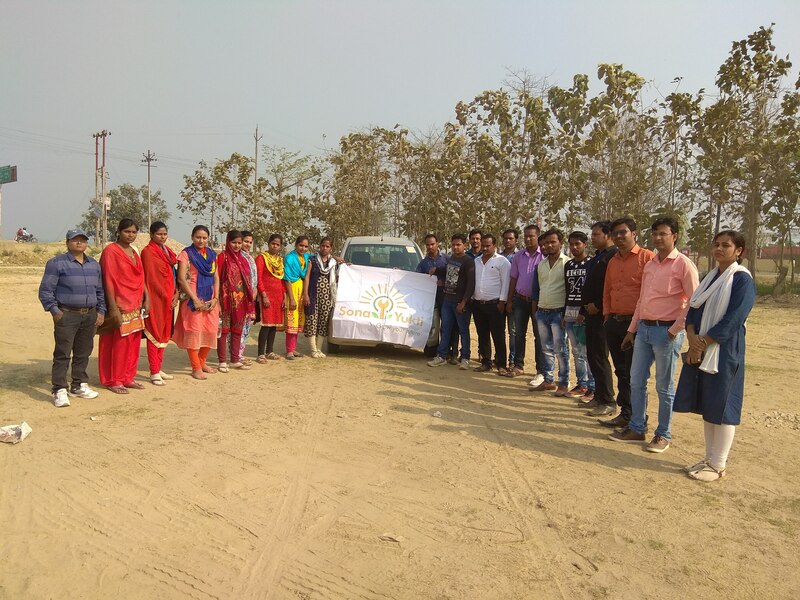 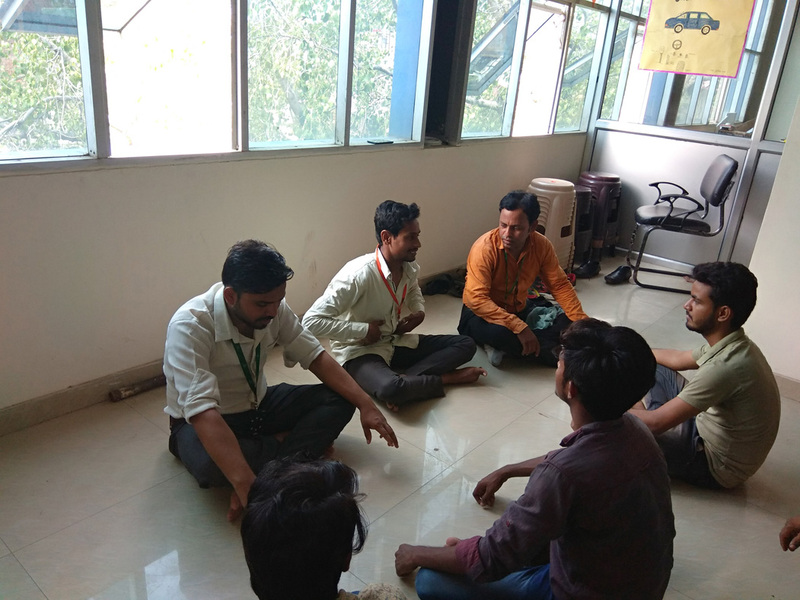 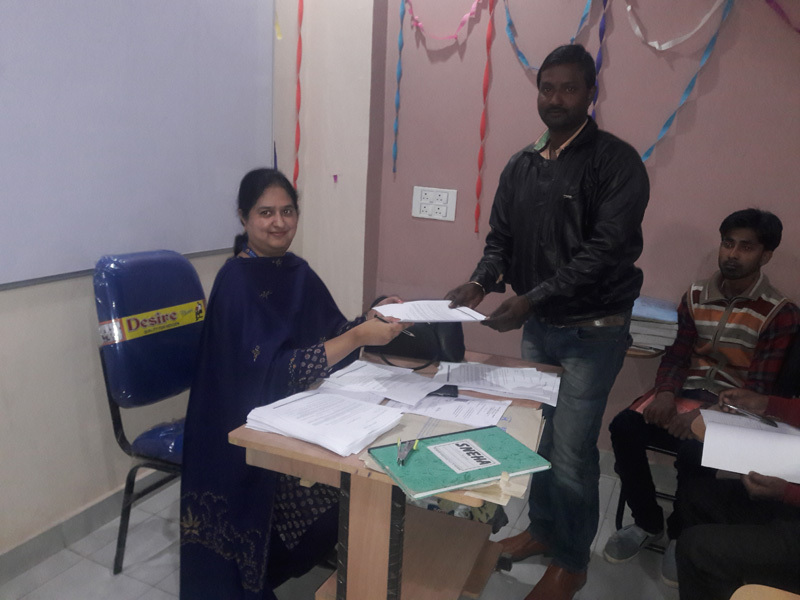 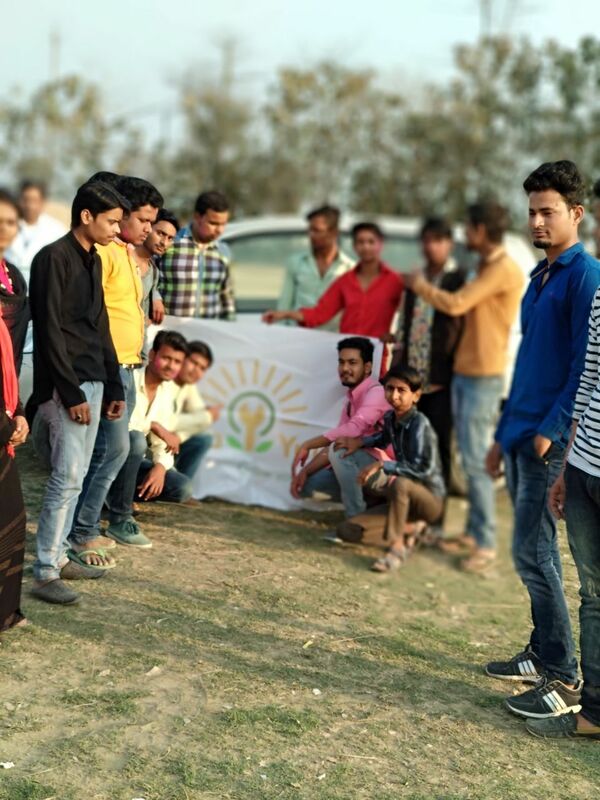 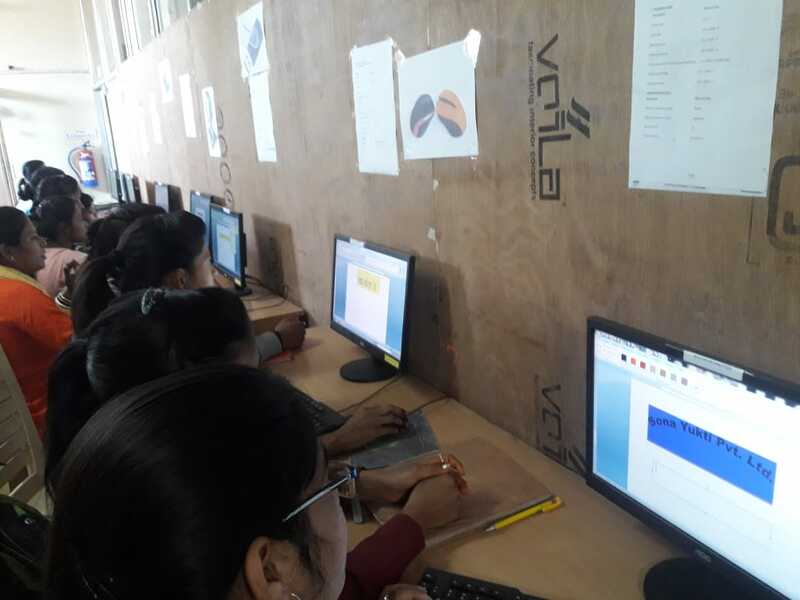 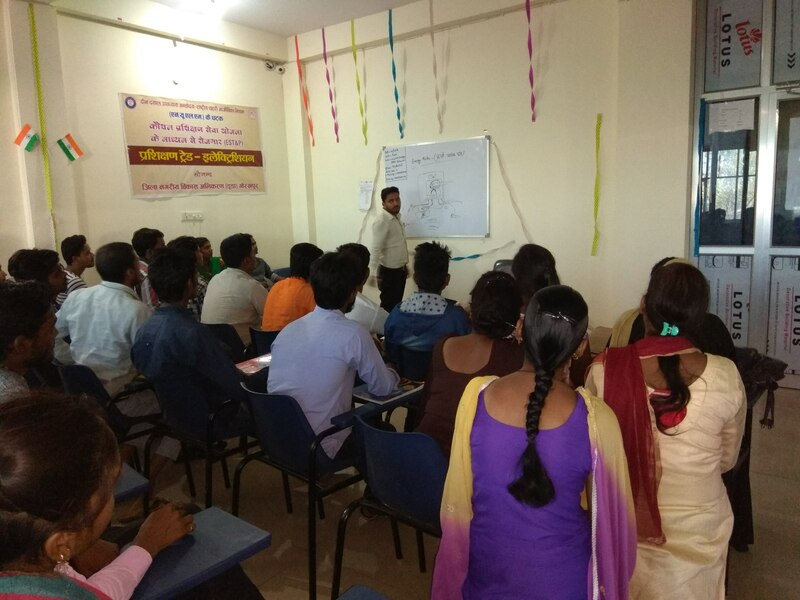 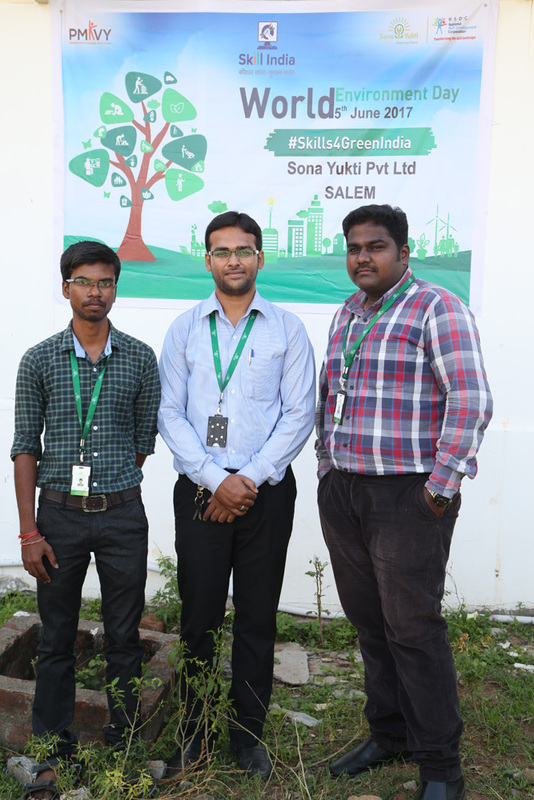 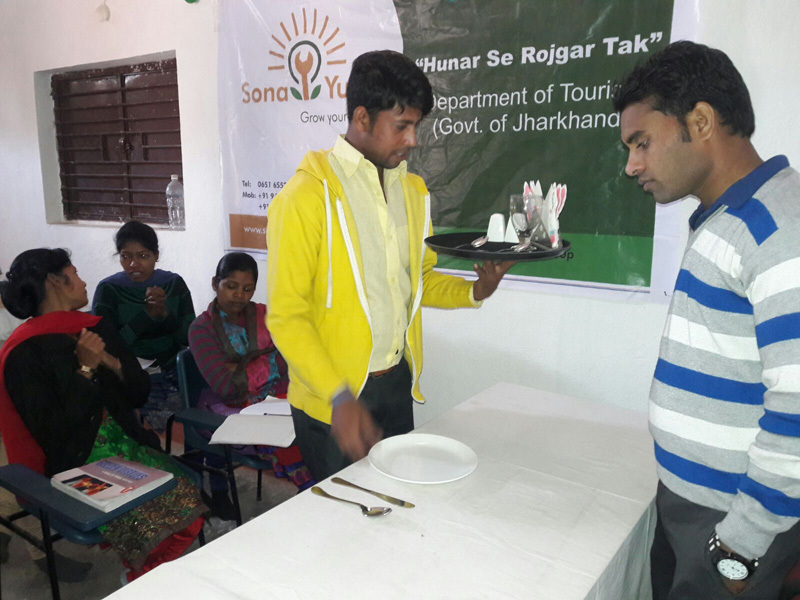 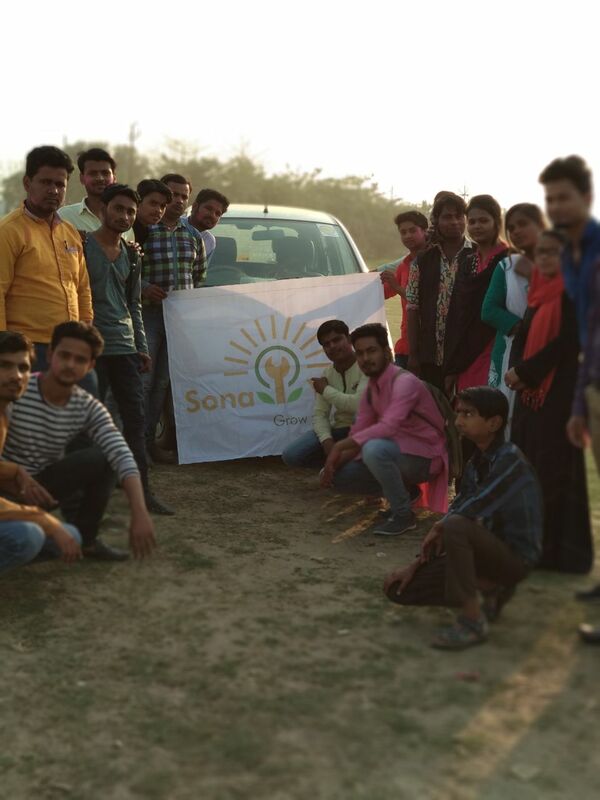 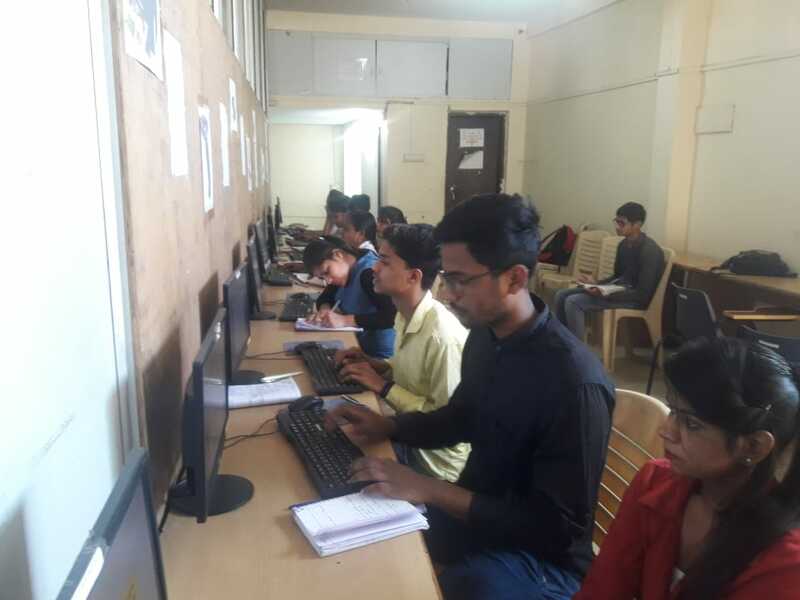 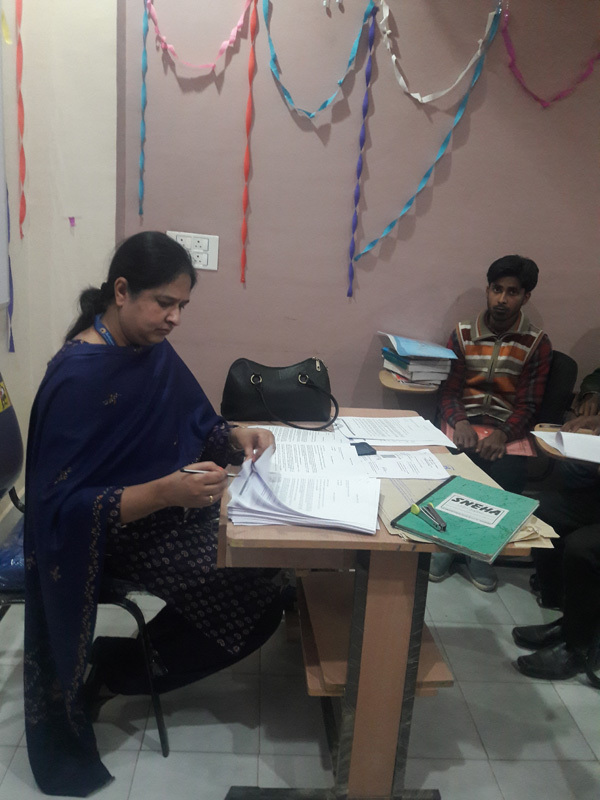 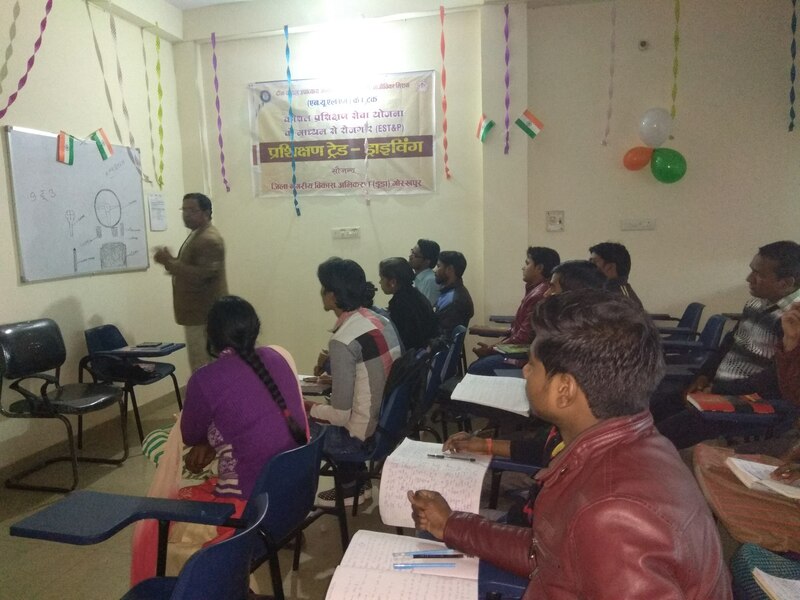 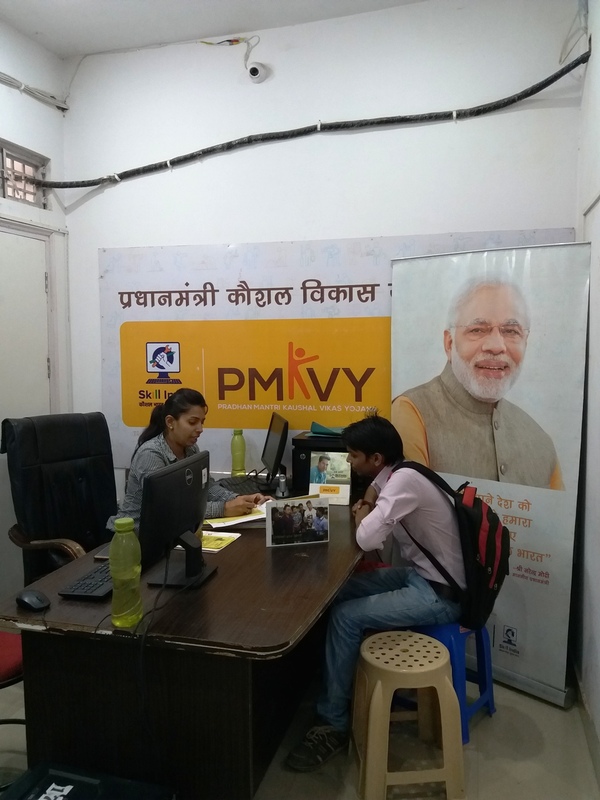 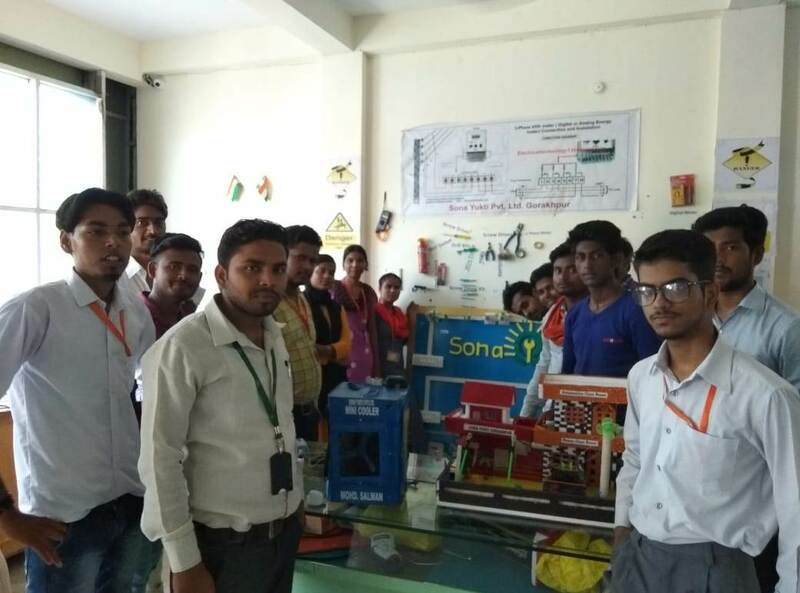 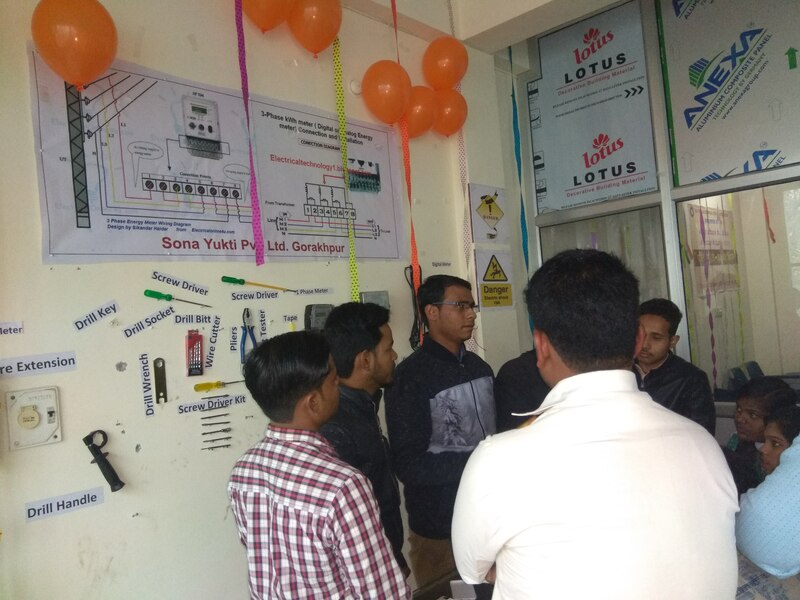 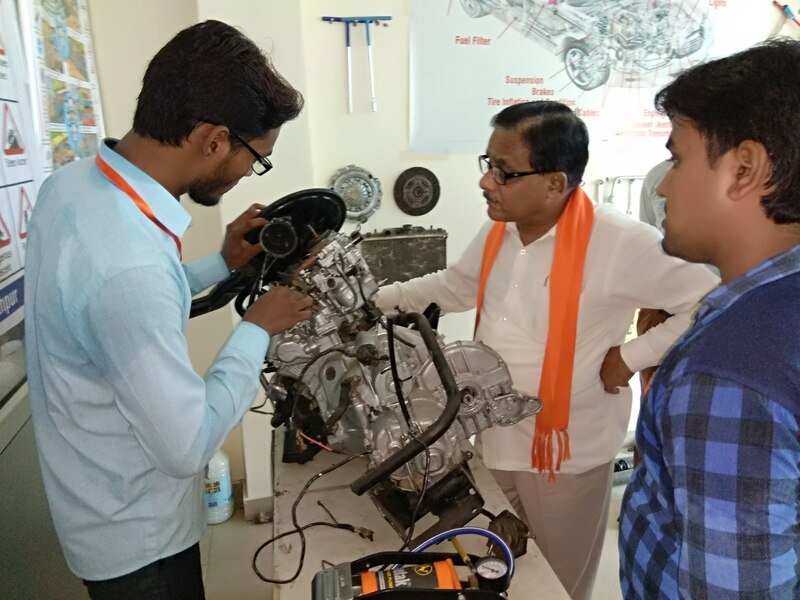 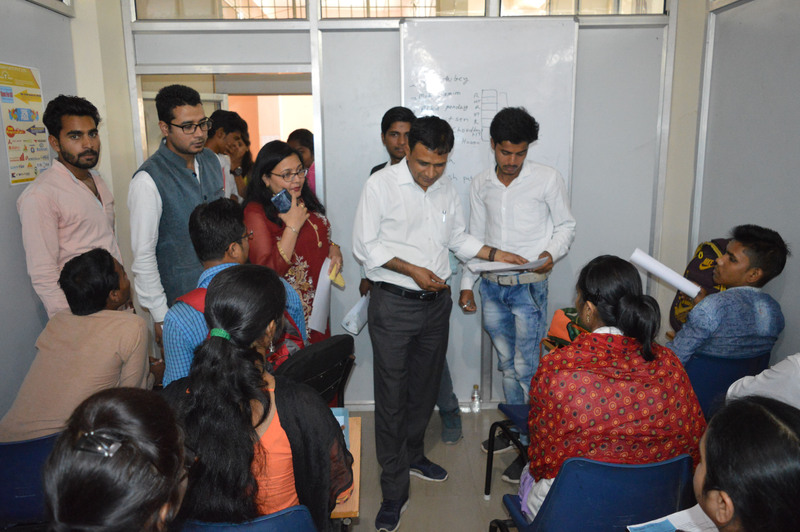 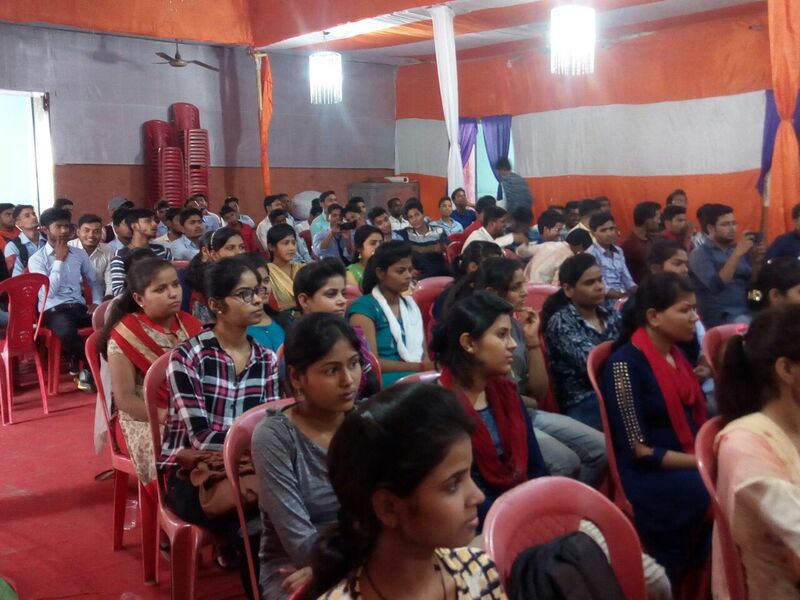 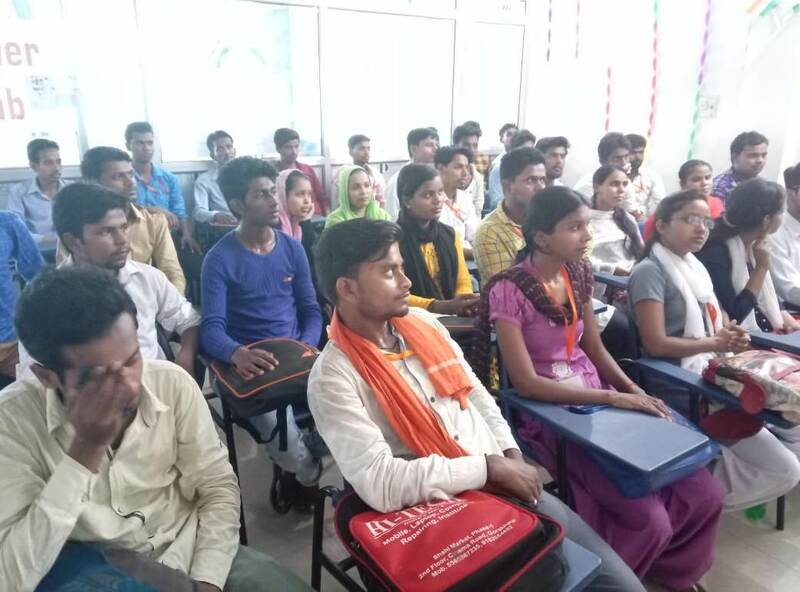 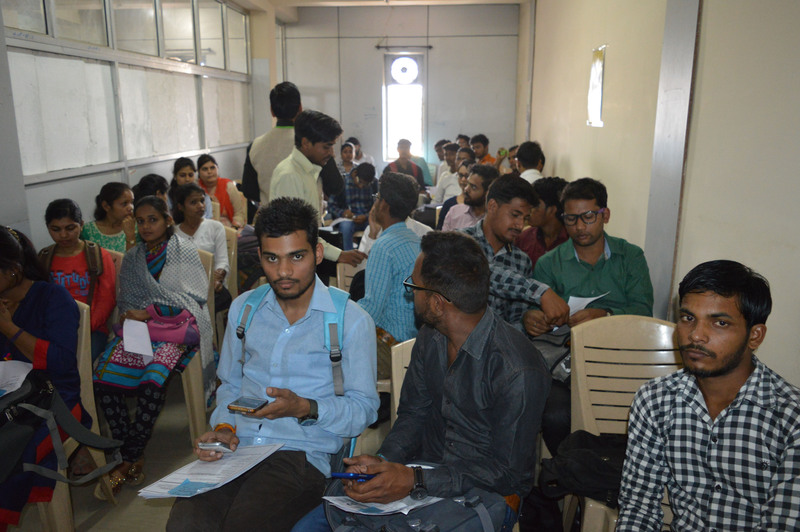 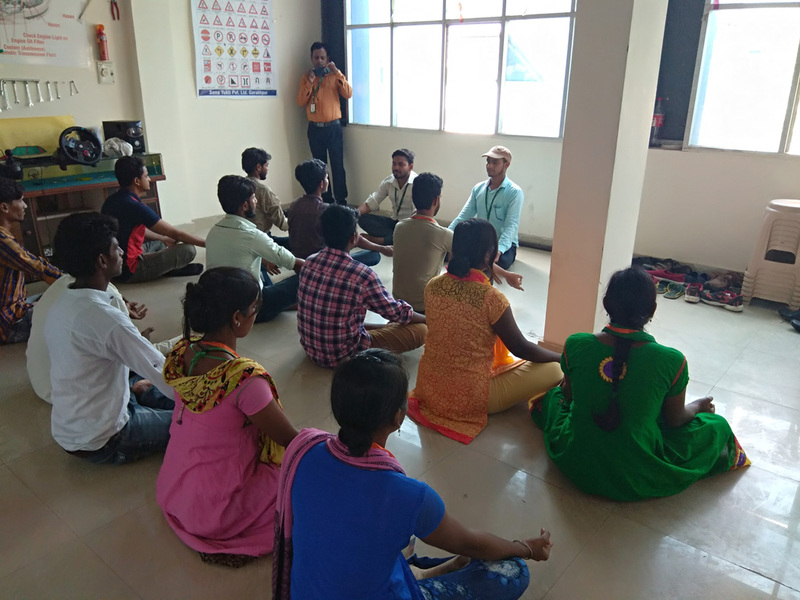 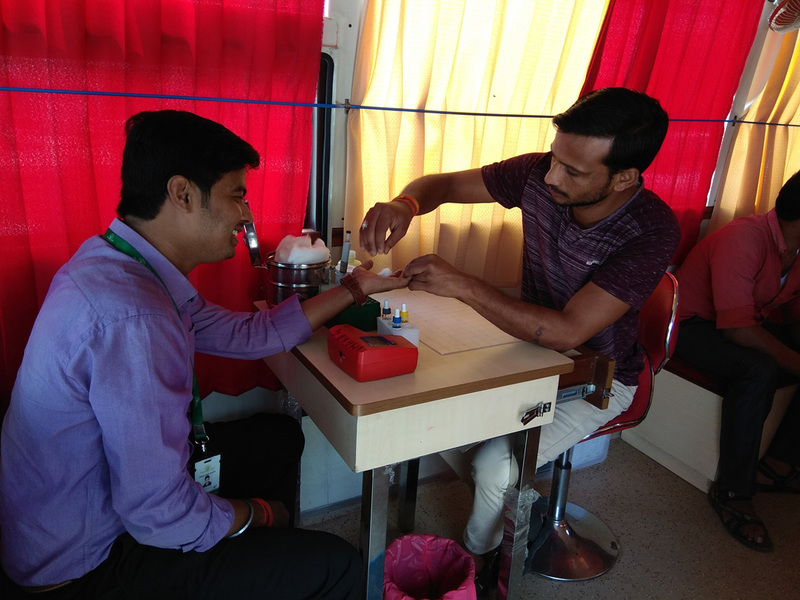 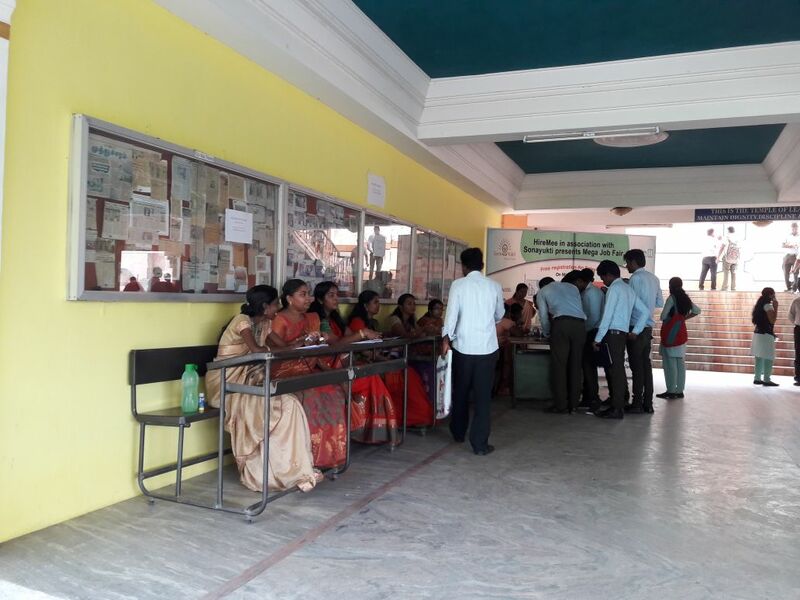 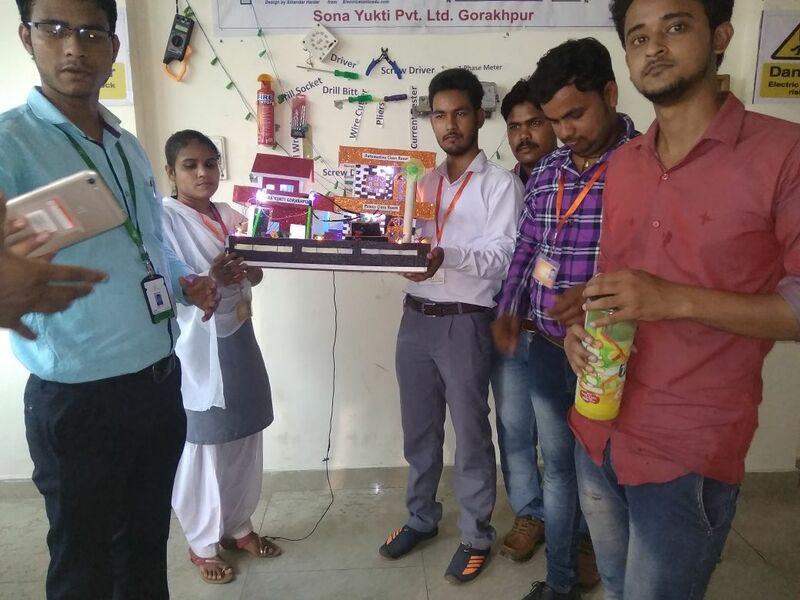 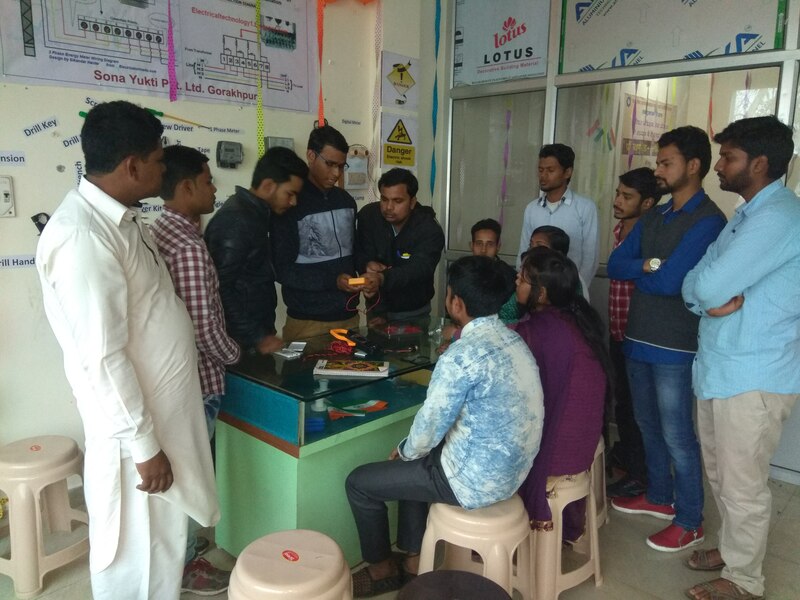 Sona Yukti Gorakhpur center successfully conducted the monthly assessments for students of the power and automotive sectors. 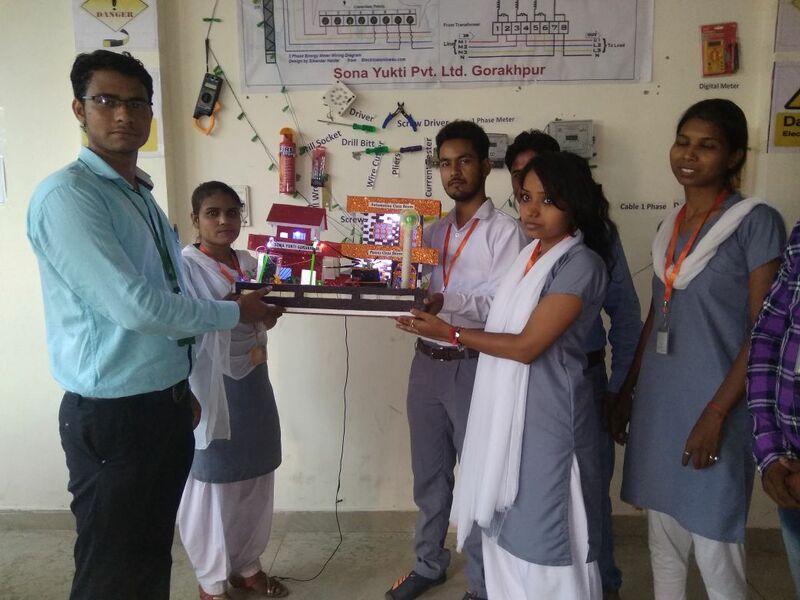 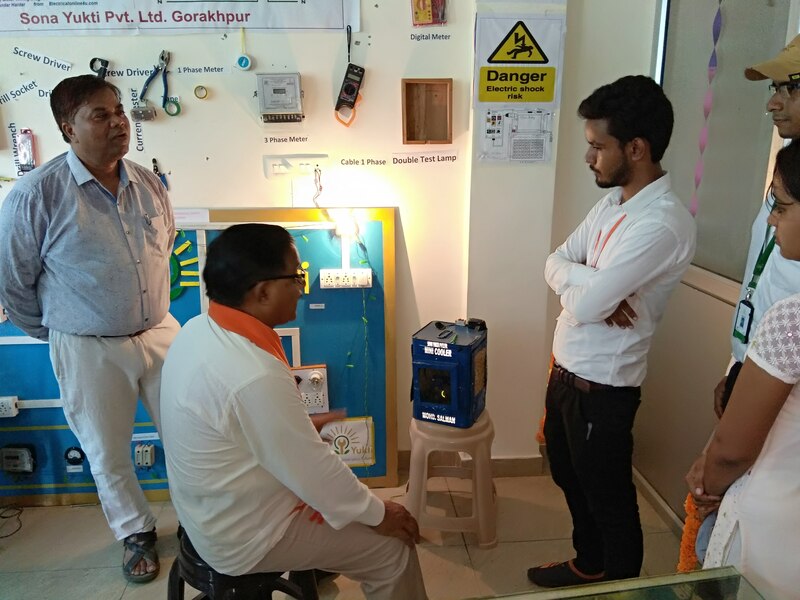 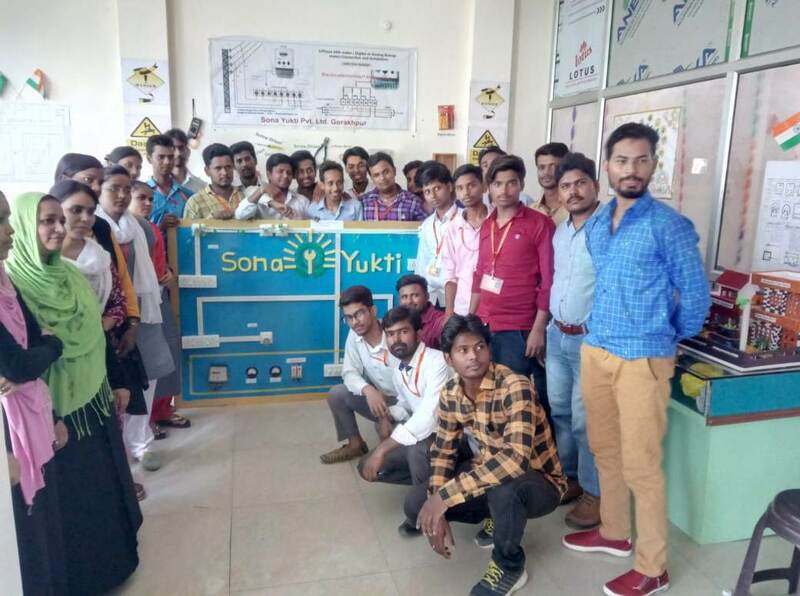 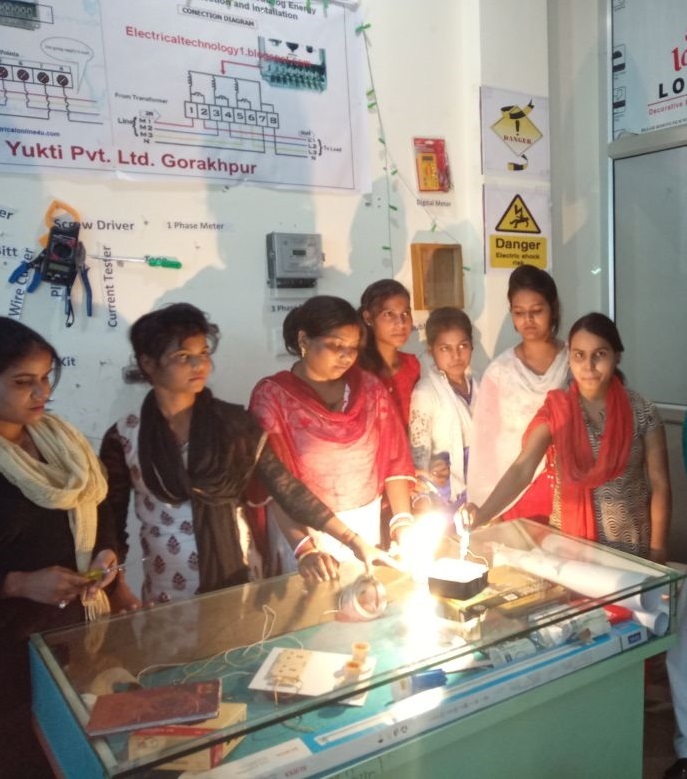 Sona Yukti's Gorakhpur center students from the power sector course in Consumer Energy Meter Technician course undergo training. 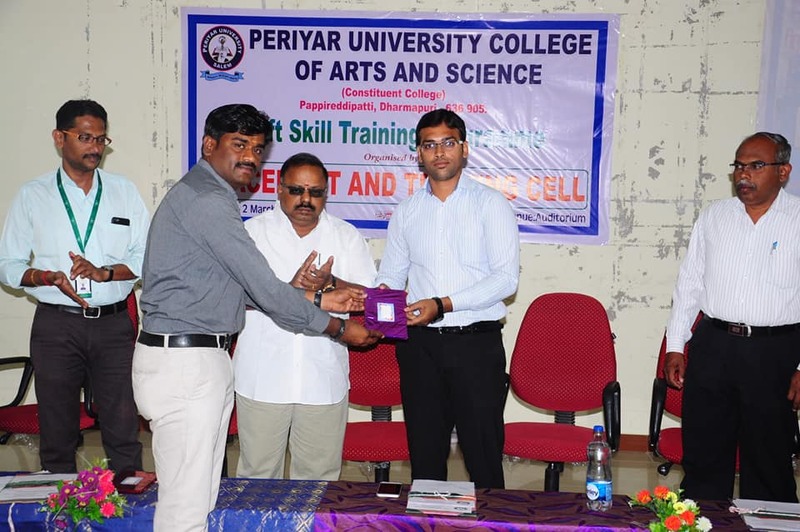 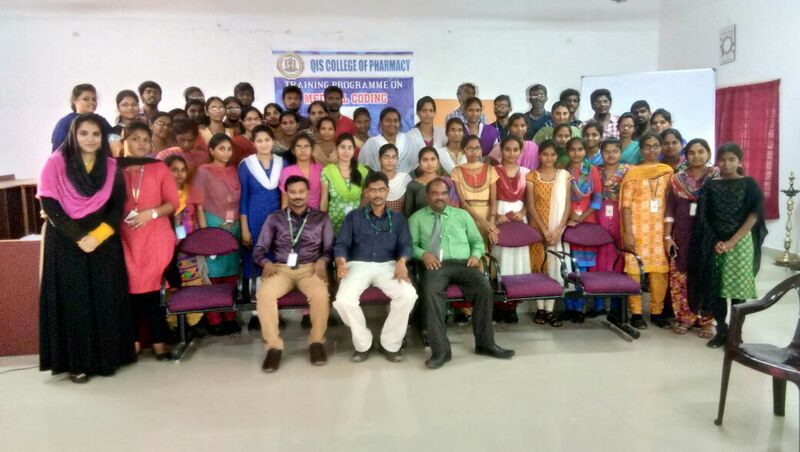 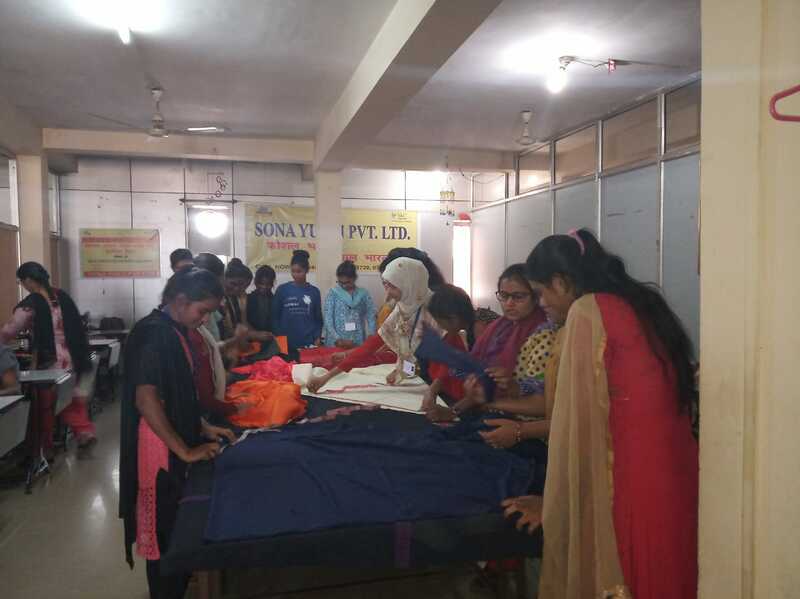 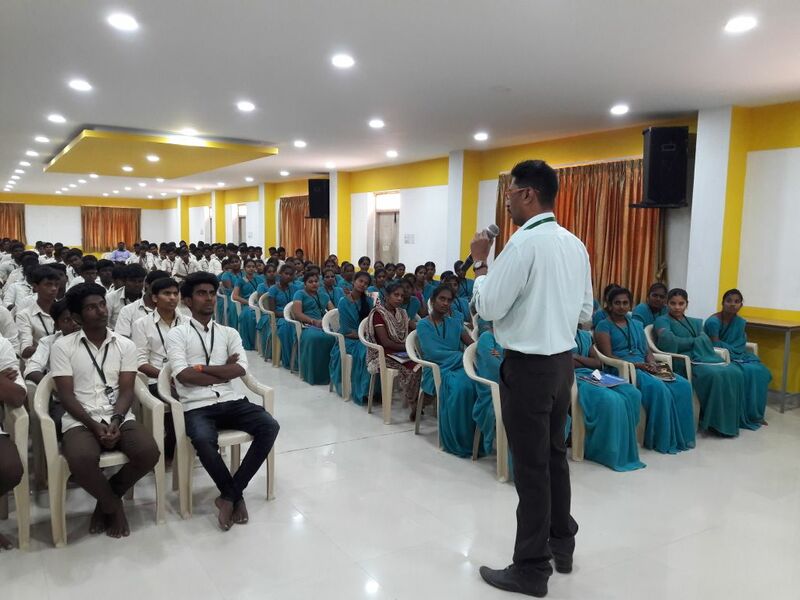 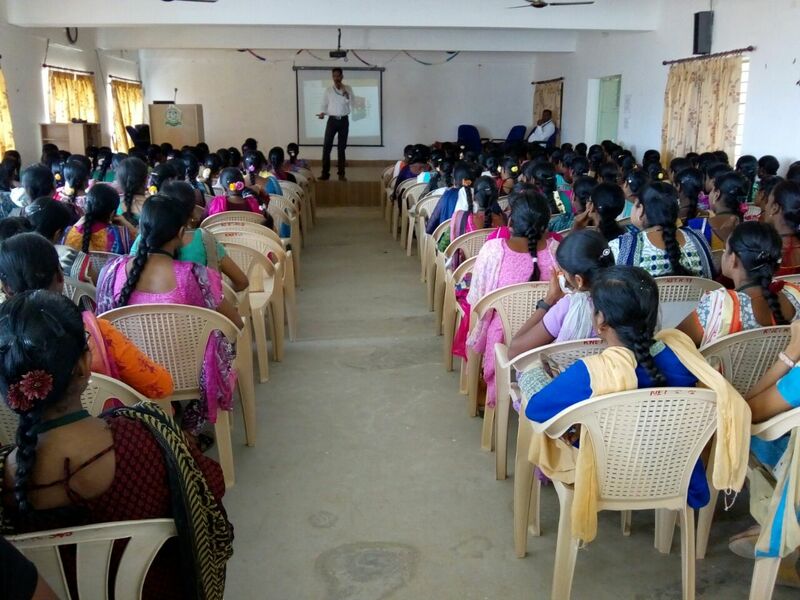 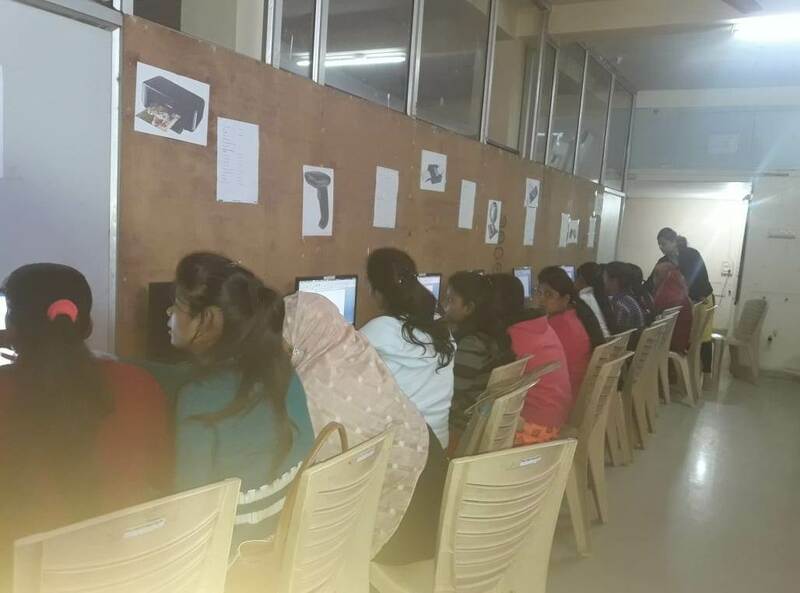 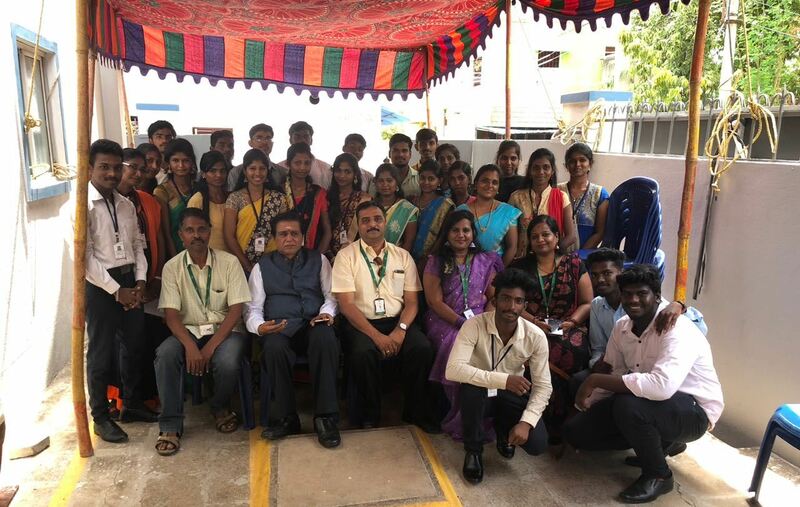 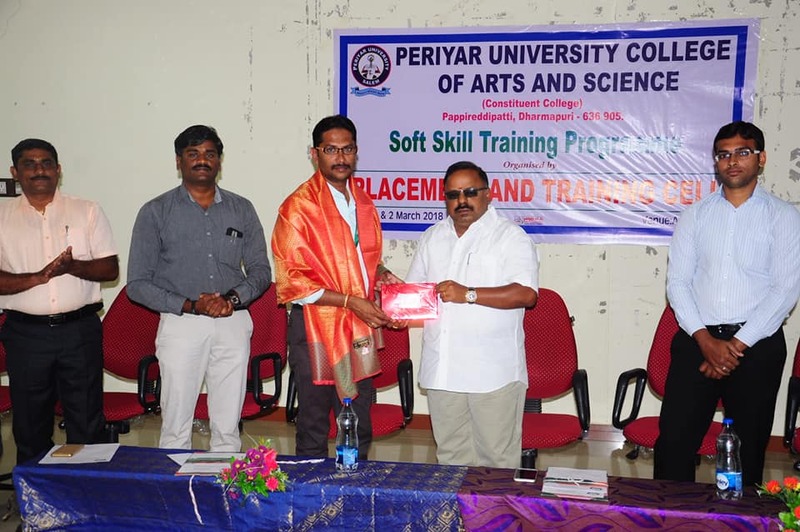 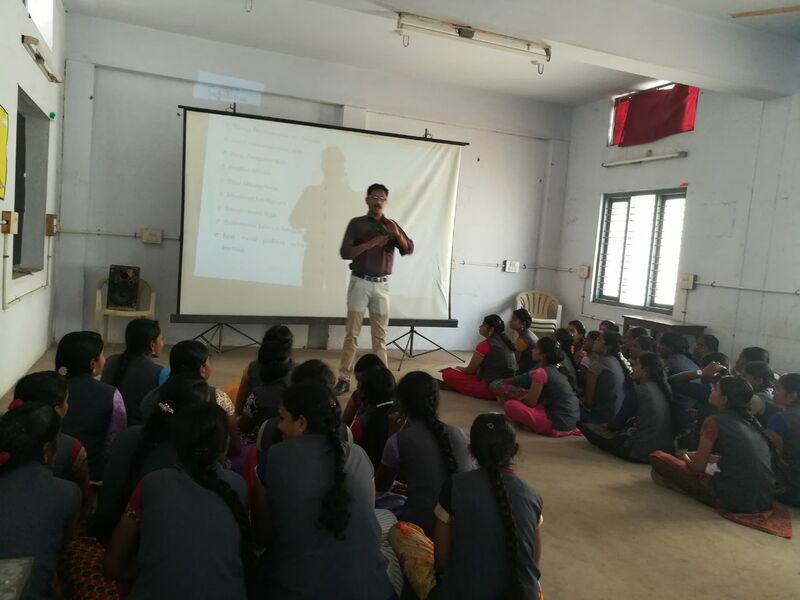 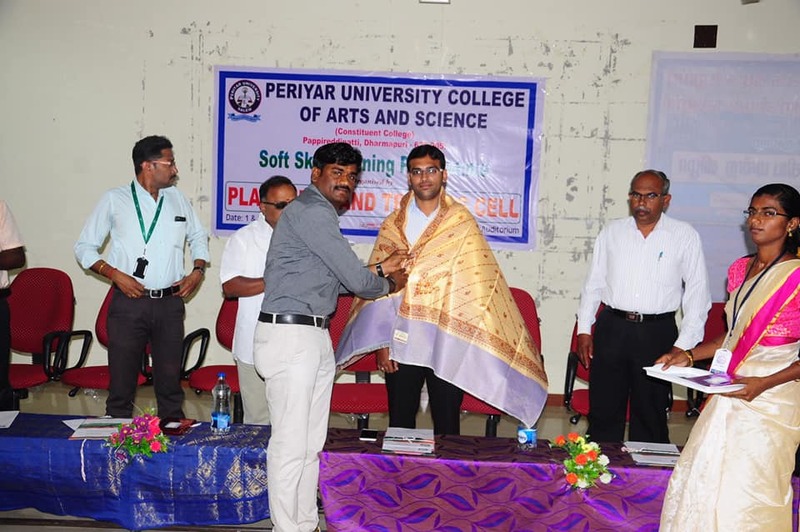 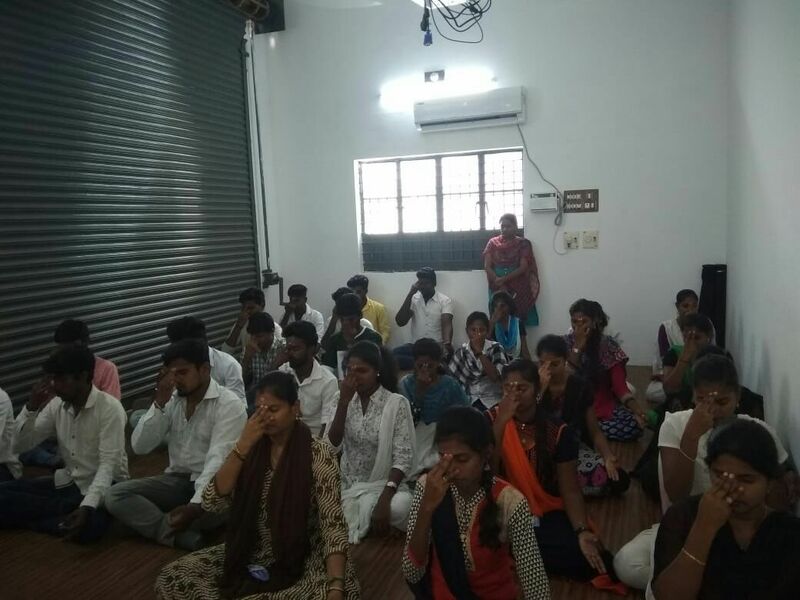 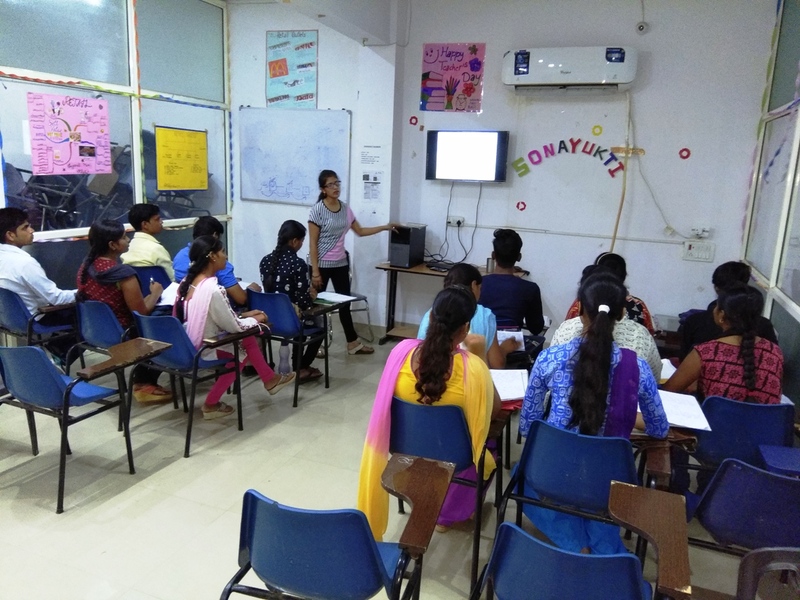 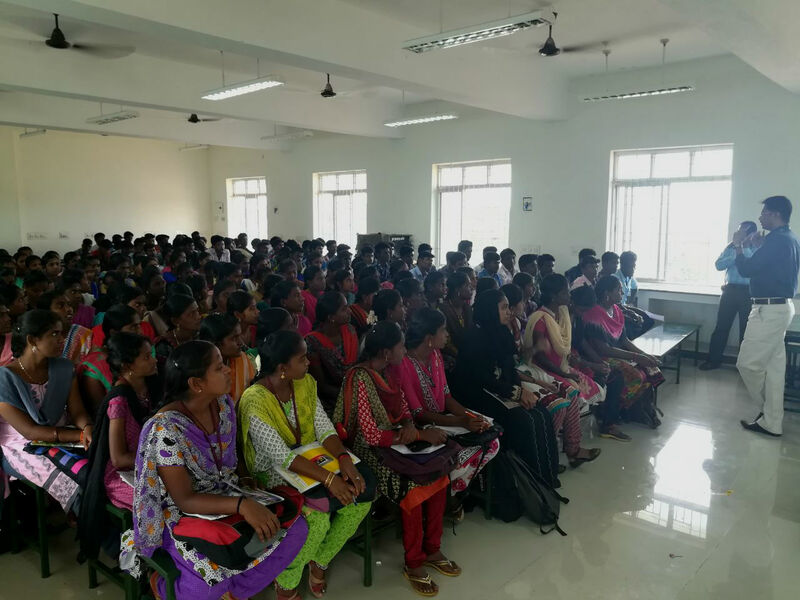 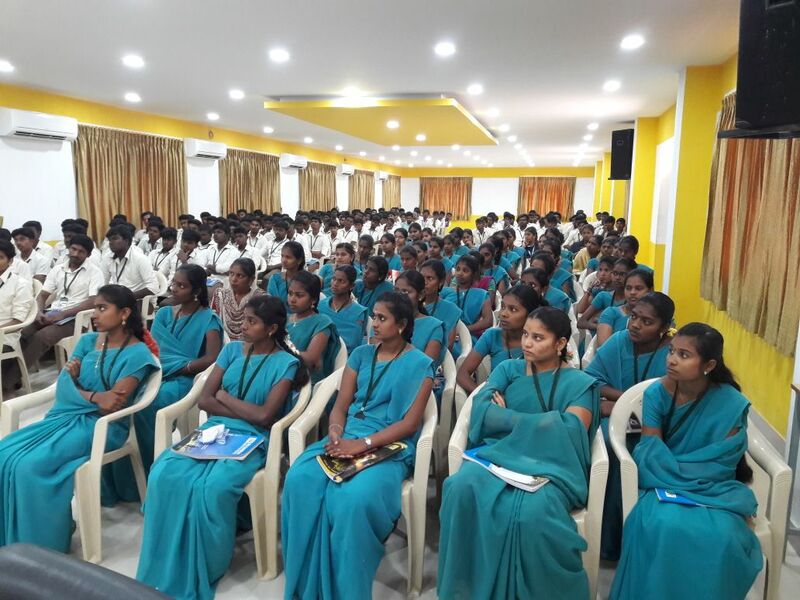 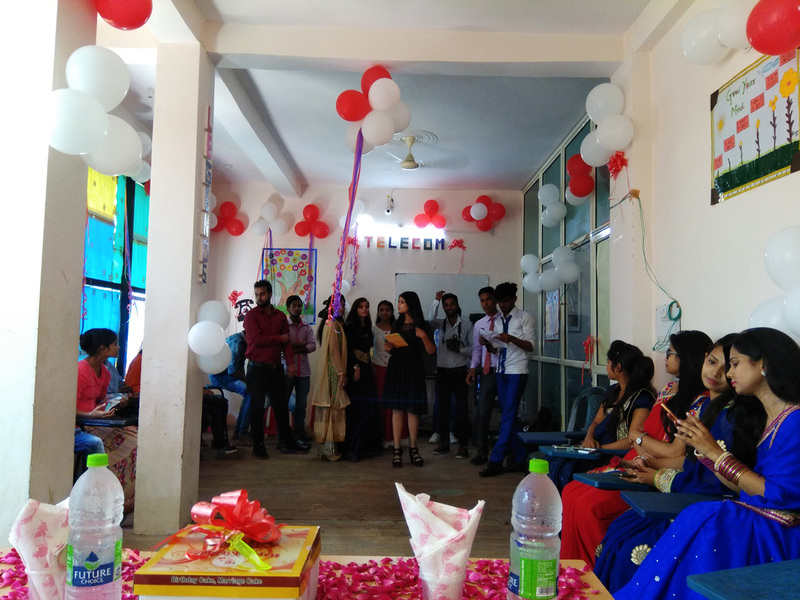 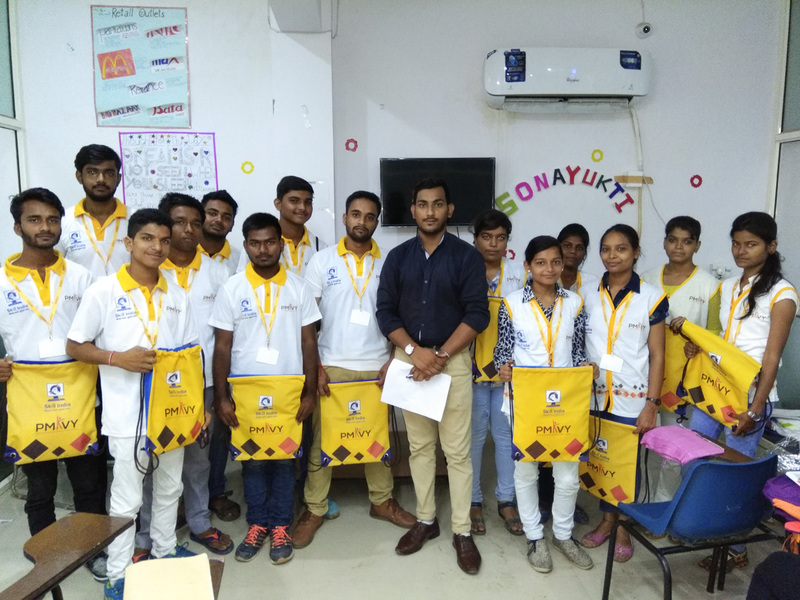 Sona Yukti conducted the Soft Skill & Placement Training Program at Periyar Arts & Science College Final Year Students, Pappirettipatti, Dharmapuri. 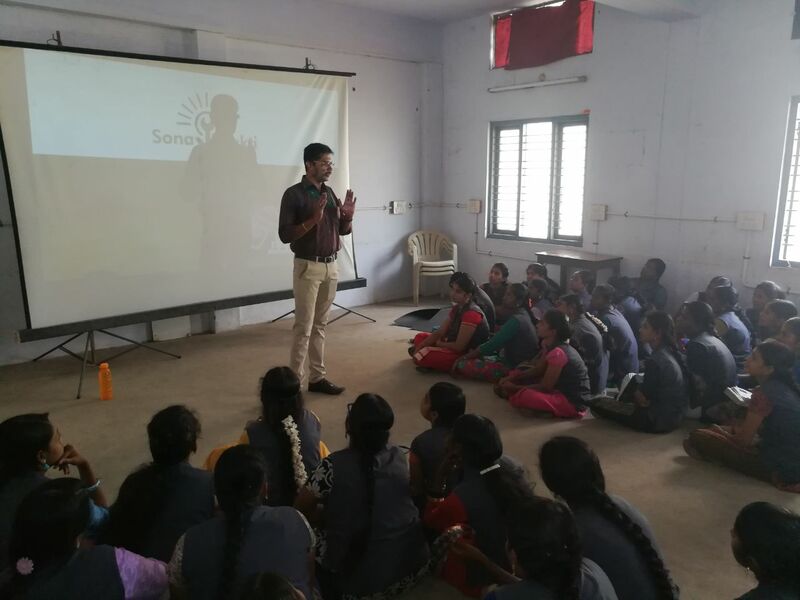 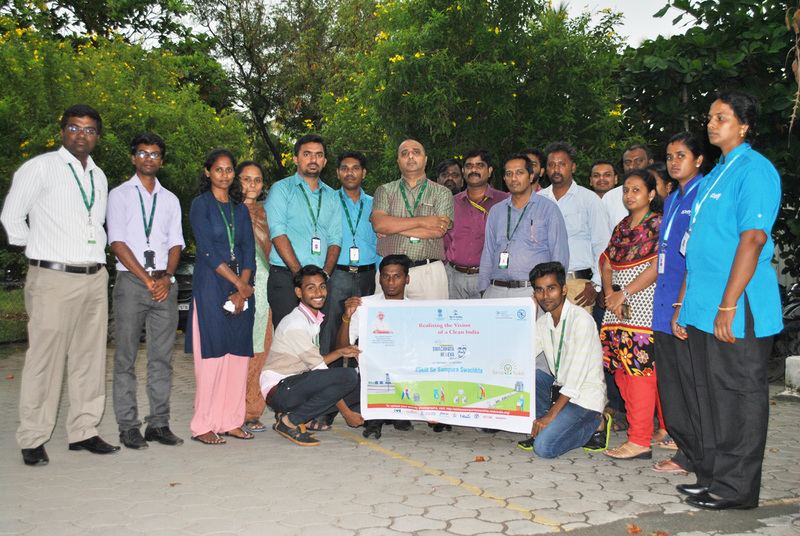 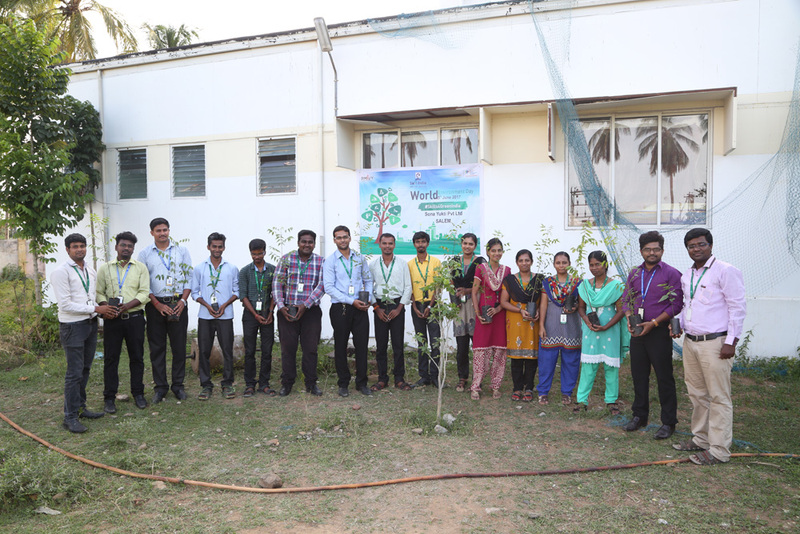 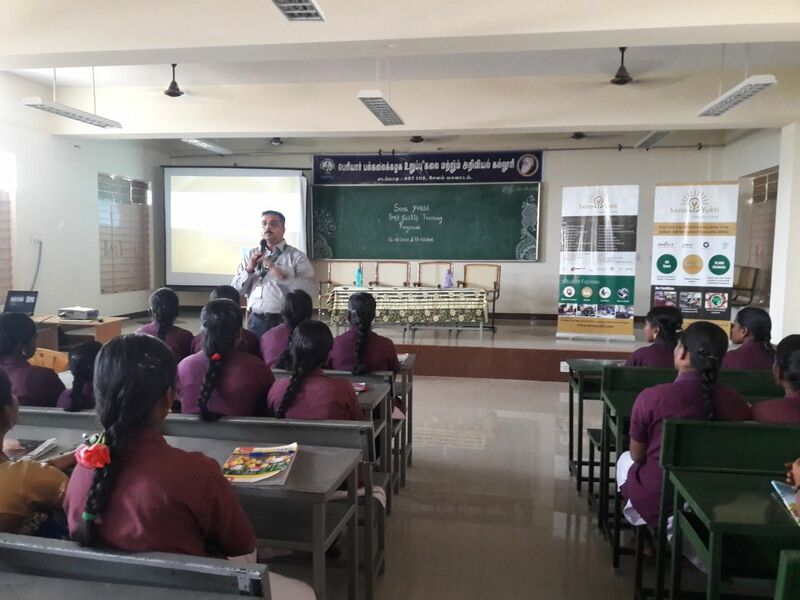 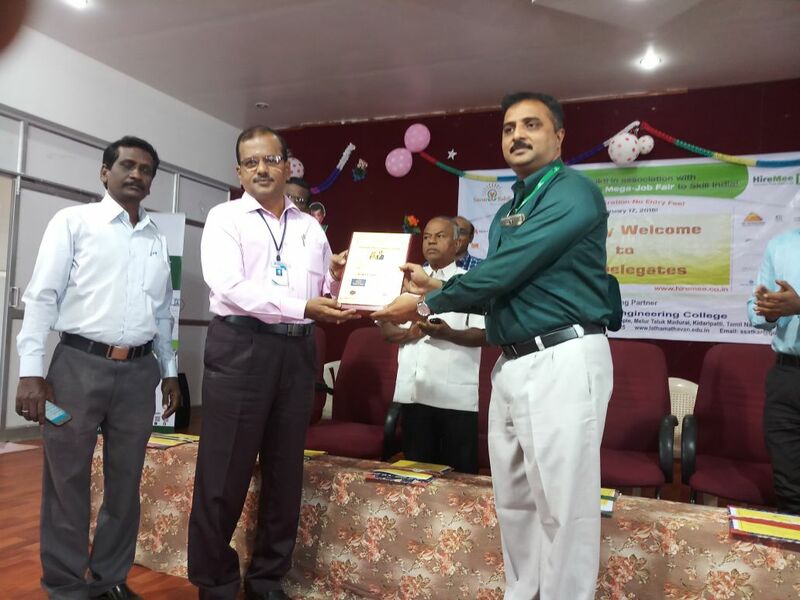 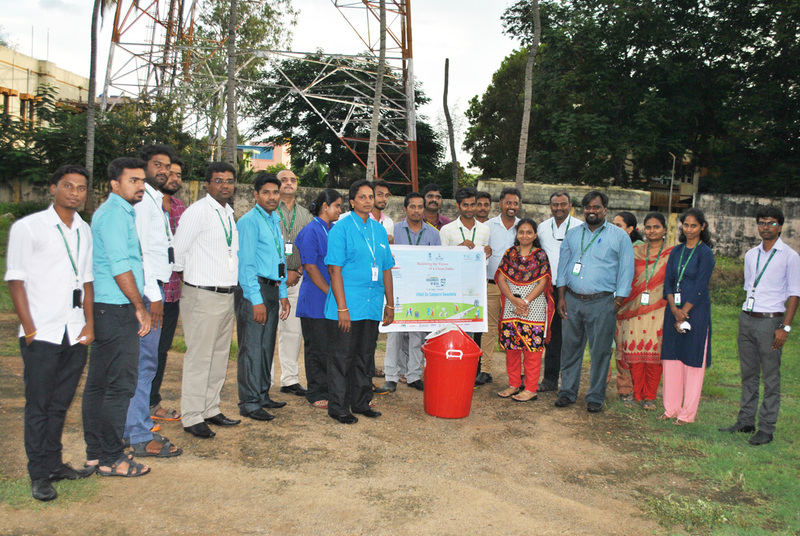 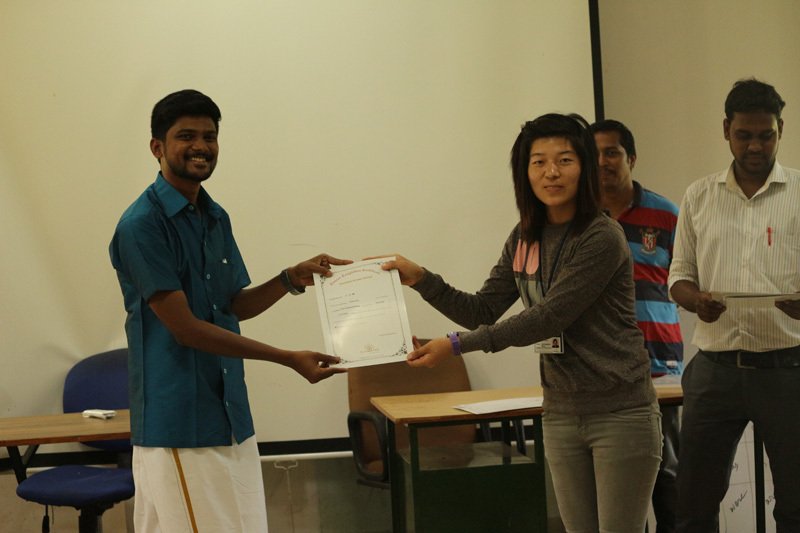 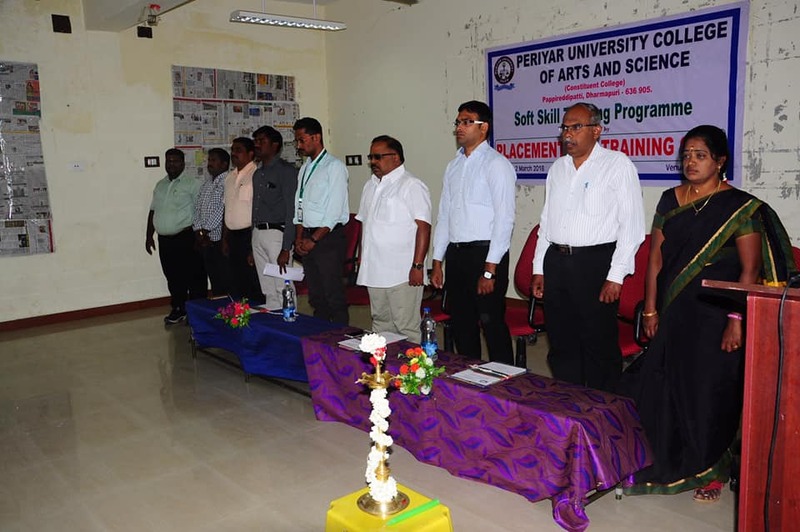 Sona Yukti conducted soft skills training for the students of Periyar Arts and Science College, Idappadi. 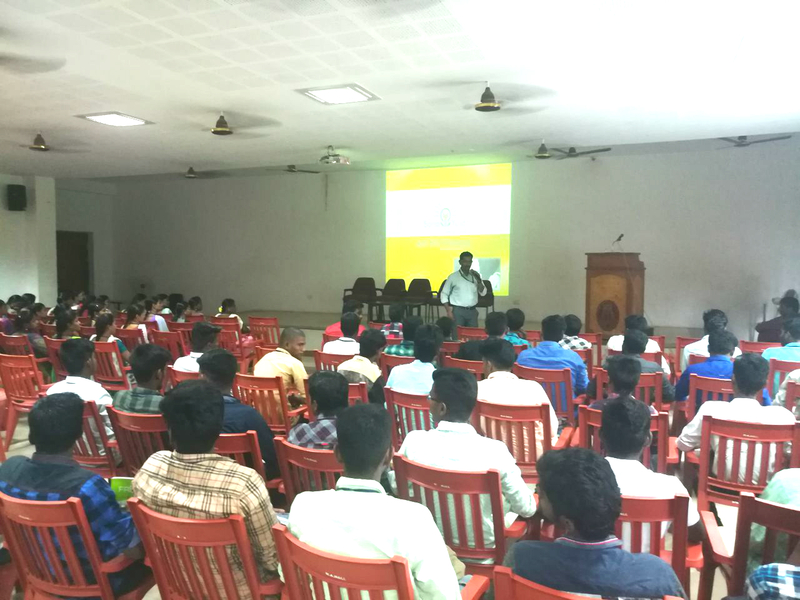 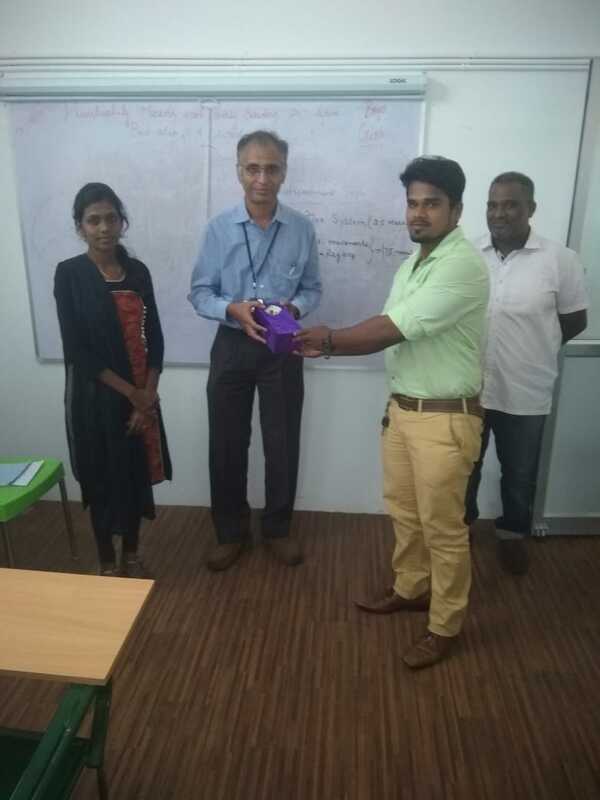 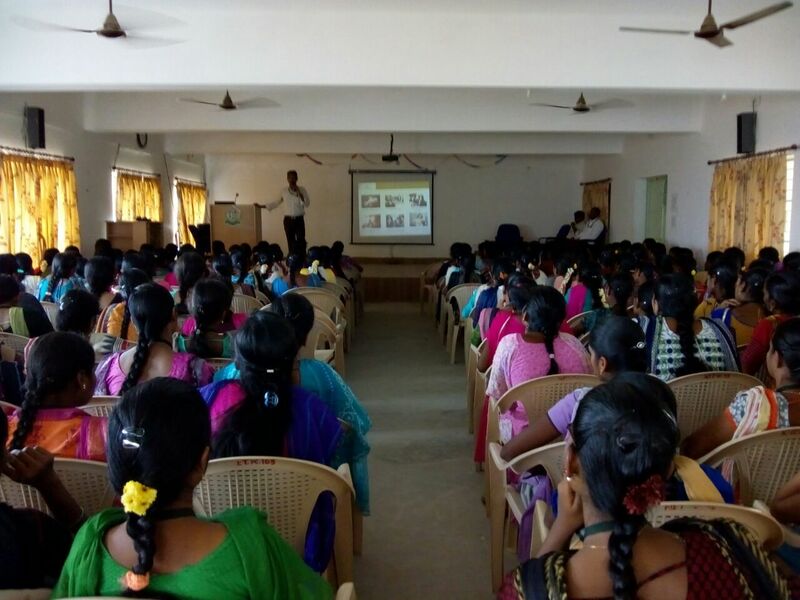 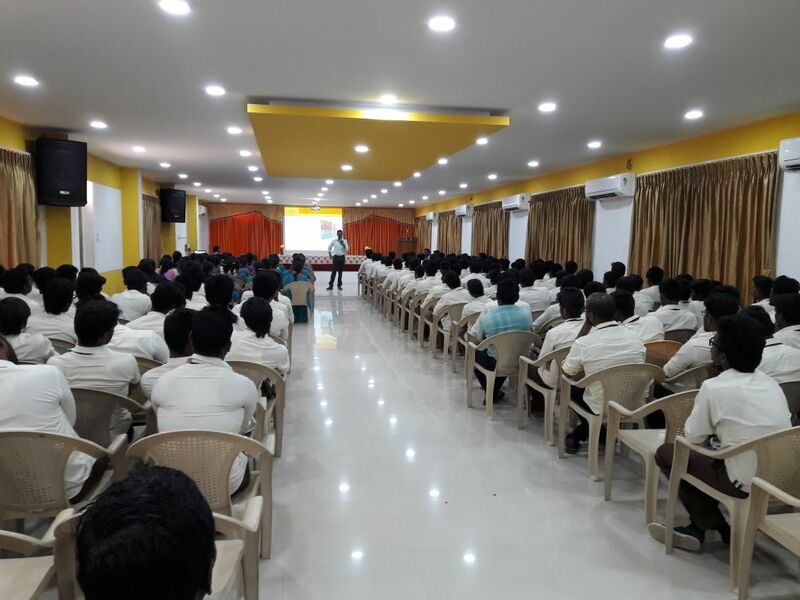 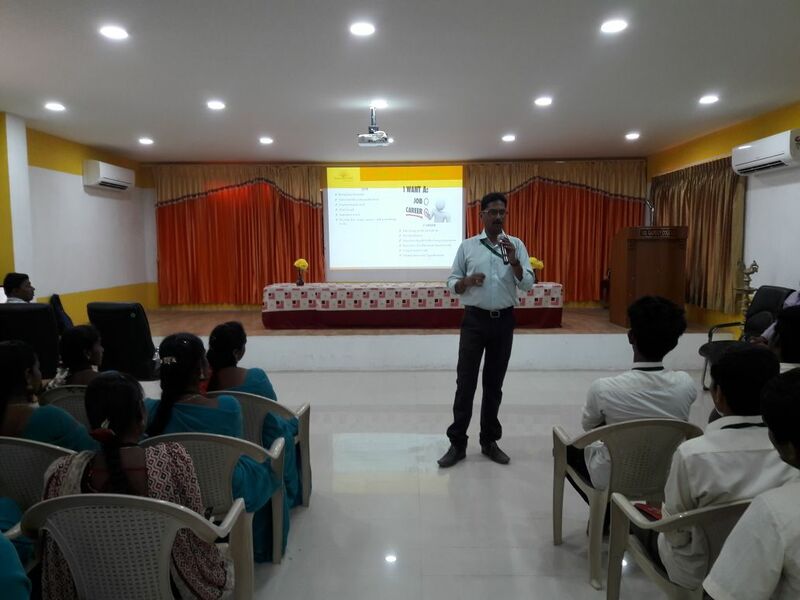 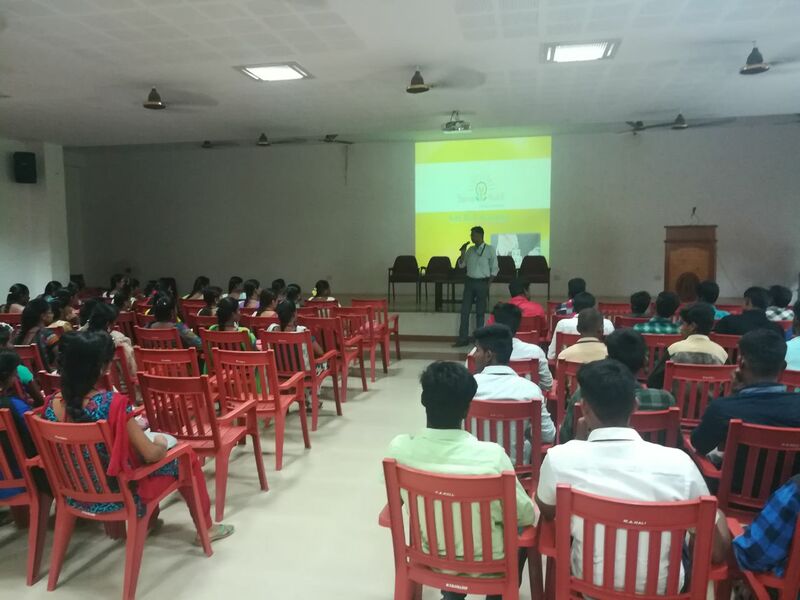 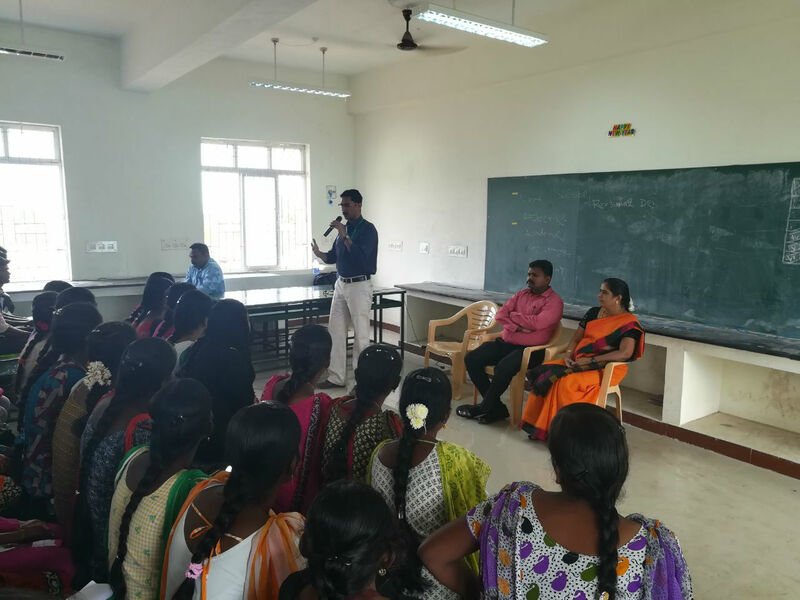 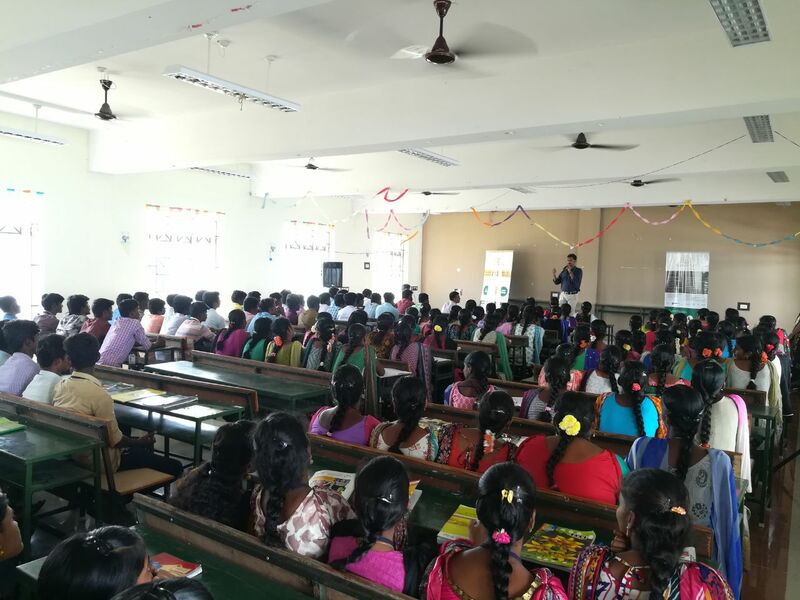 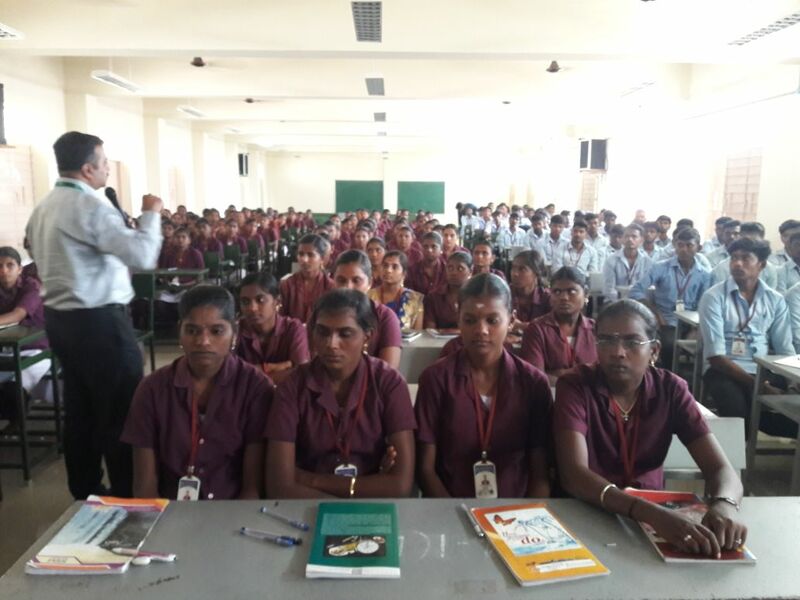 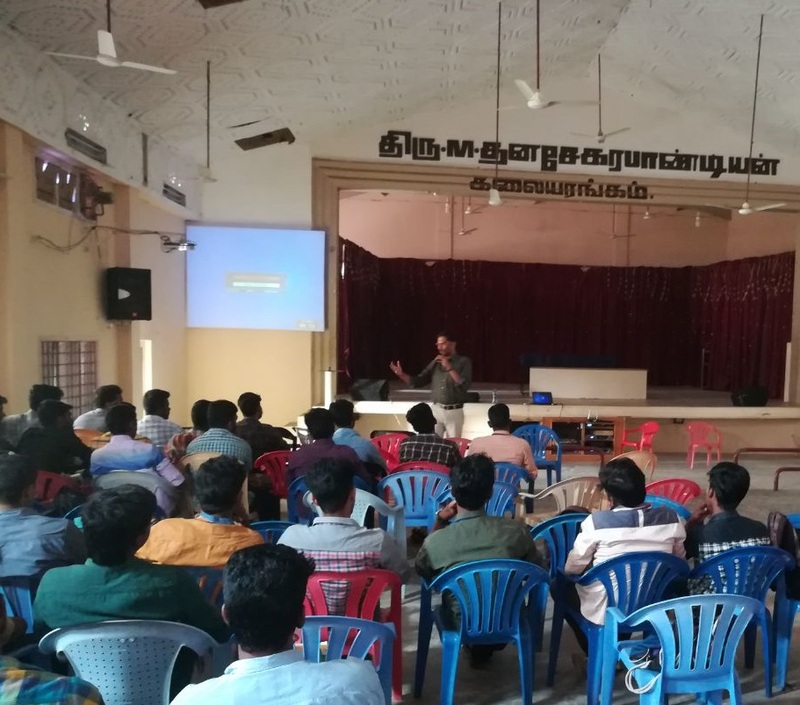 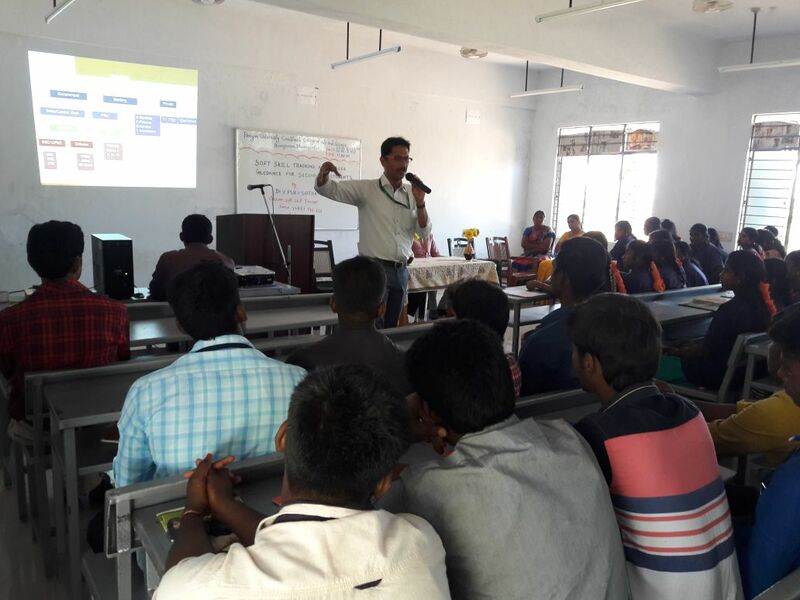 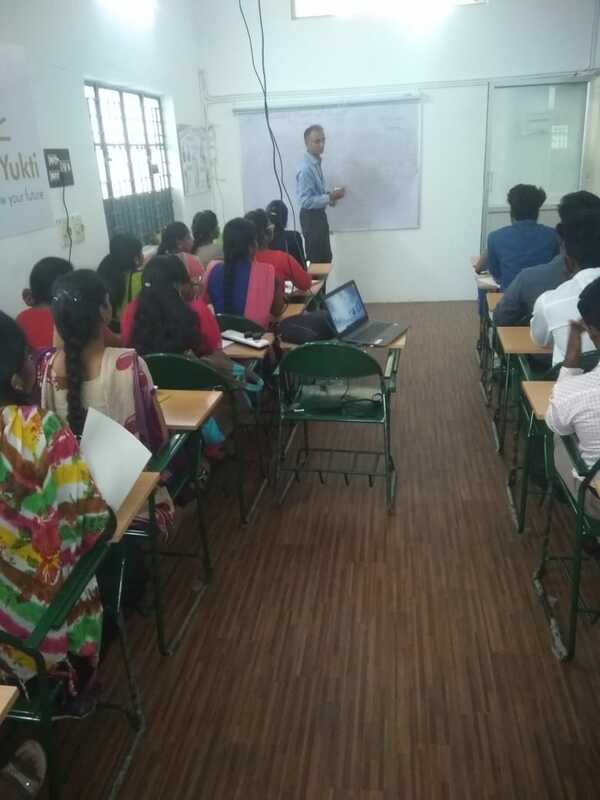 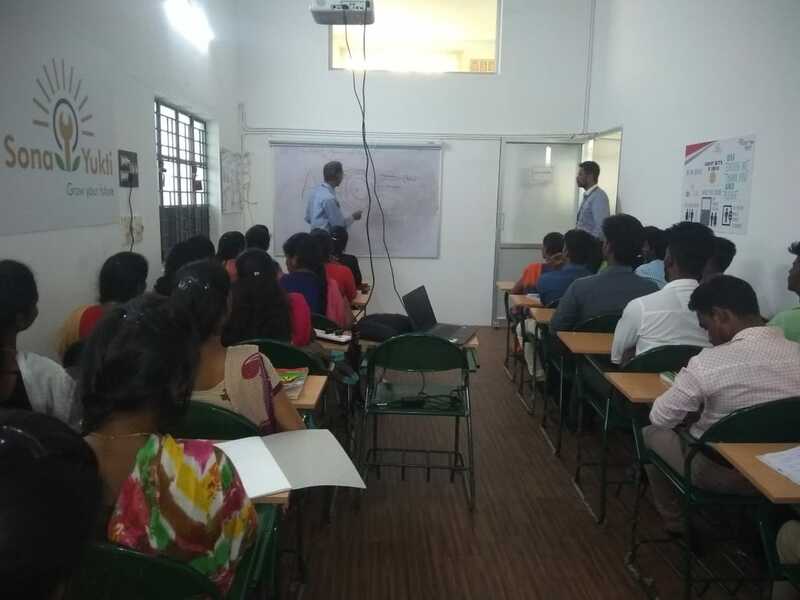 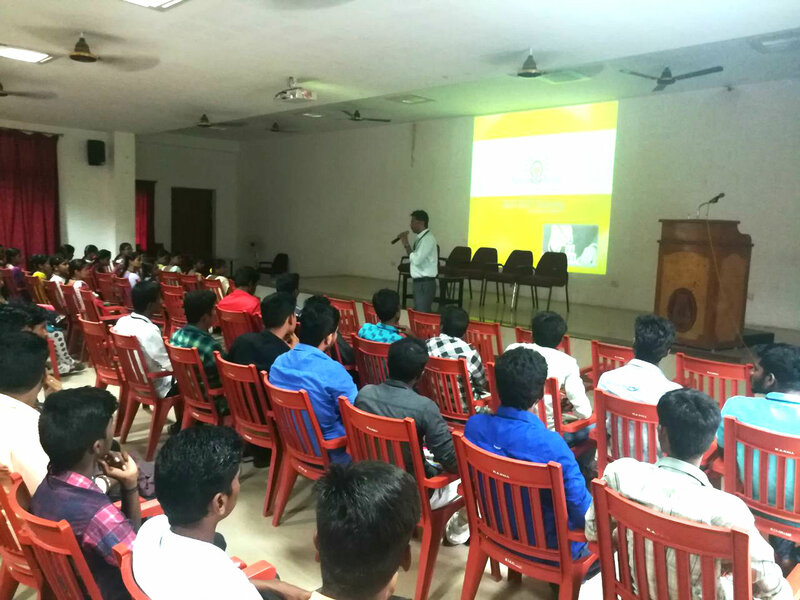 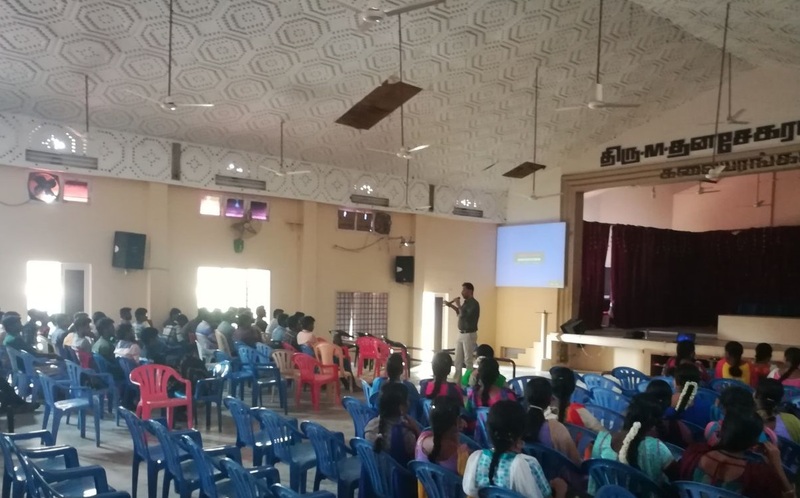 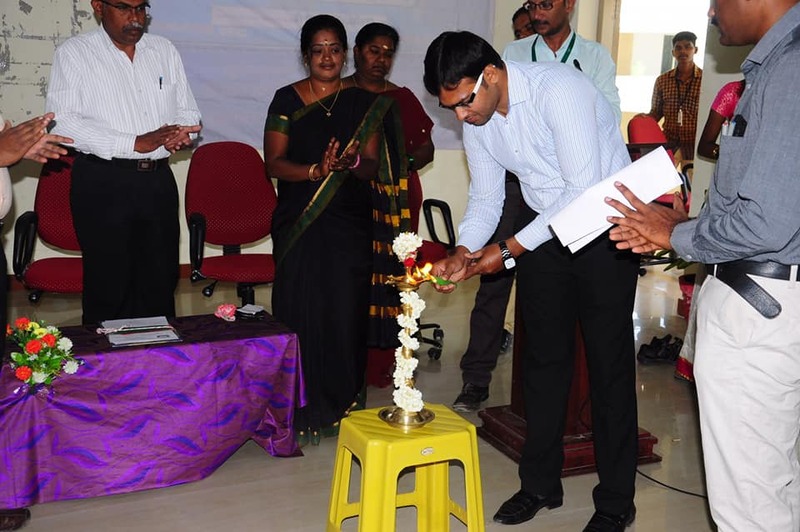 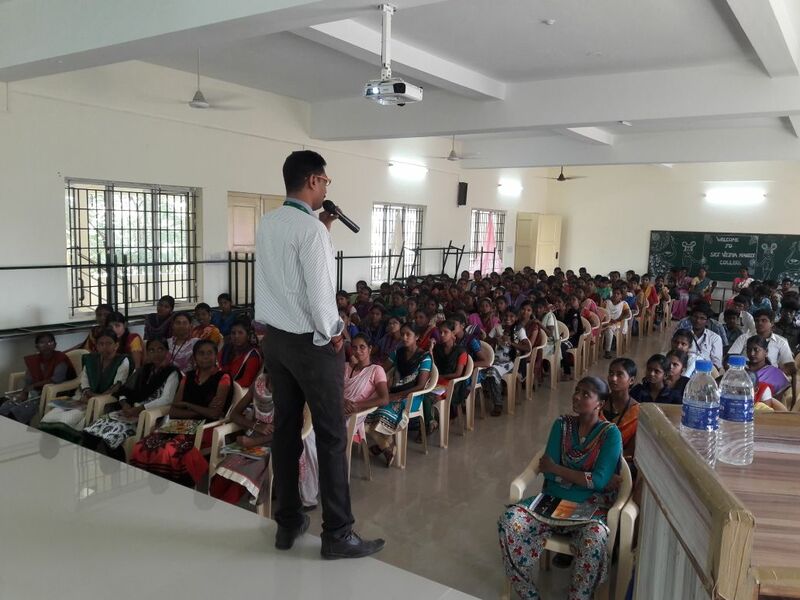 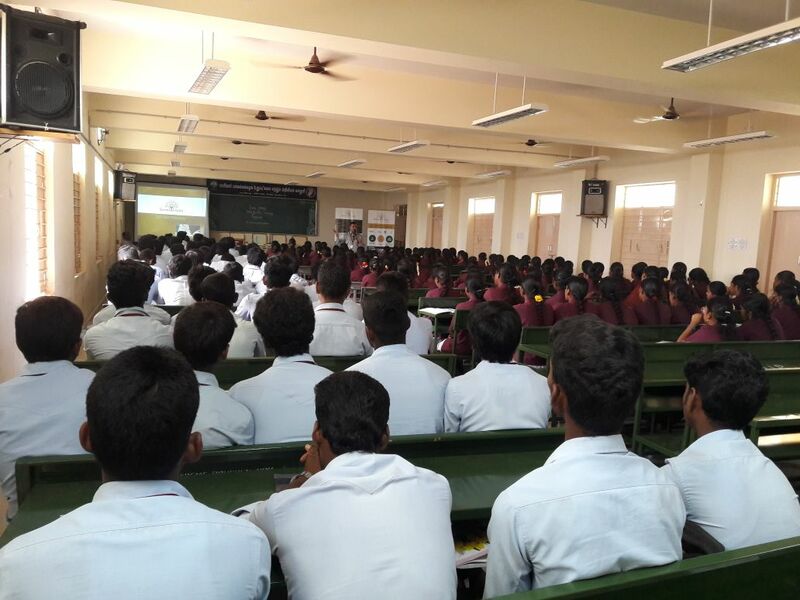 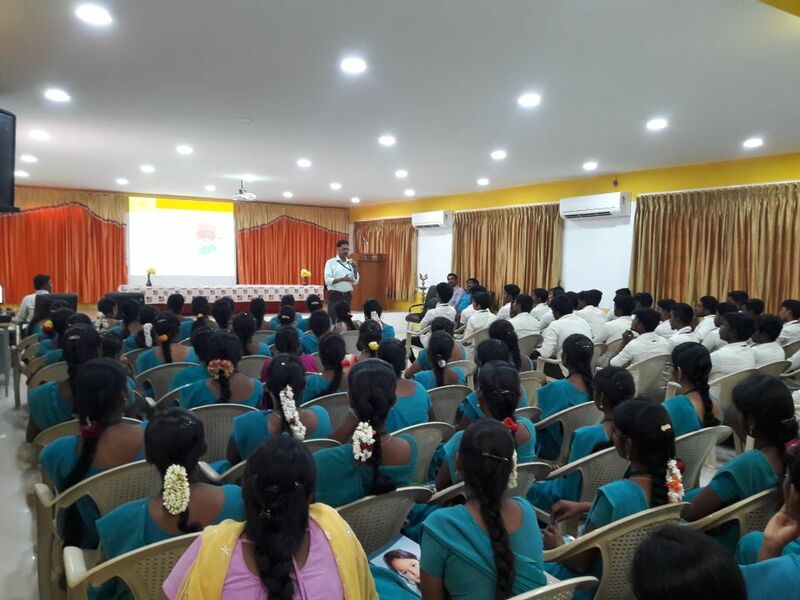 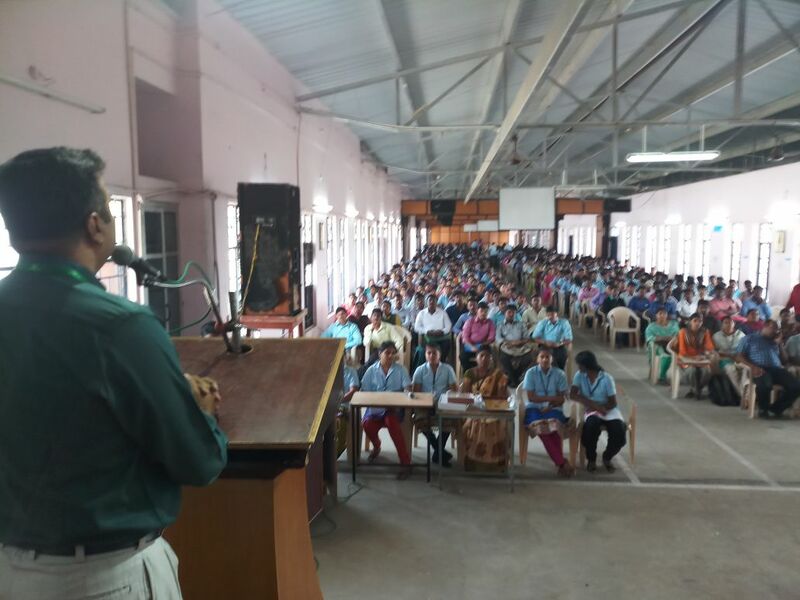 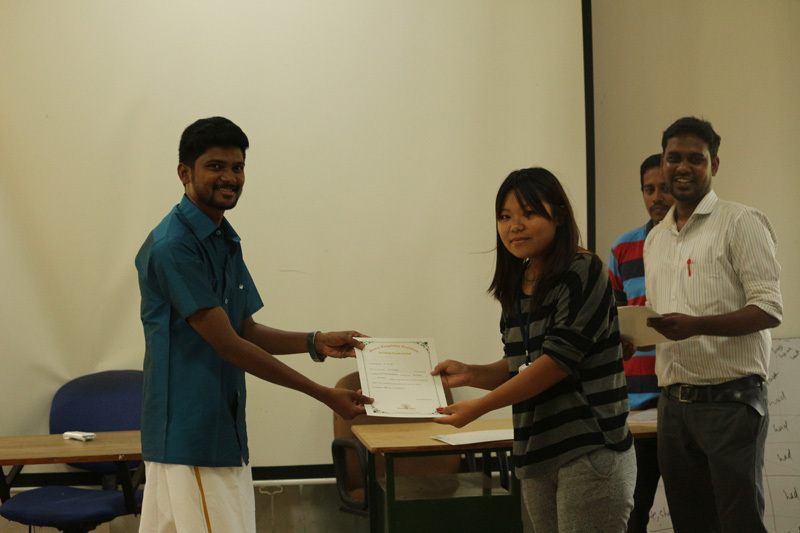 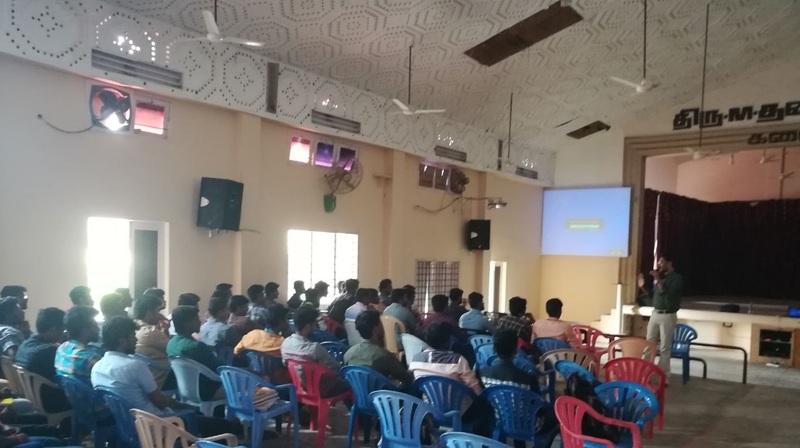 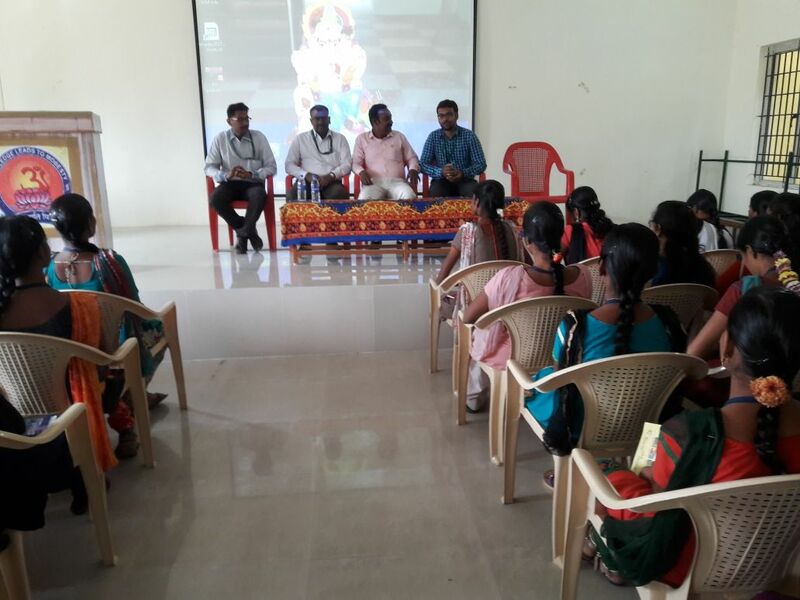 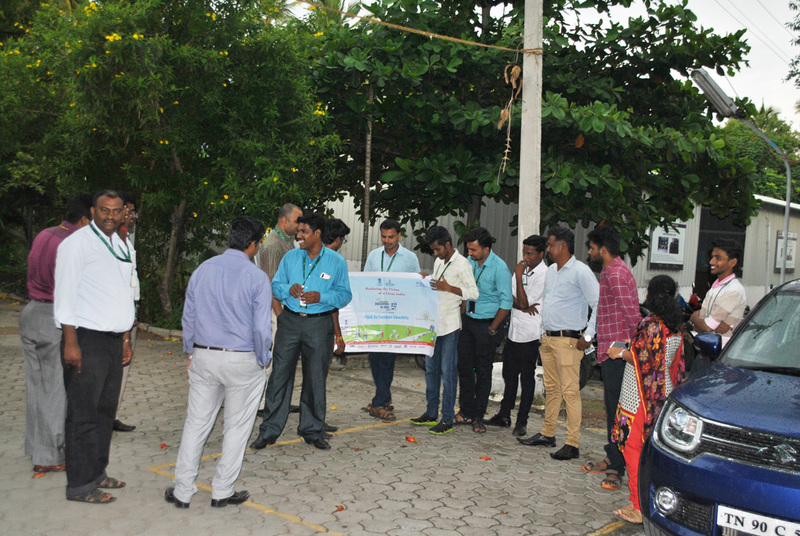 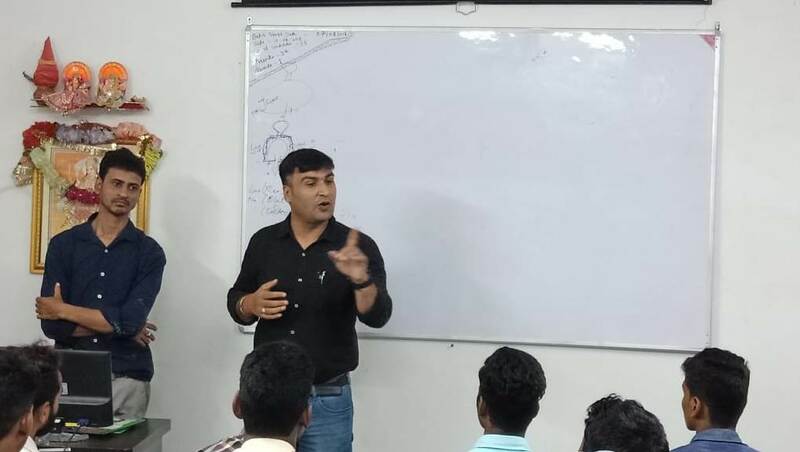 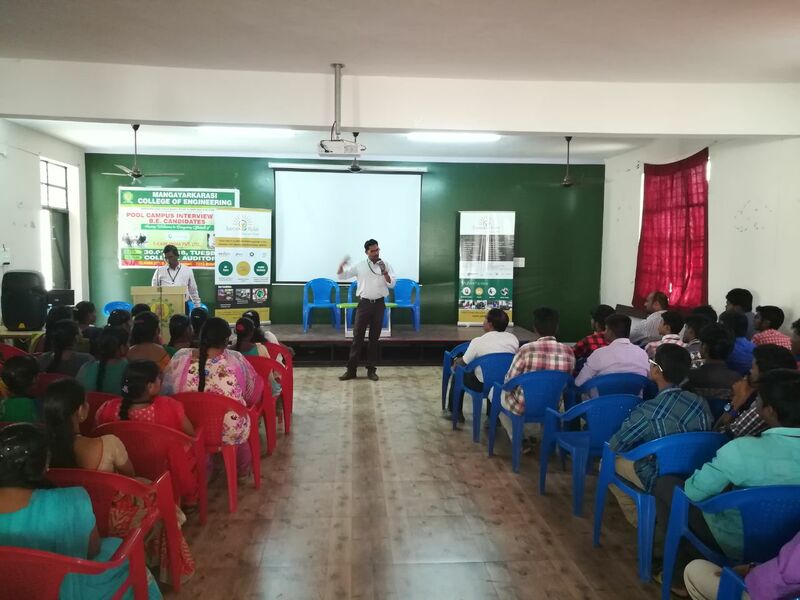 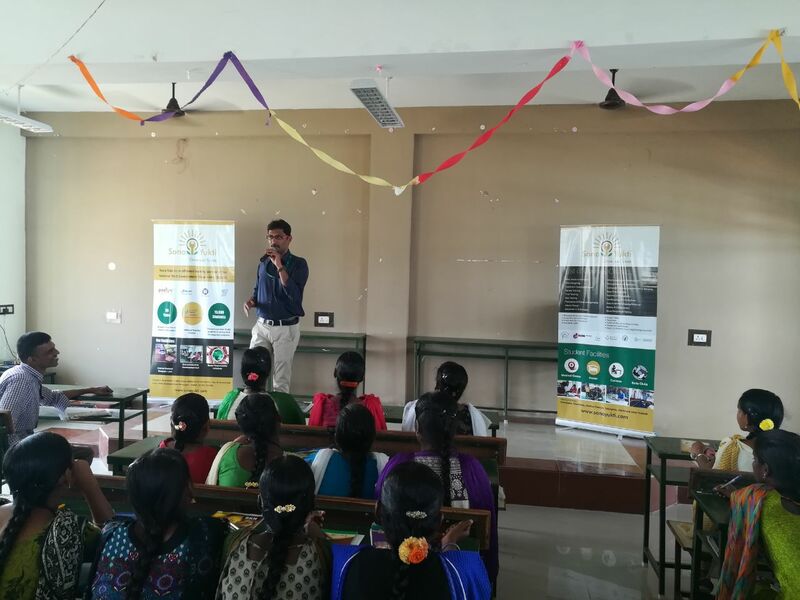 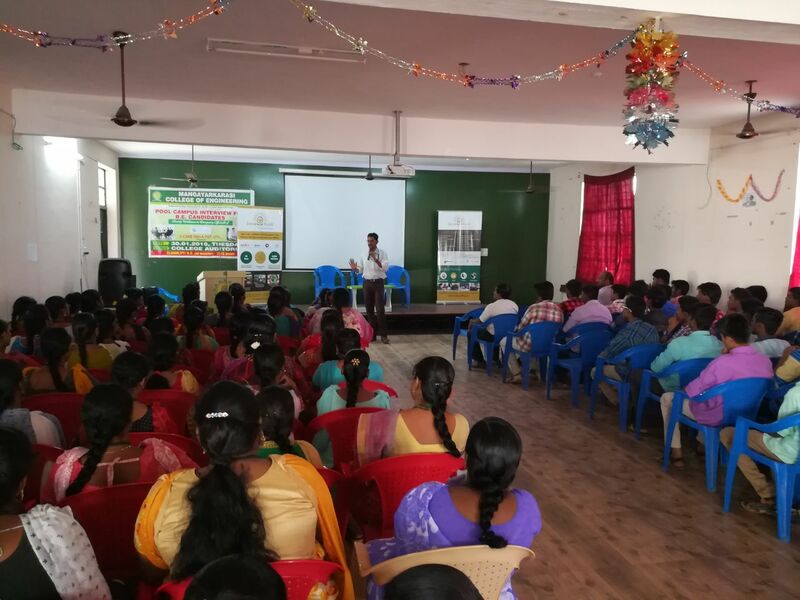 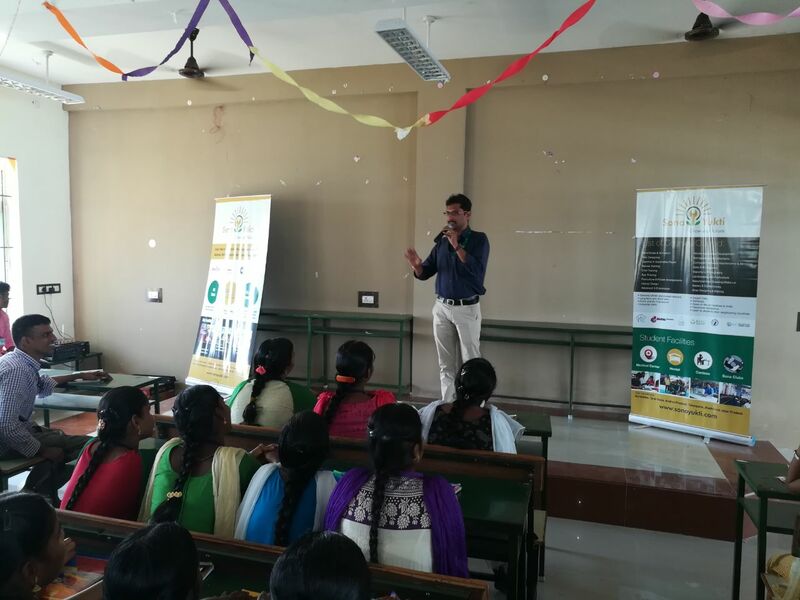 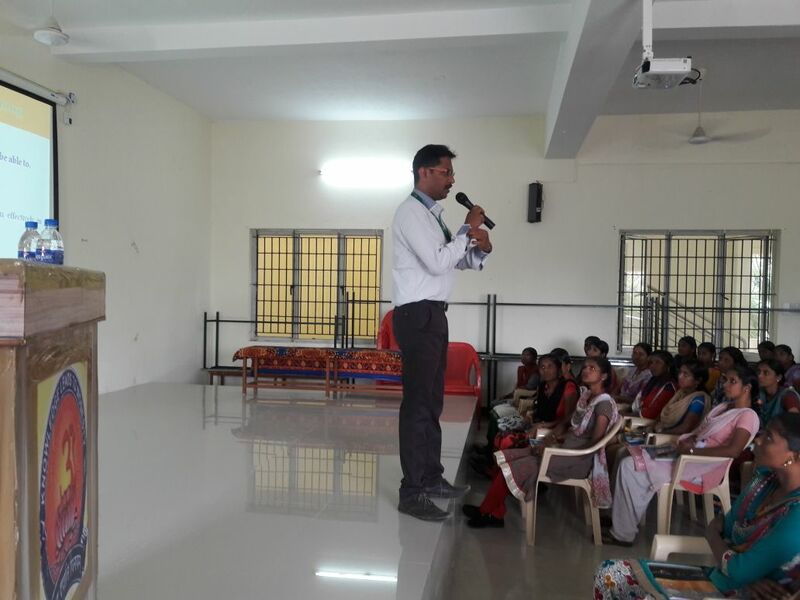 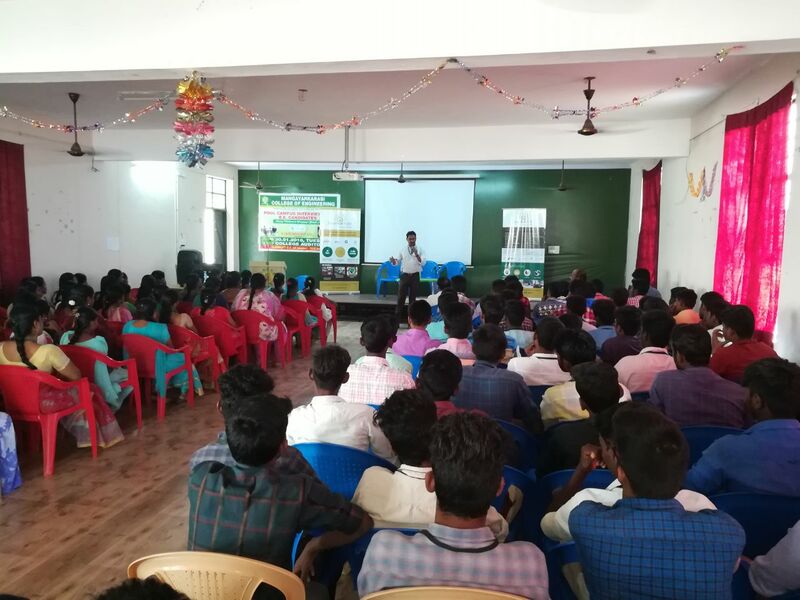 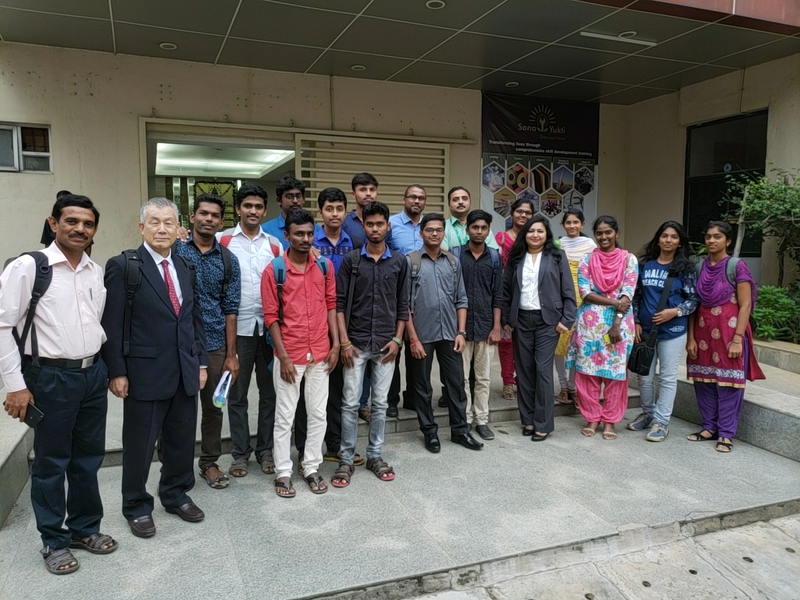 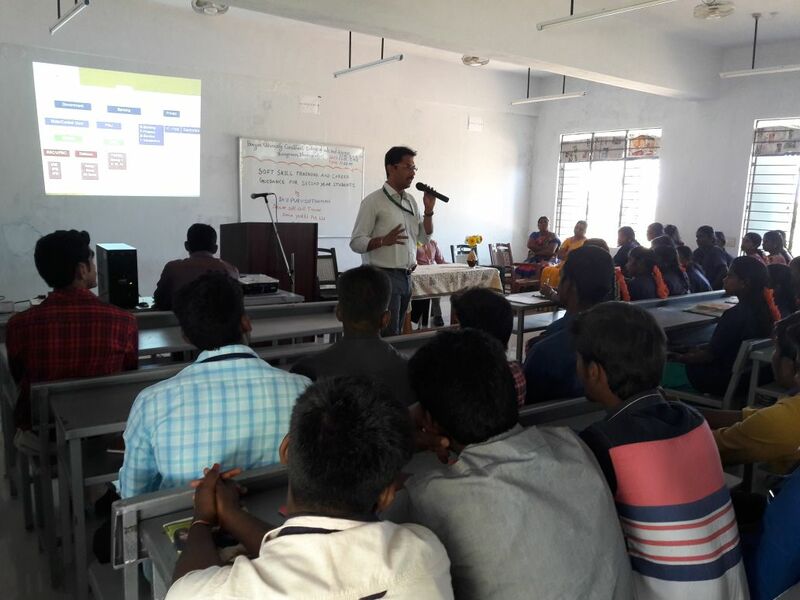 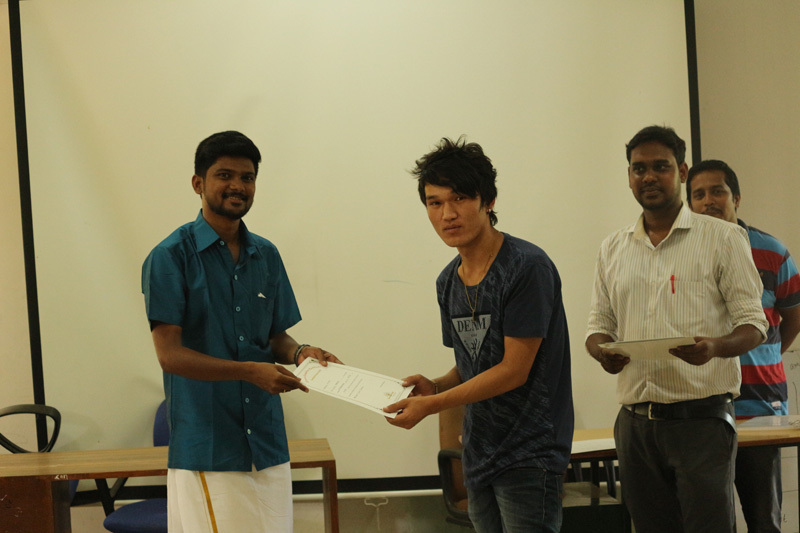 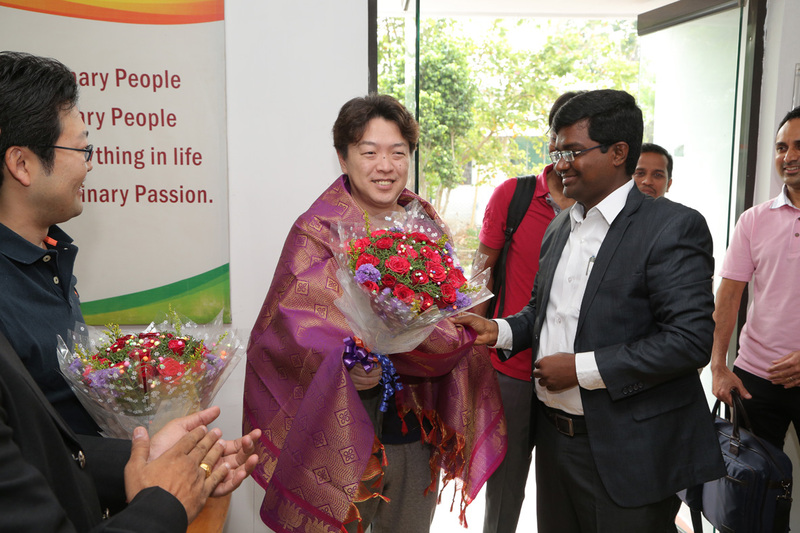 Soft skills training session conducted at Mannar Thirumalai Naicker College of Arts and Science, Madurai, by Sona Yukti. 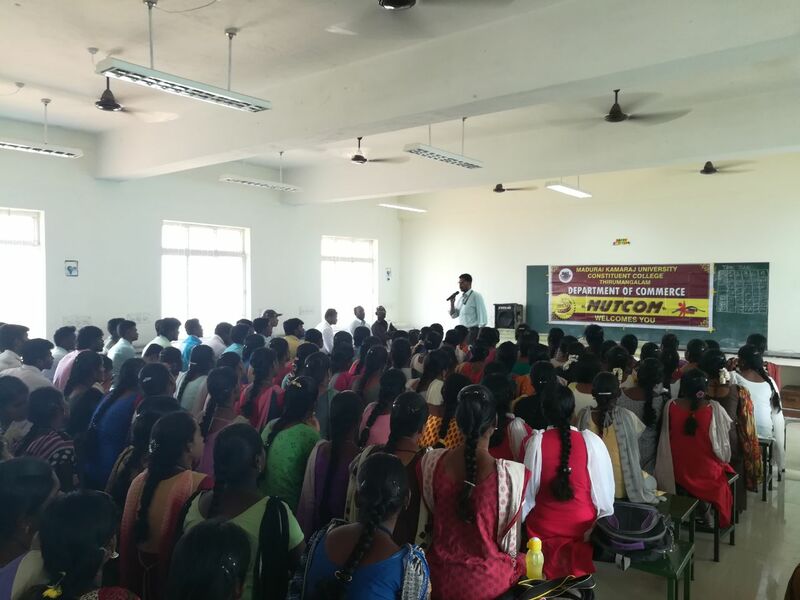 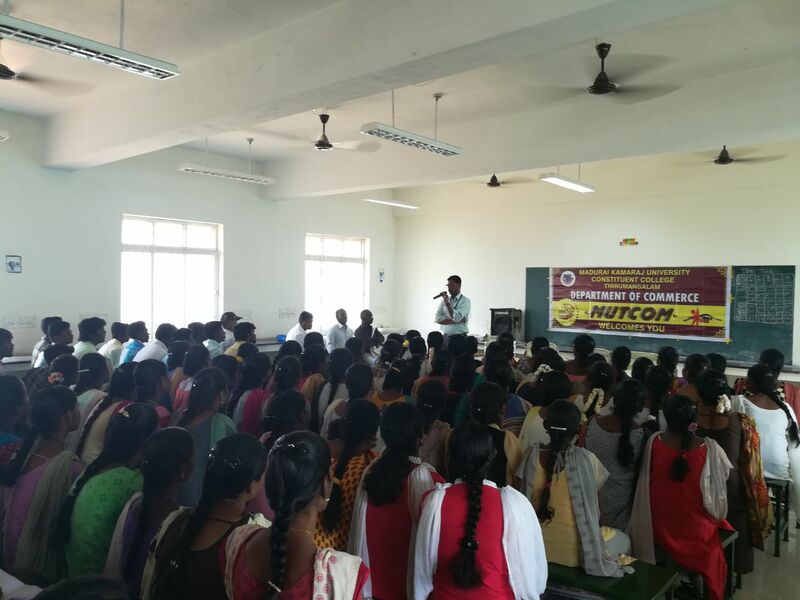 Sona Yukti's soft skills training workshop for the B Com students of Madurai Kamaraj University Constituent College - Thirumangalam. 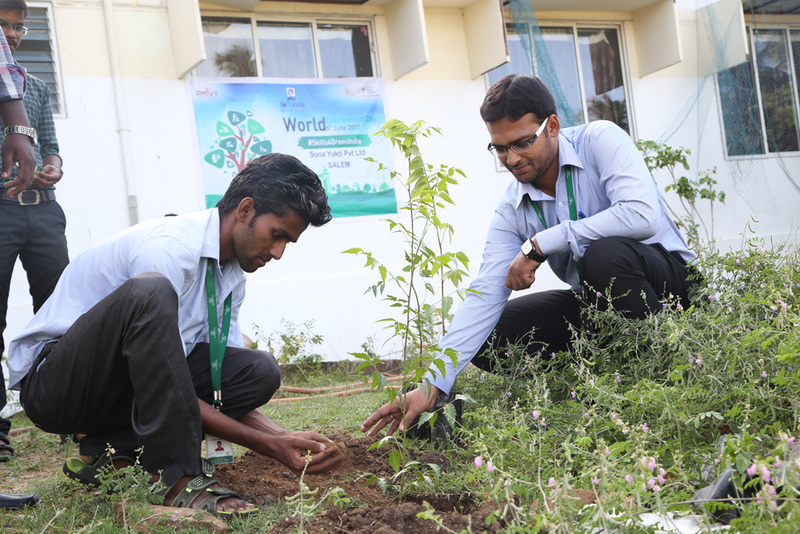 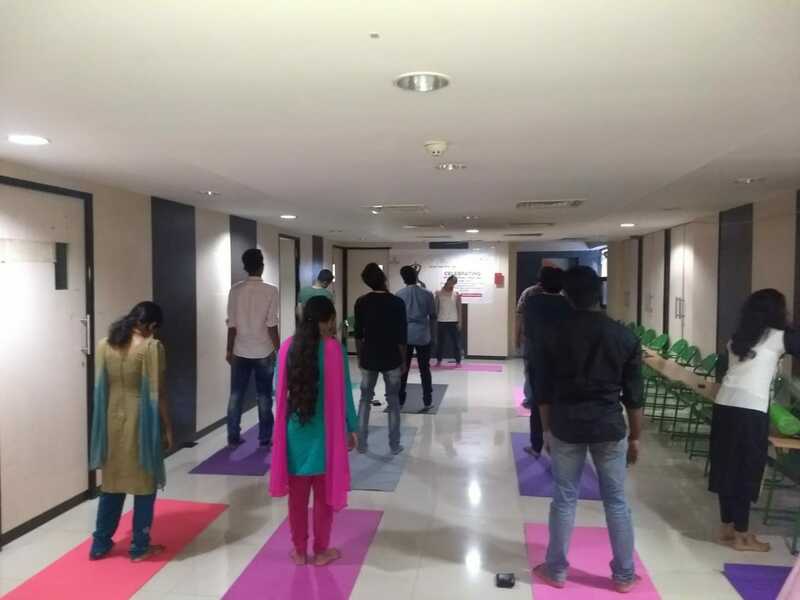 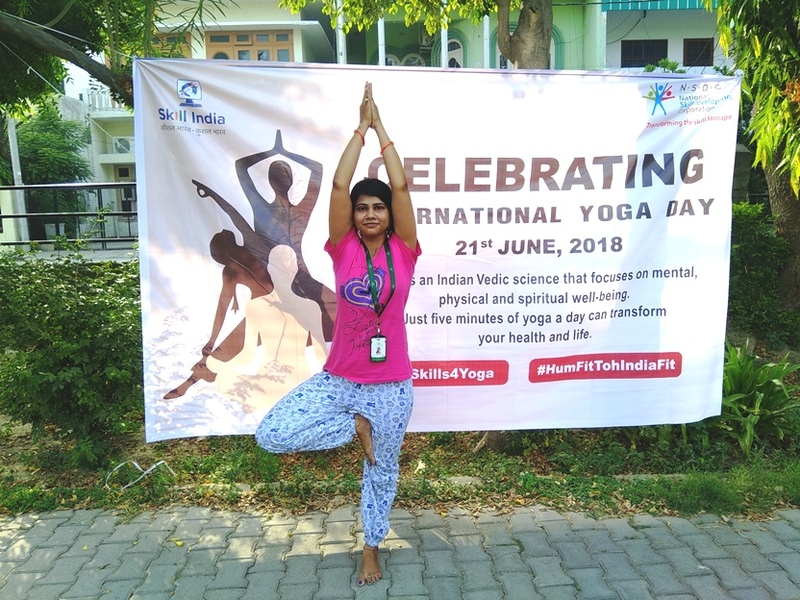 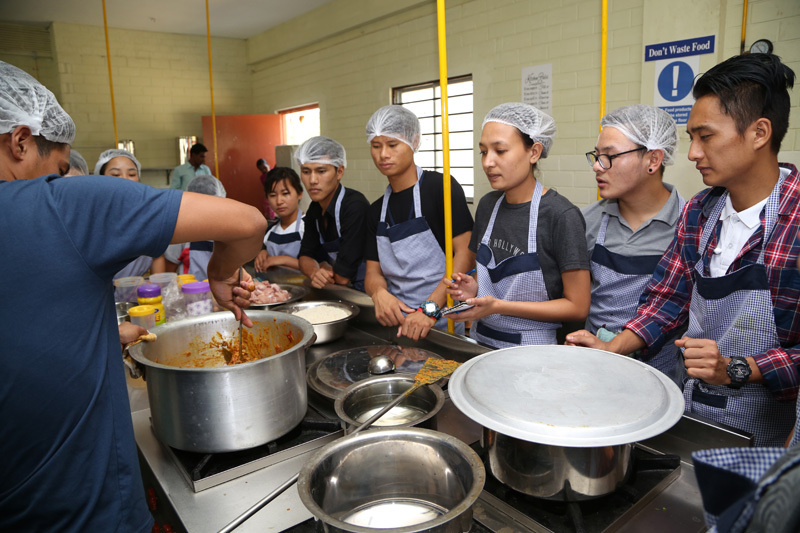 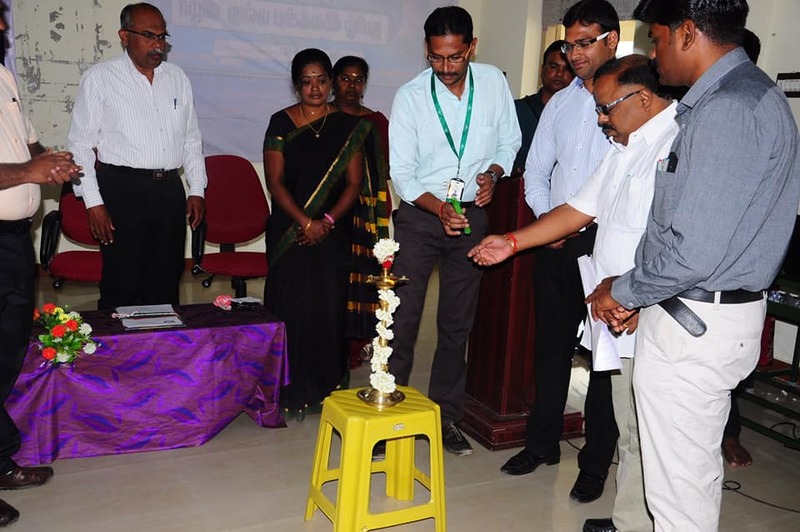 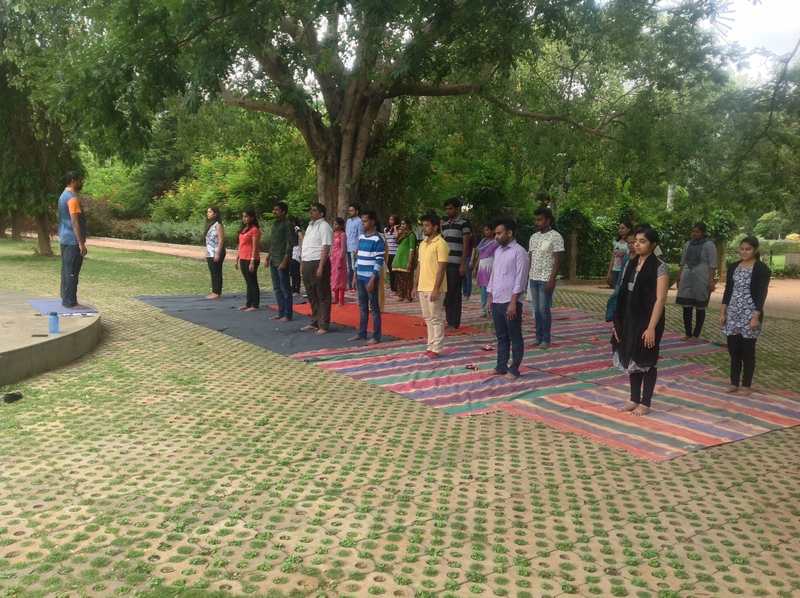 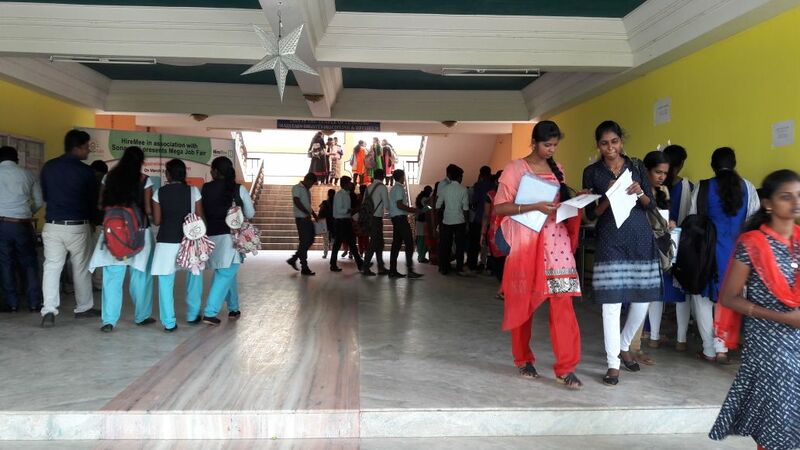 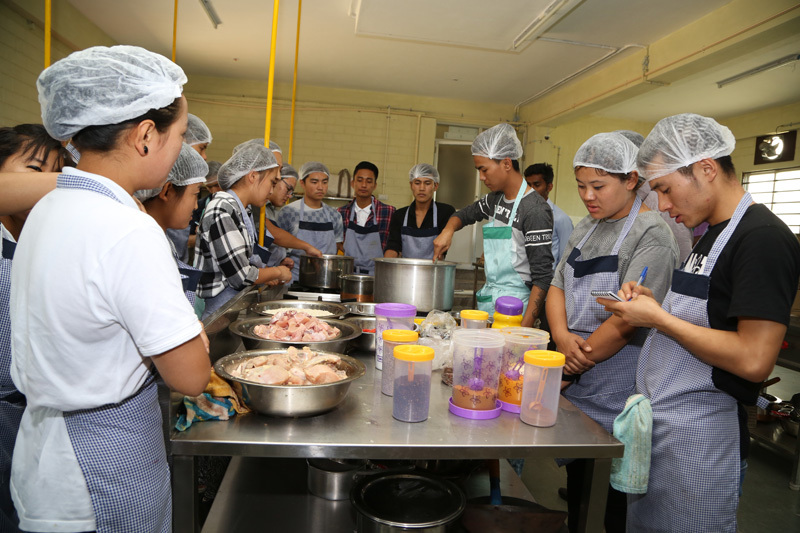 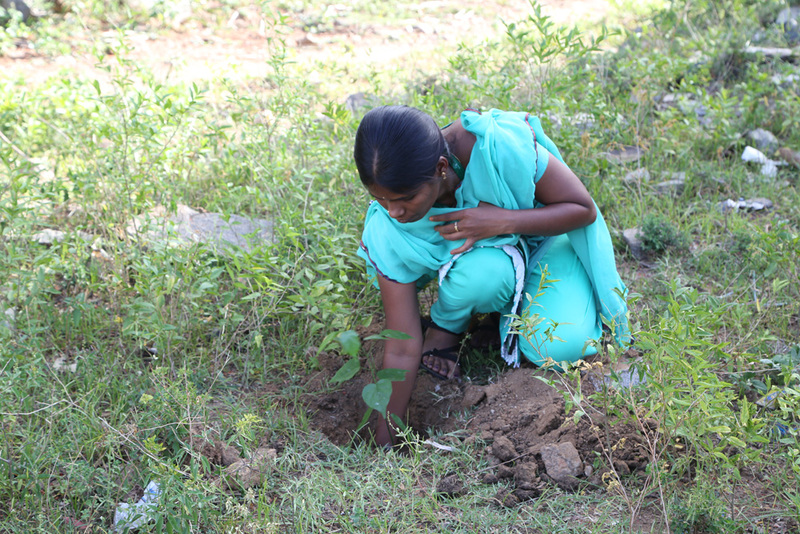 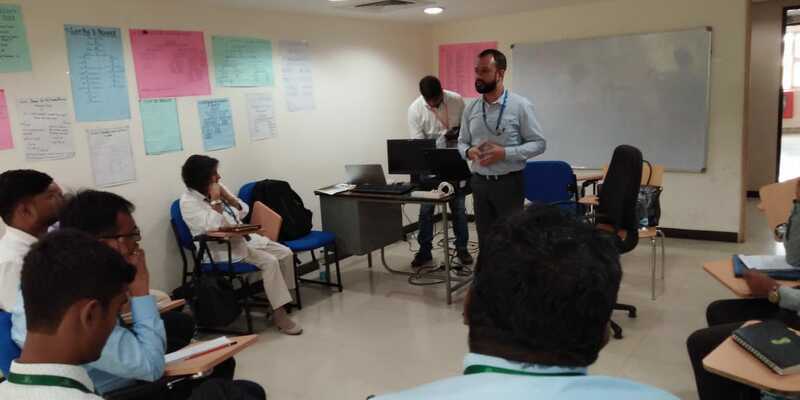 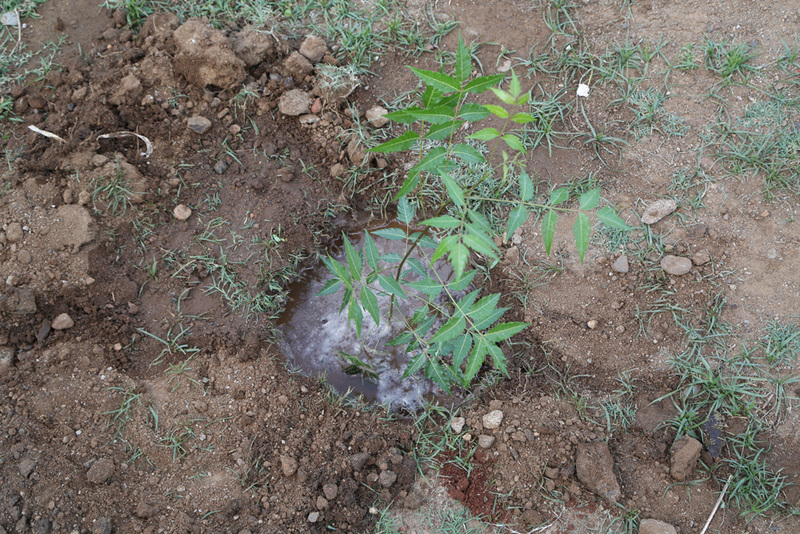 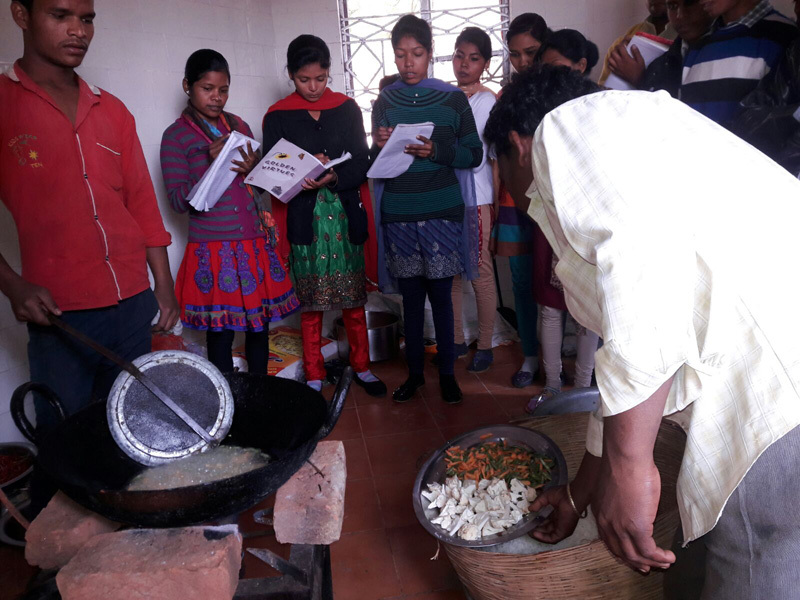 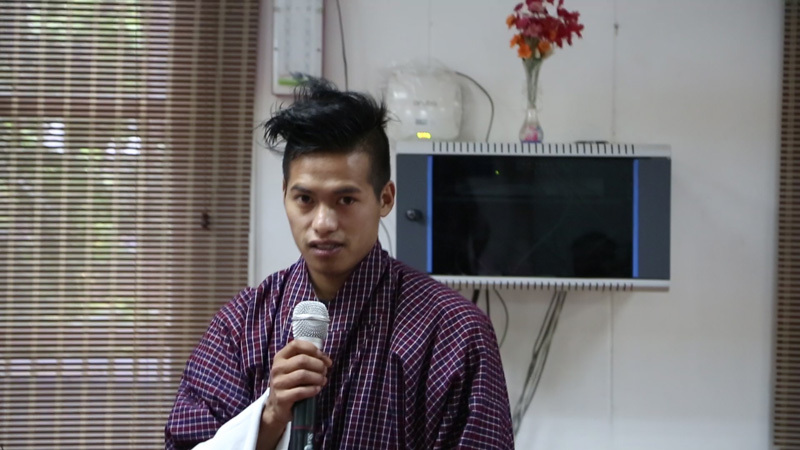 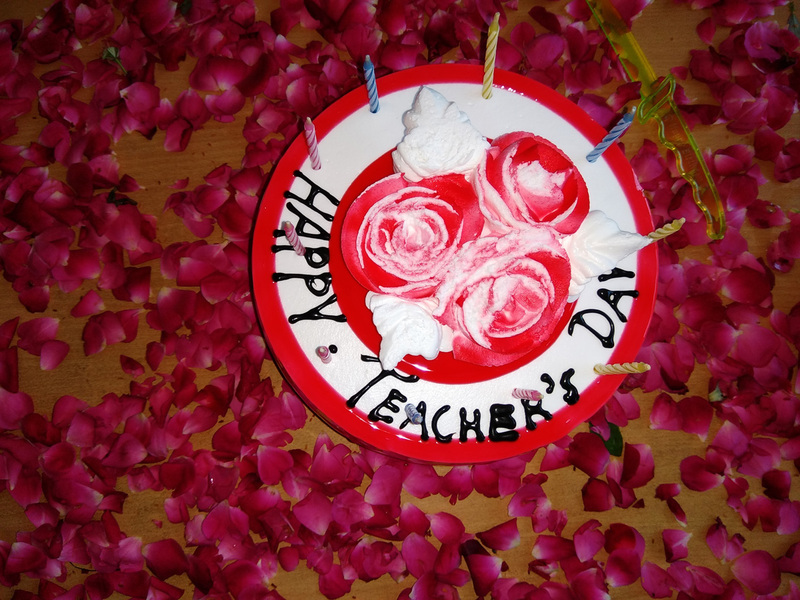 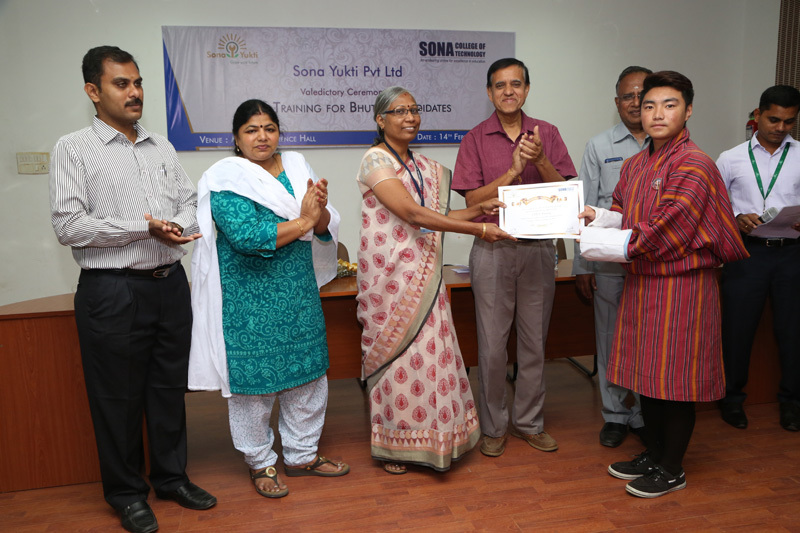 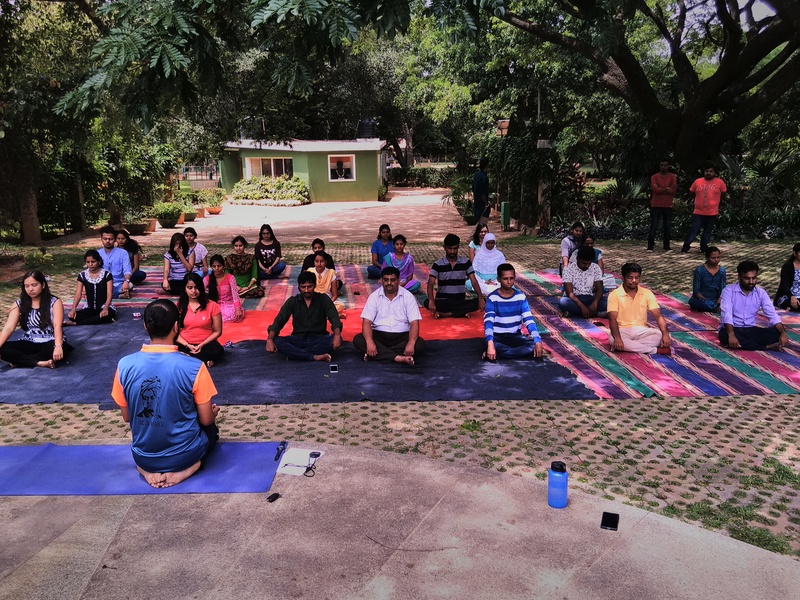 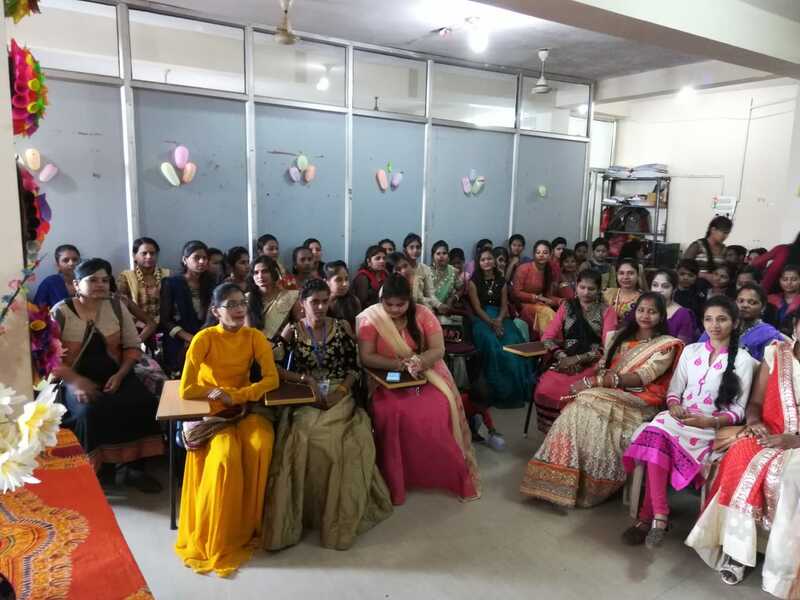 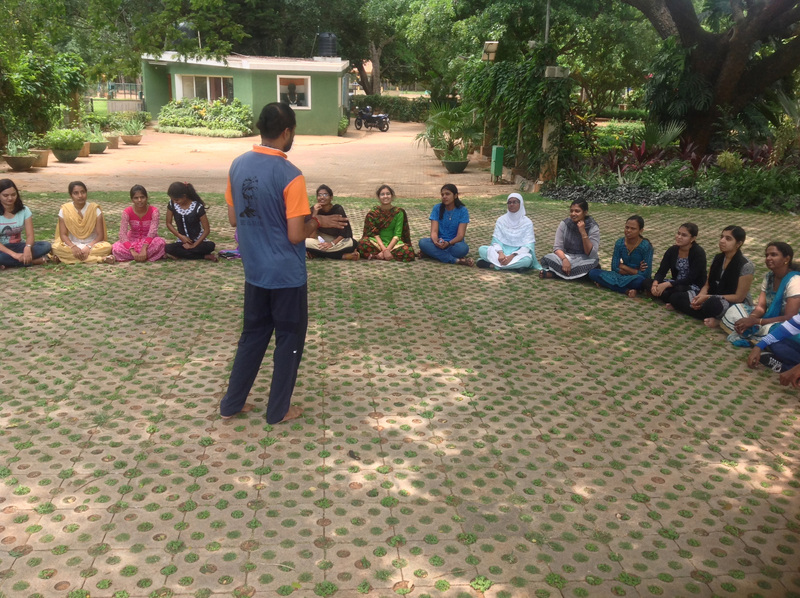 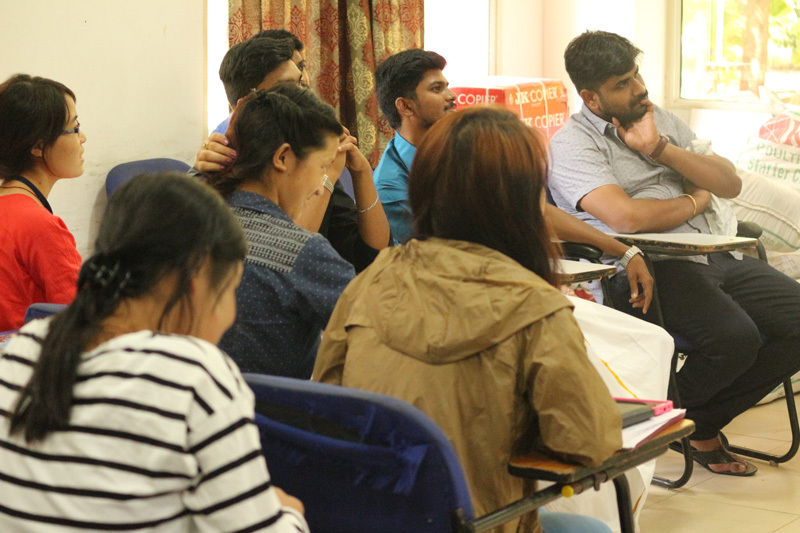 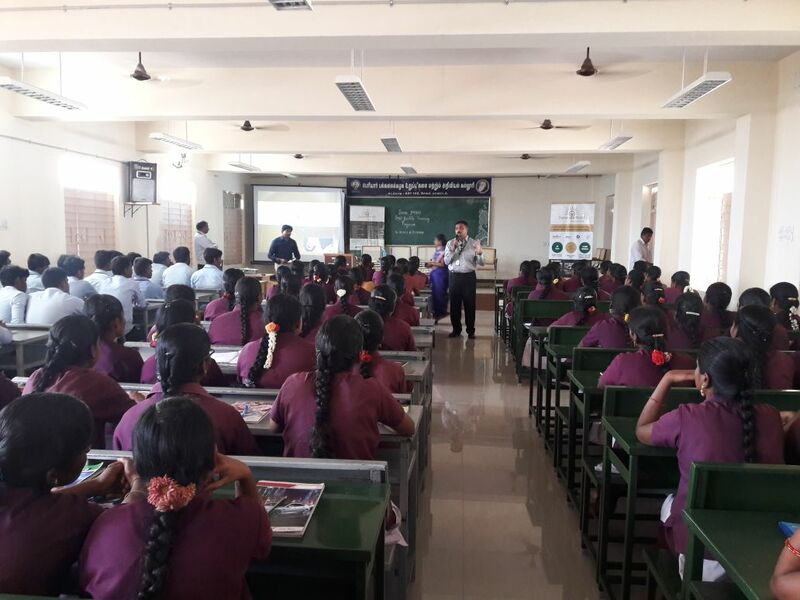 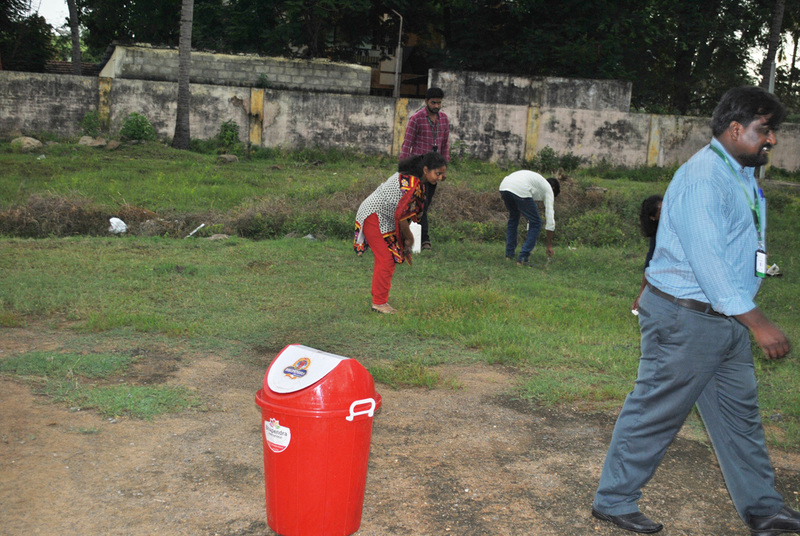 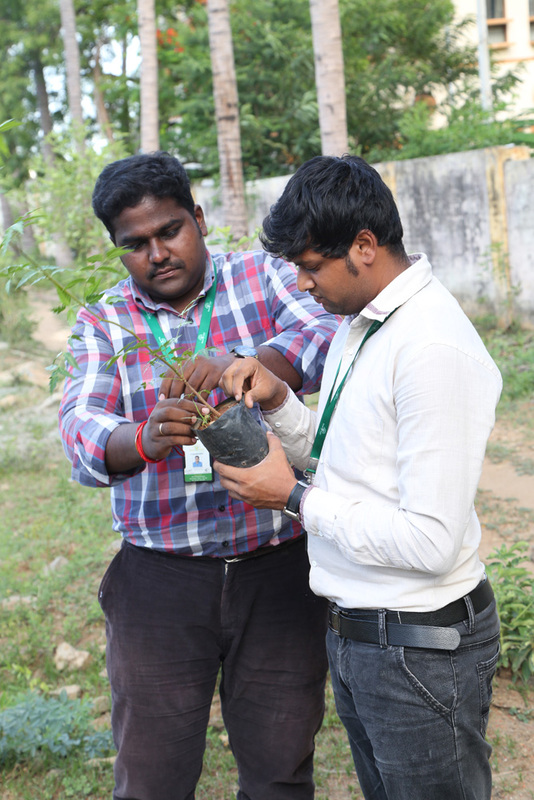 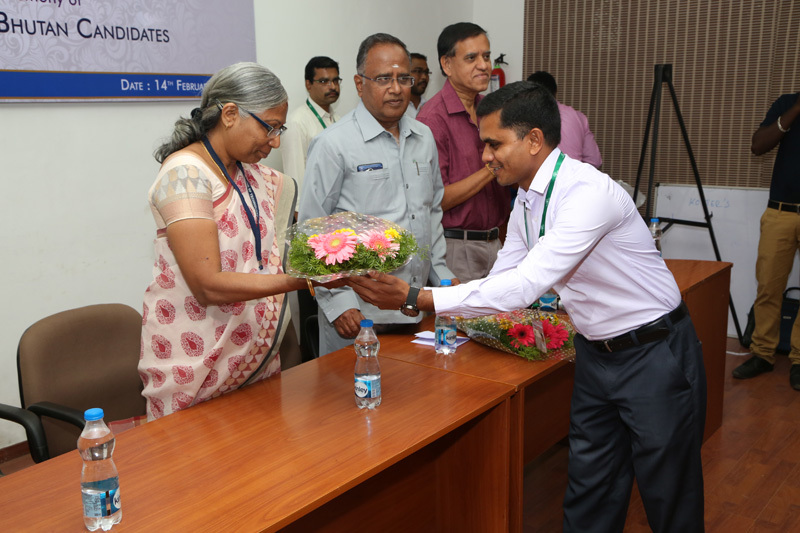 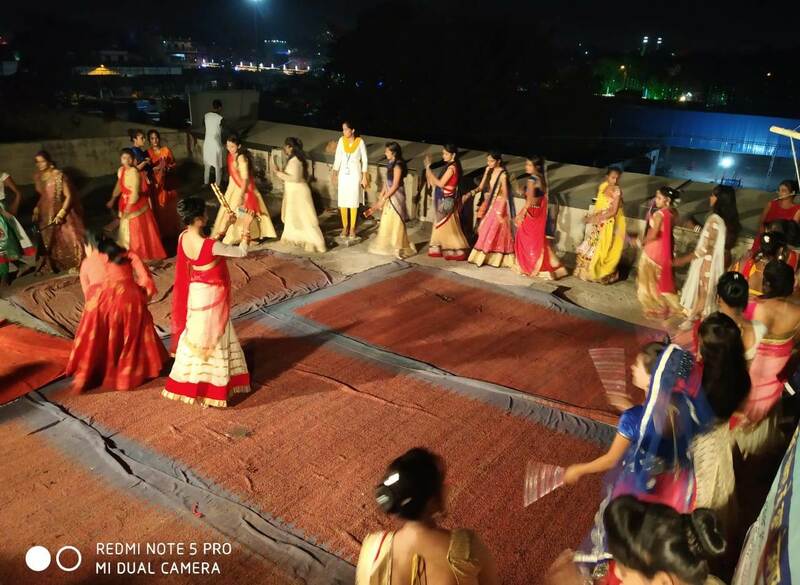 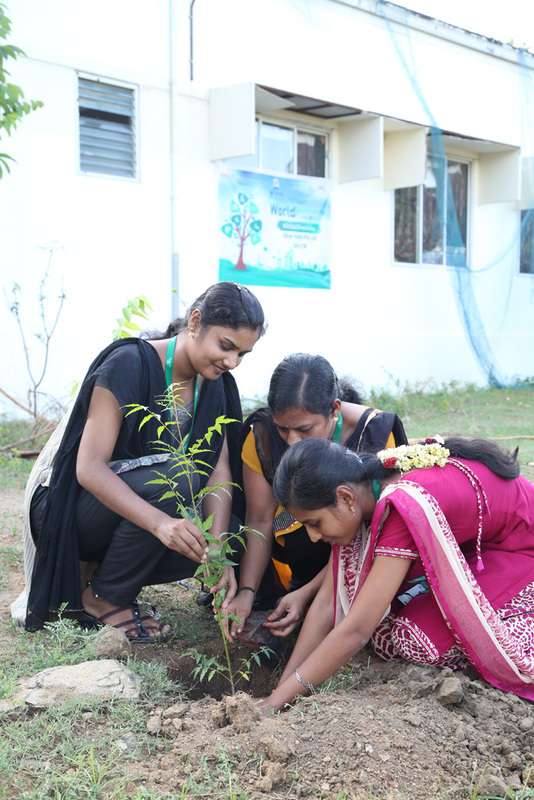 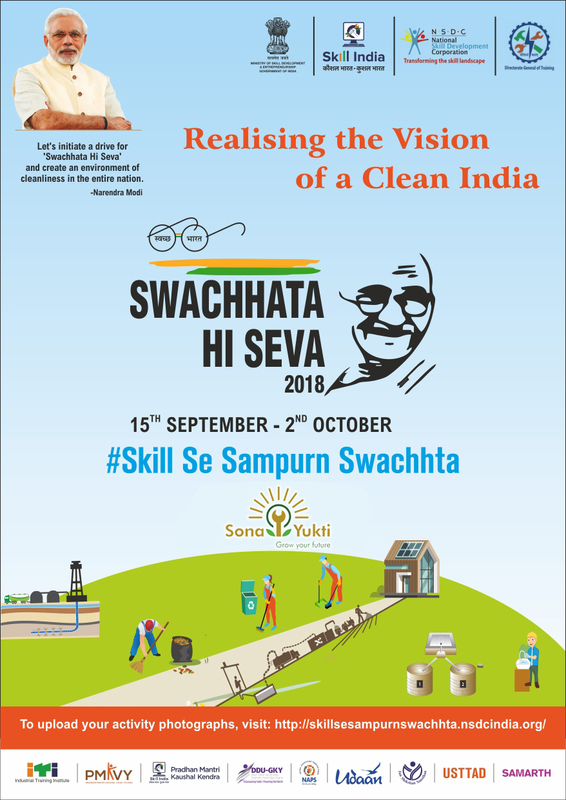 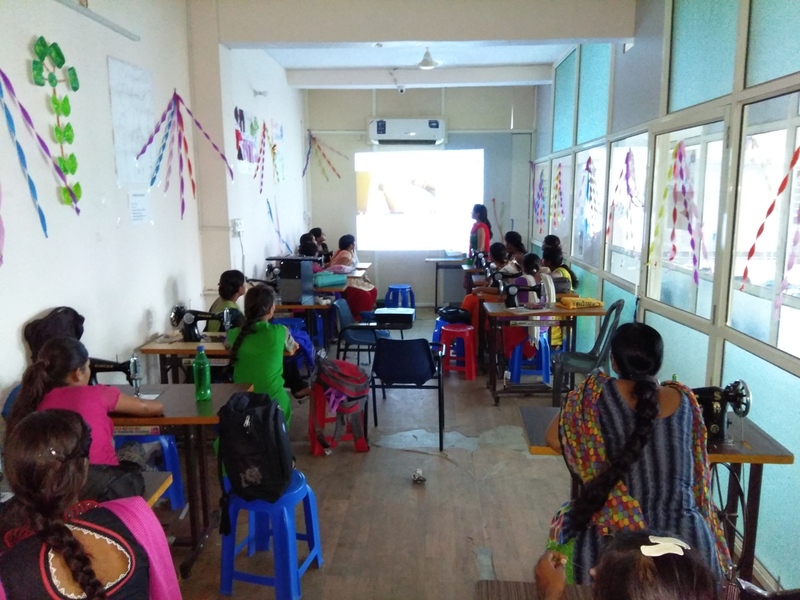 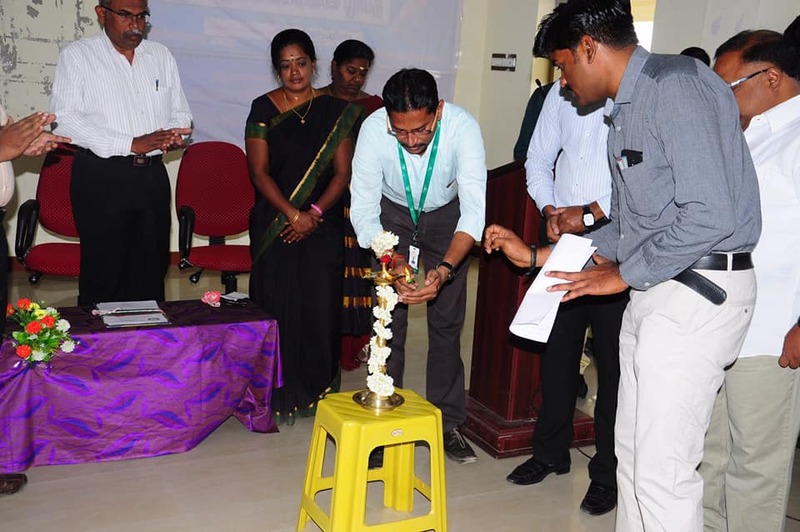 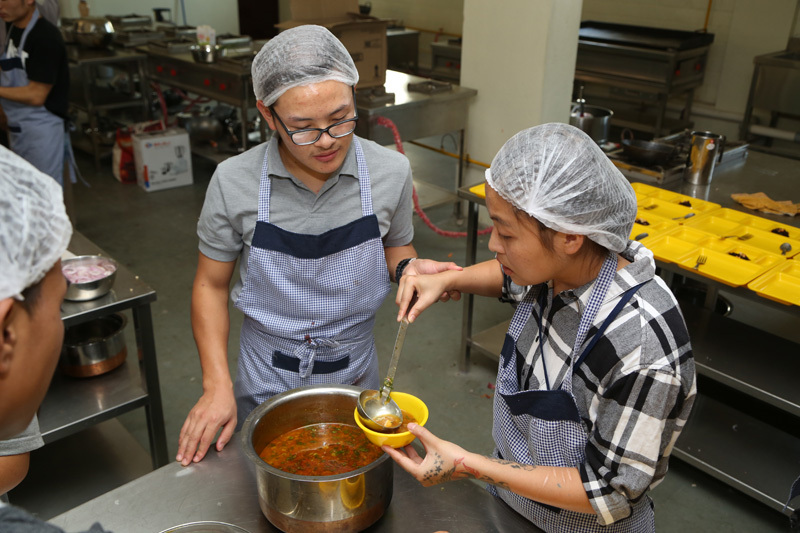 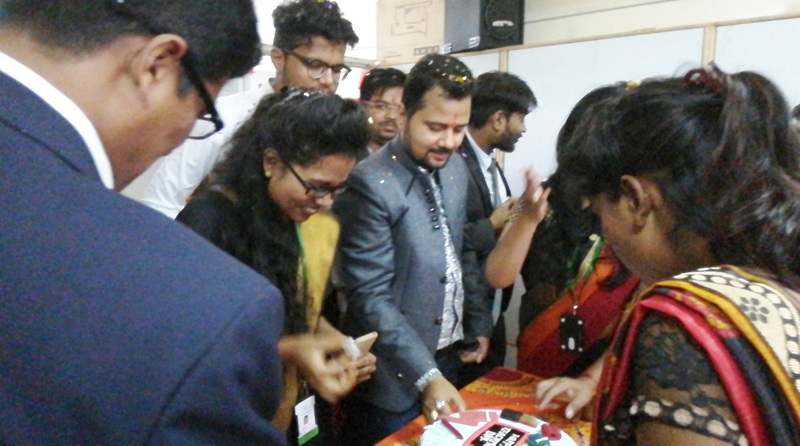 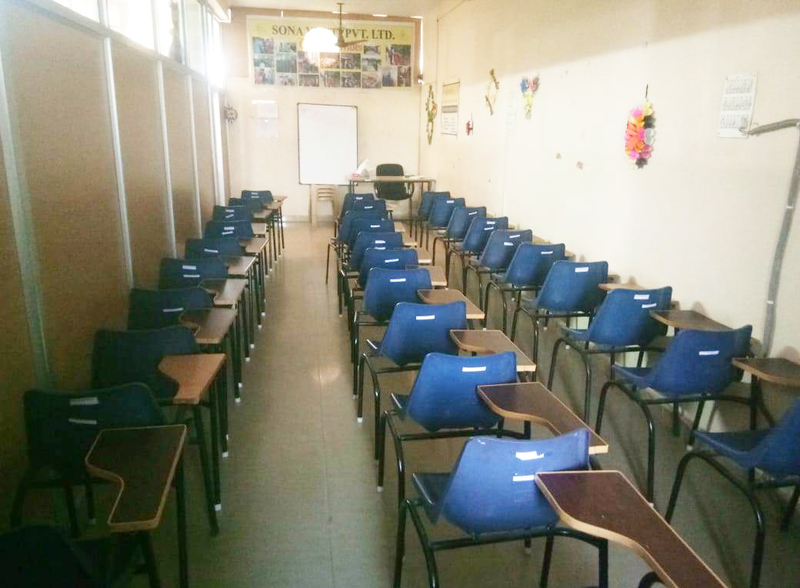 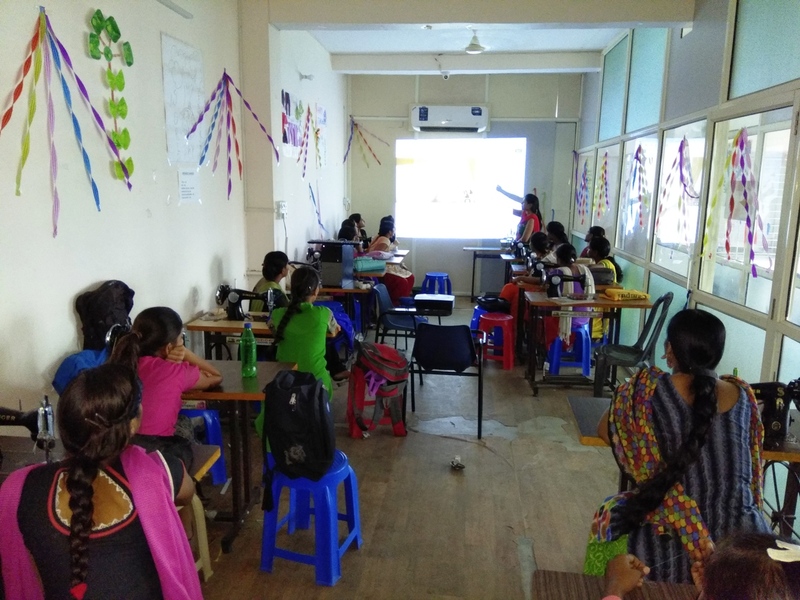 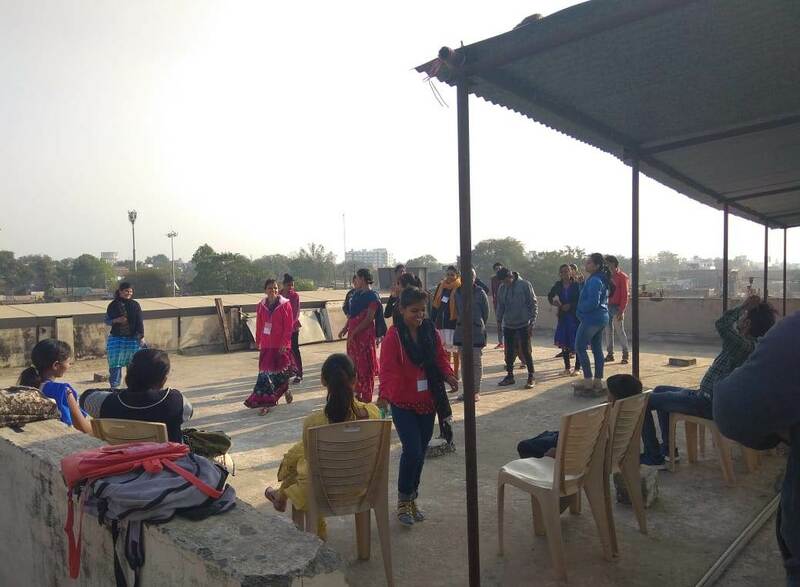 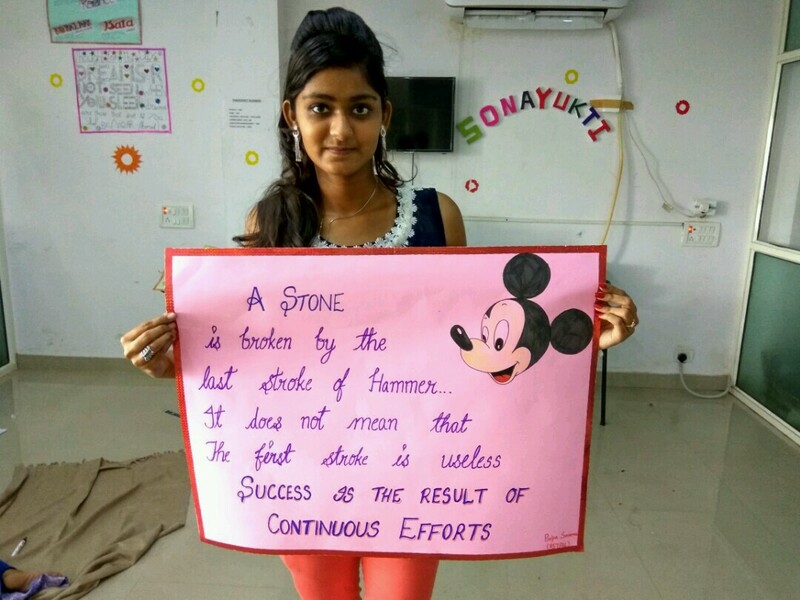 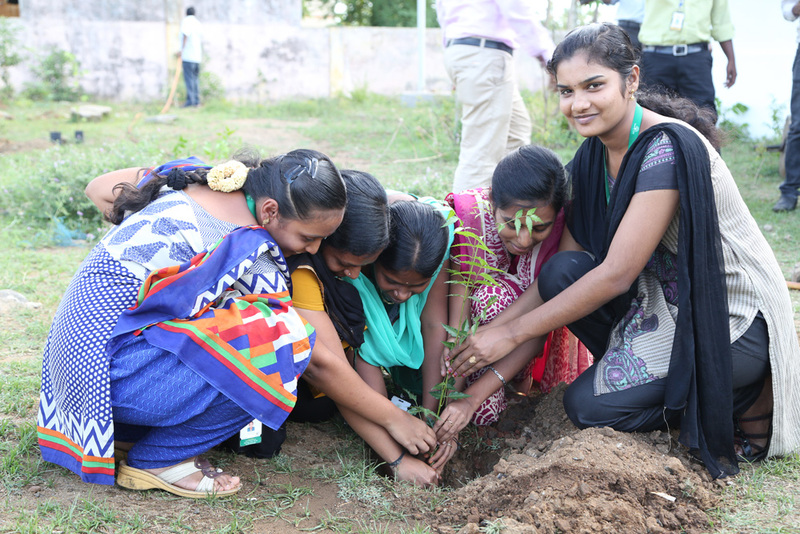 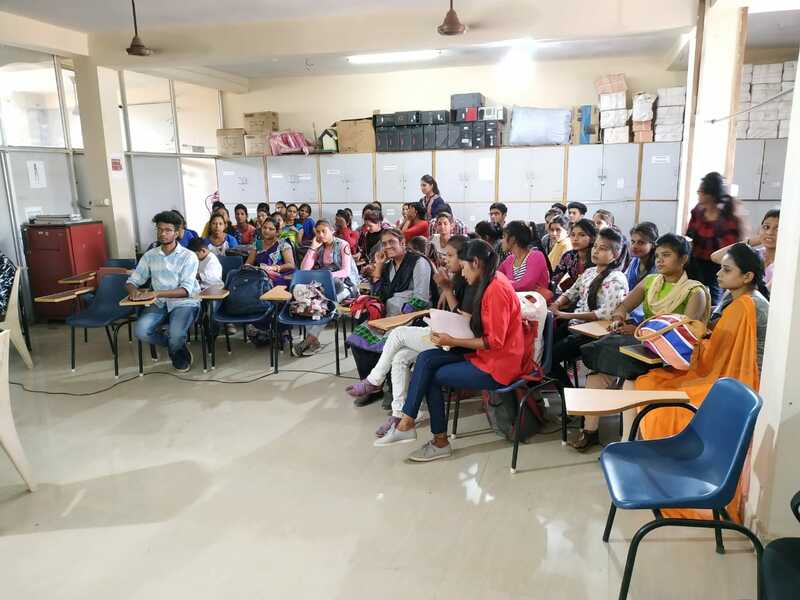 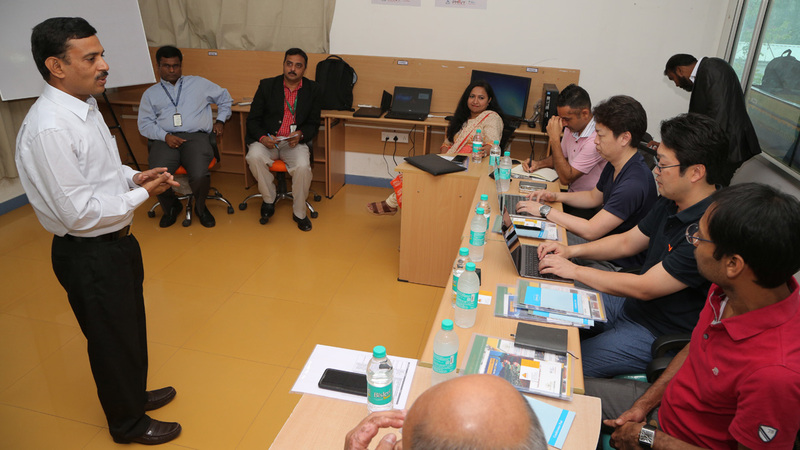 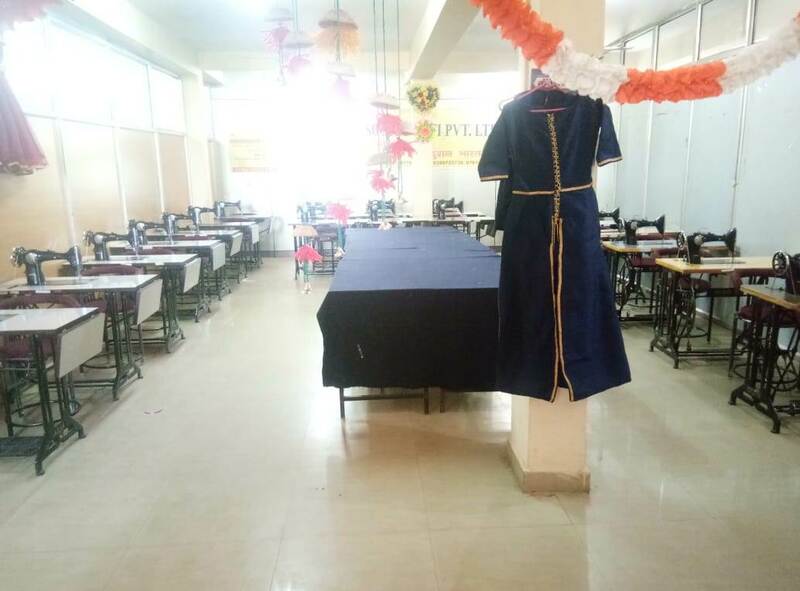 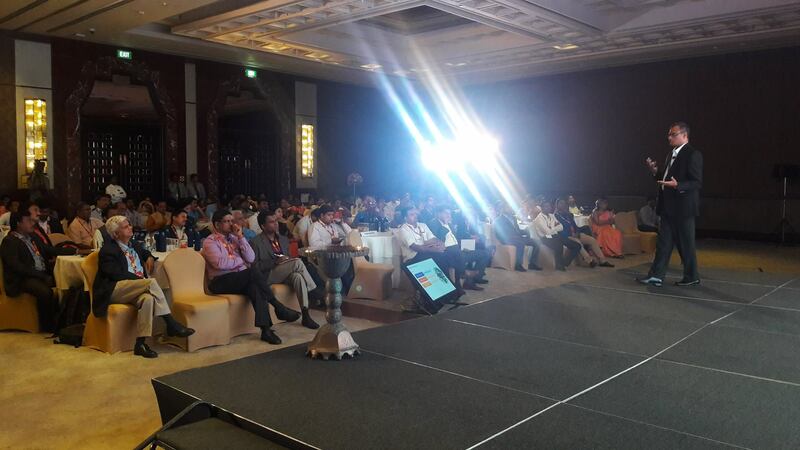 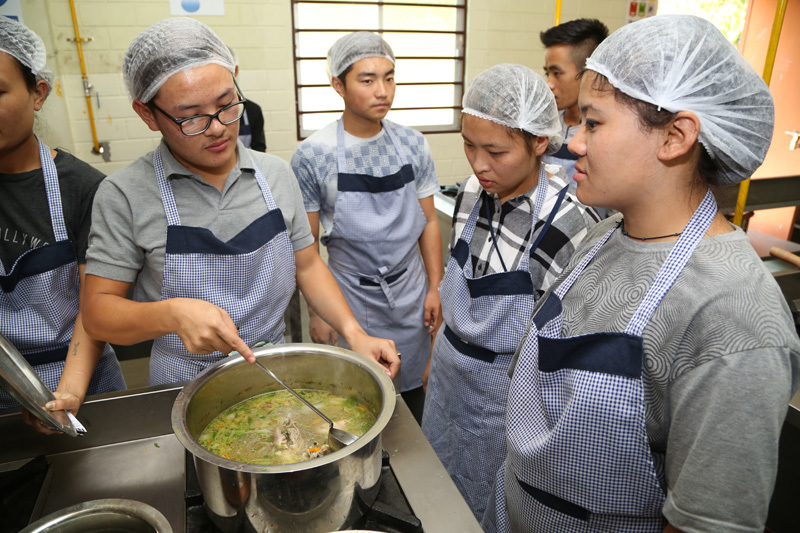 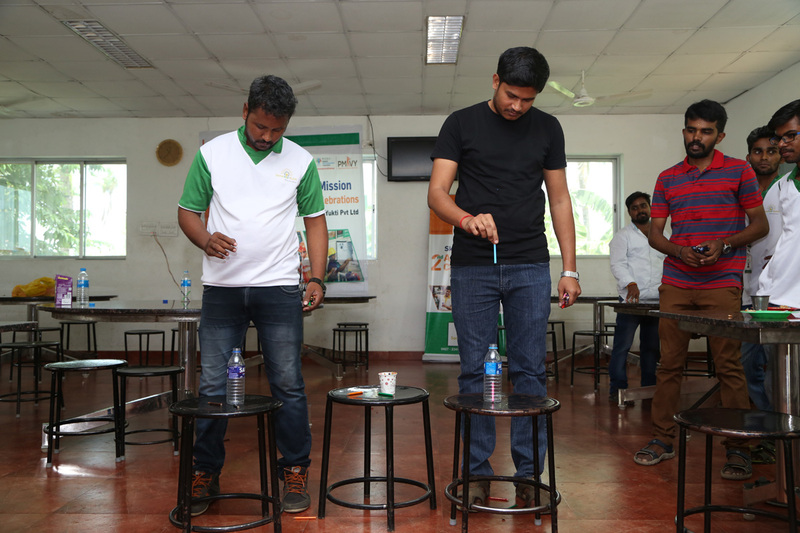 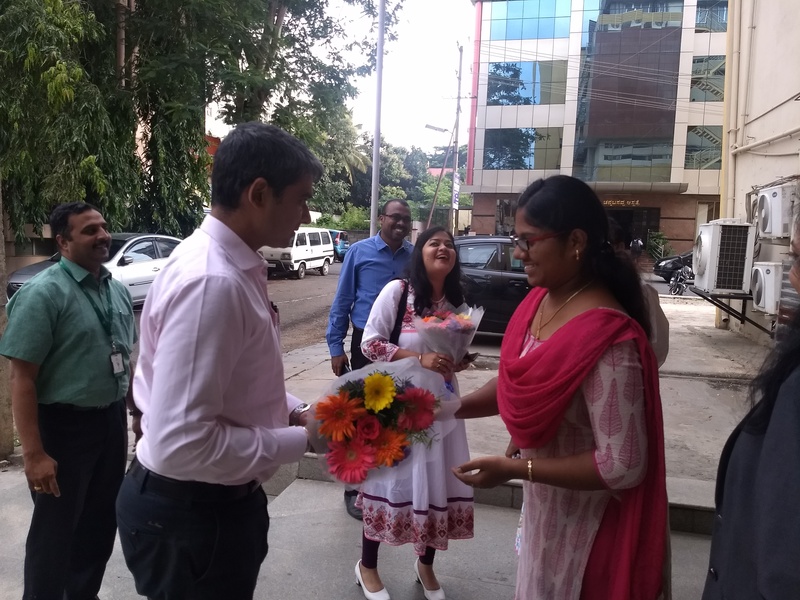 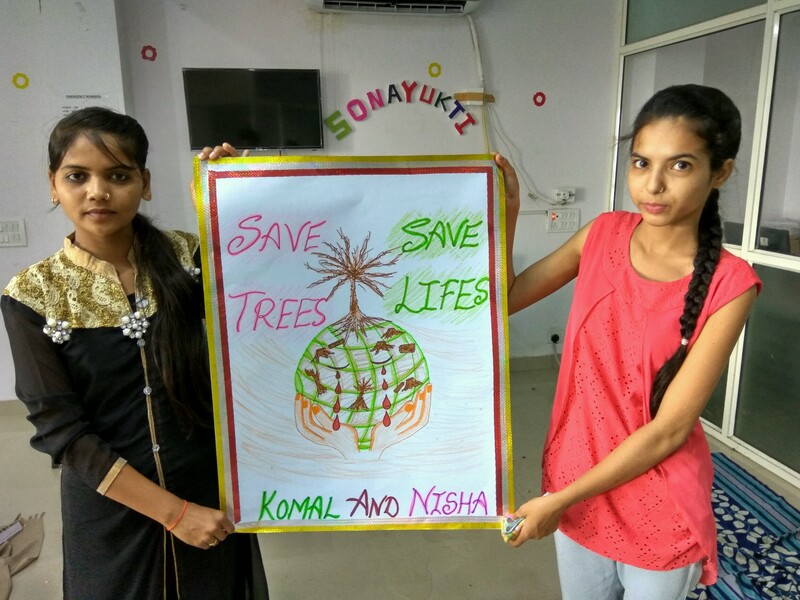 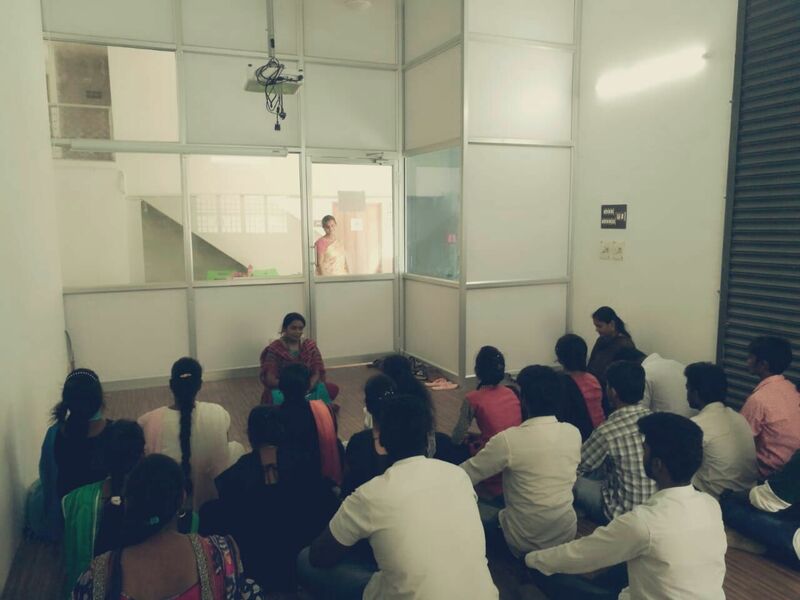 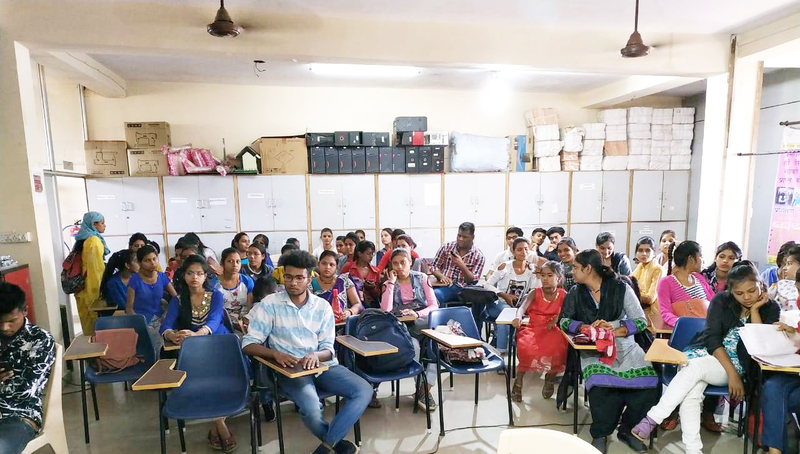 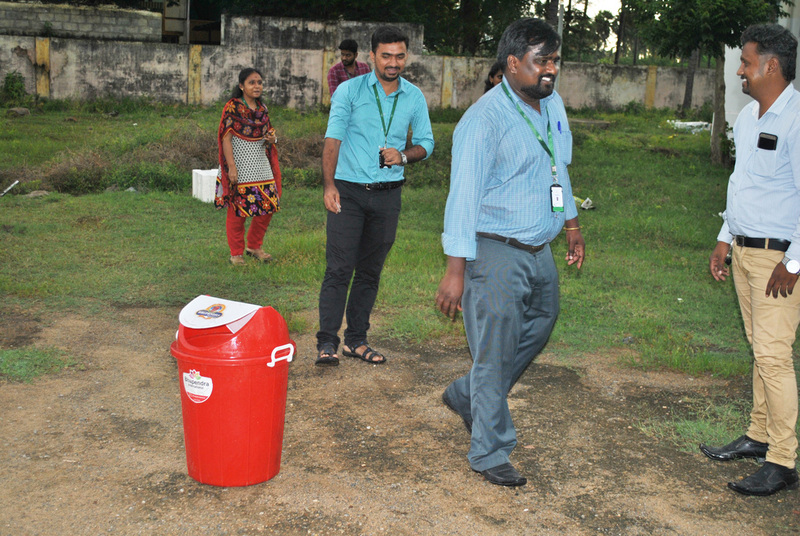 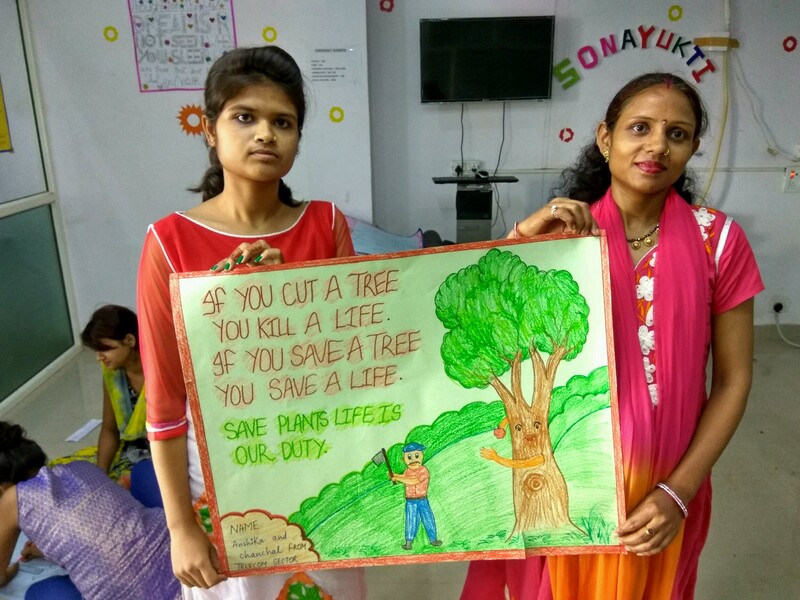 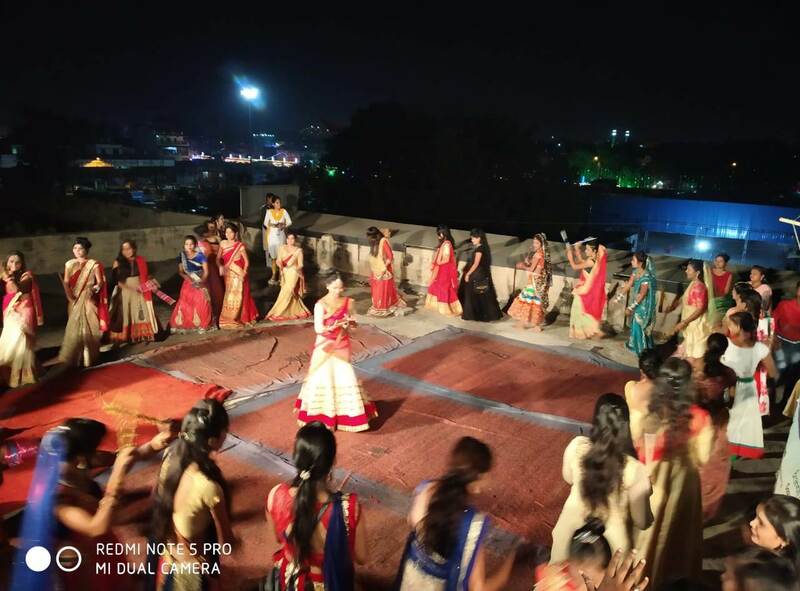 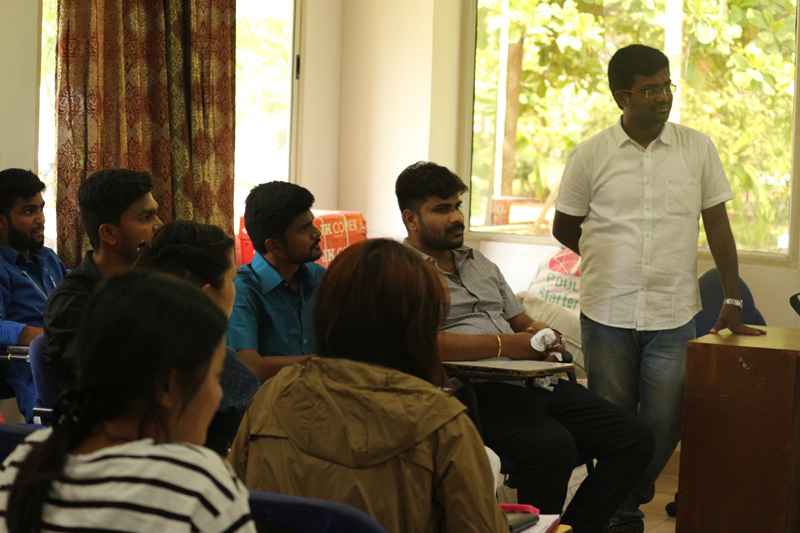 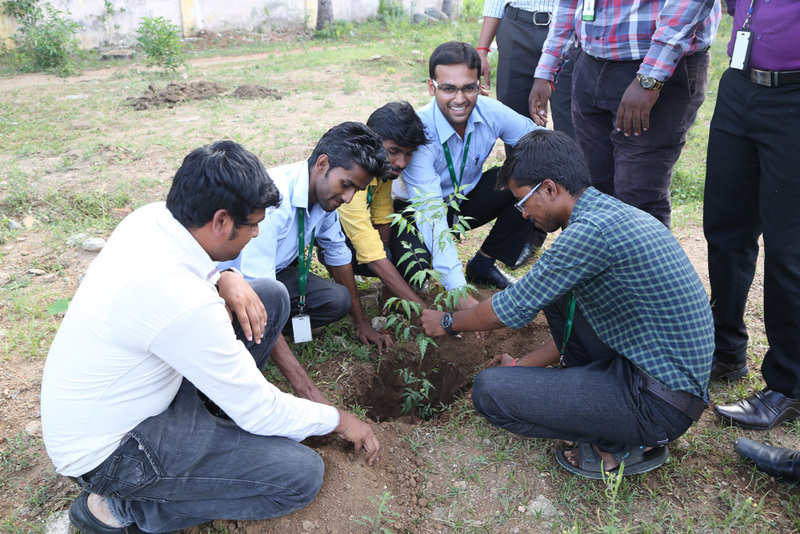 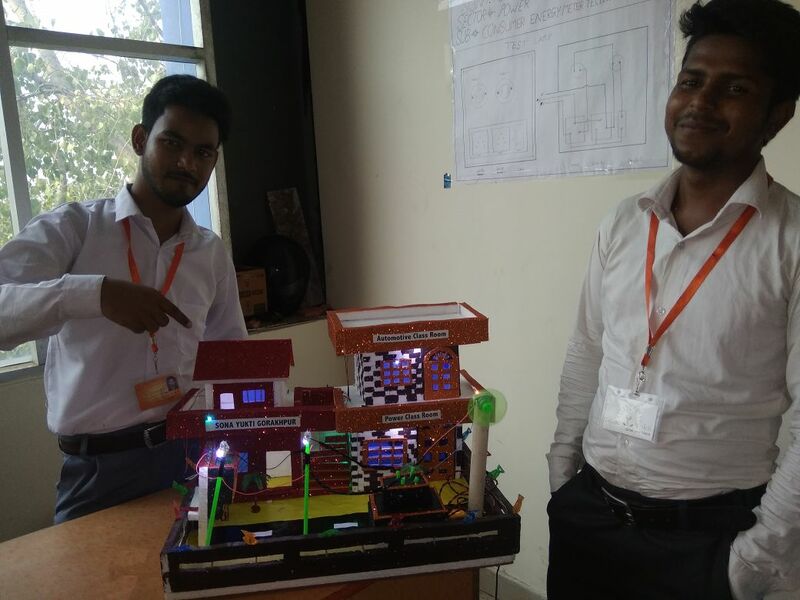 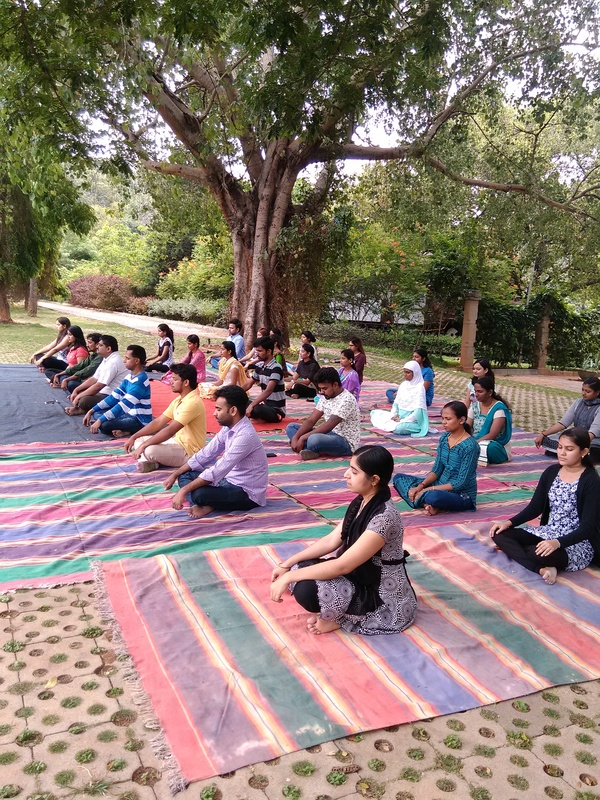 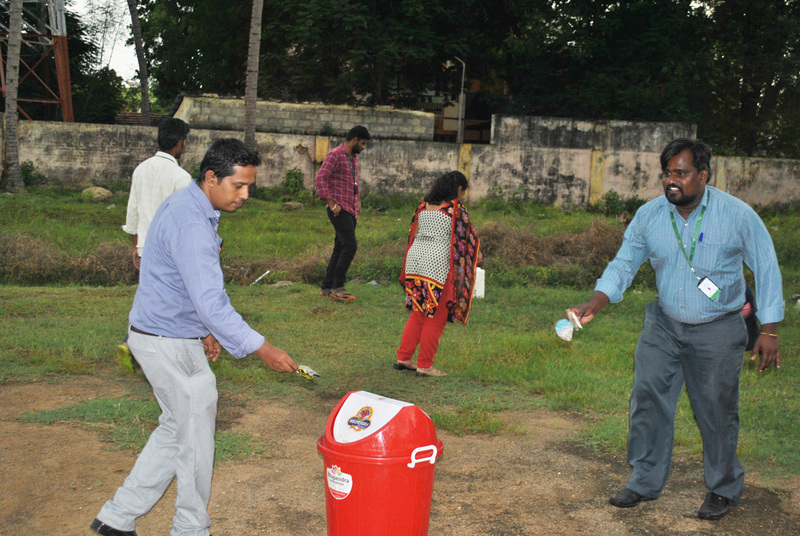 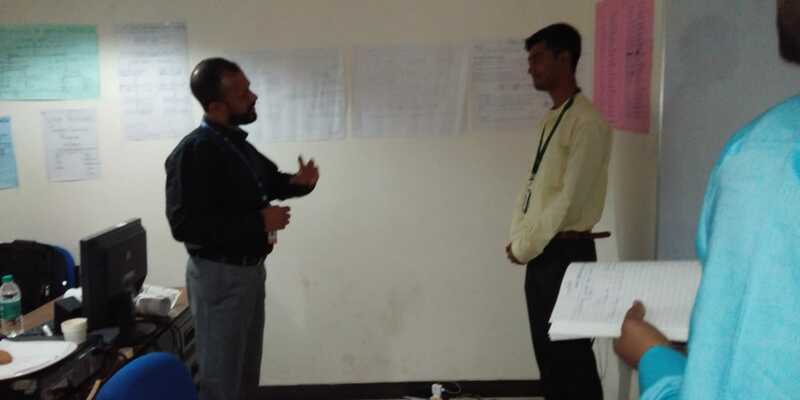 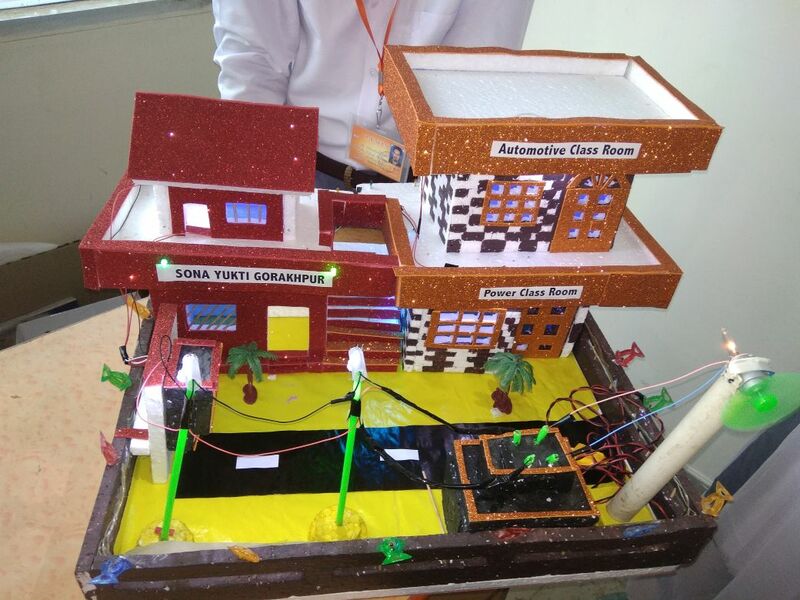 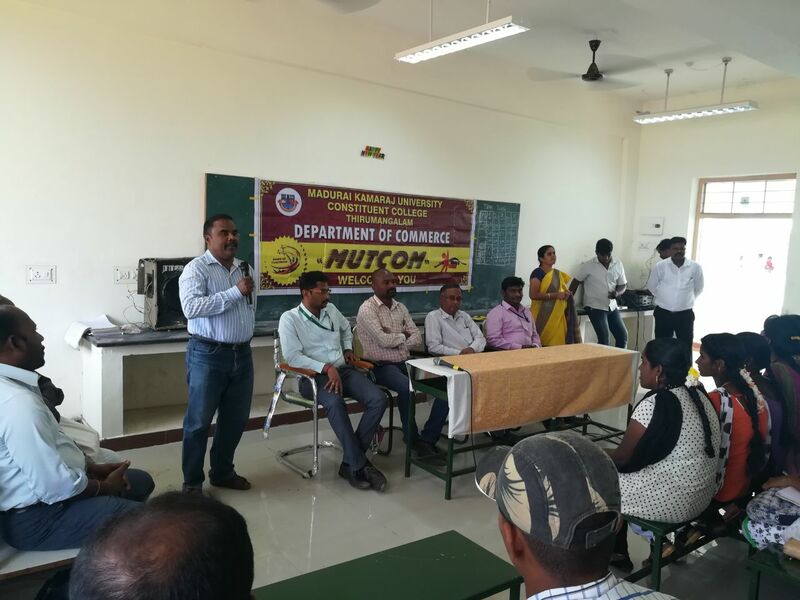 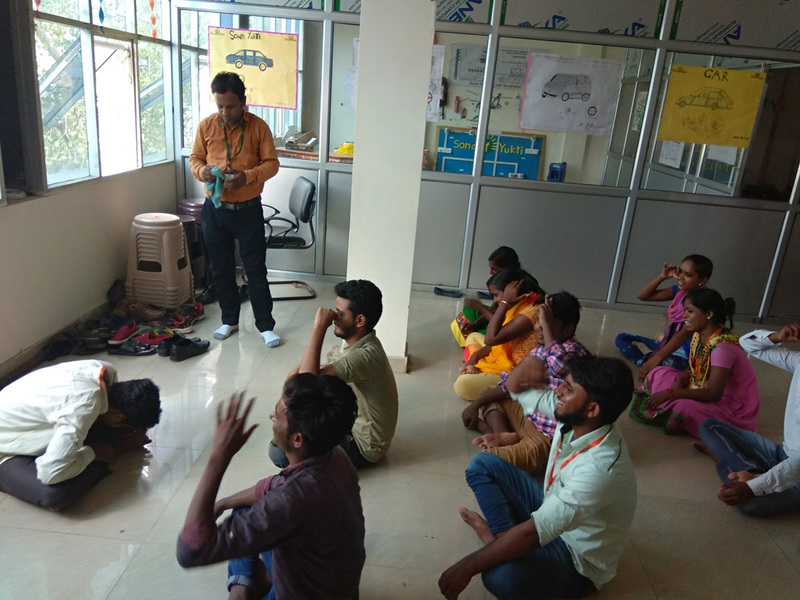 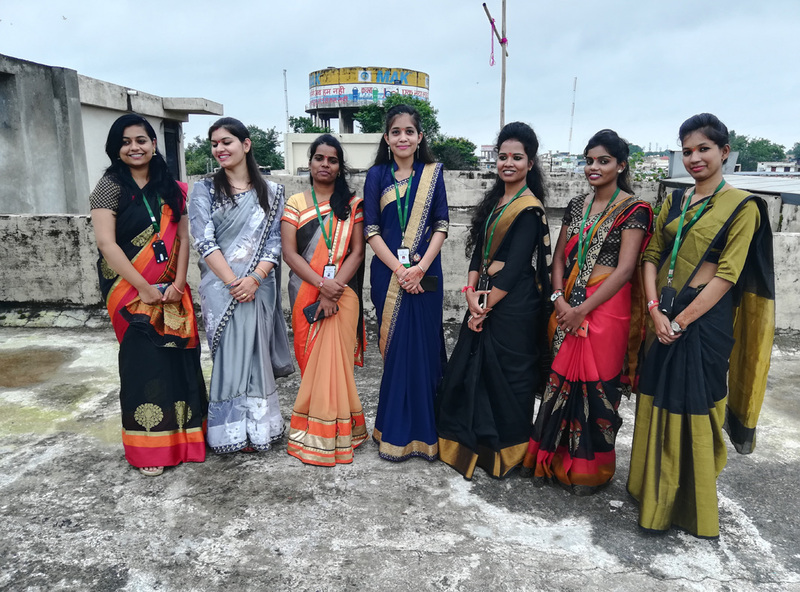 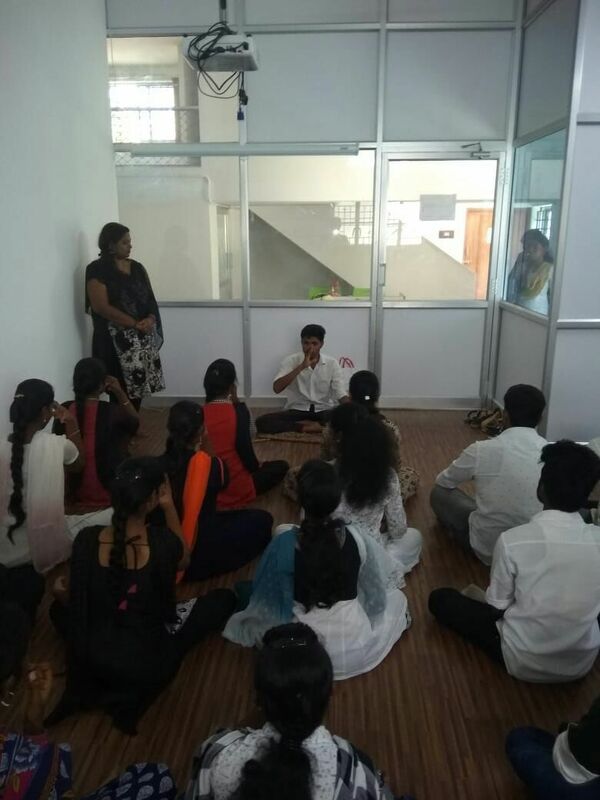 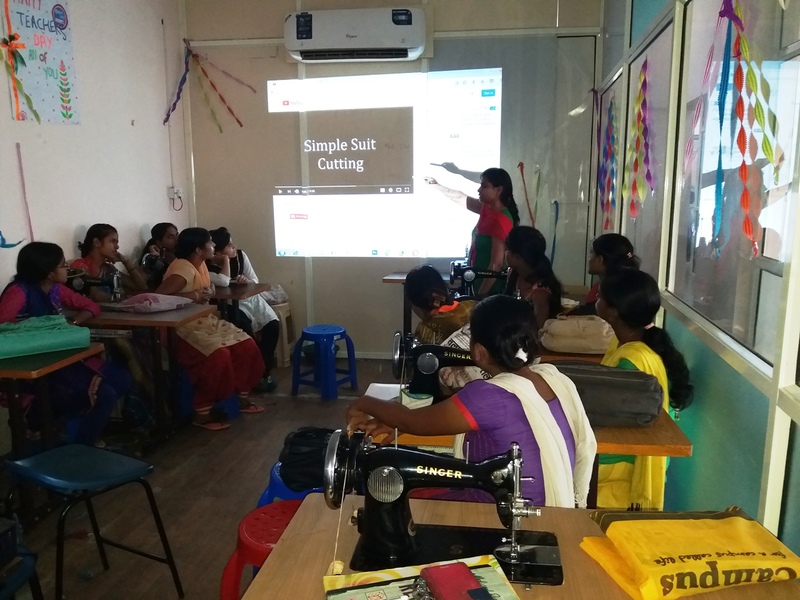 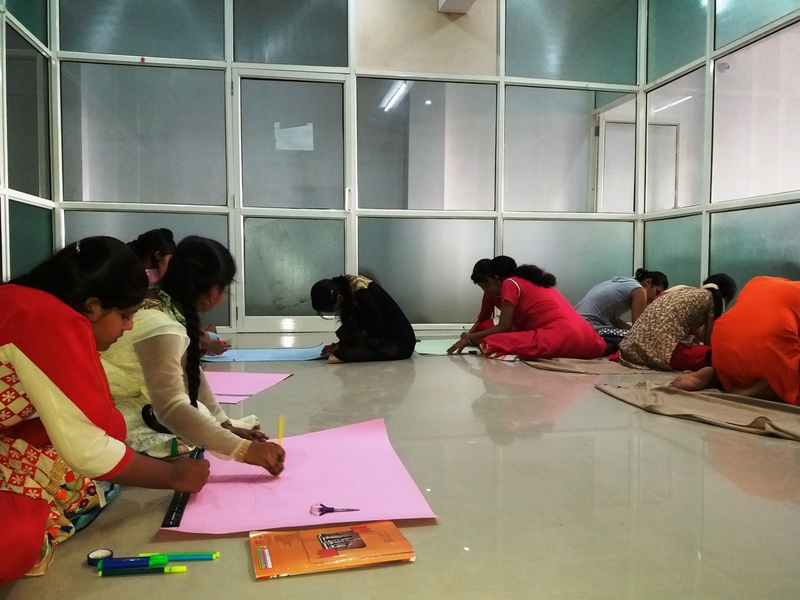 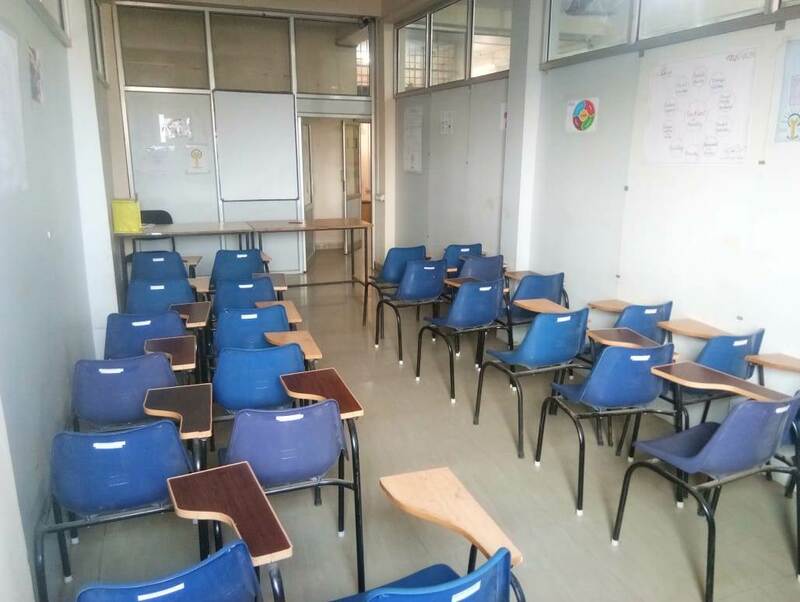 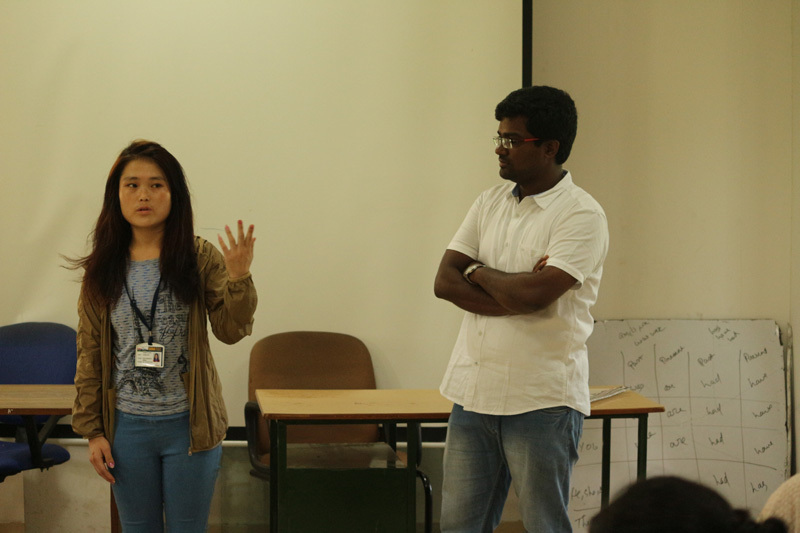 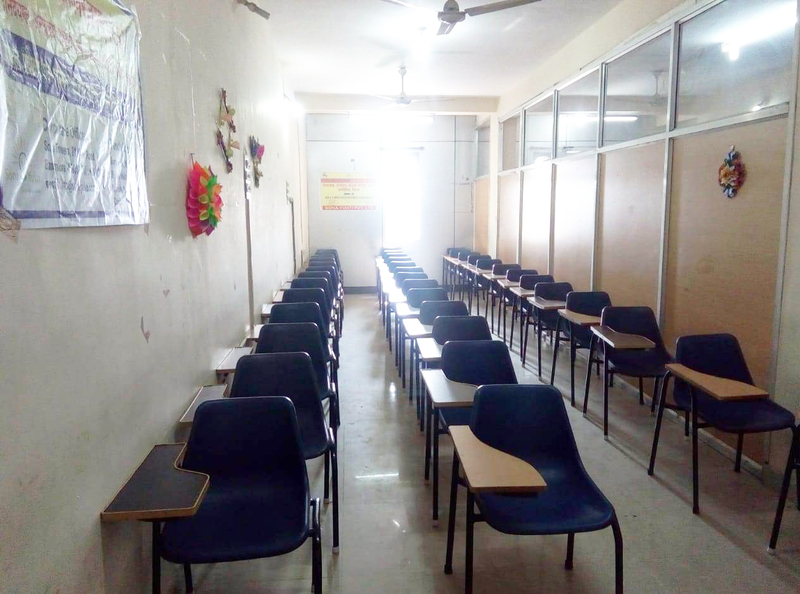 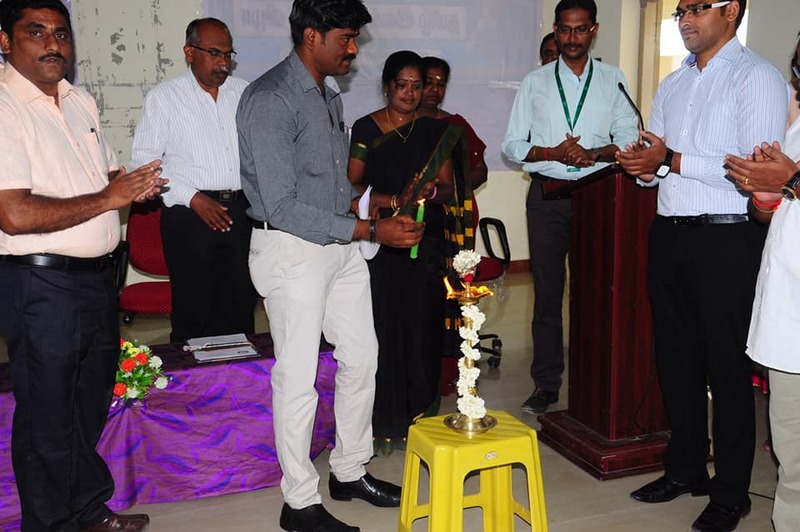 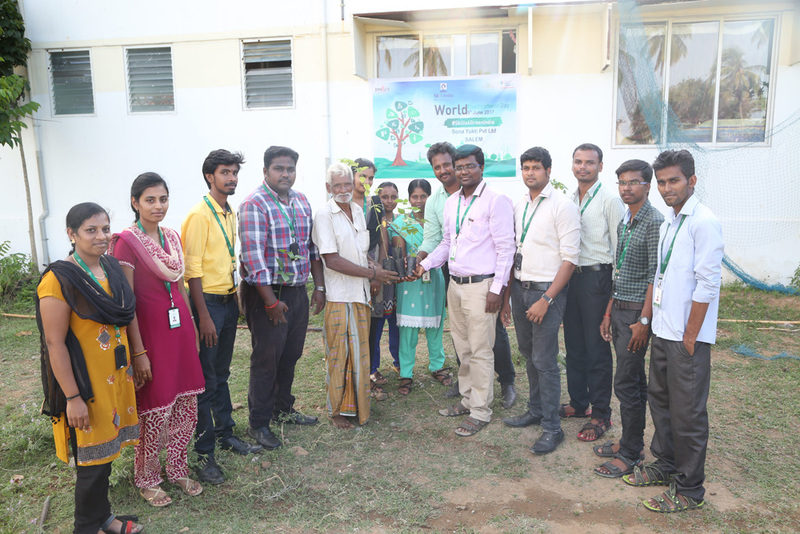 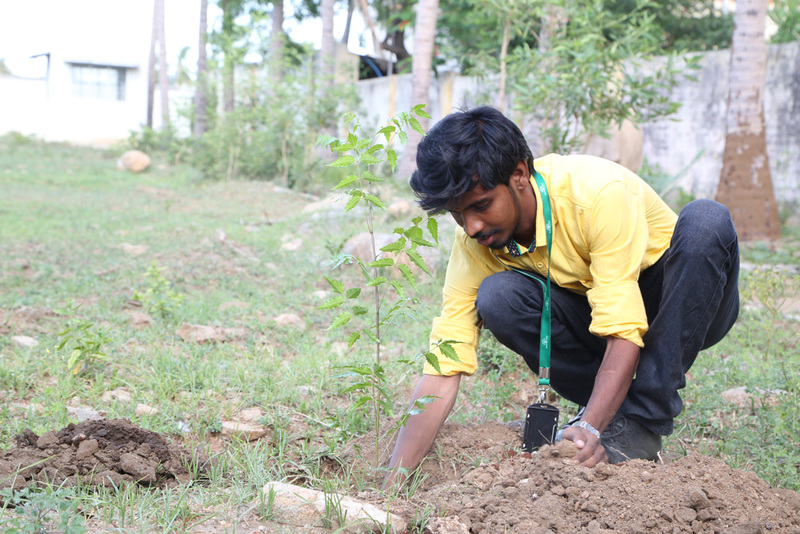 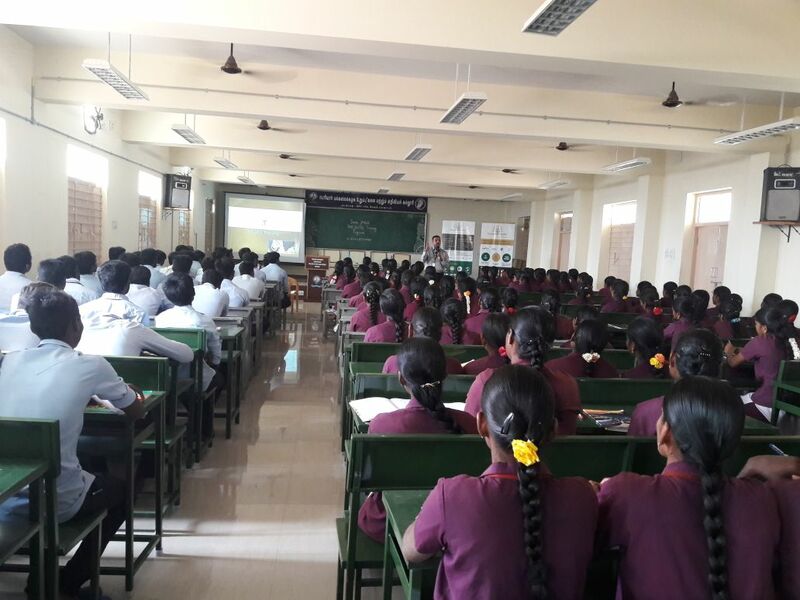 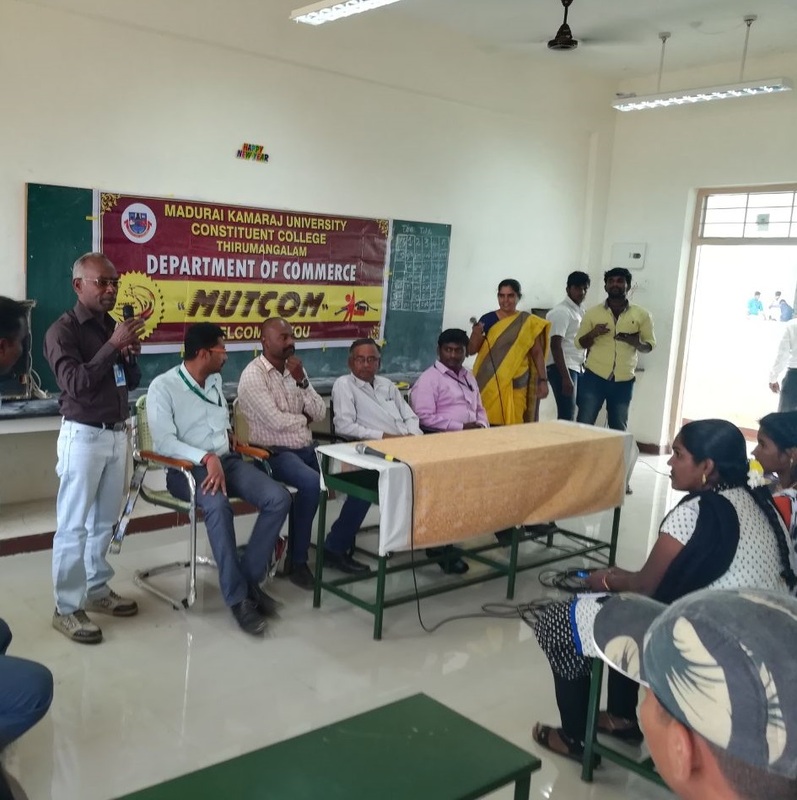 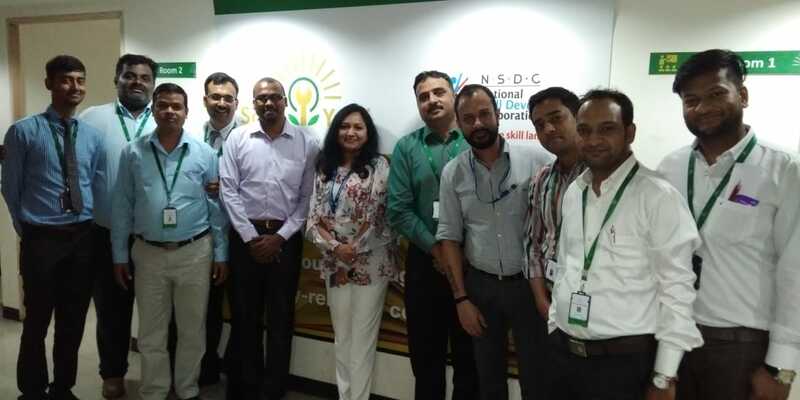 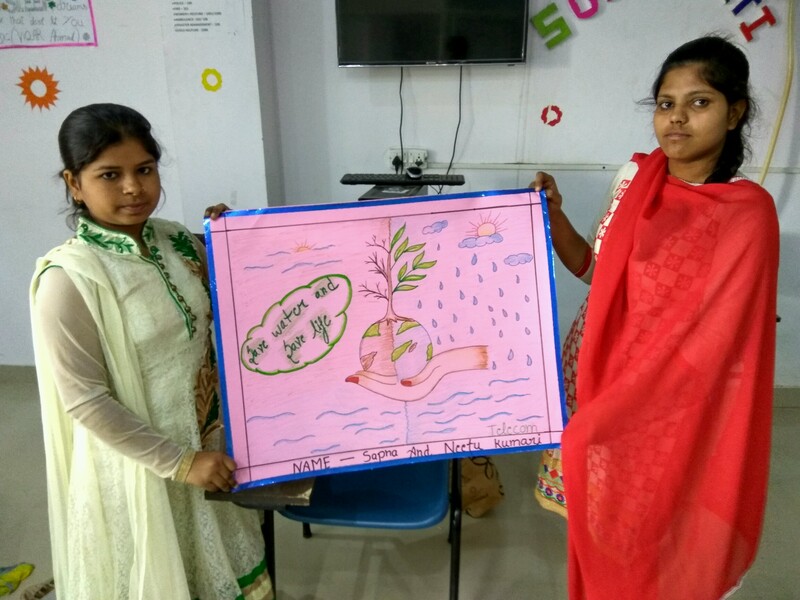 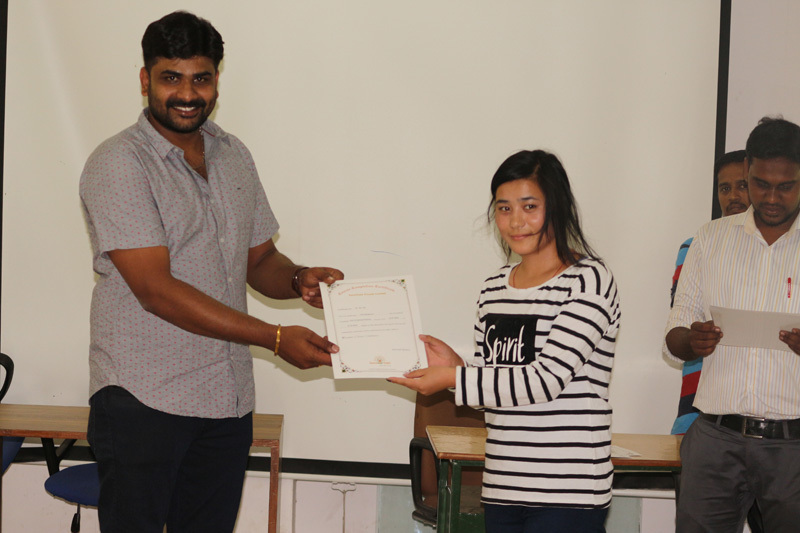 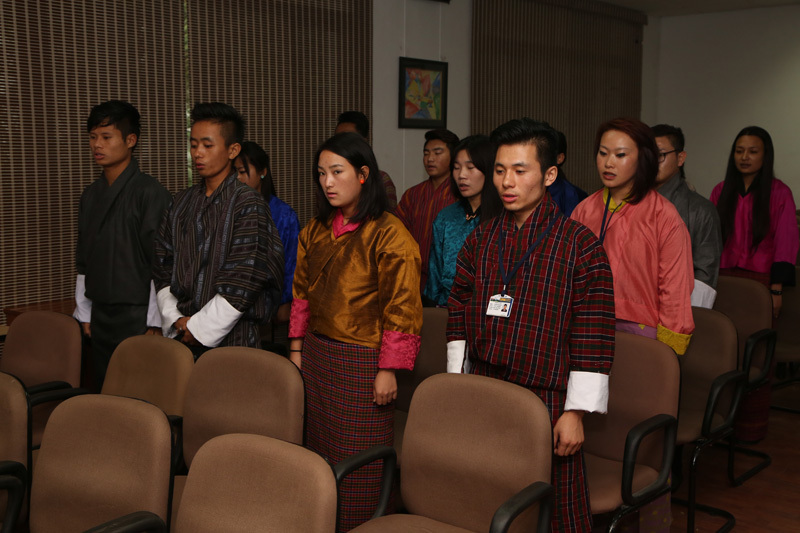 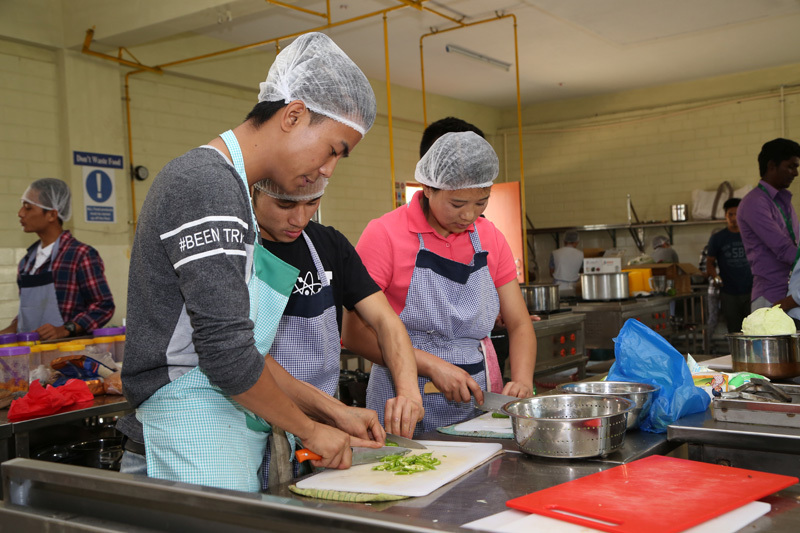 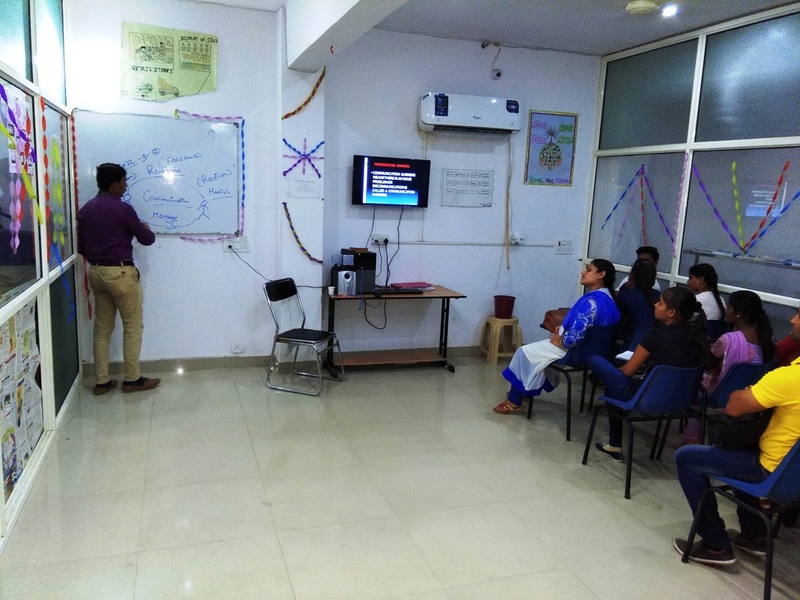 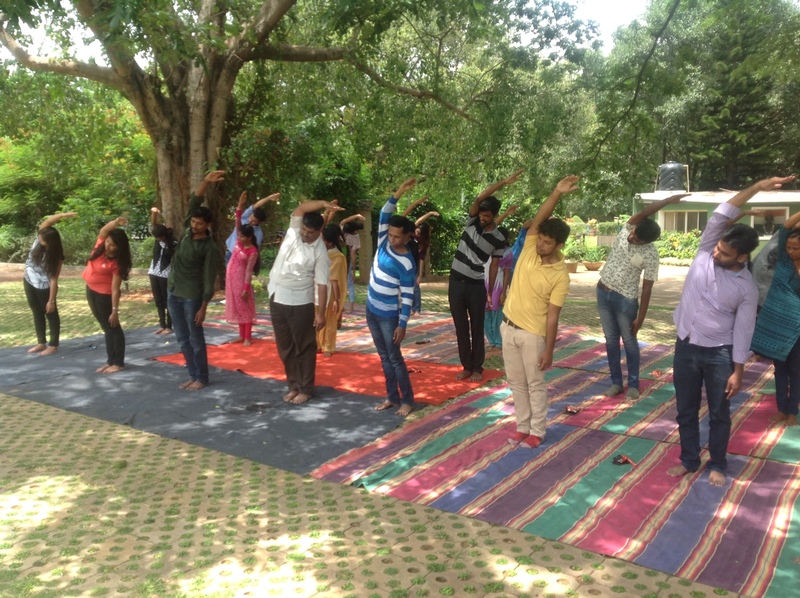 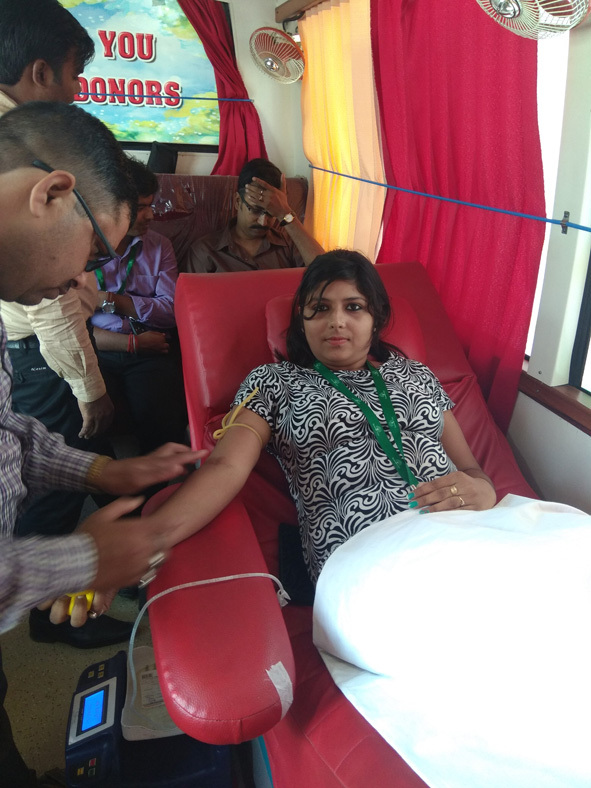 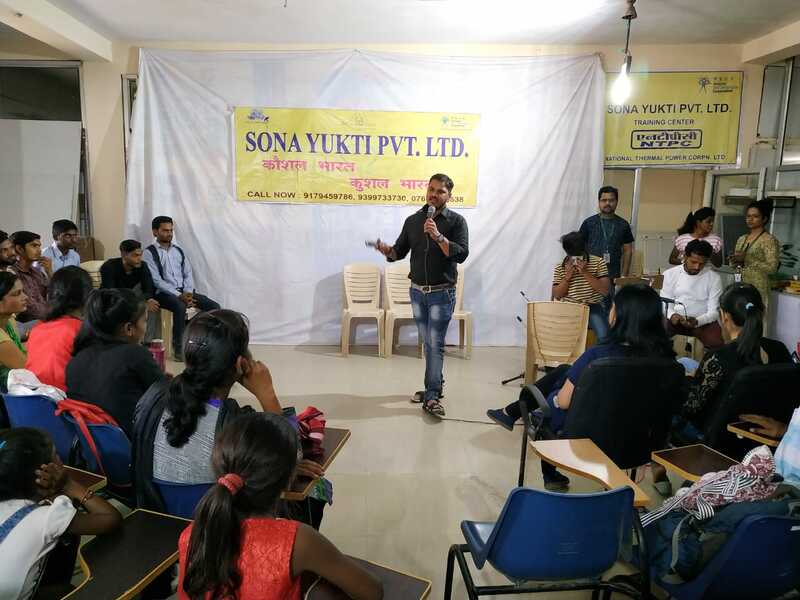 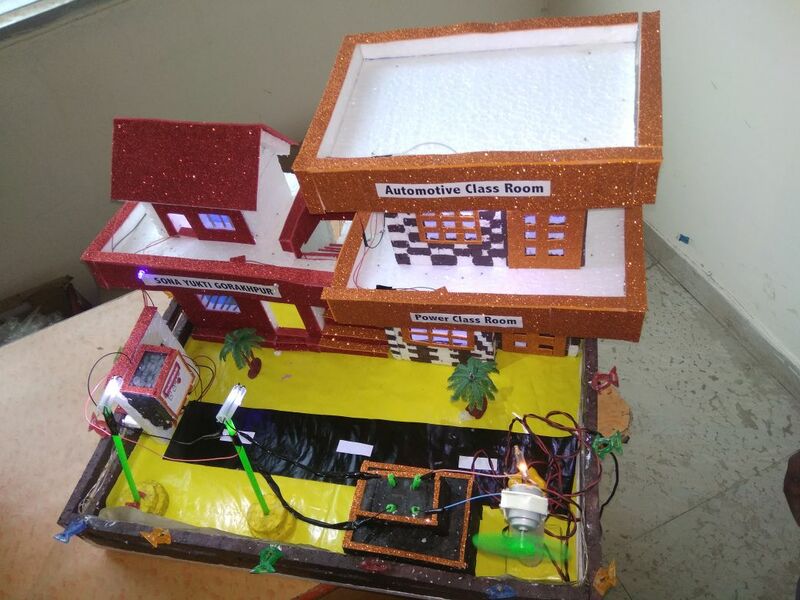 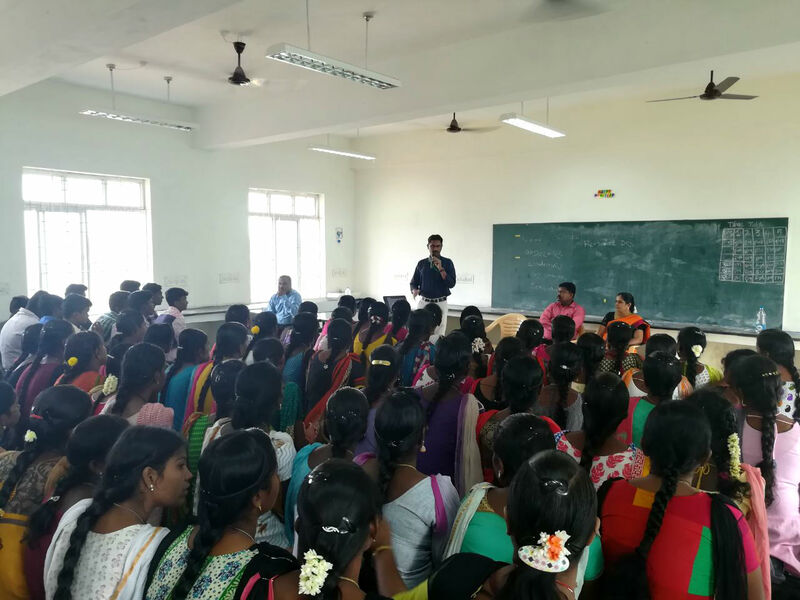 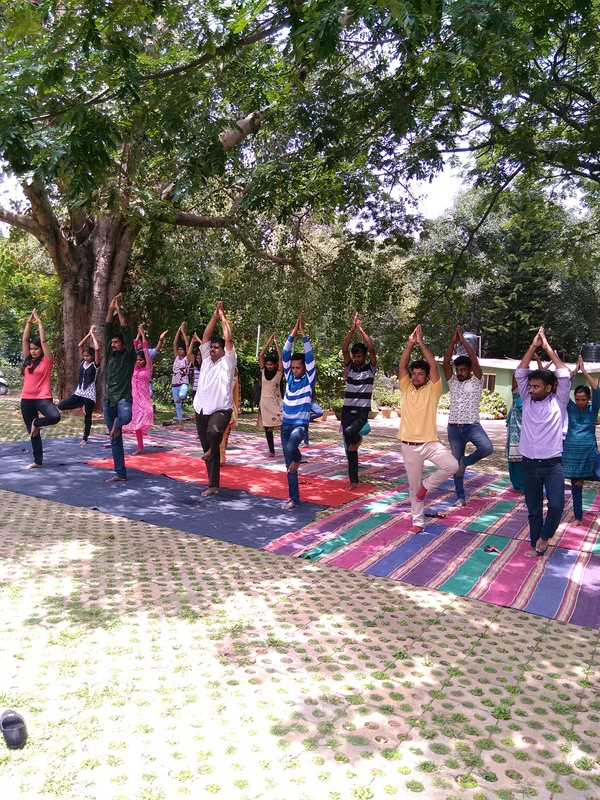 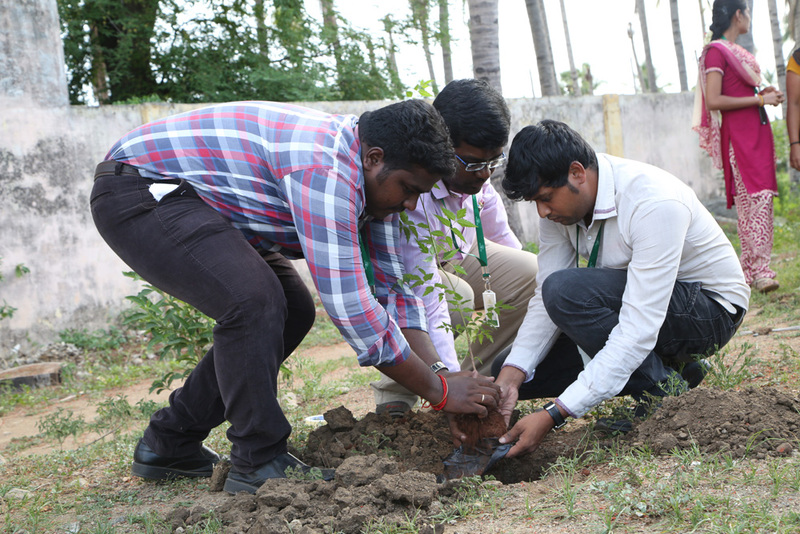 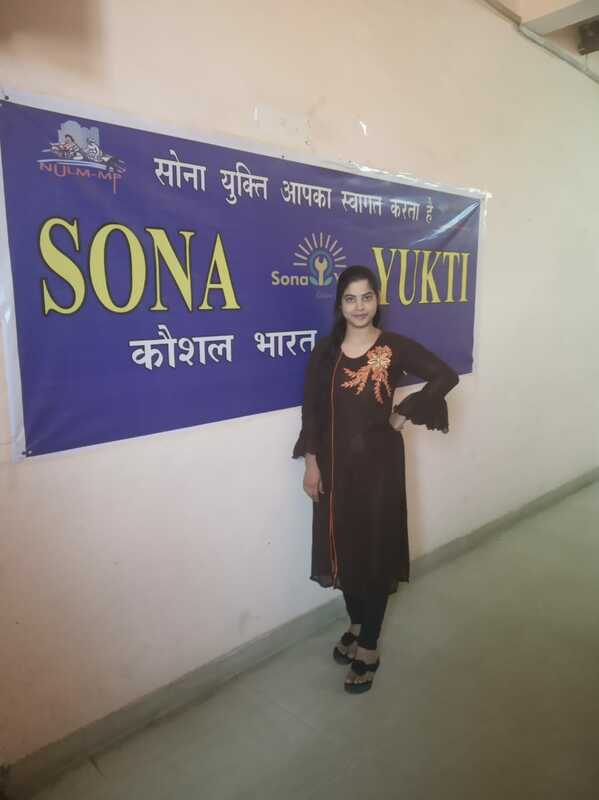 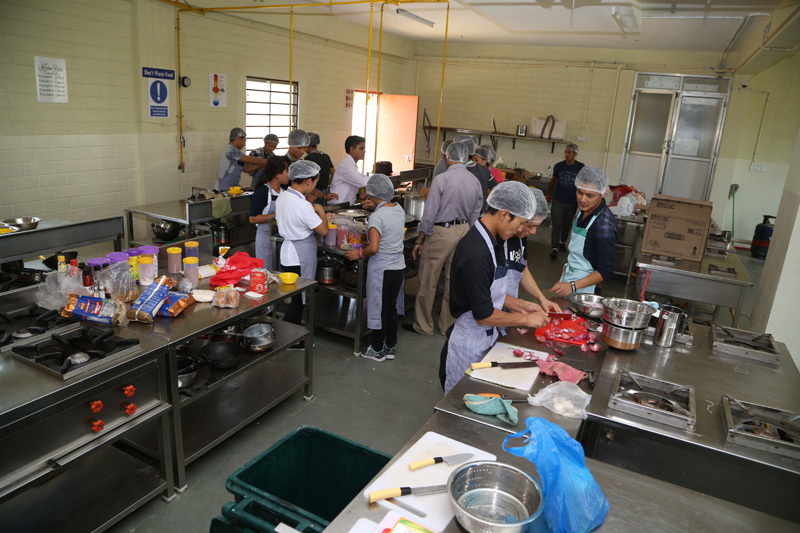 Sona Yukti’s NSDC training for the students of Kongunadu Arts & Science College, Tamil Nadu, was effective in opening up new vistas to the students. 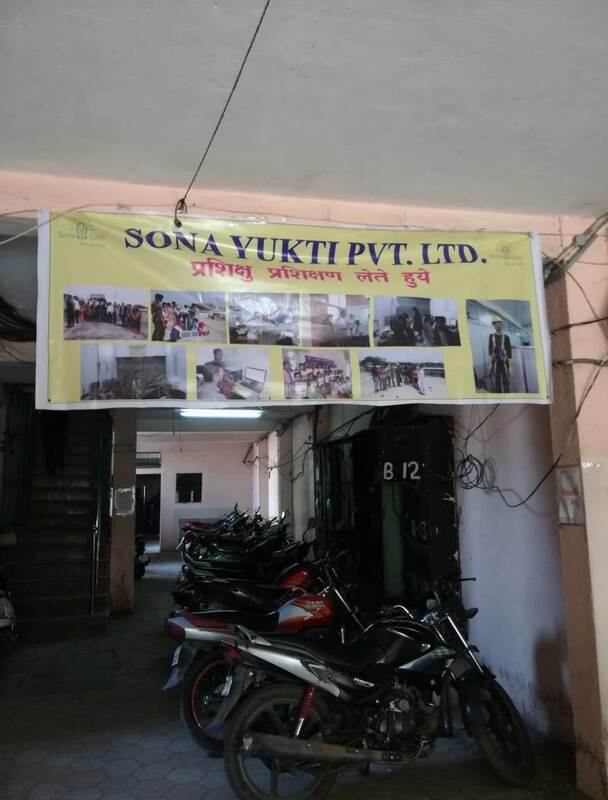 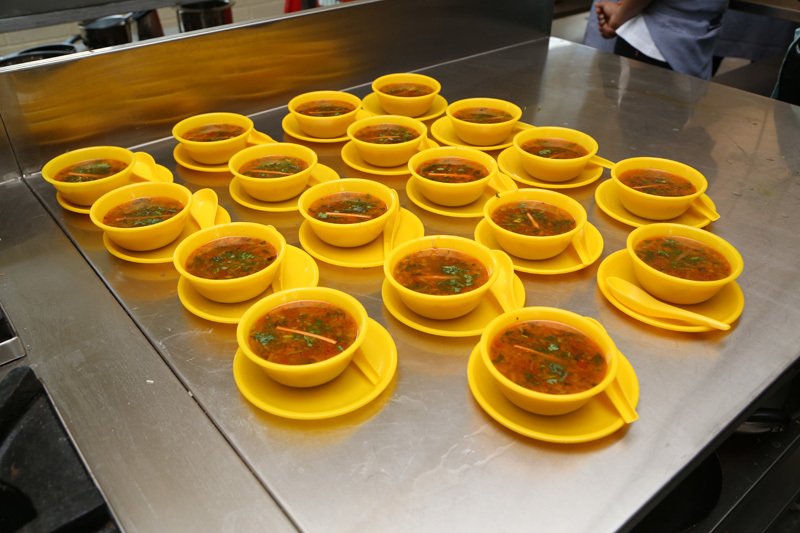 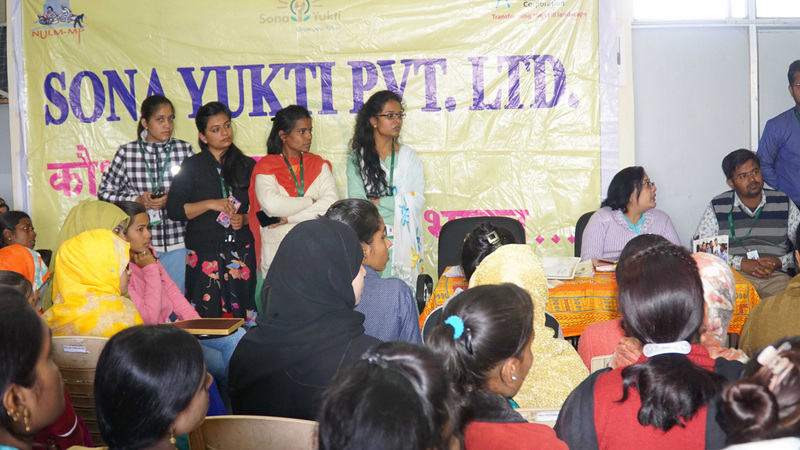 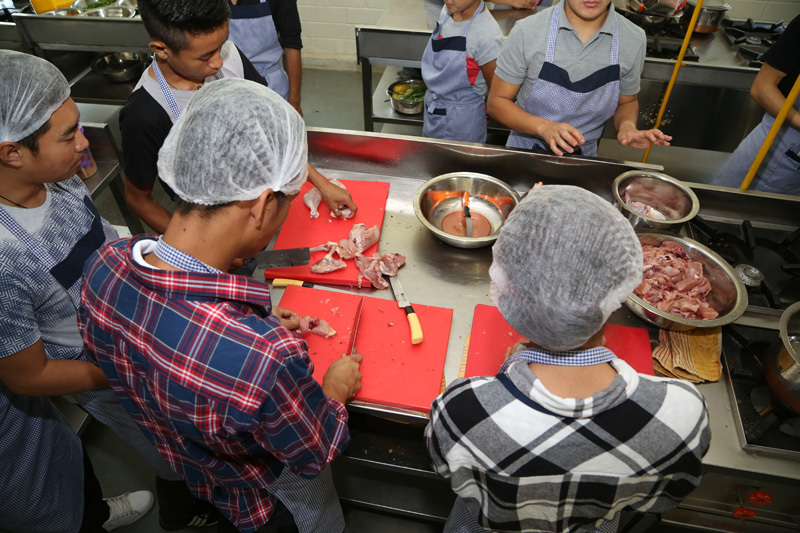 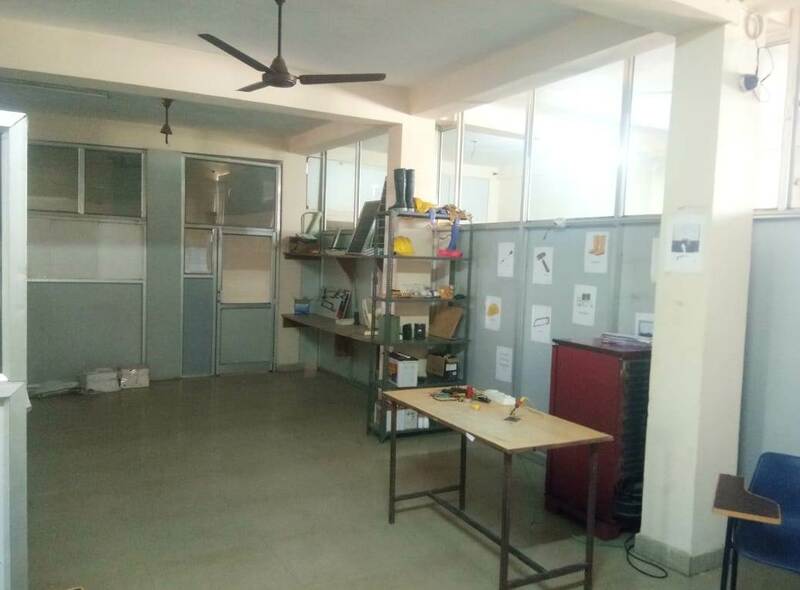 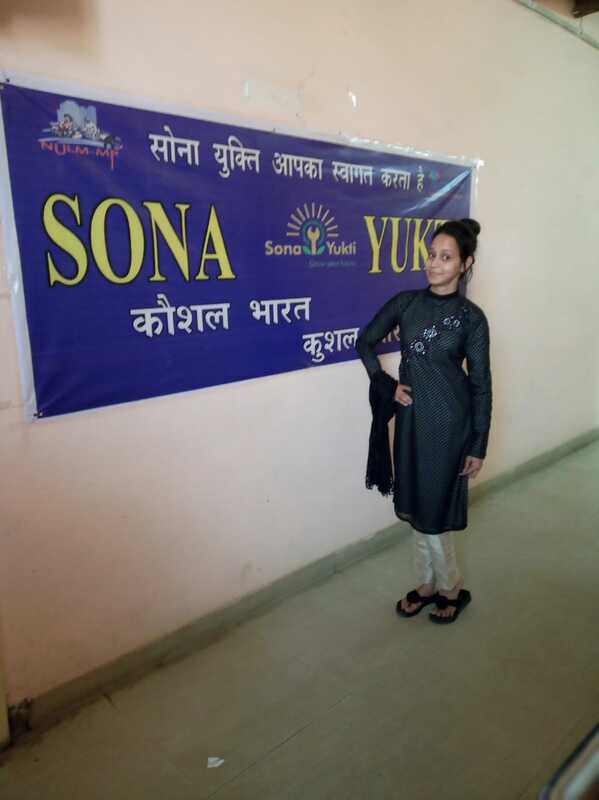 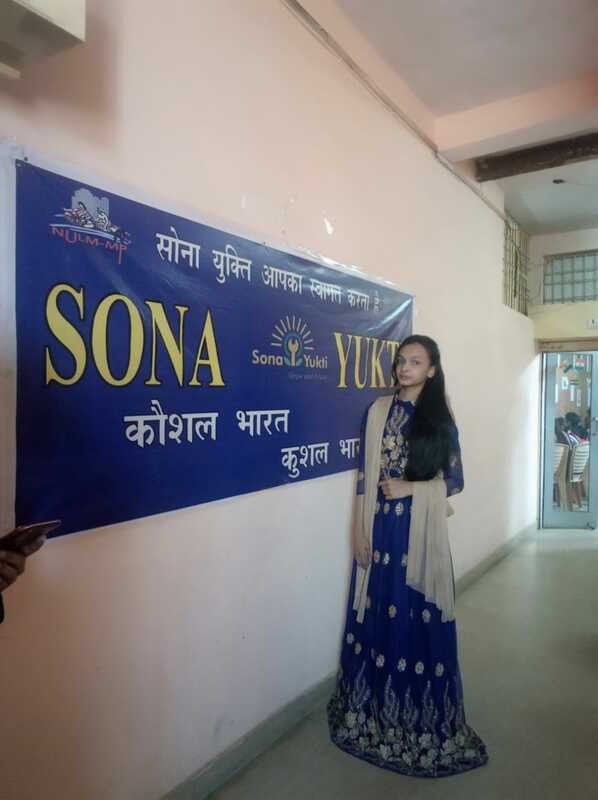 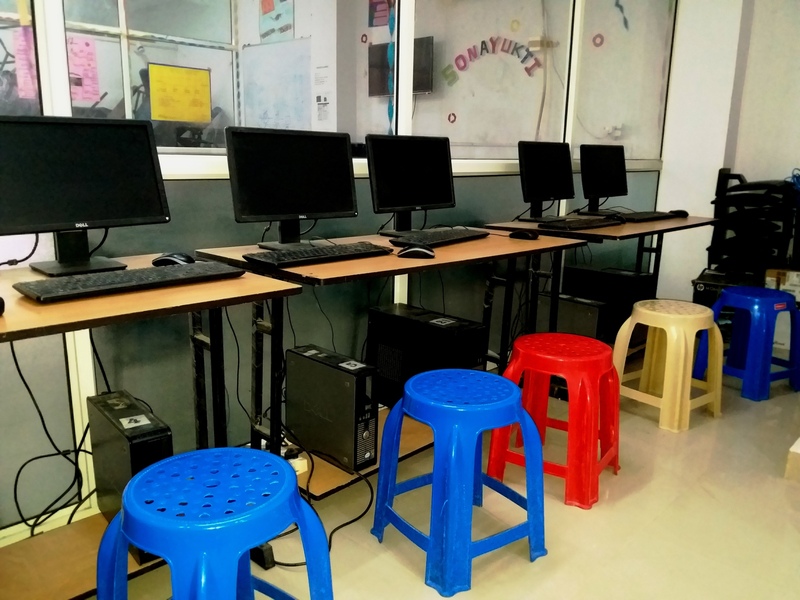 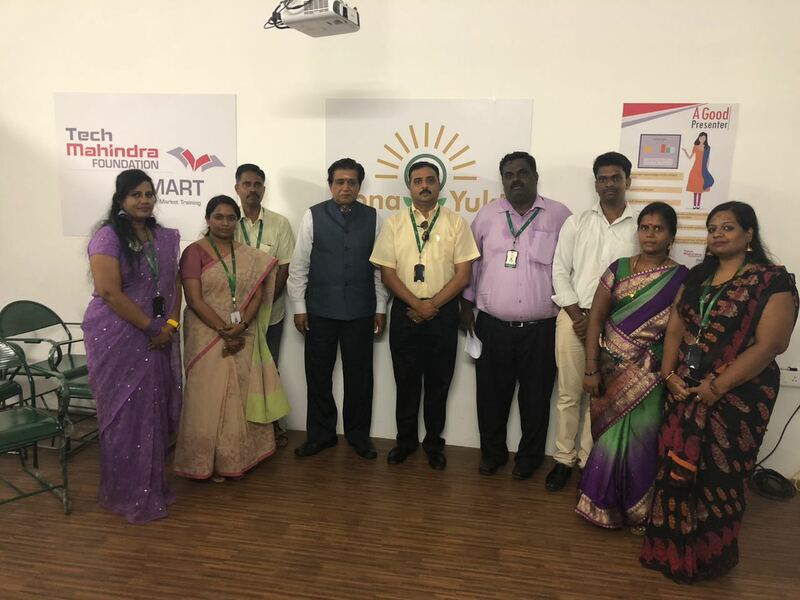 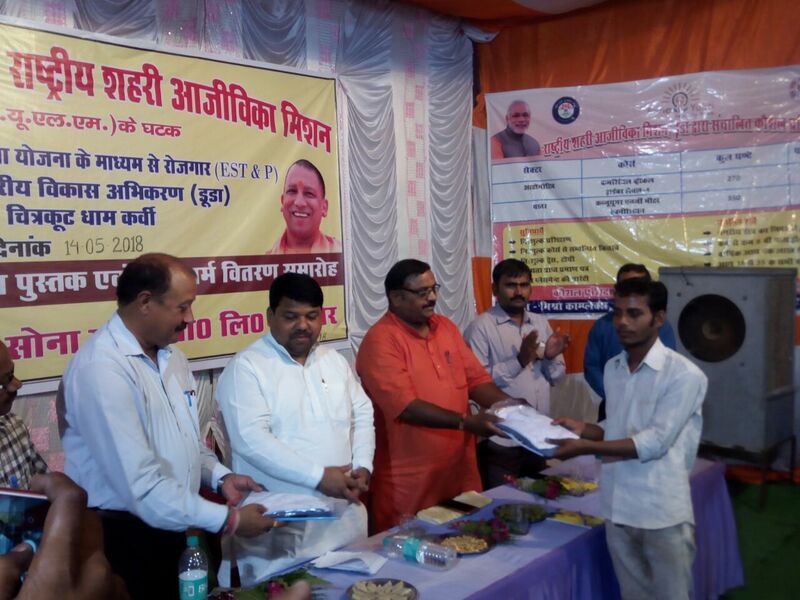 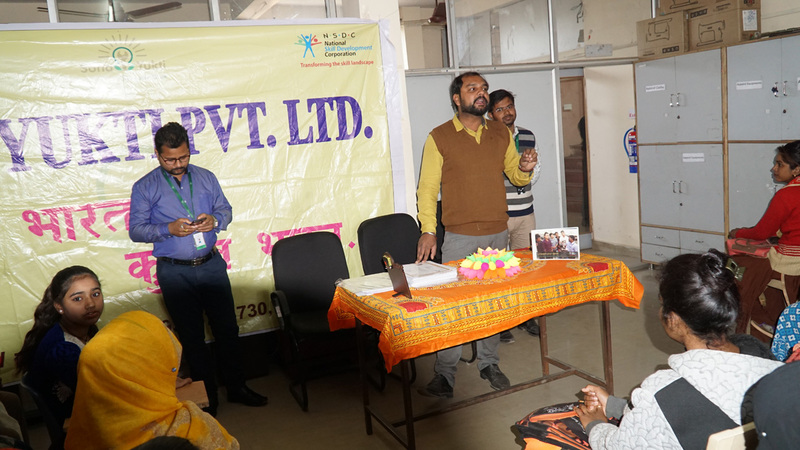 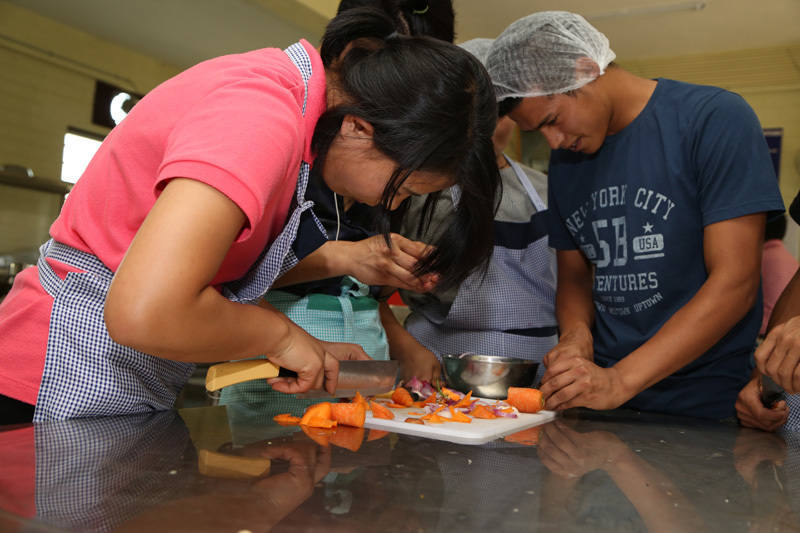 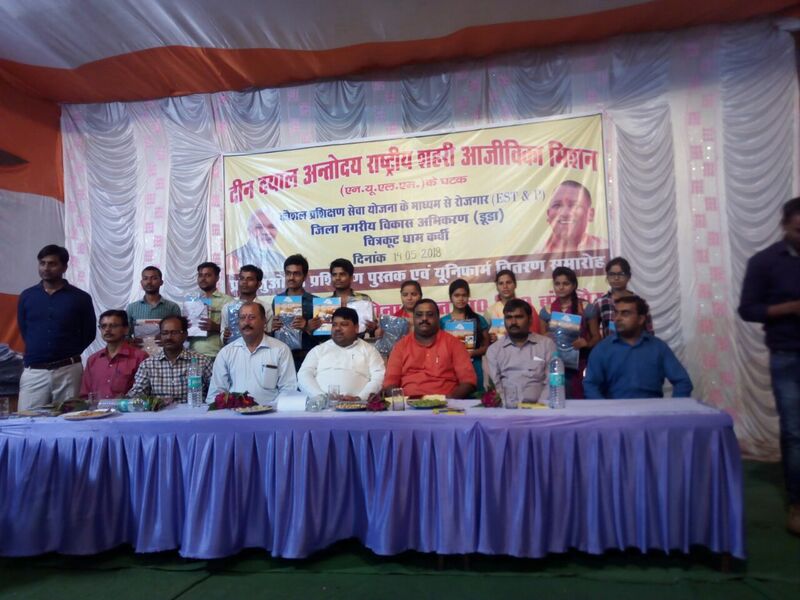 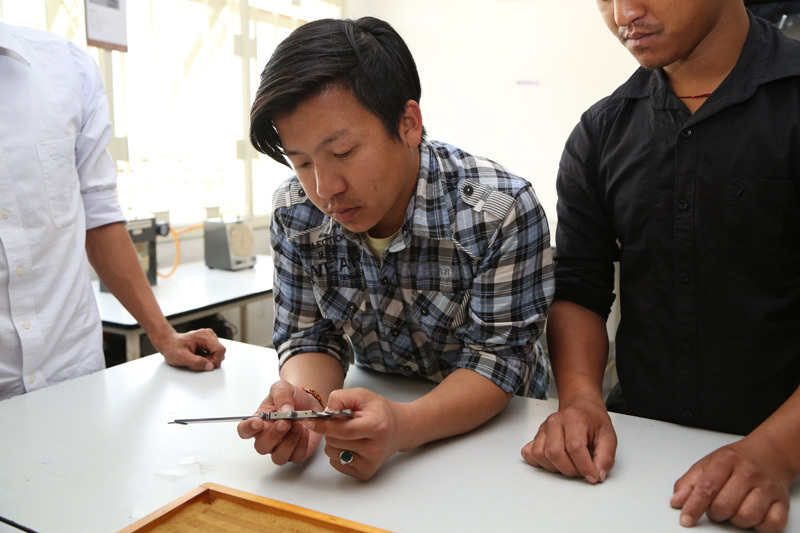 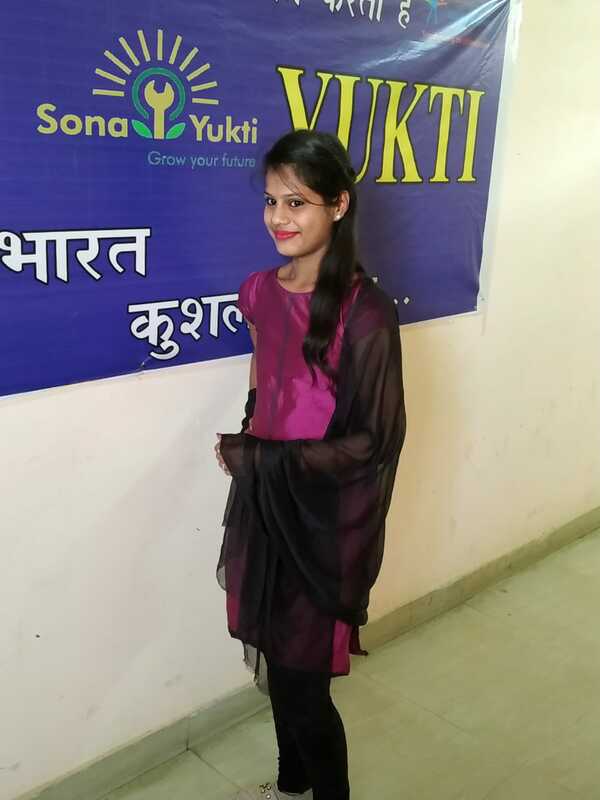 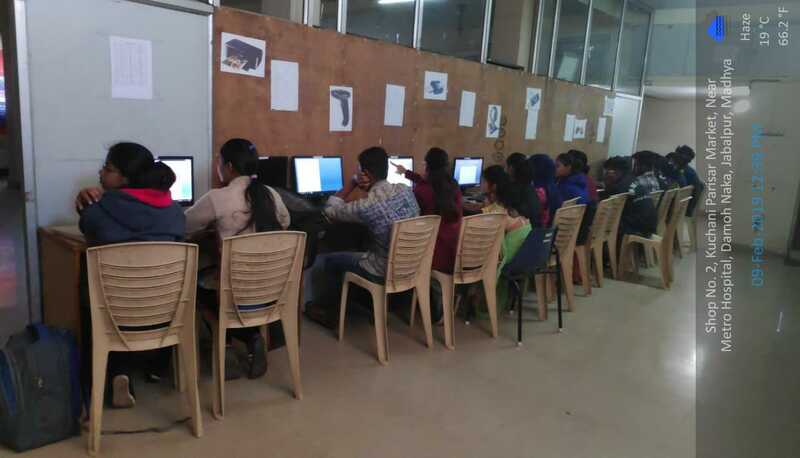 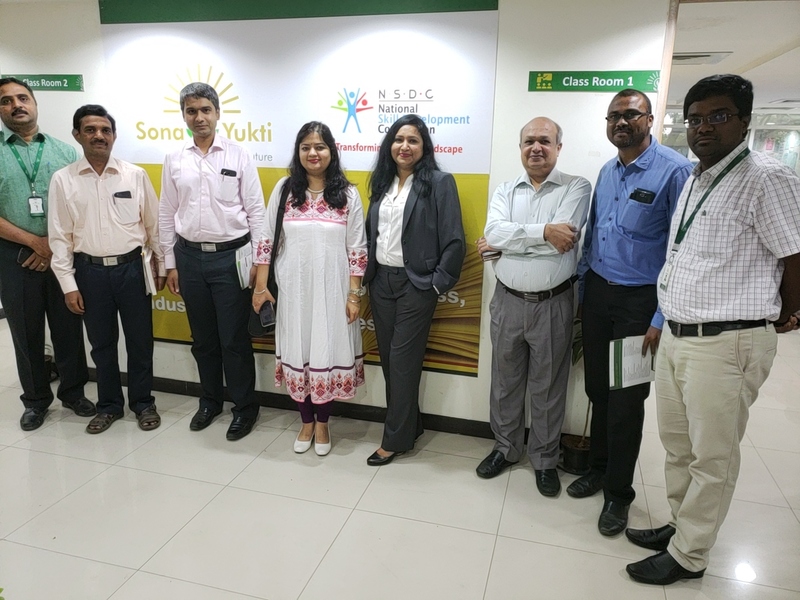 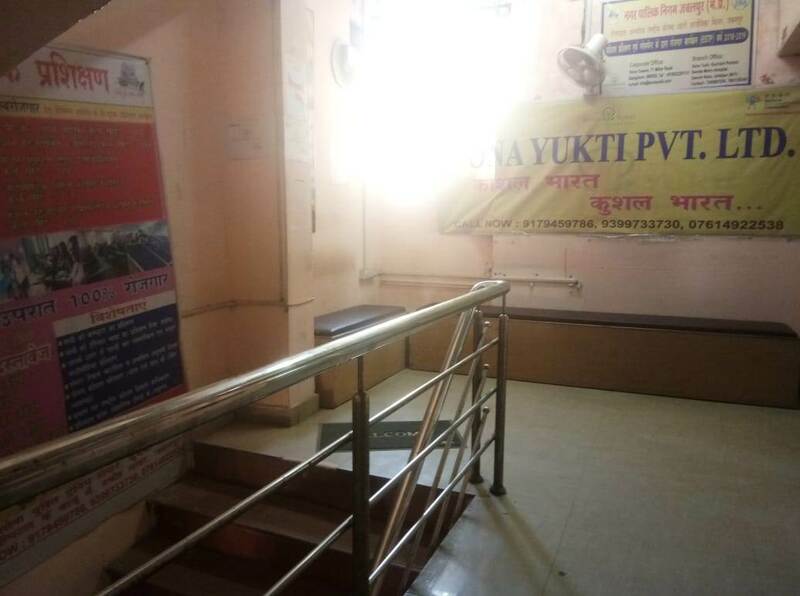 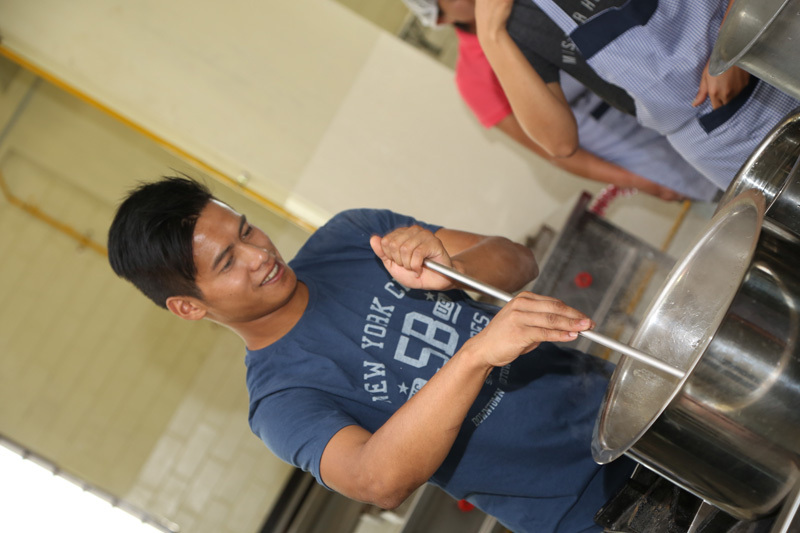 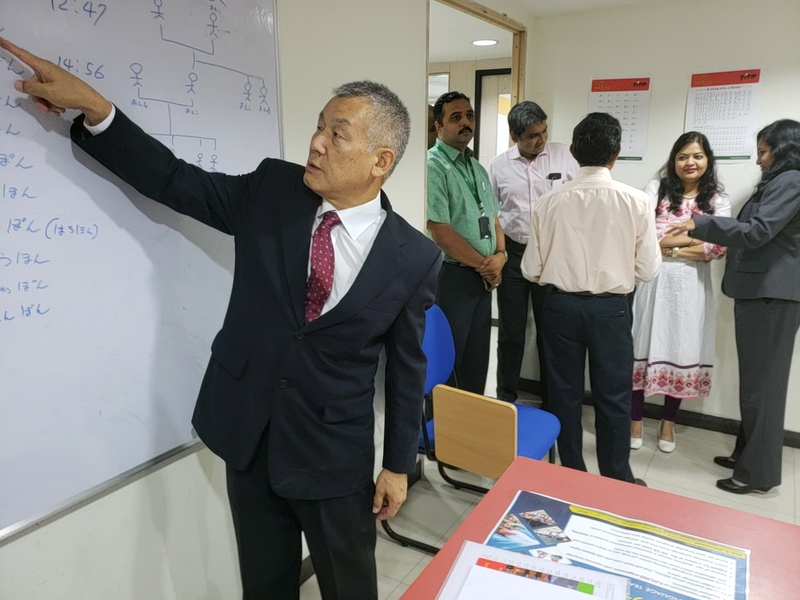 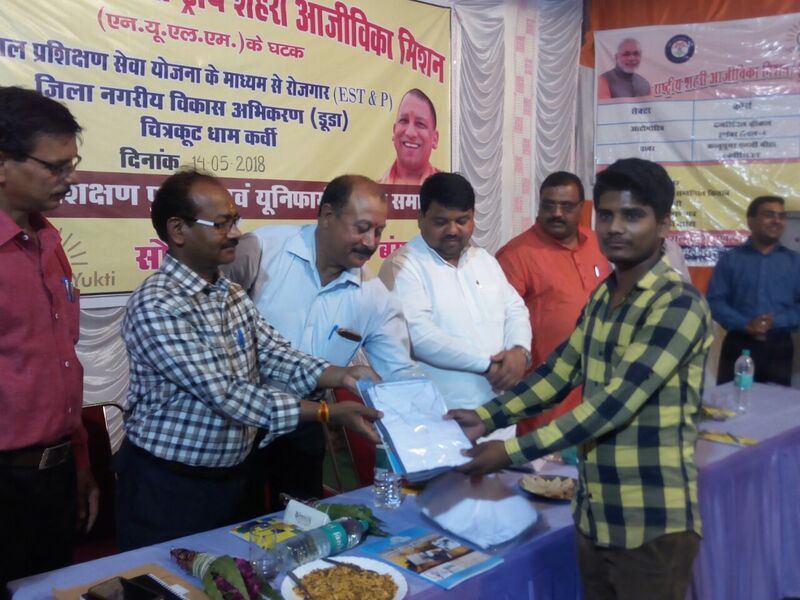 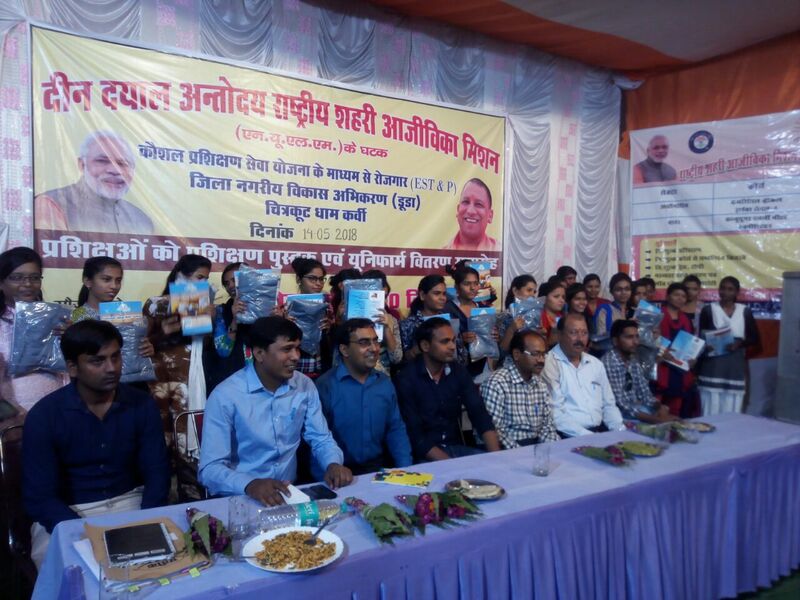 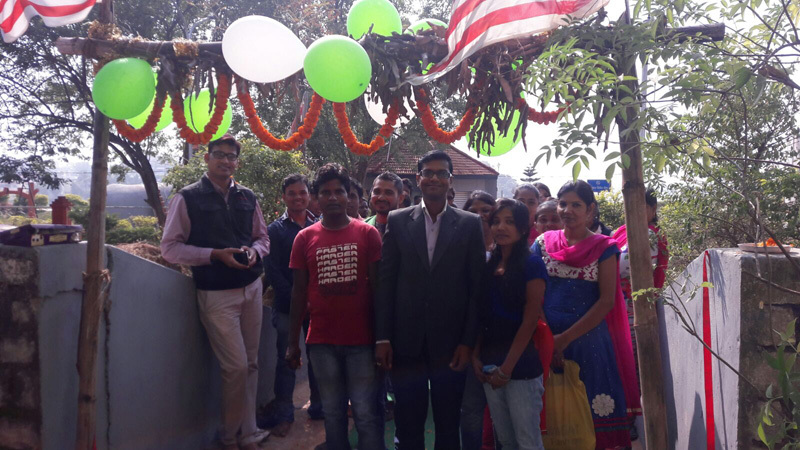 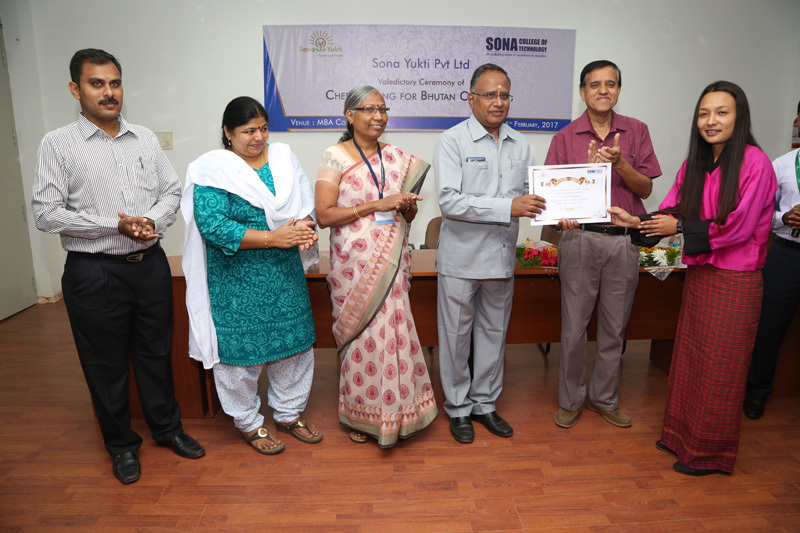 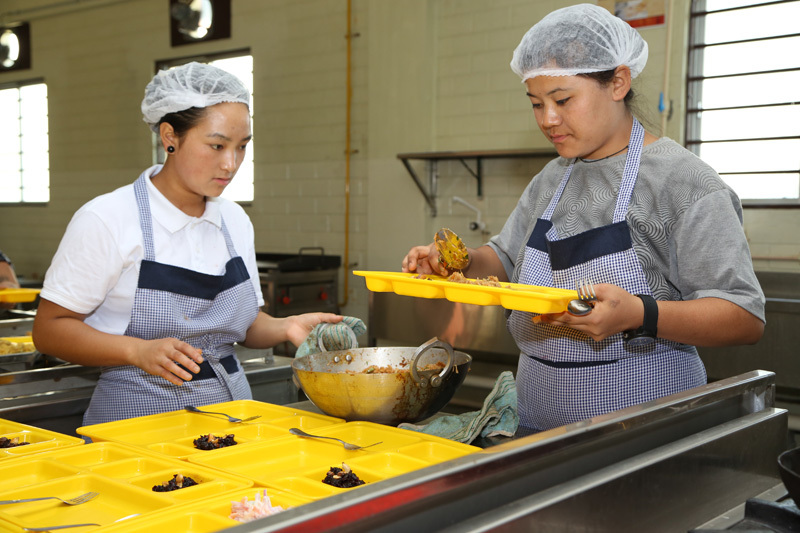 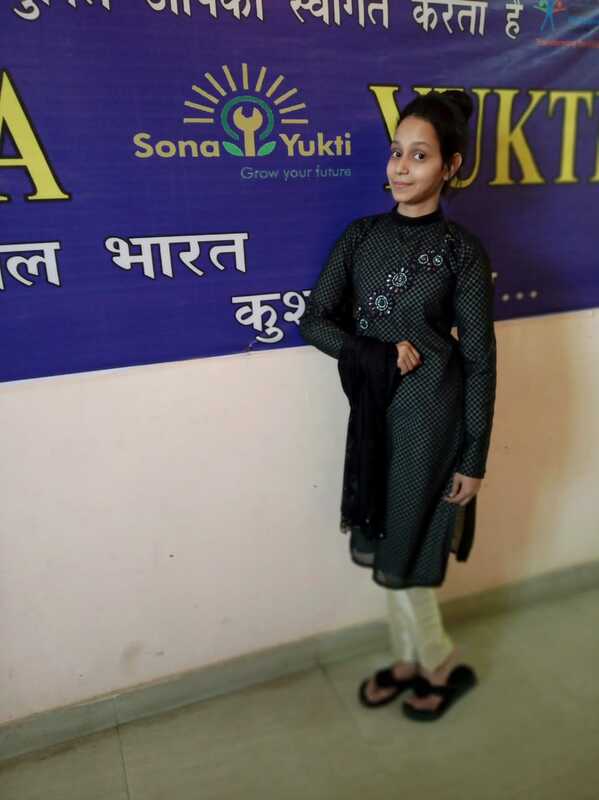 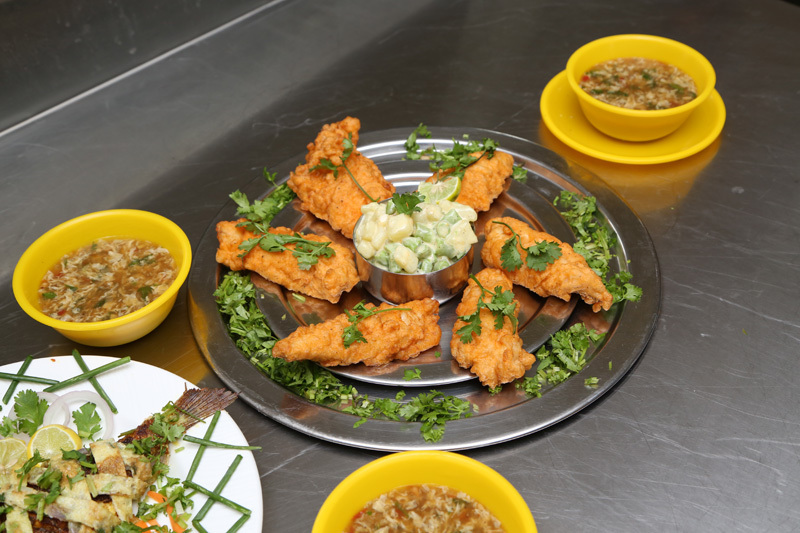 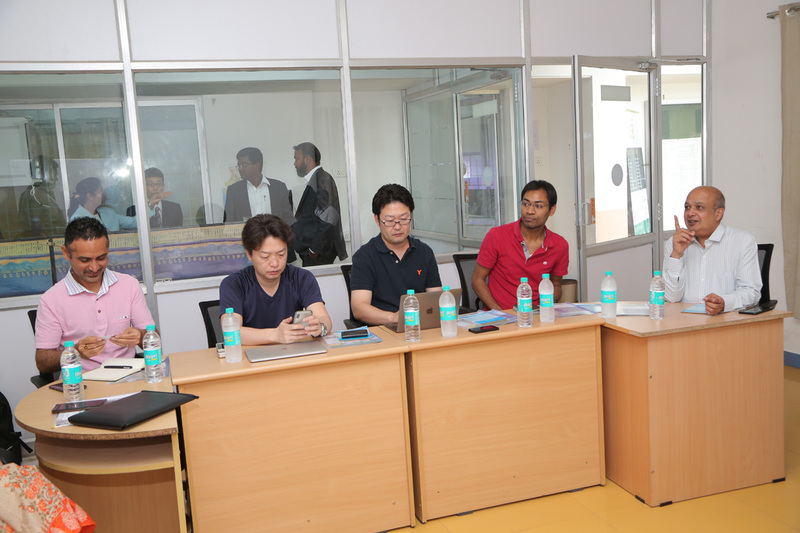 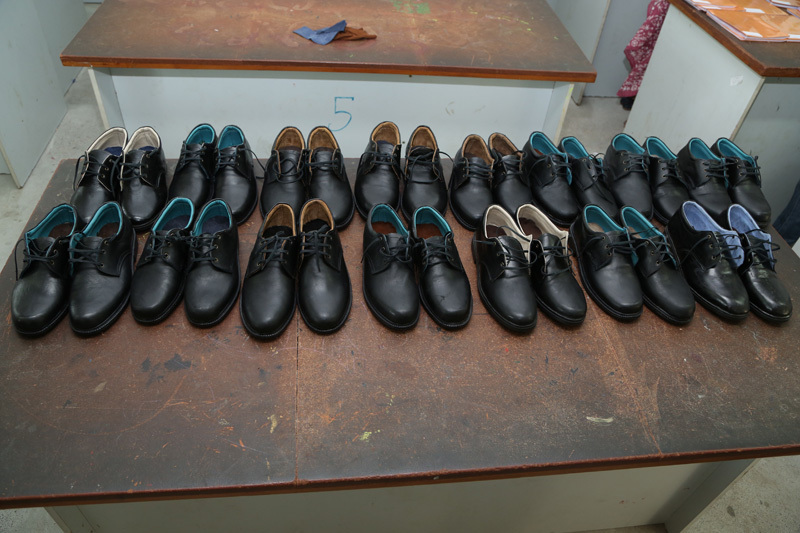 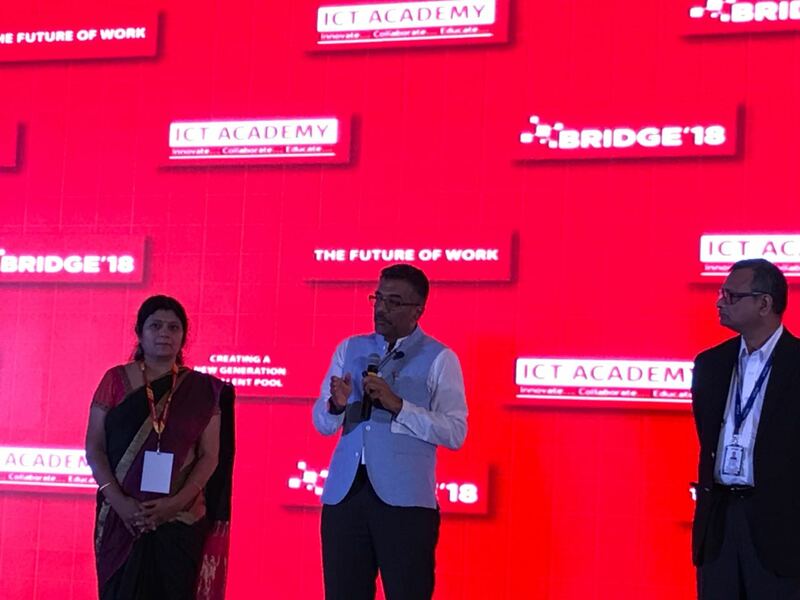 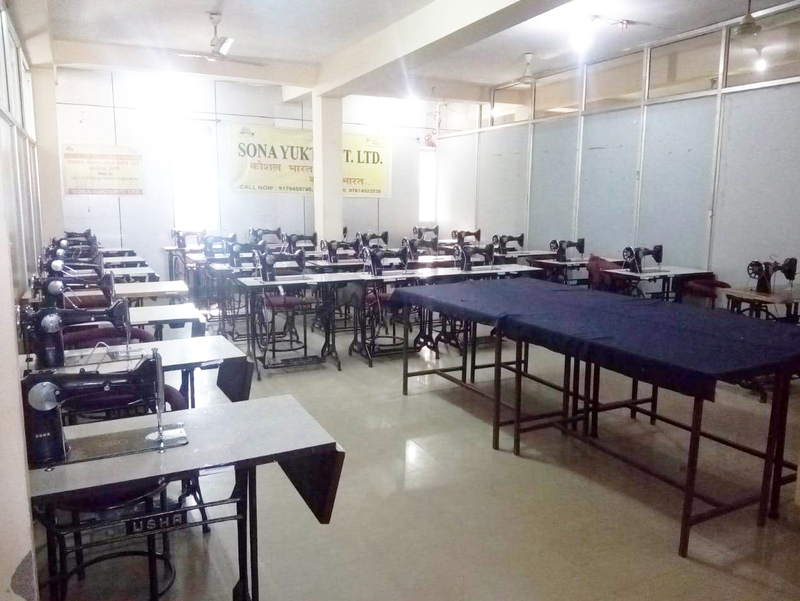 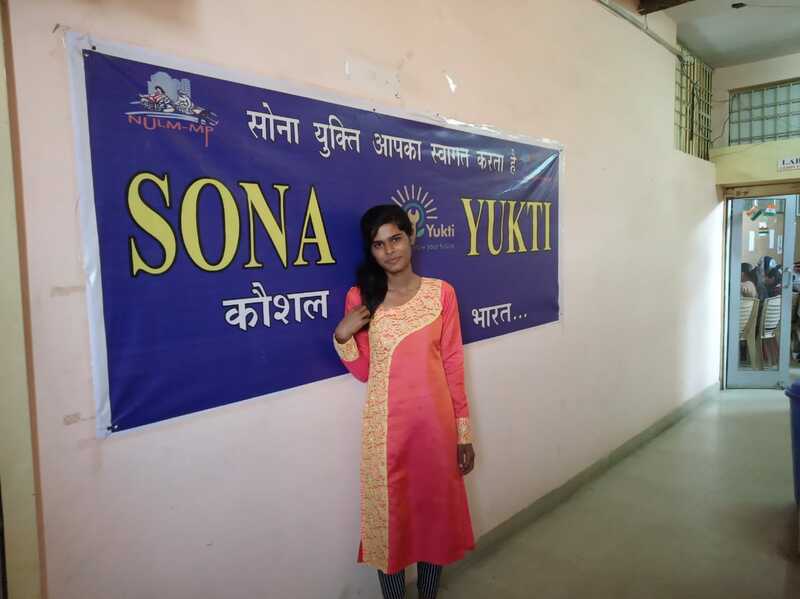 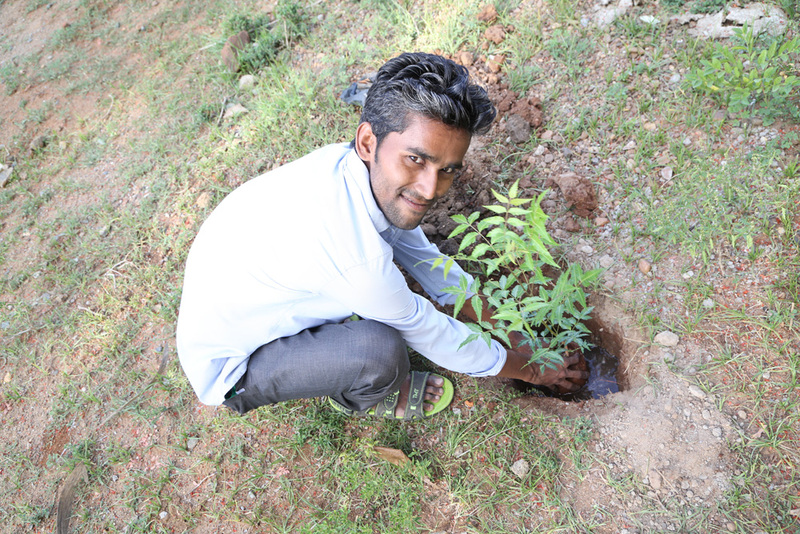 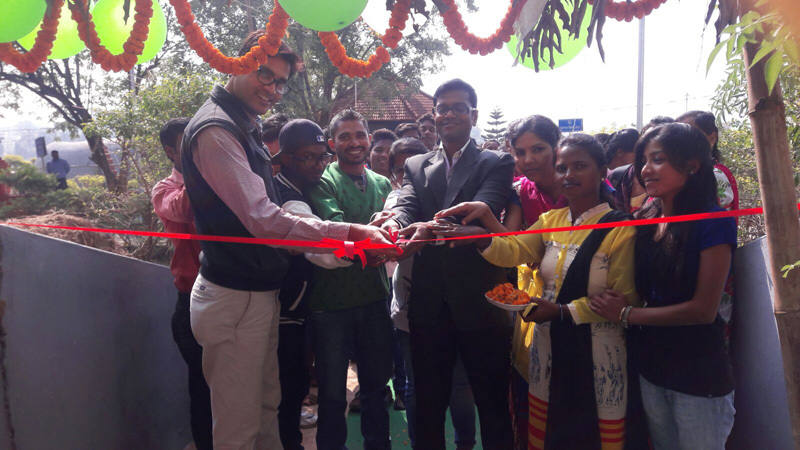 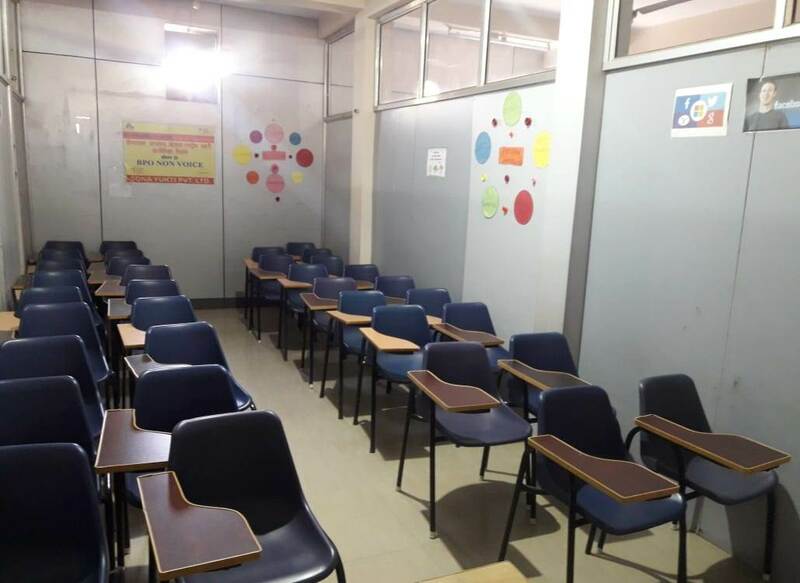 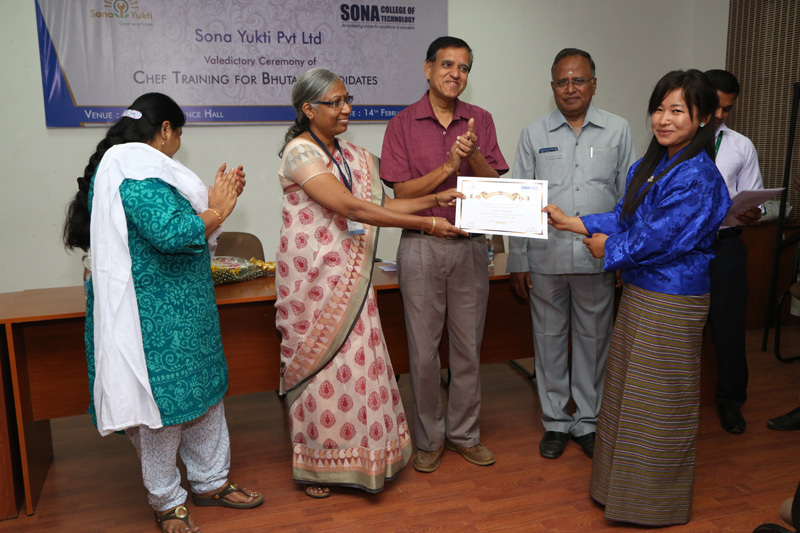 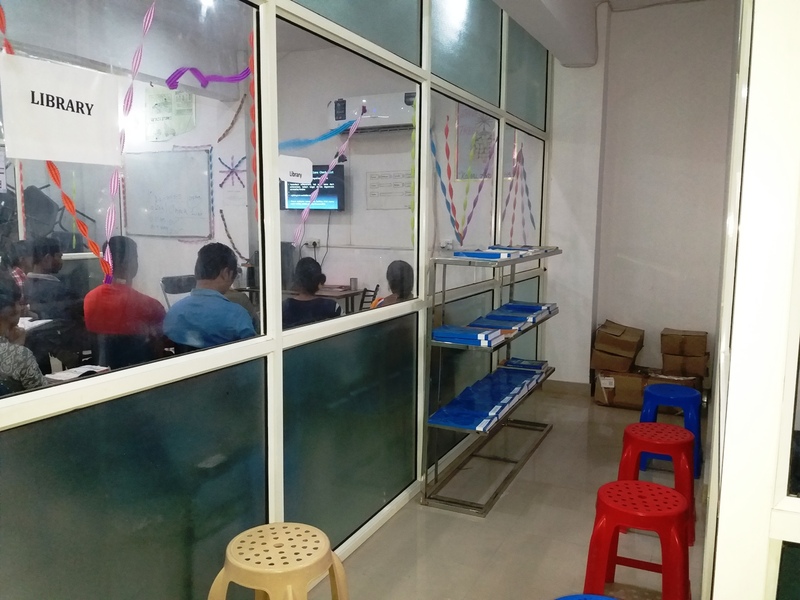 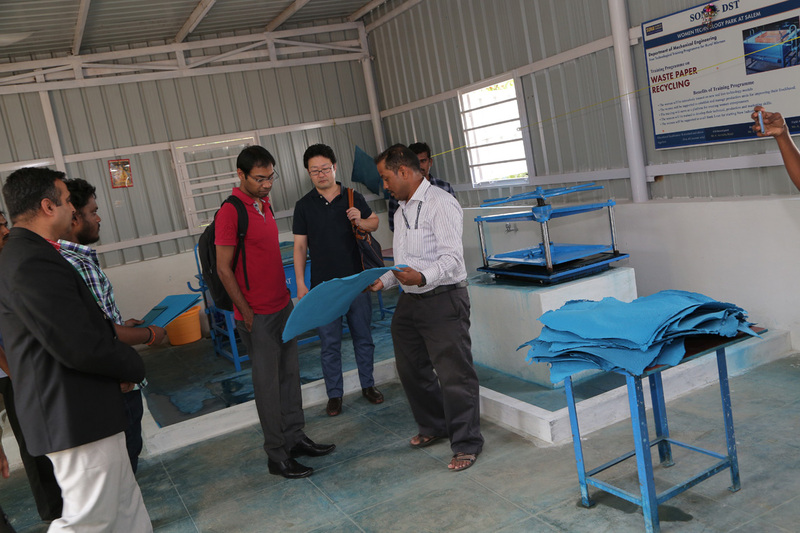 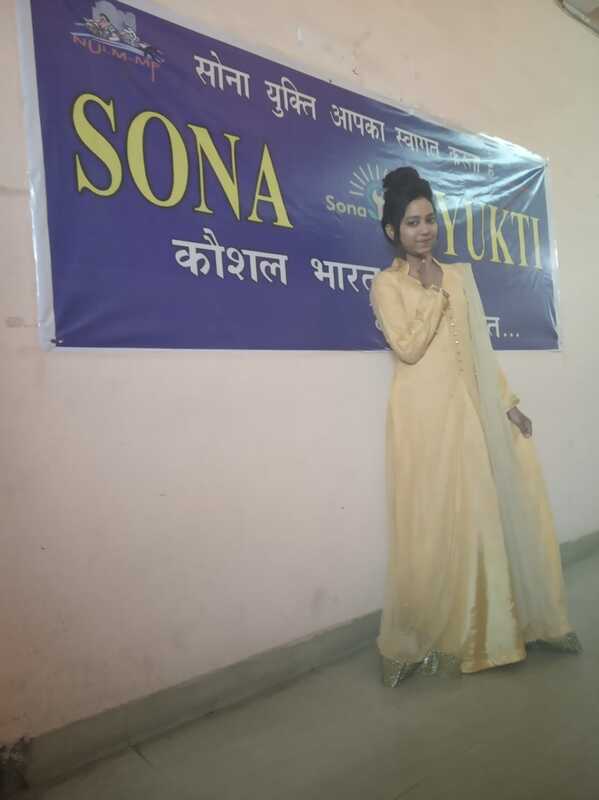 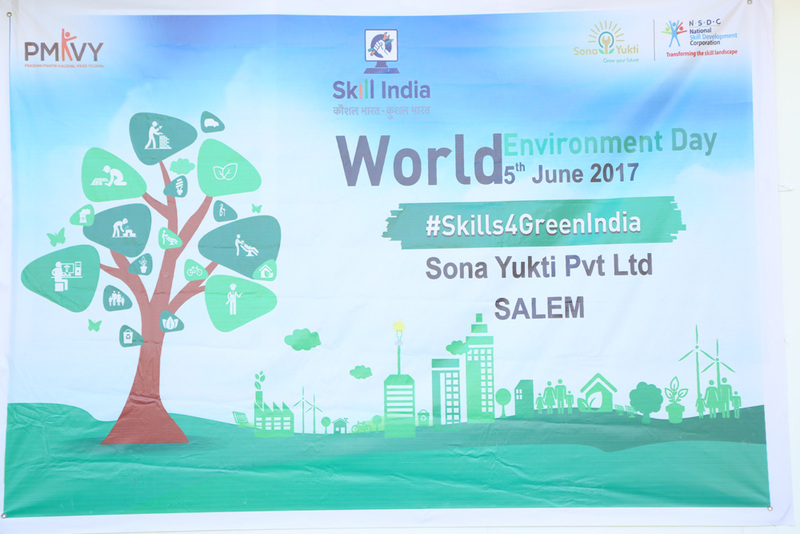 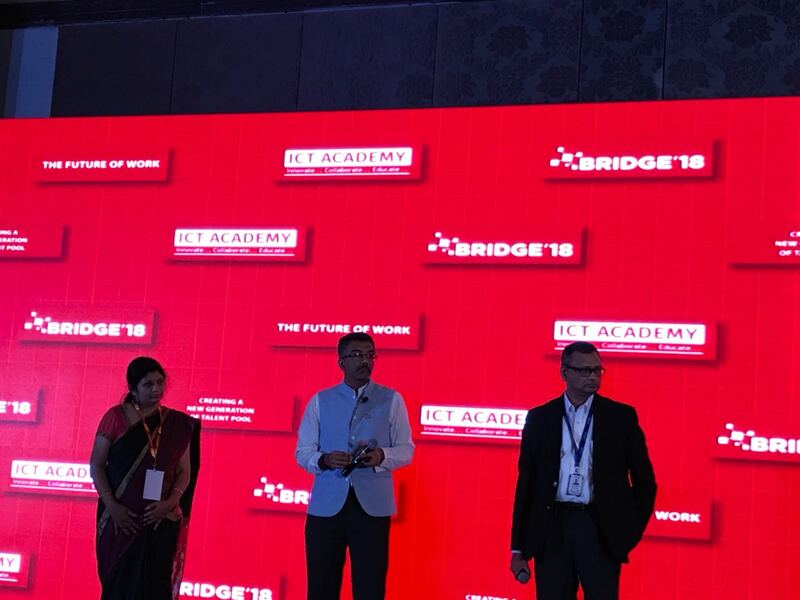 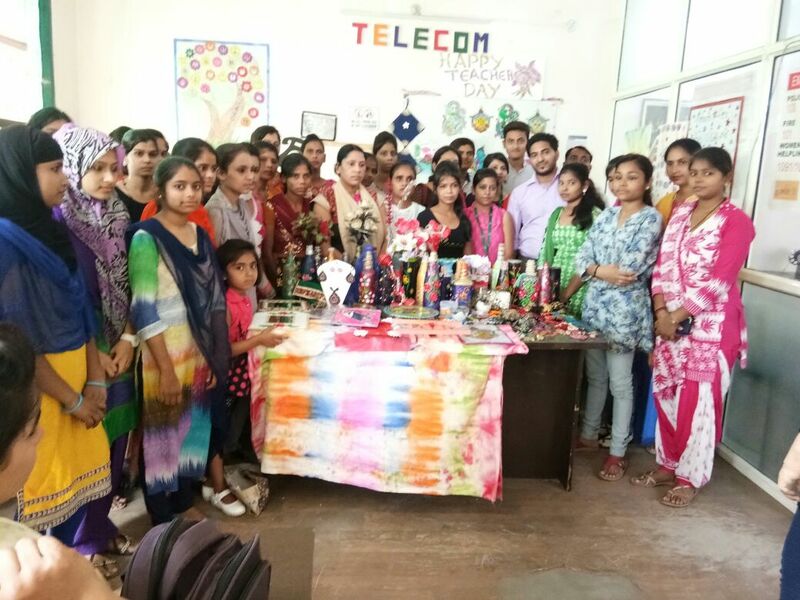 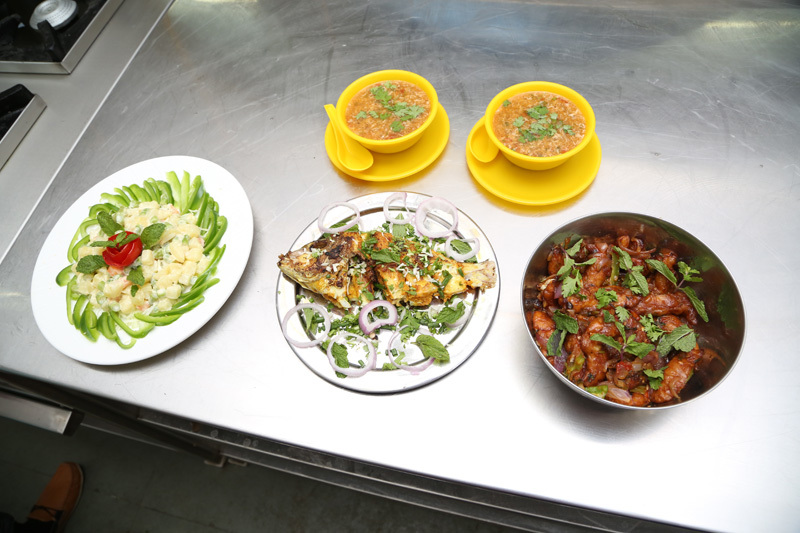 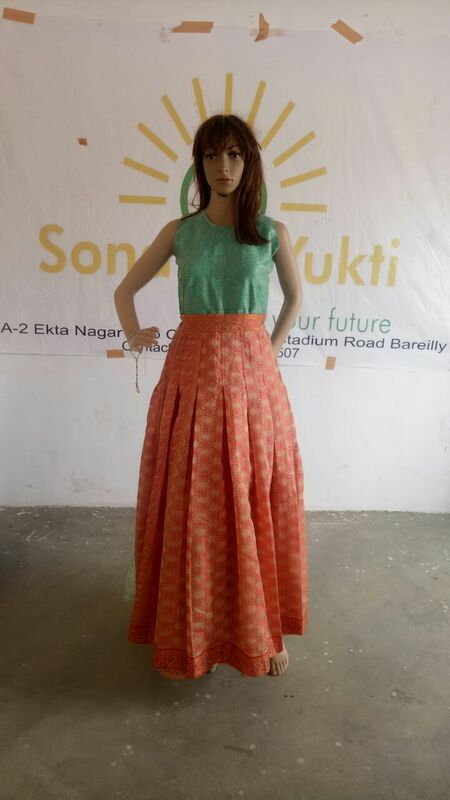 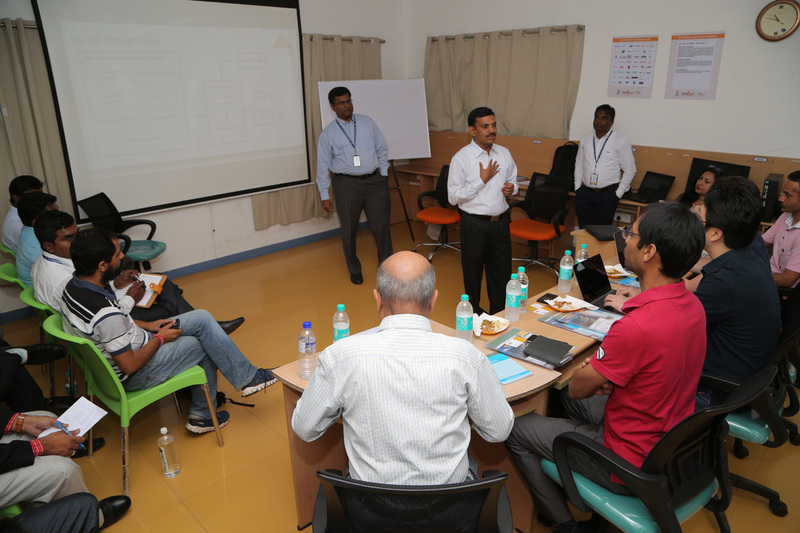 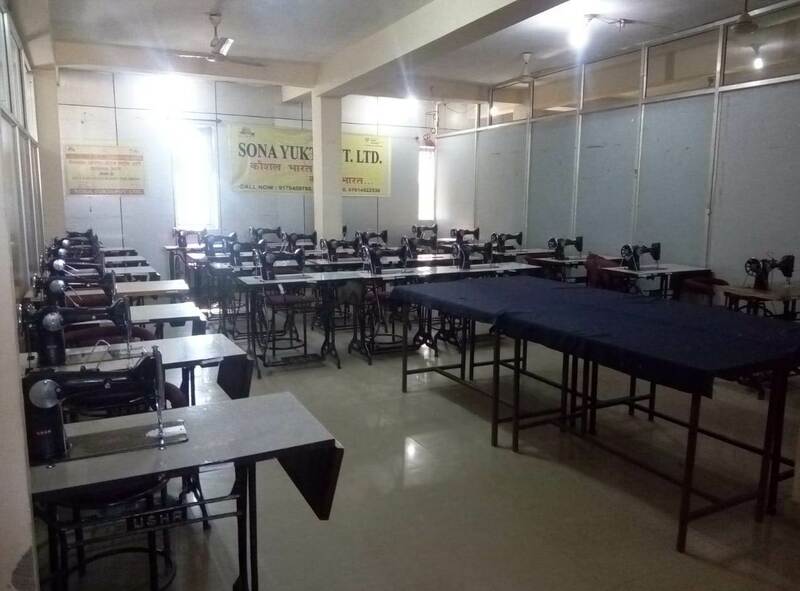 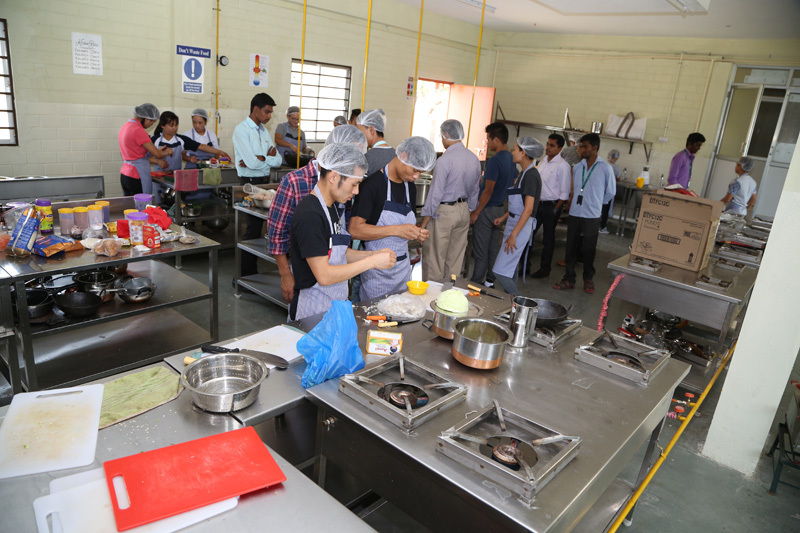 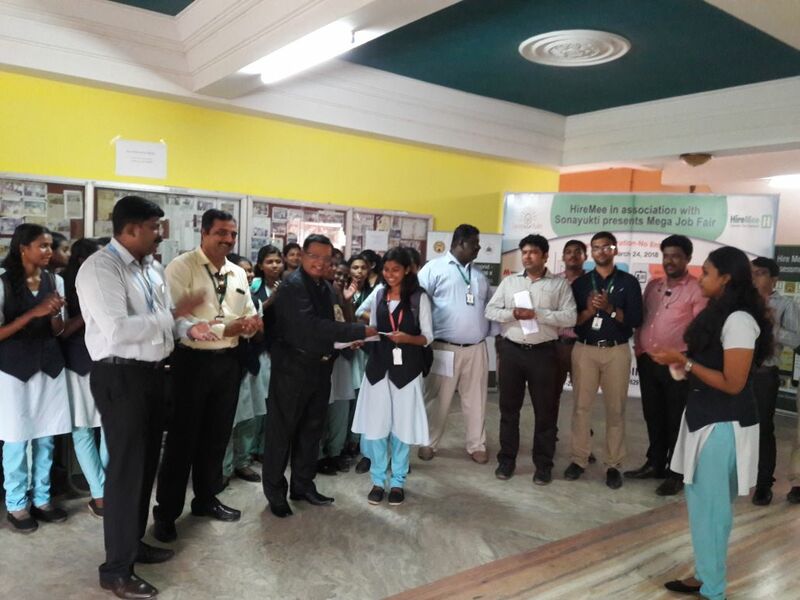 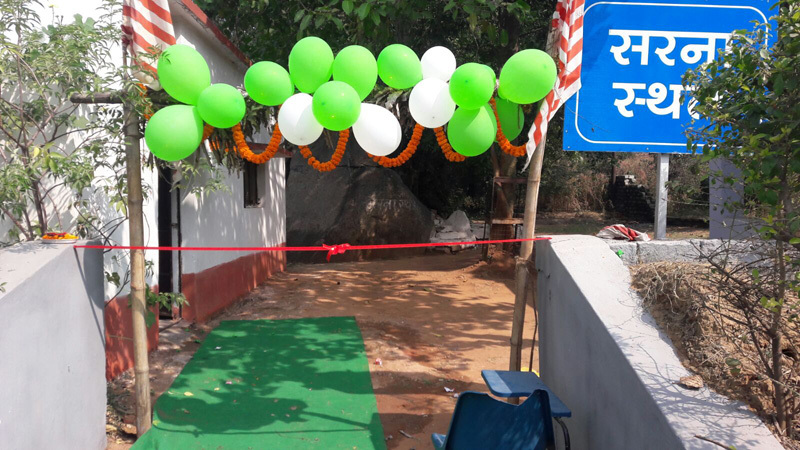 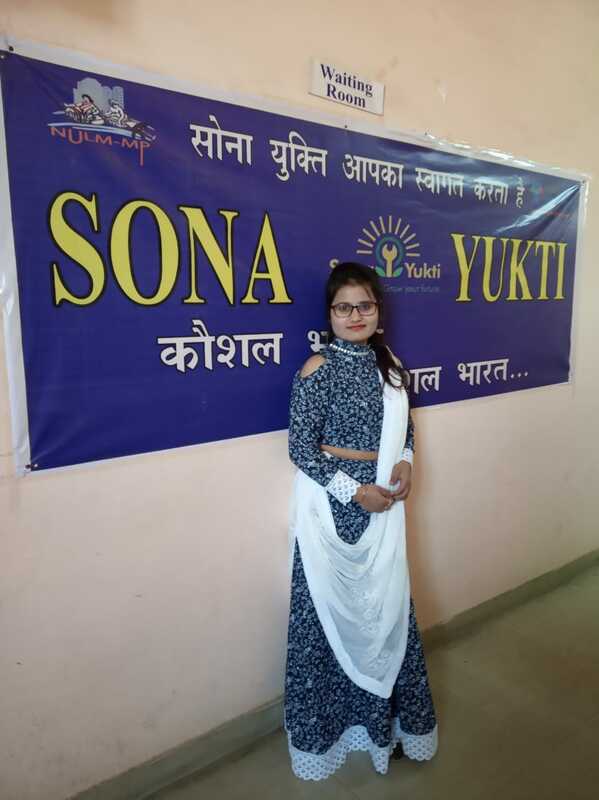 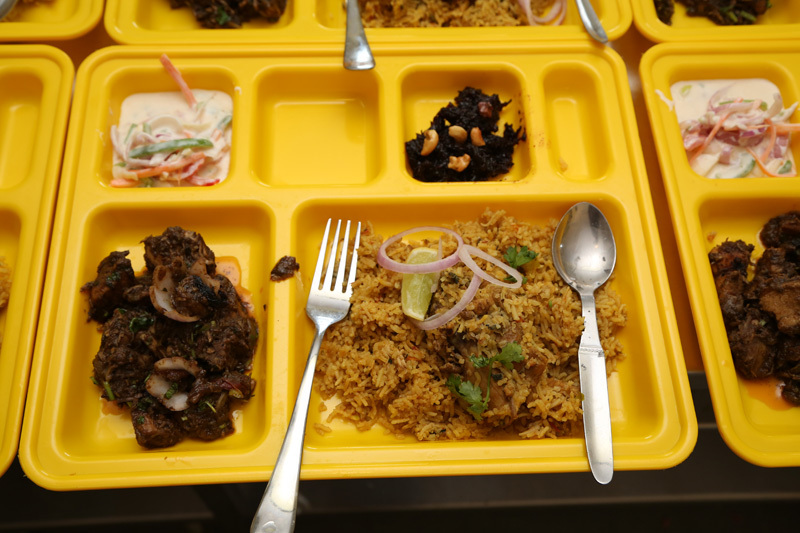 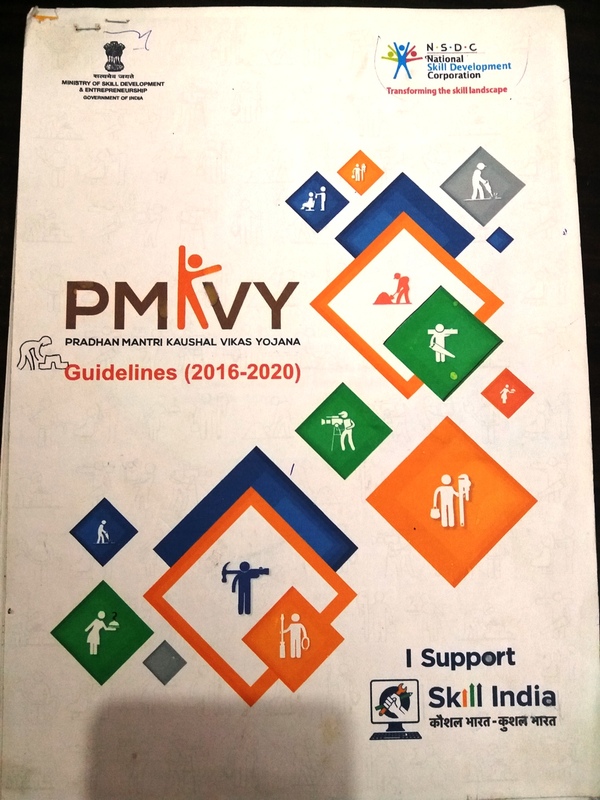 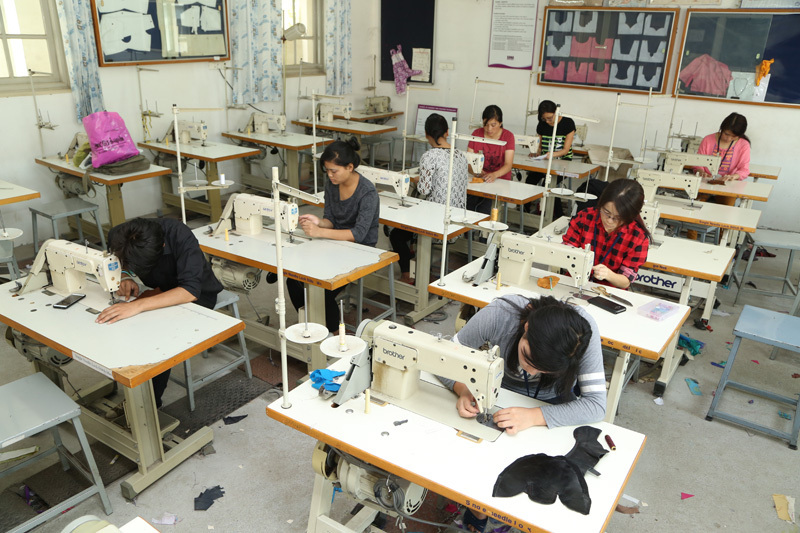 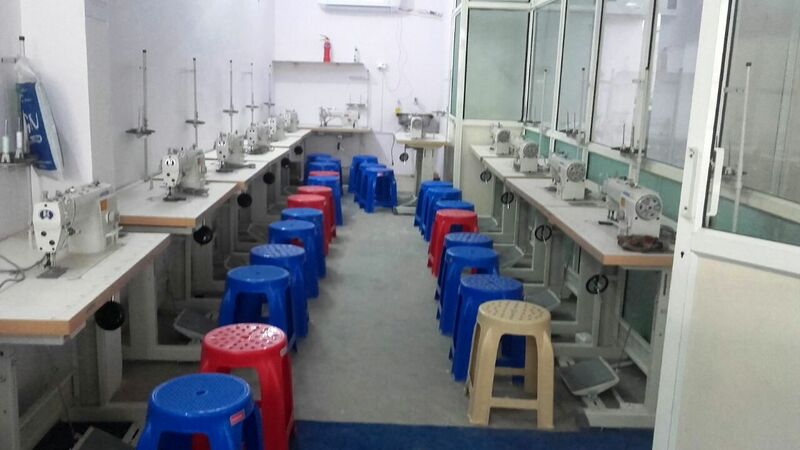 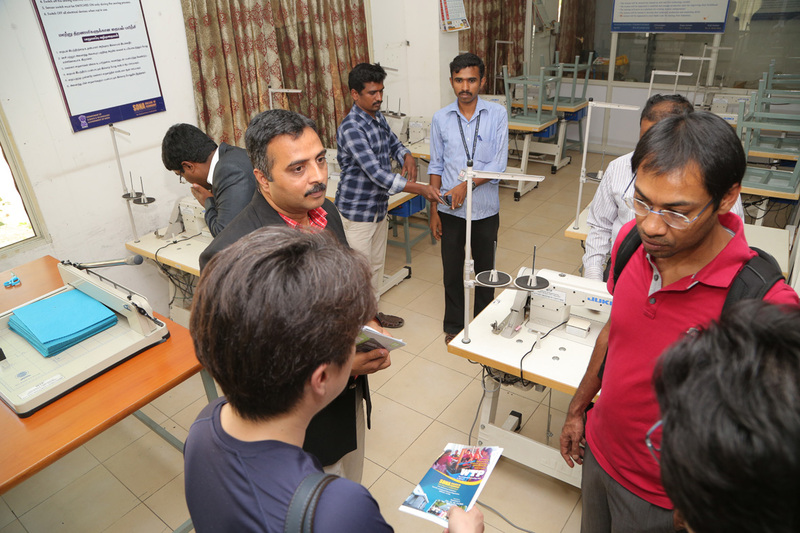 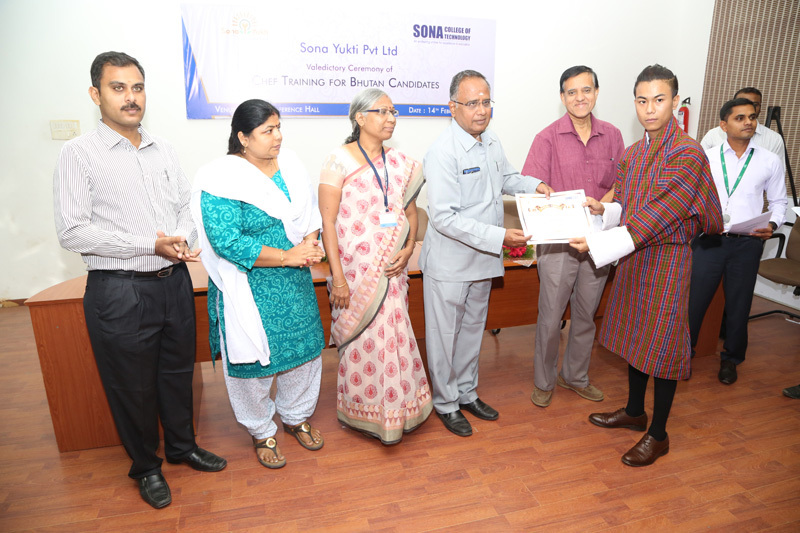 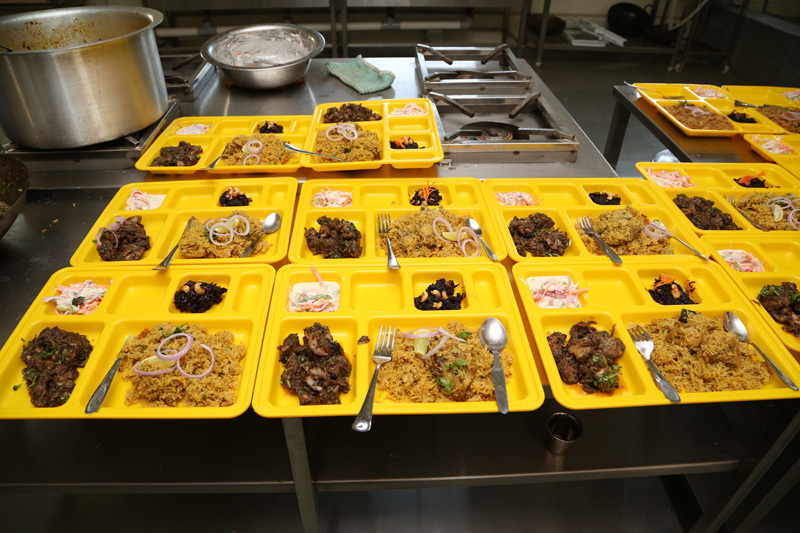 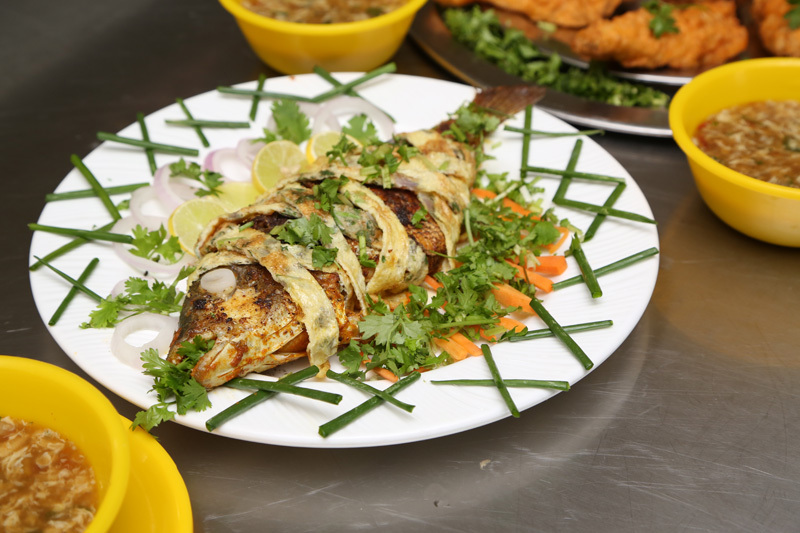 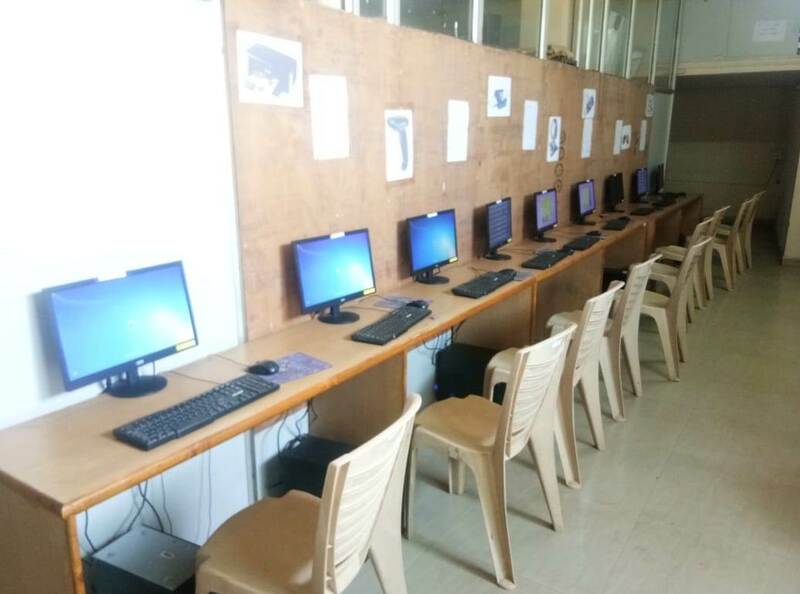 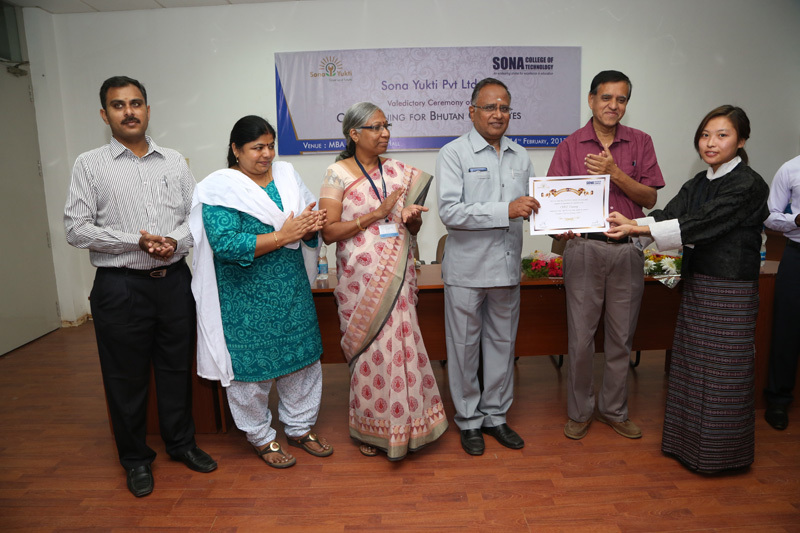 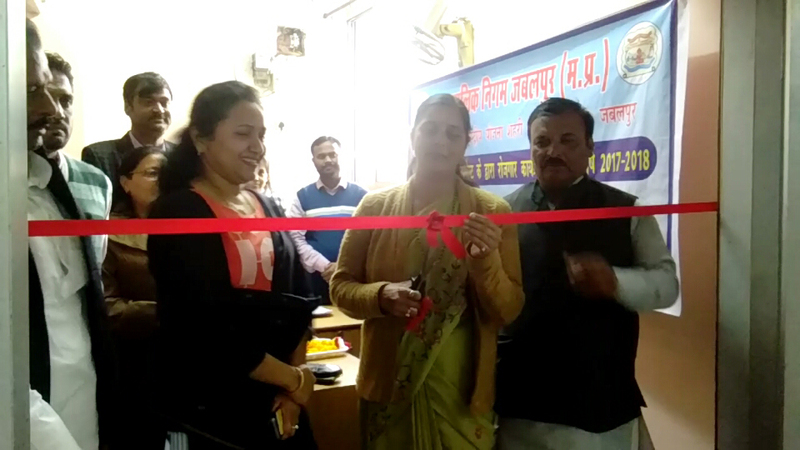 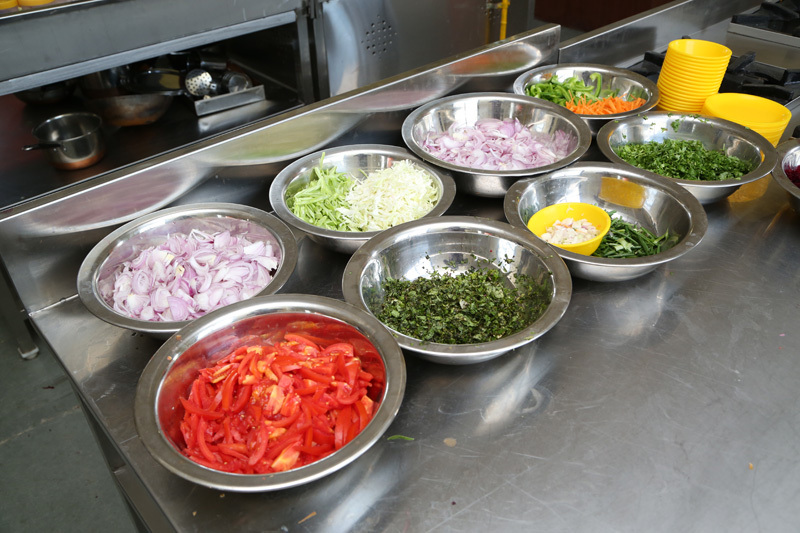 Sona Yukti’s Jabalpur, Madhya Pradesh, center opens to provide greater opportunities to youth through skill training. 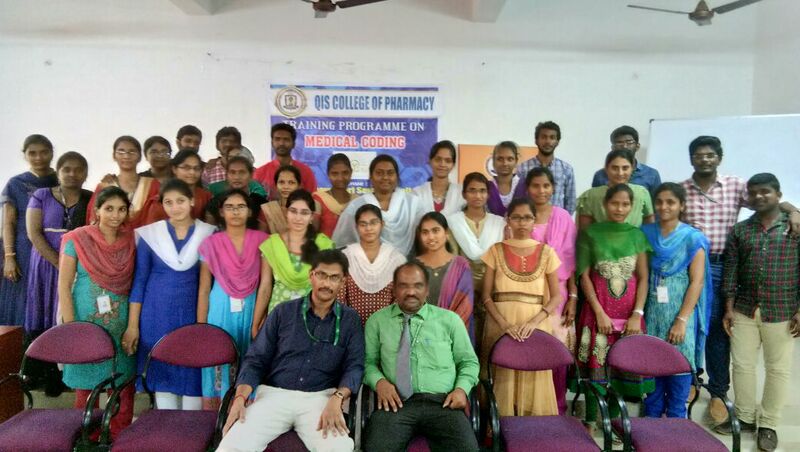 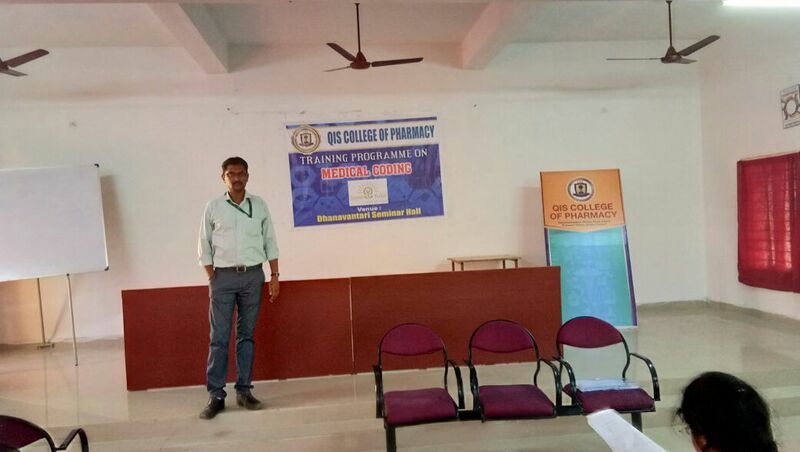 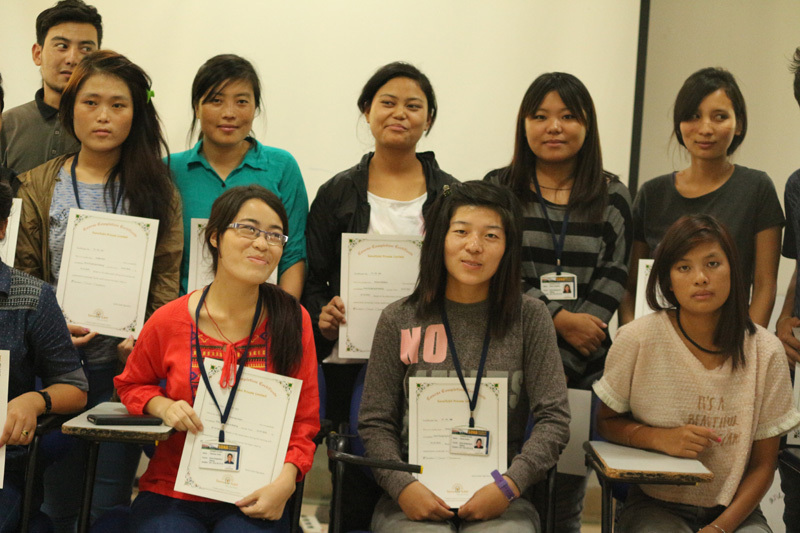 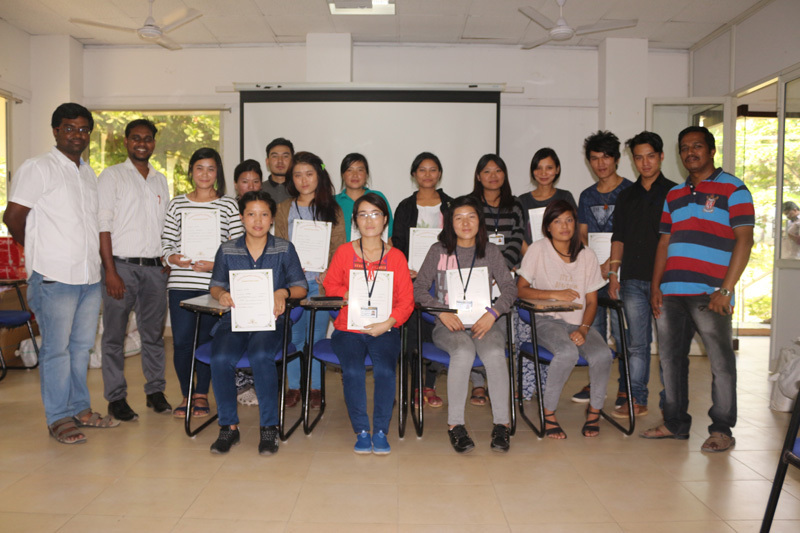 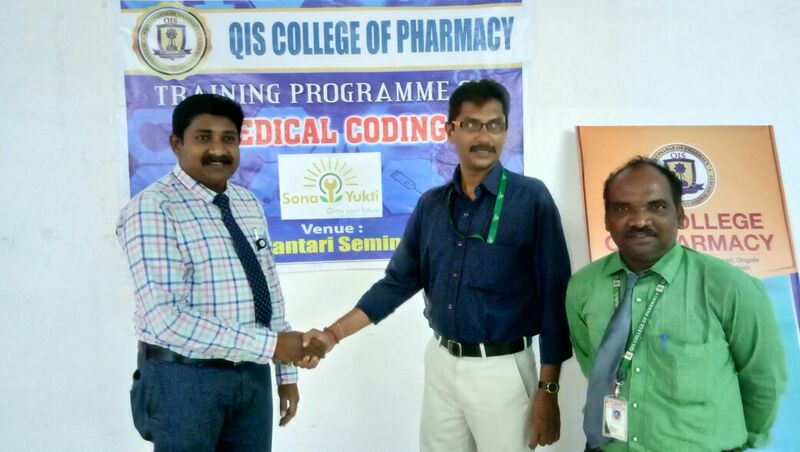 Sona Yukti conducted the medical coding training for the Final Year & Pre final Year students at QIS COLLEGE OF PHARMACY!!! 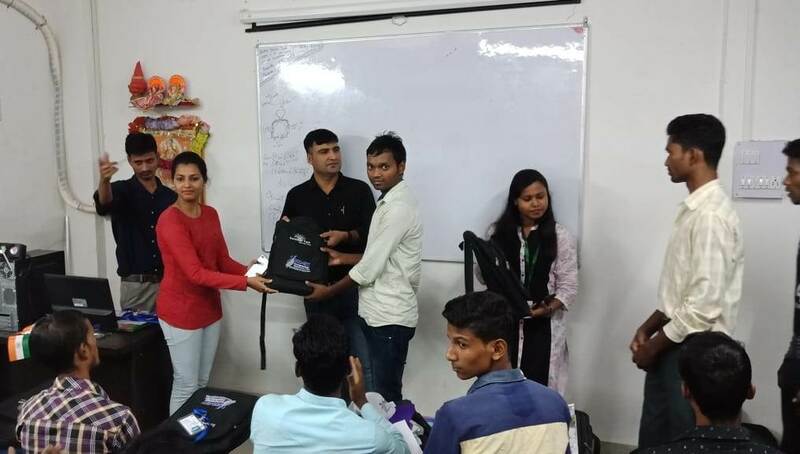 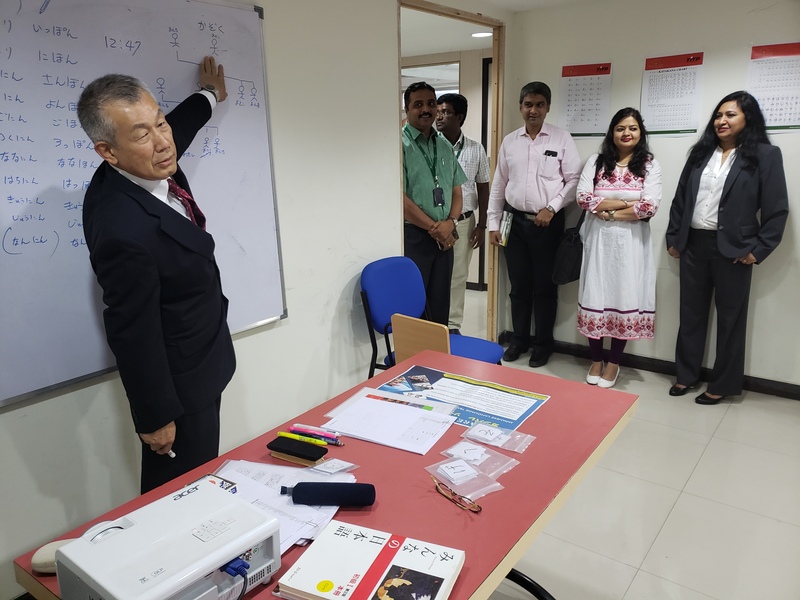 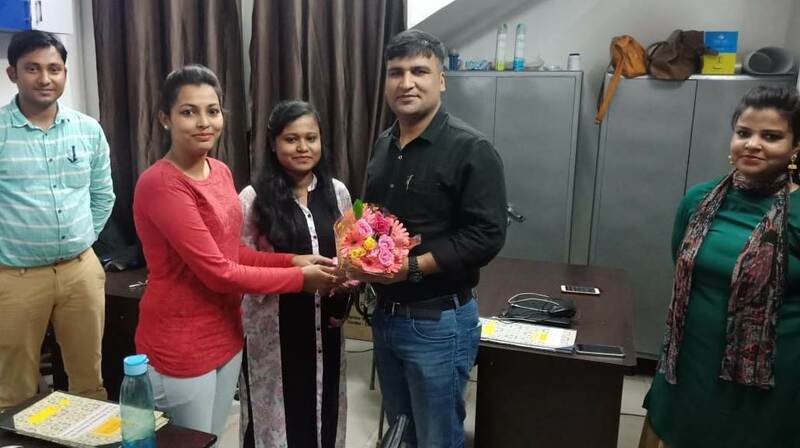 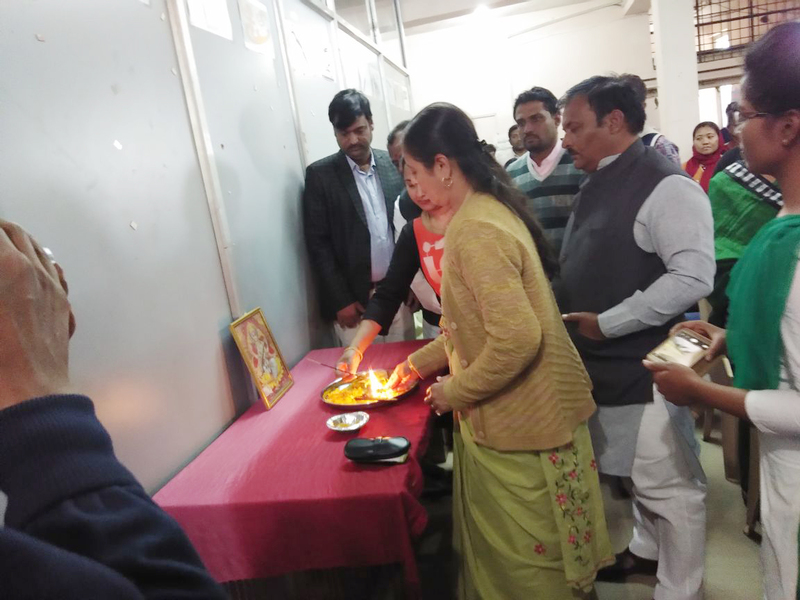 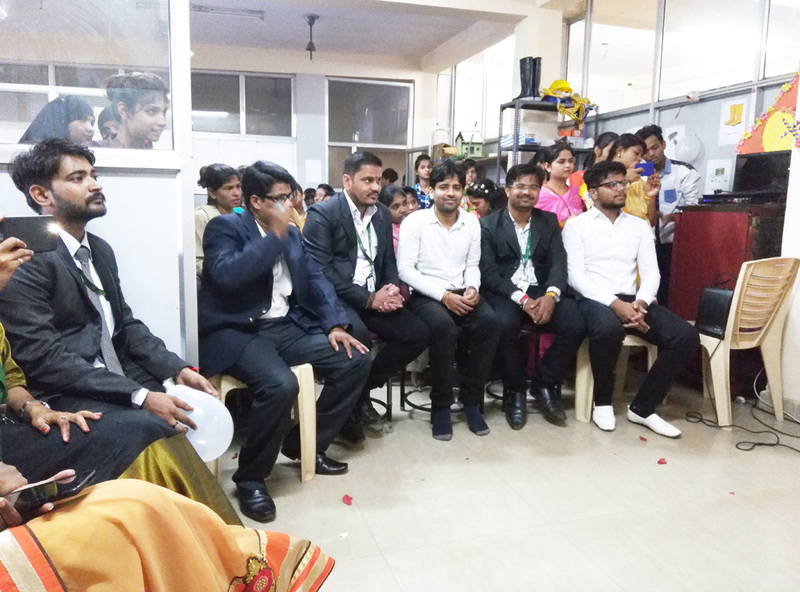 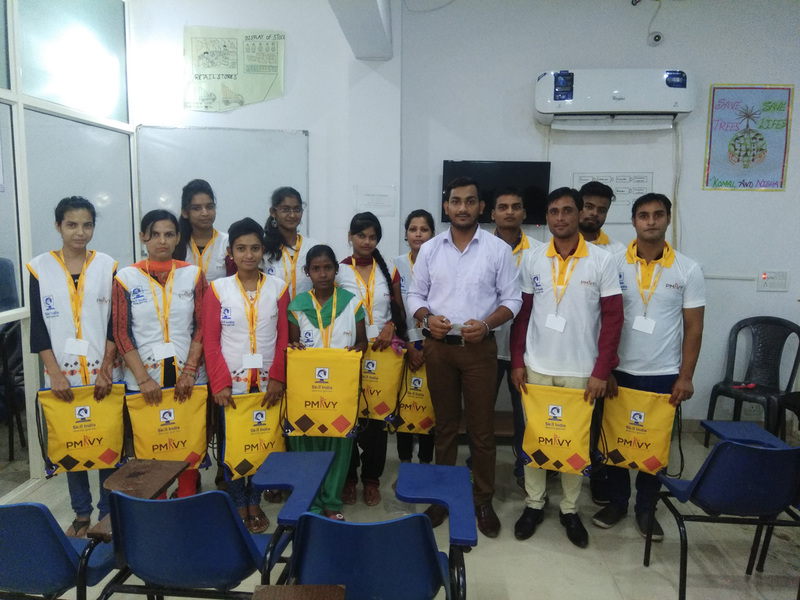 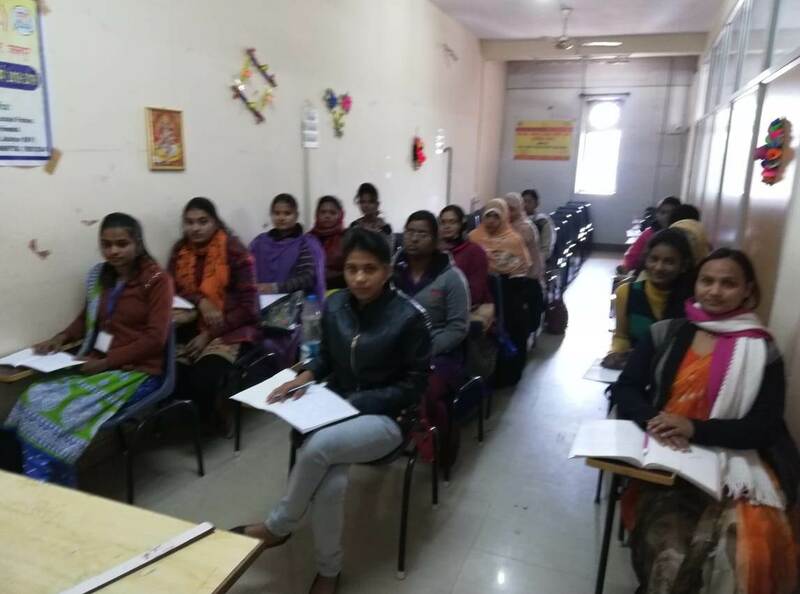 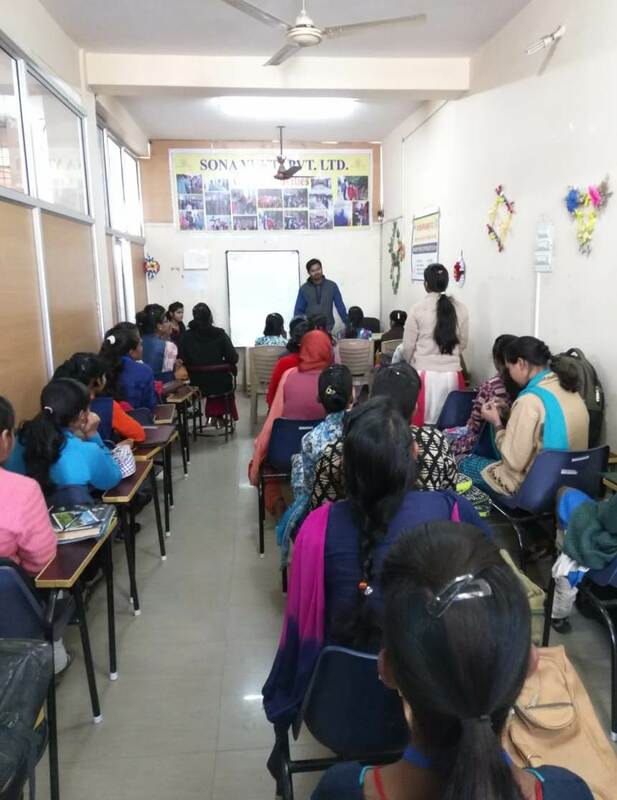 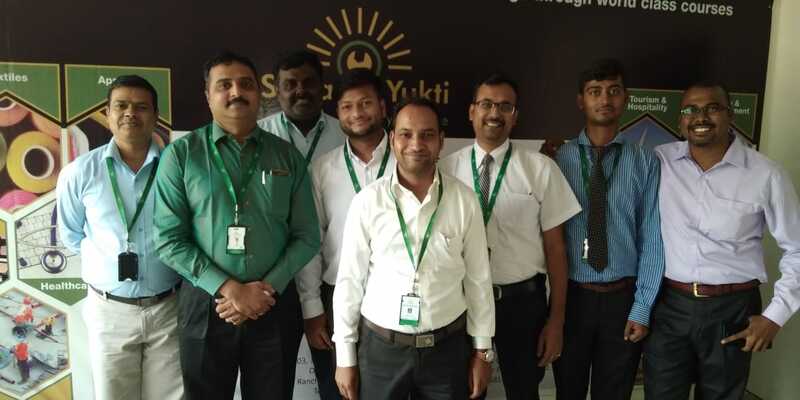 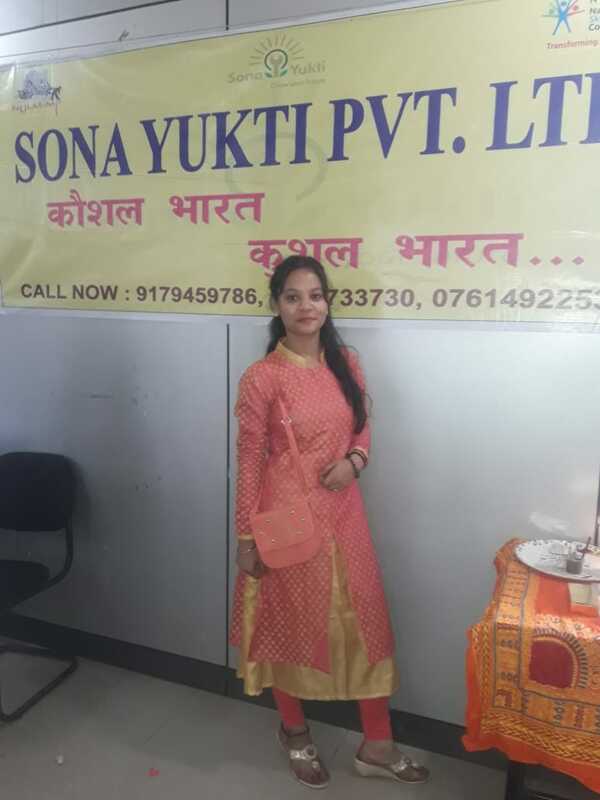 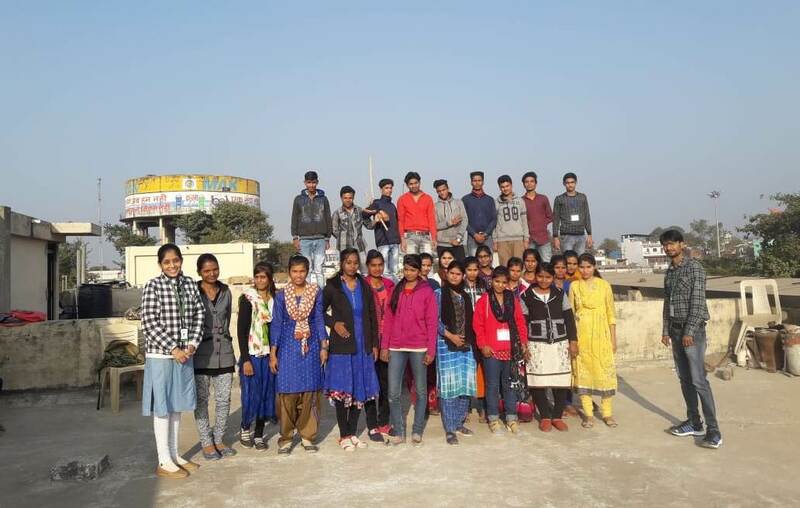 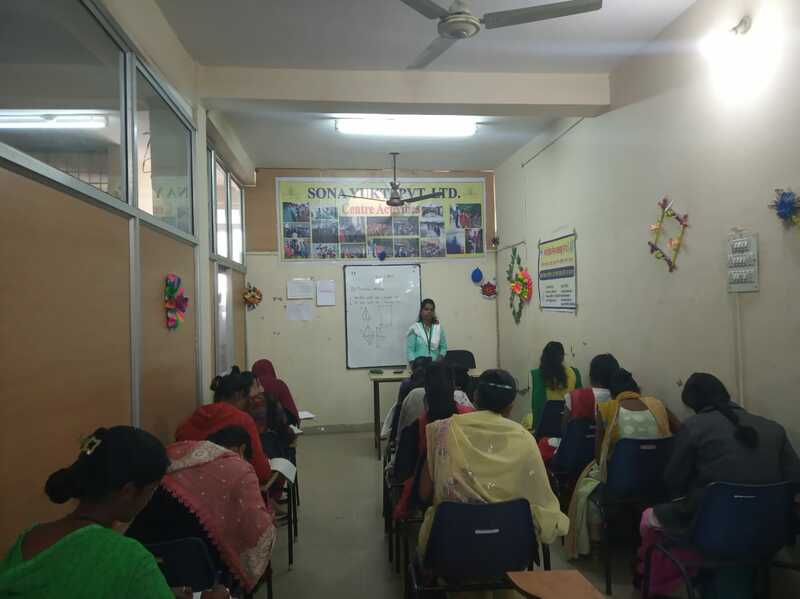 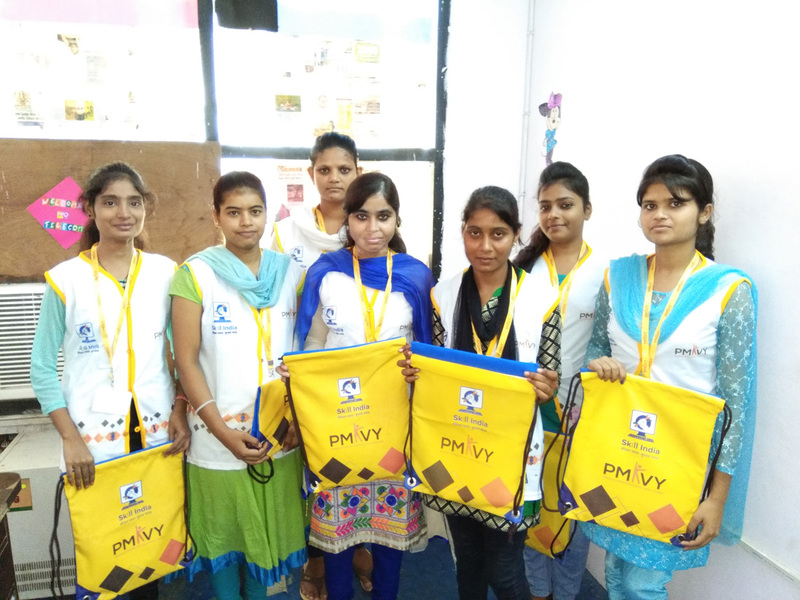 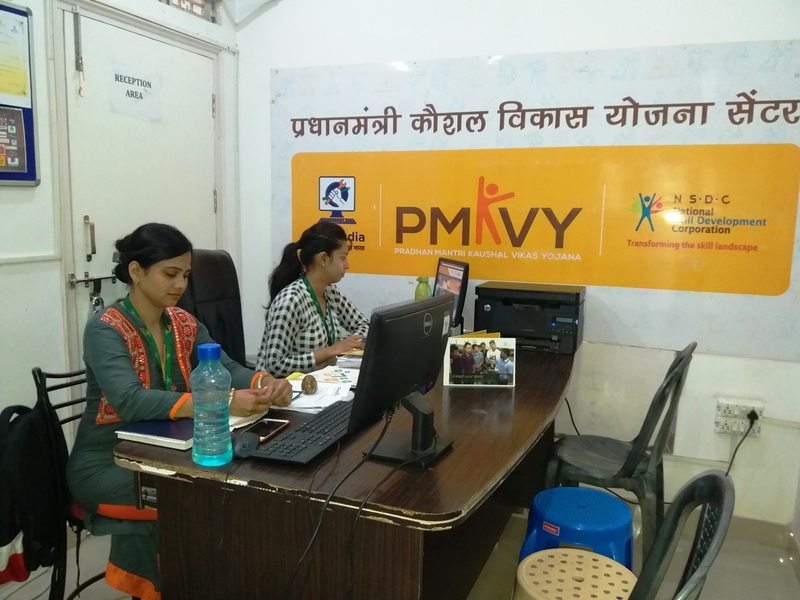 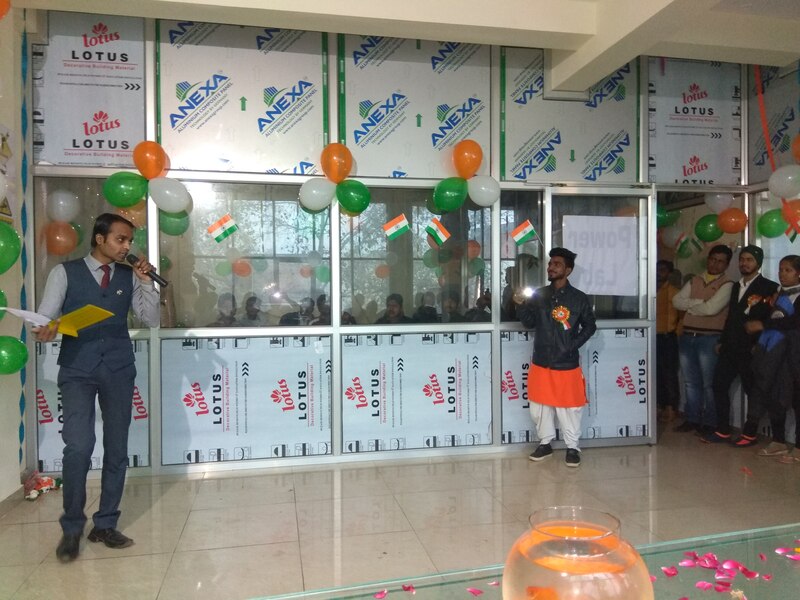 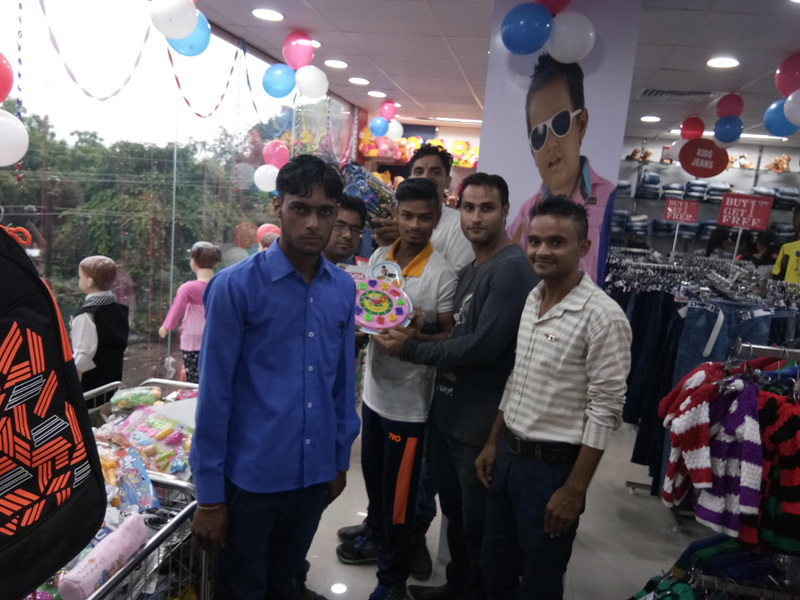 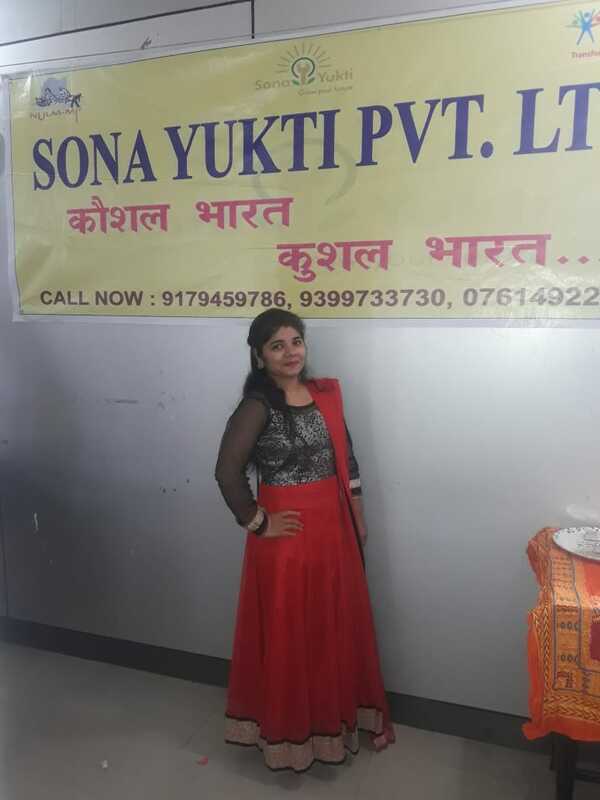 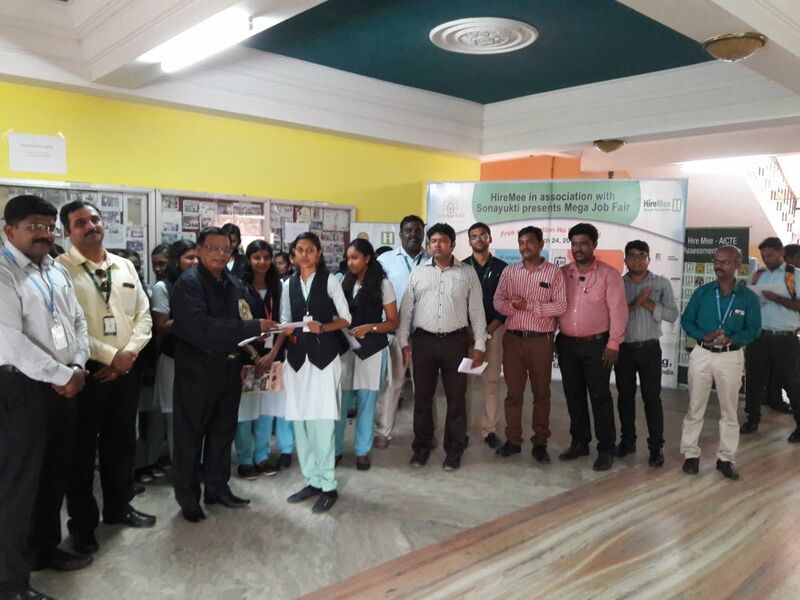 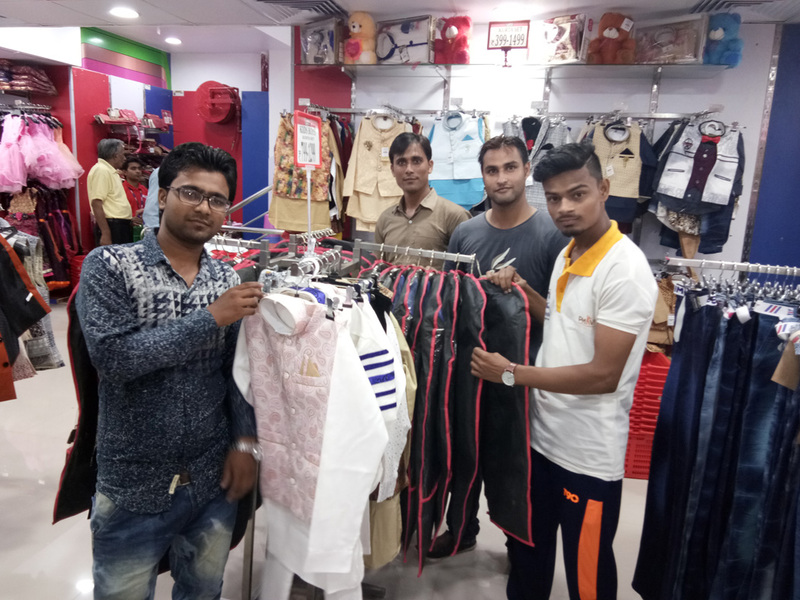 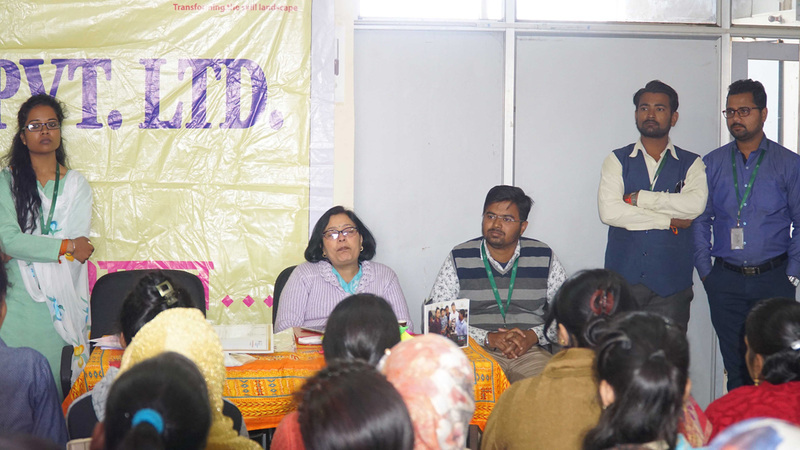 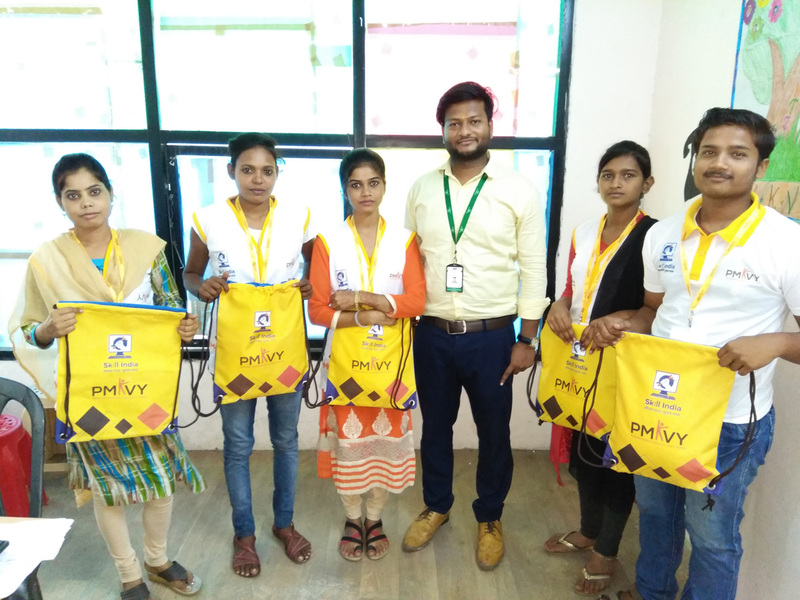 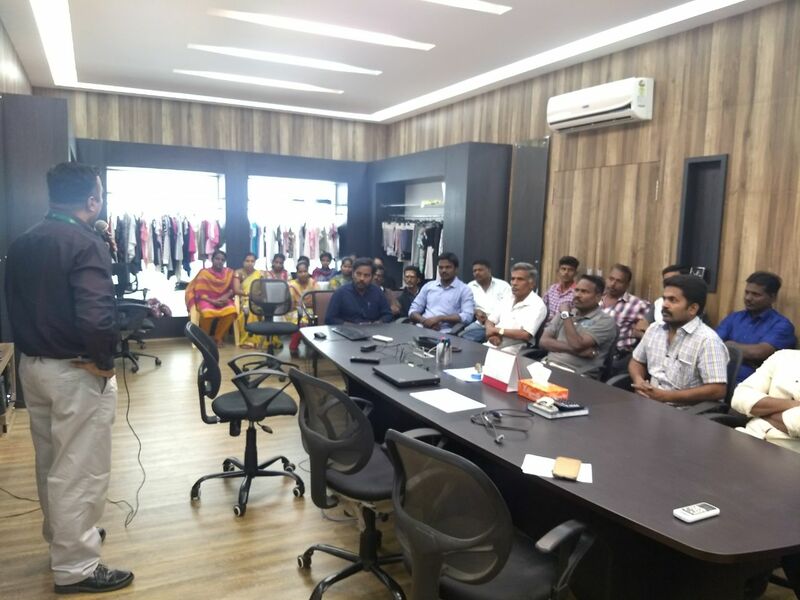 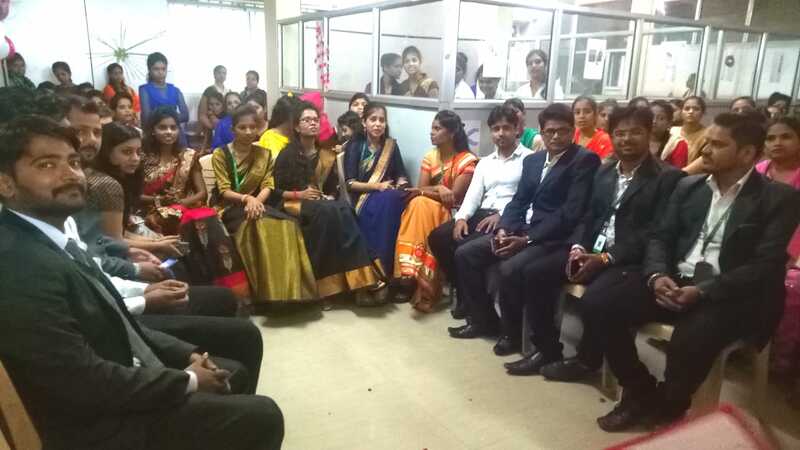 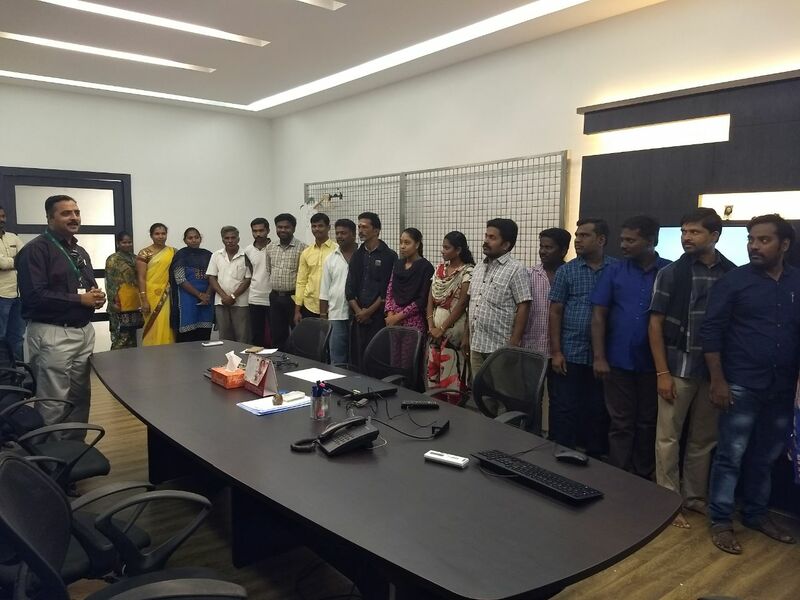 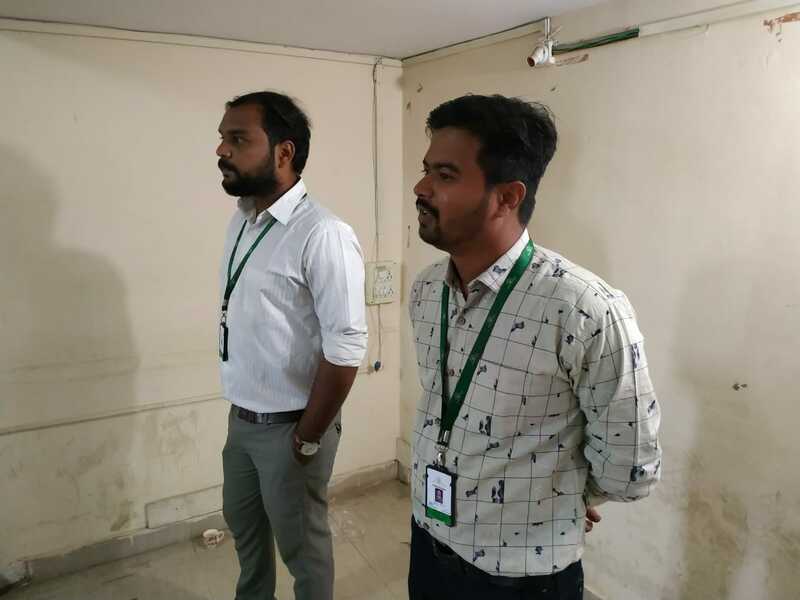 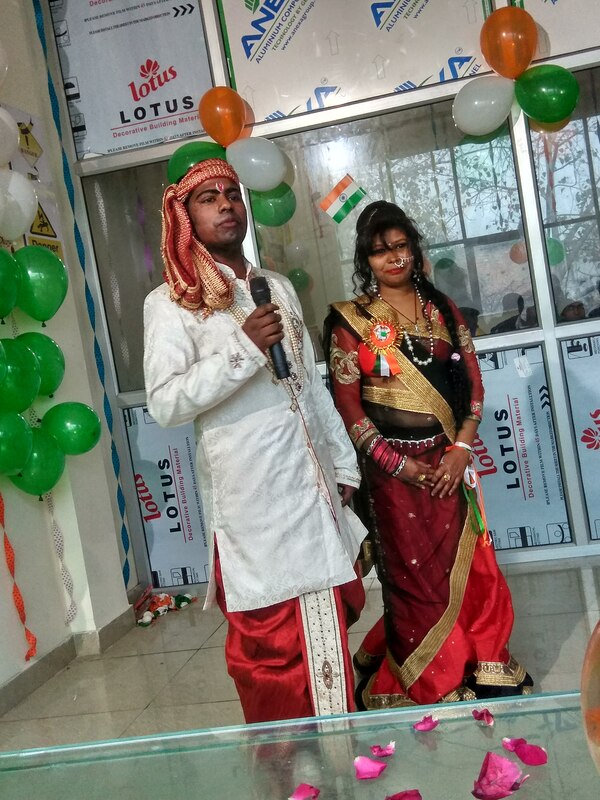 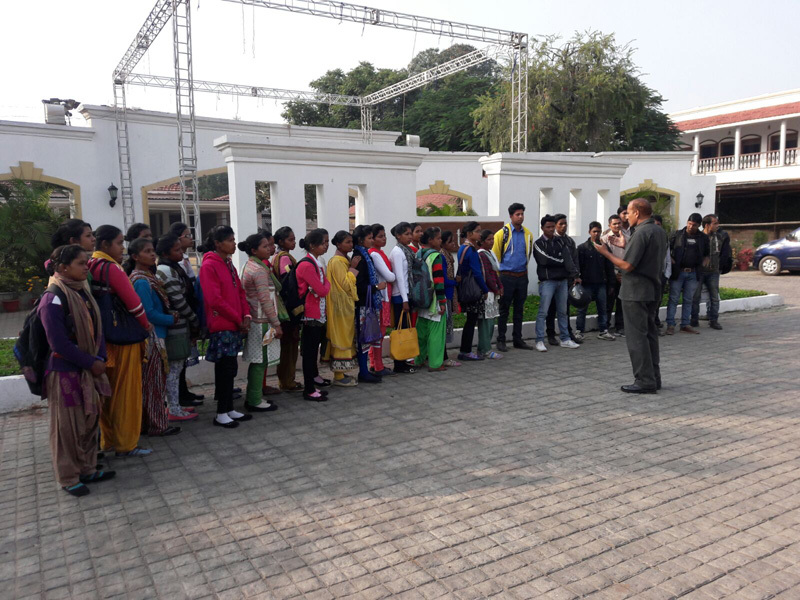 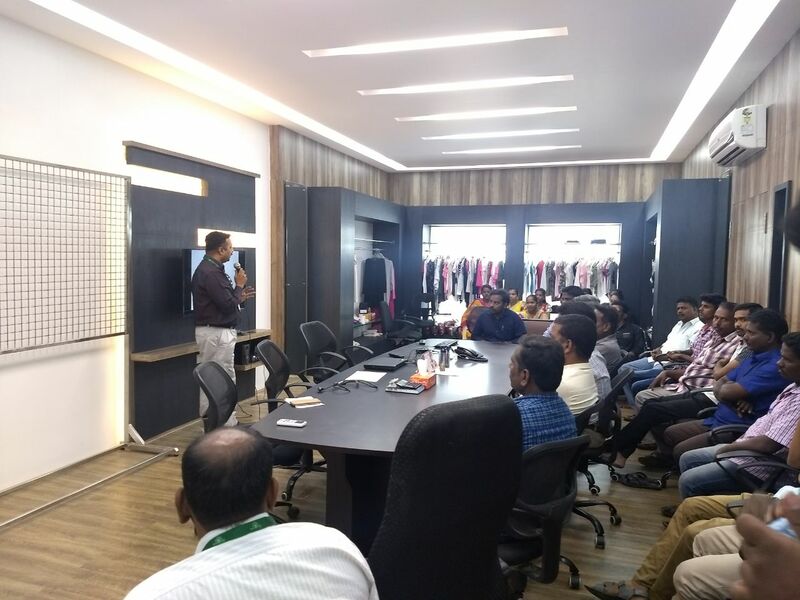 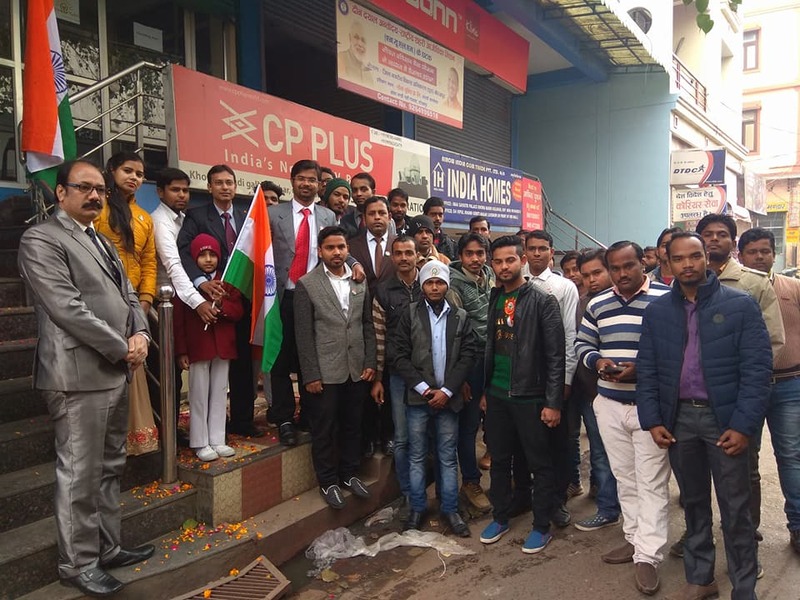 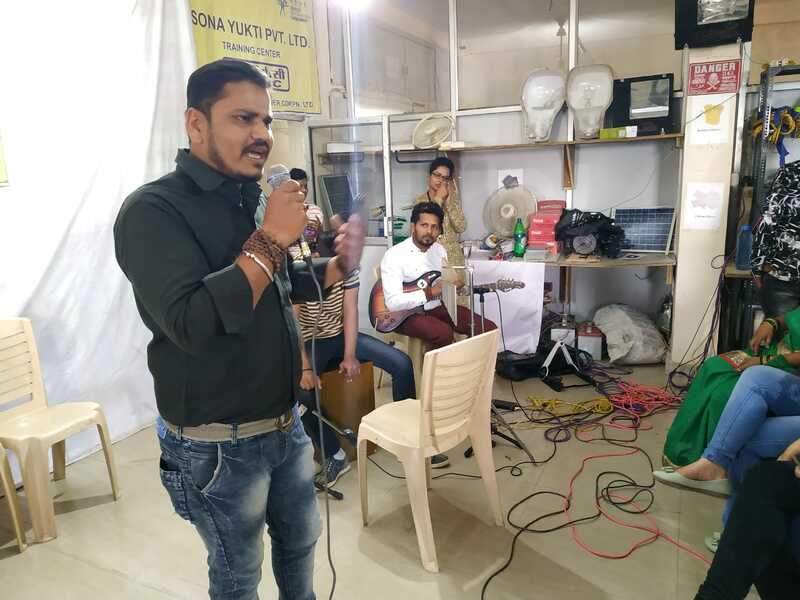 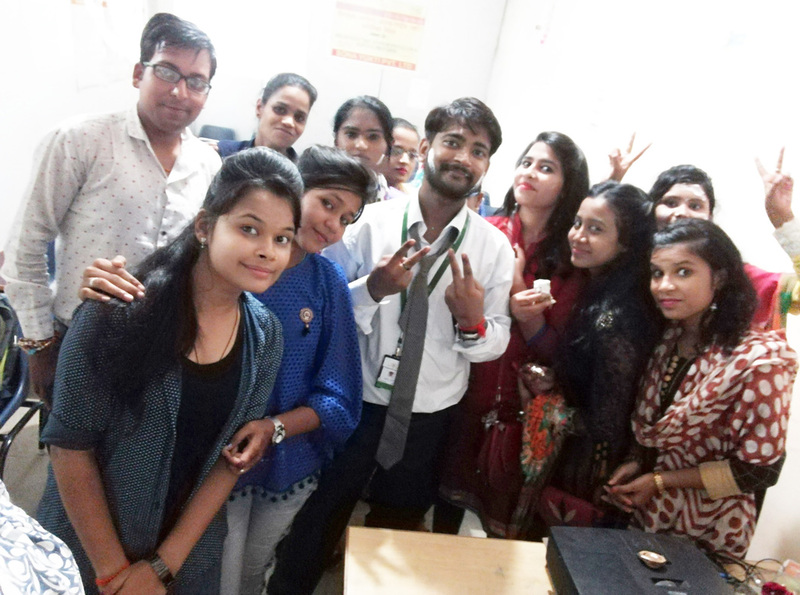 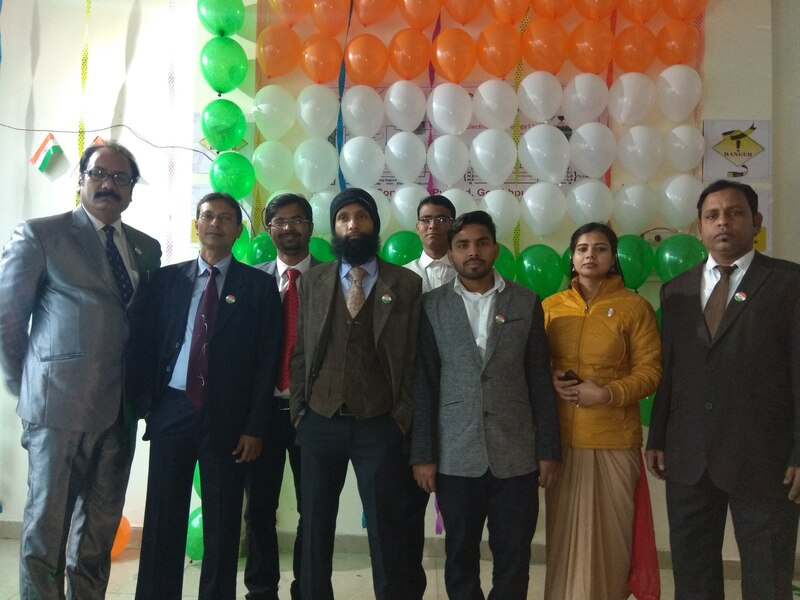 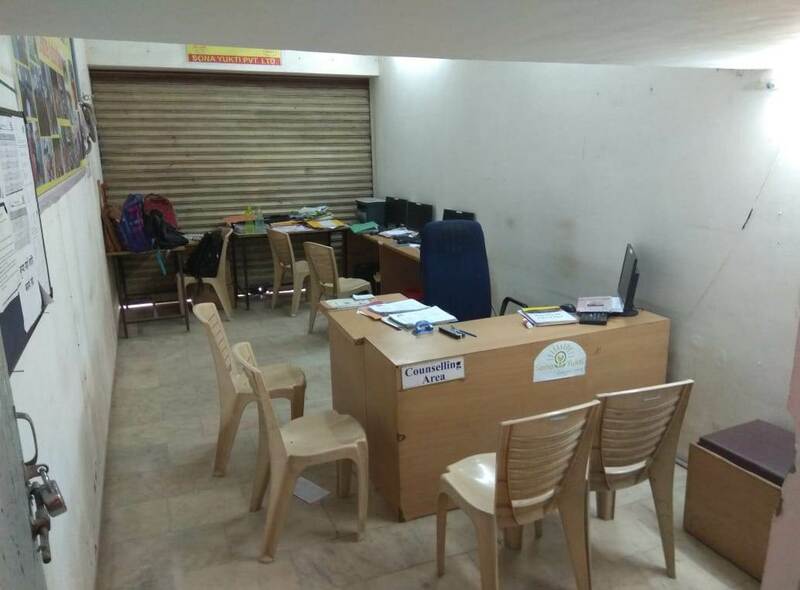 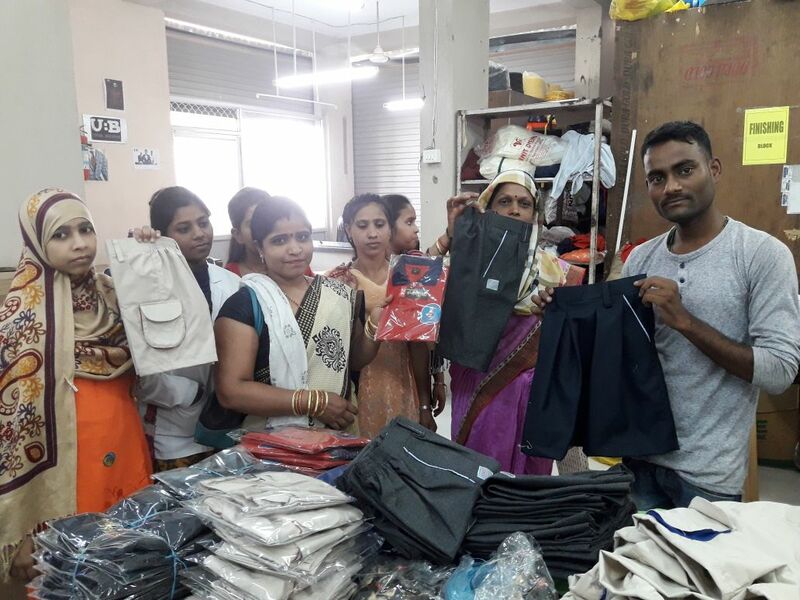 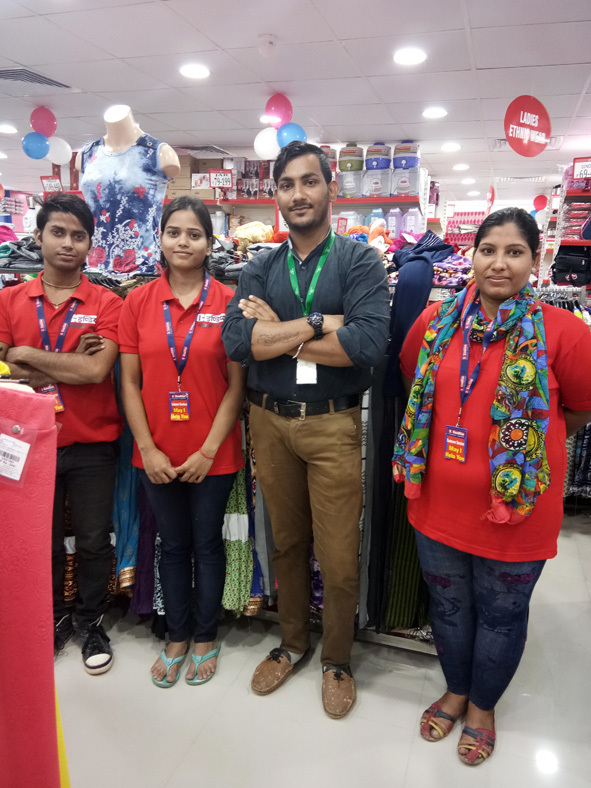 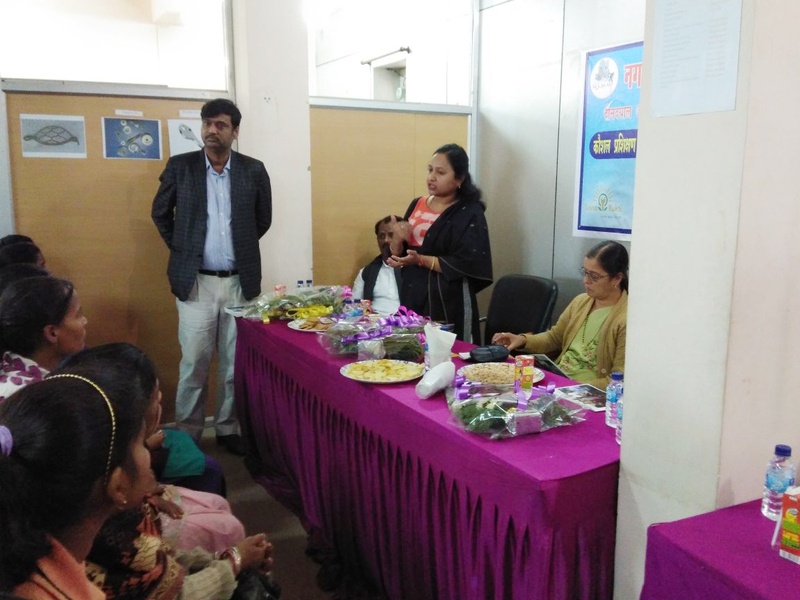 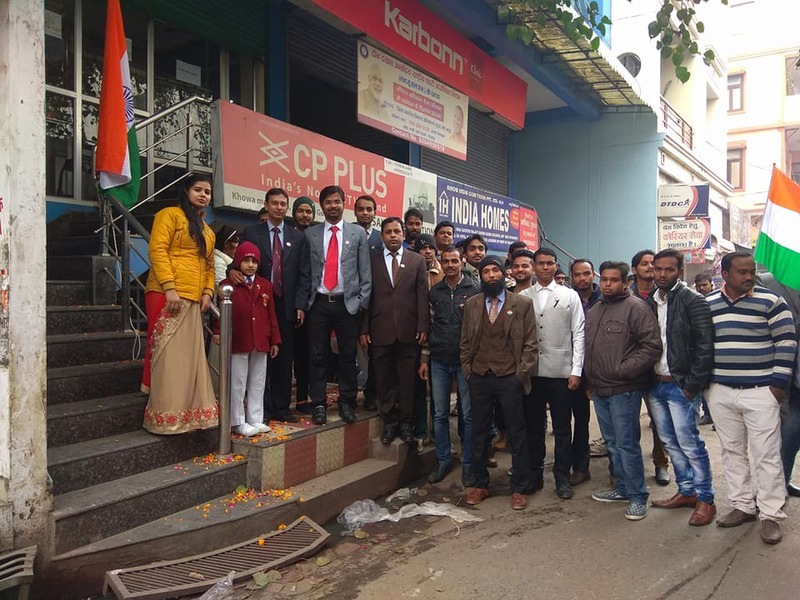 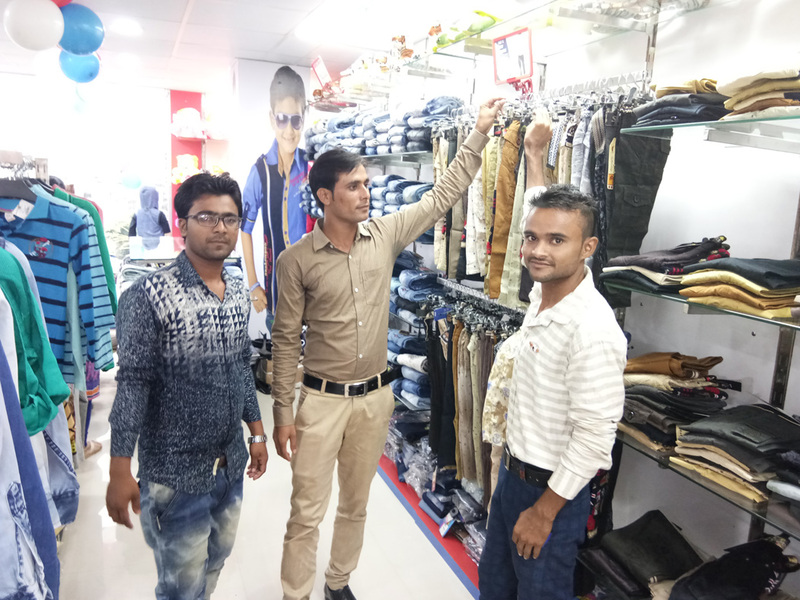 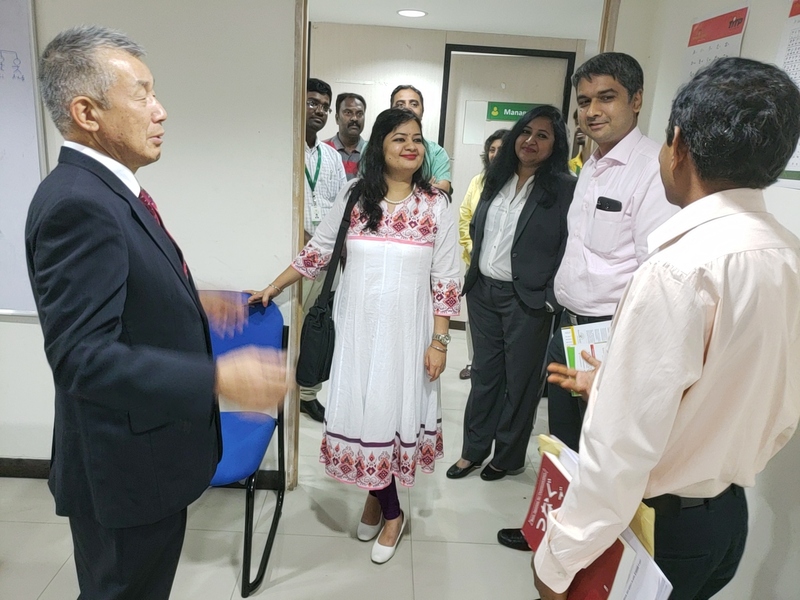 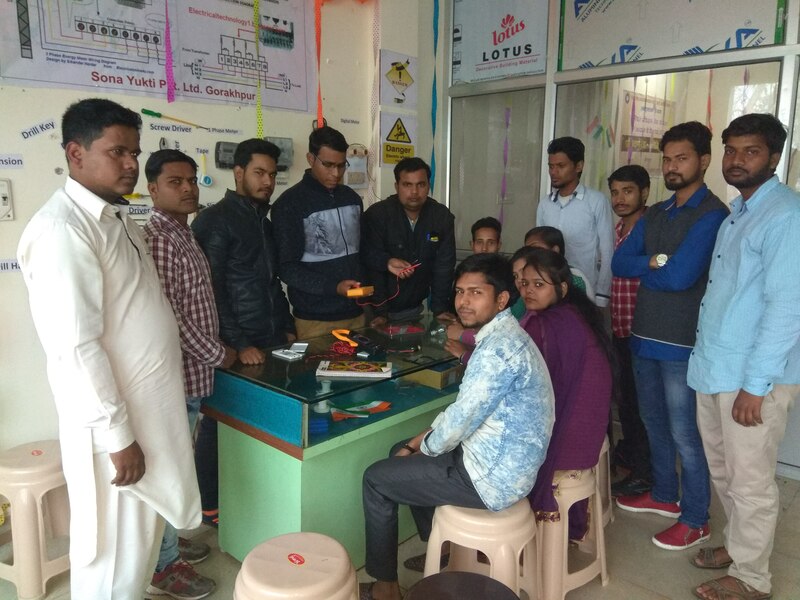 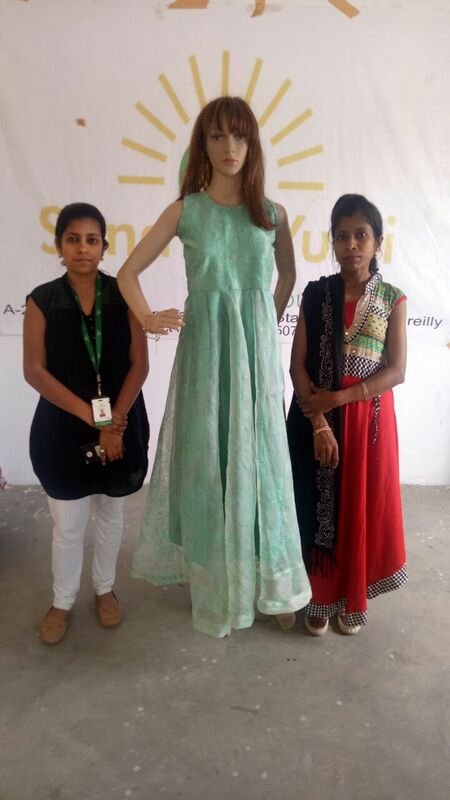 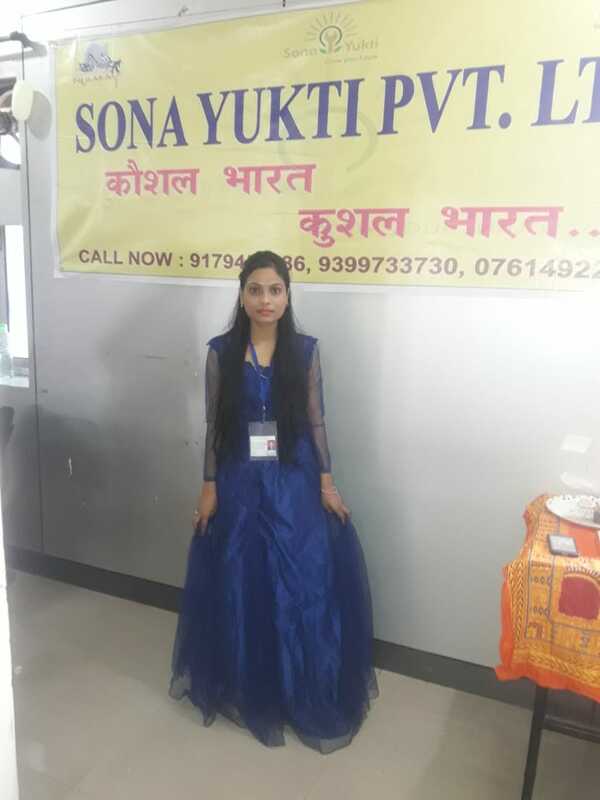 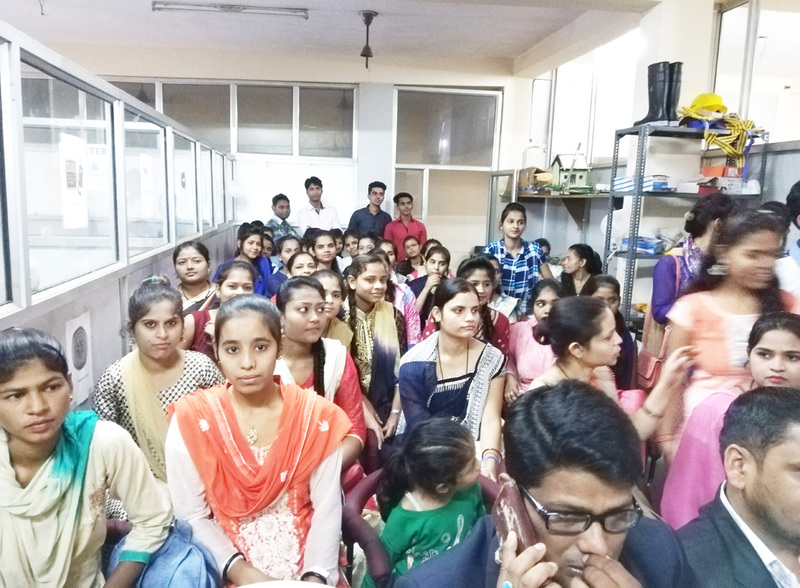 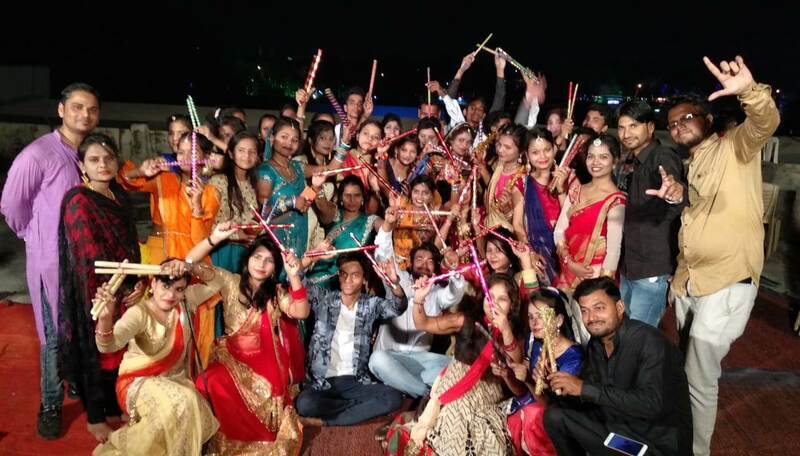 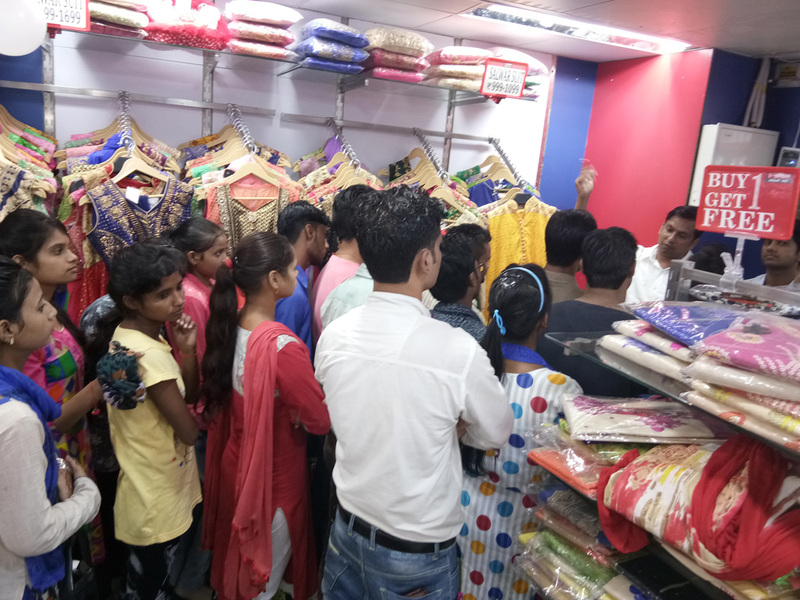 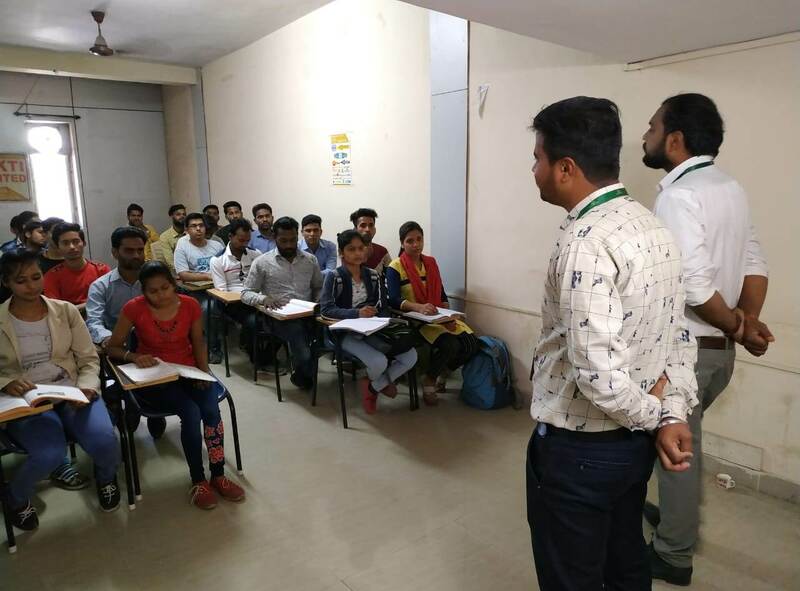 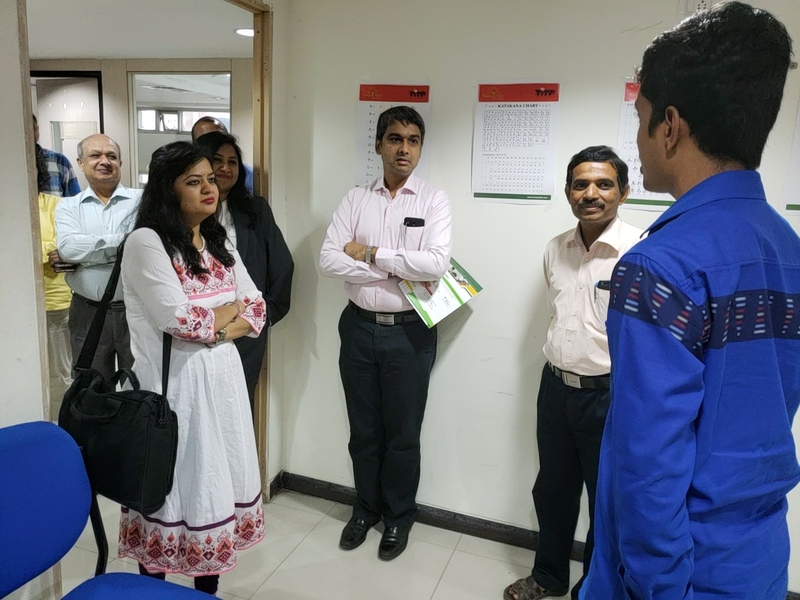 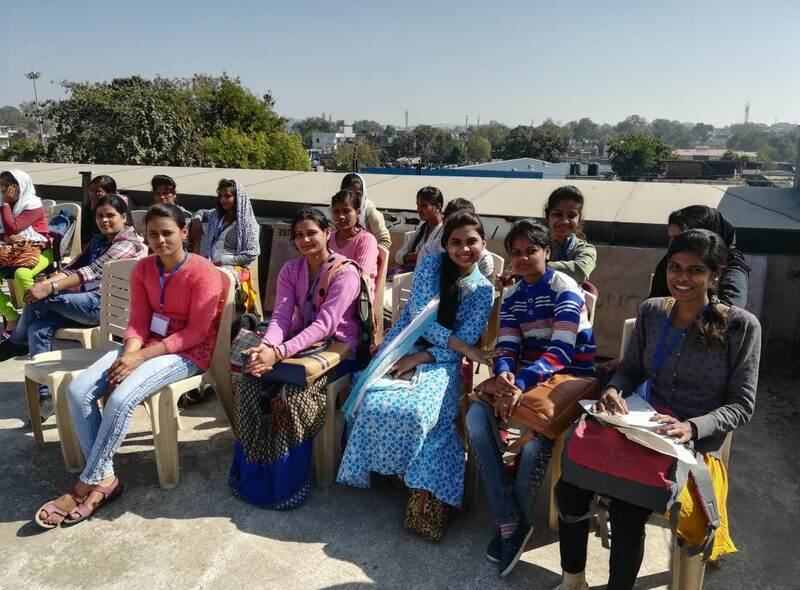 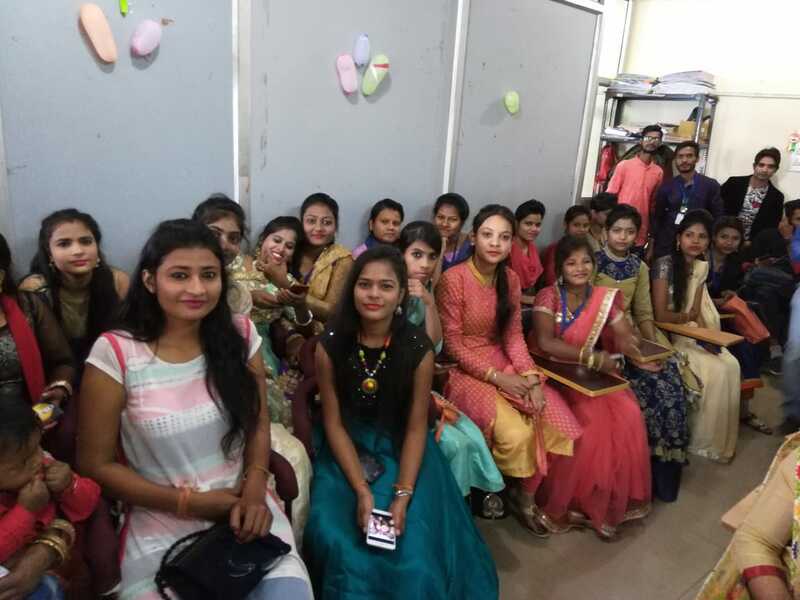 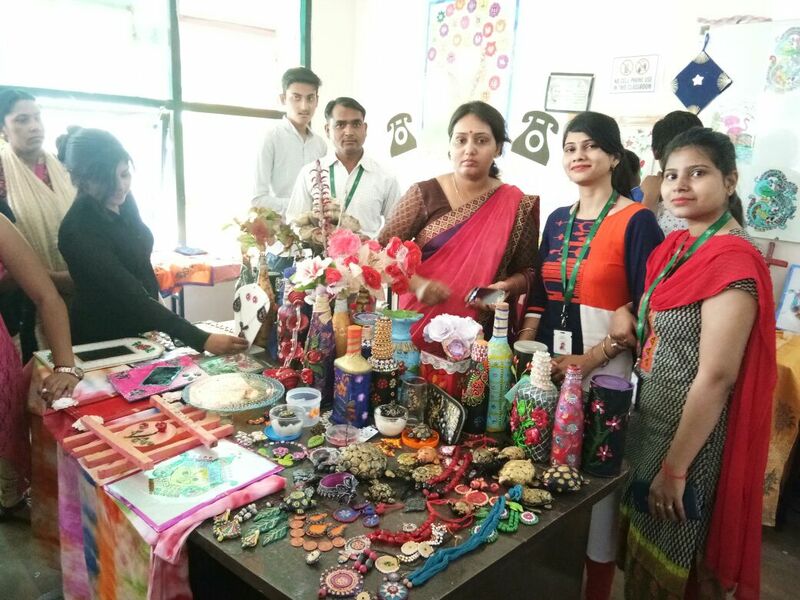 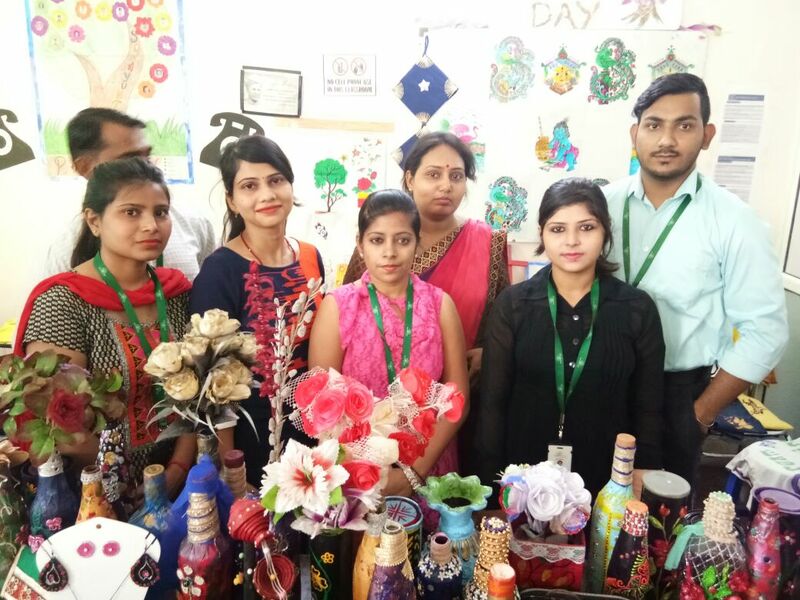 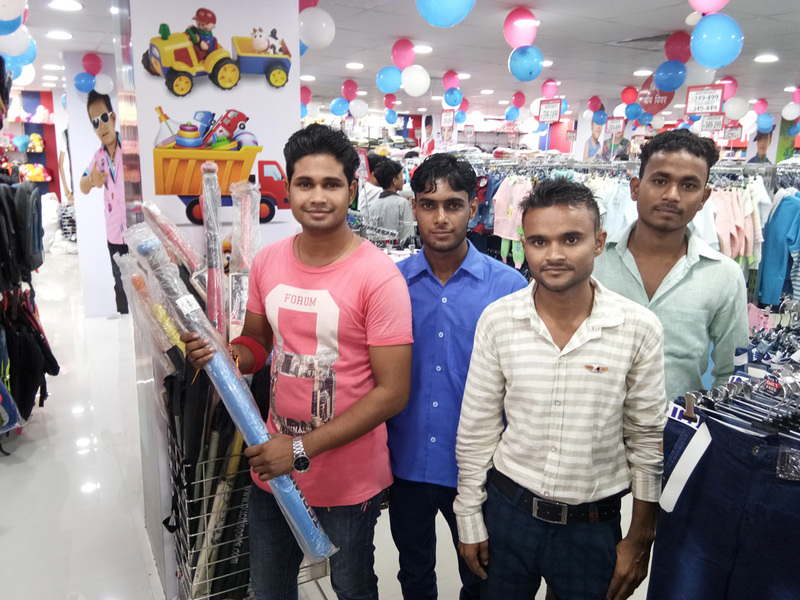 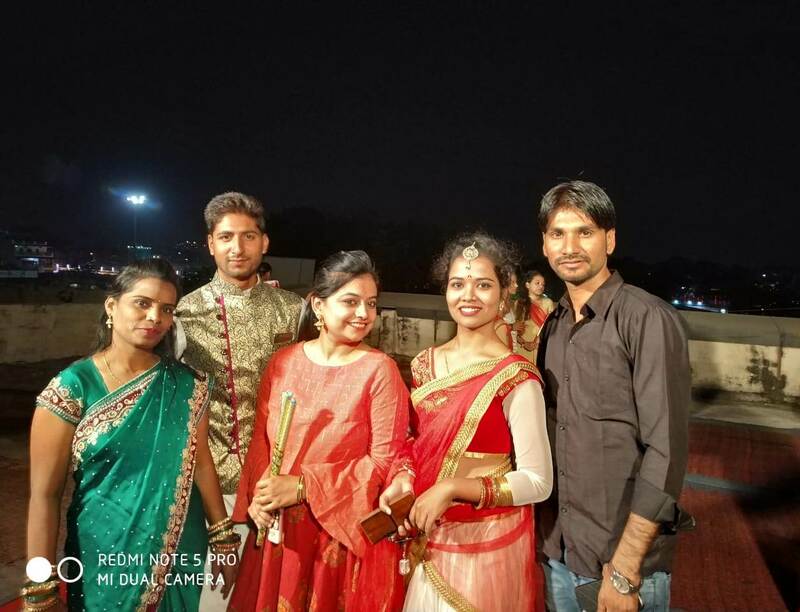 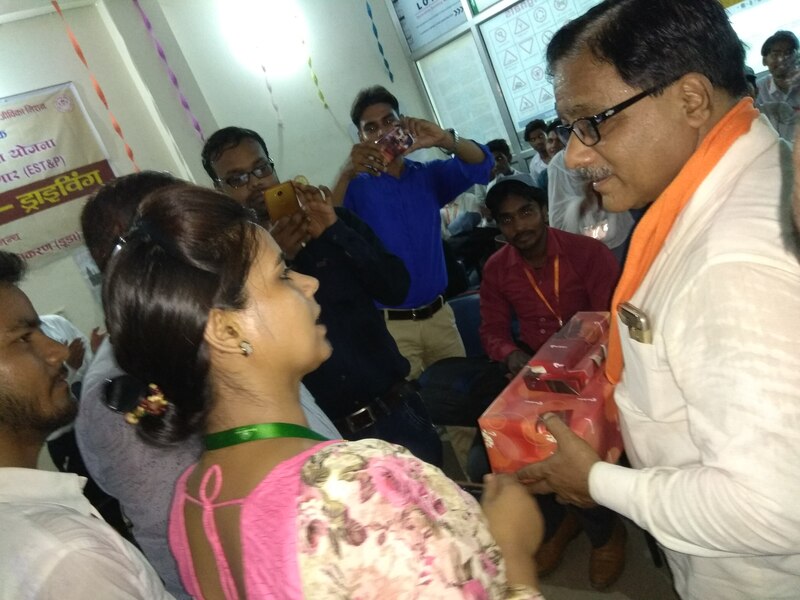 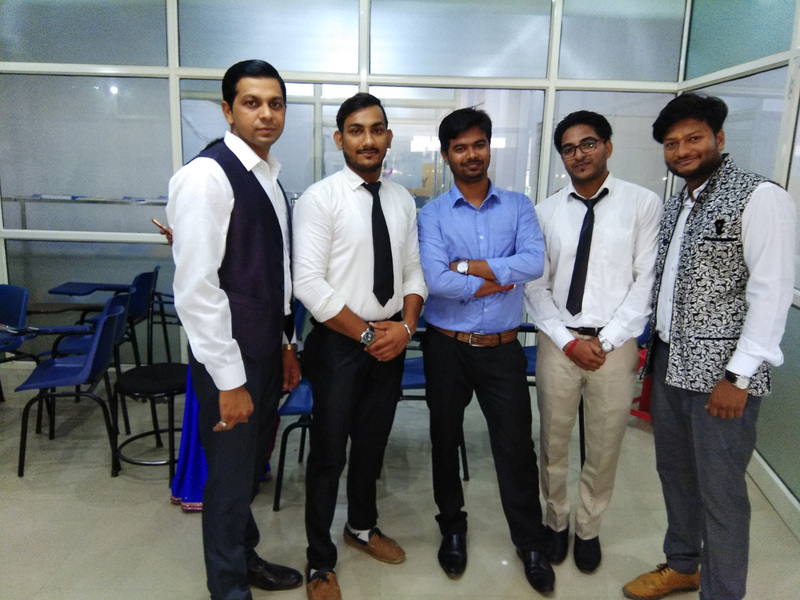 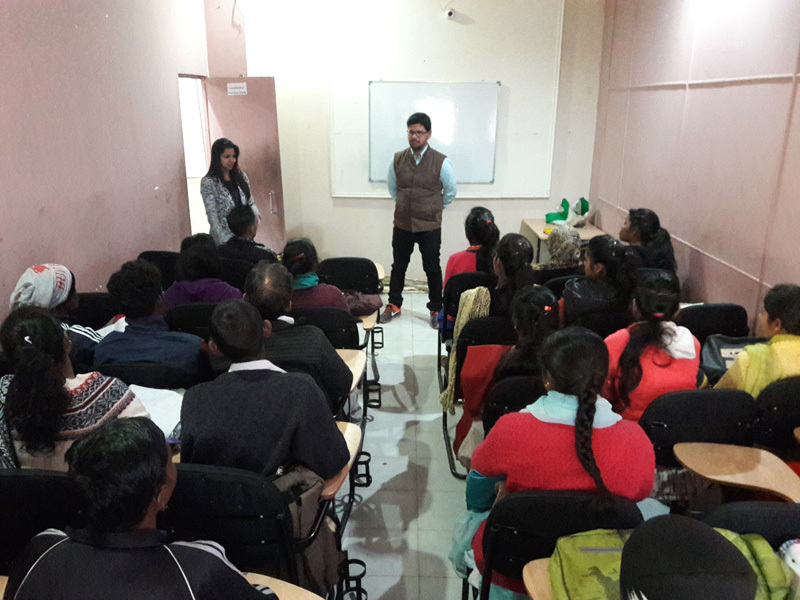 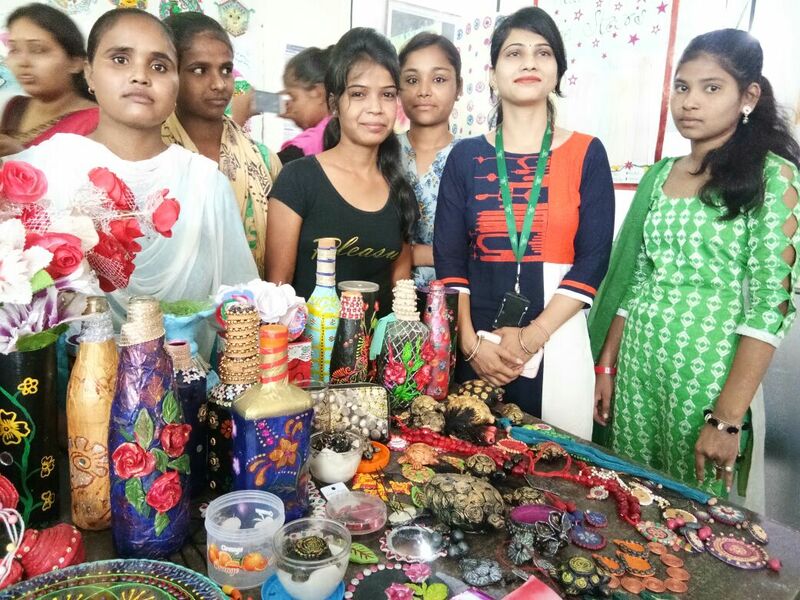 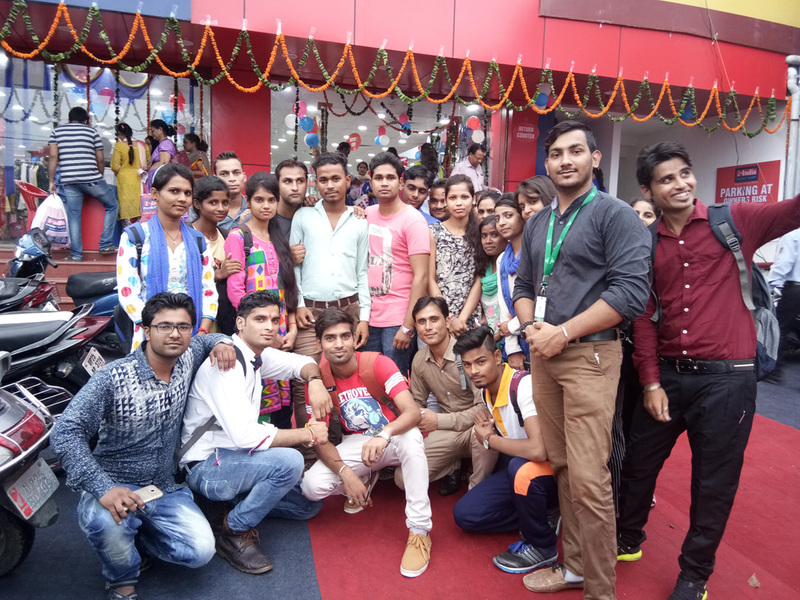 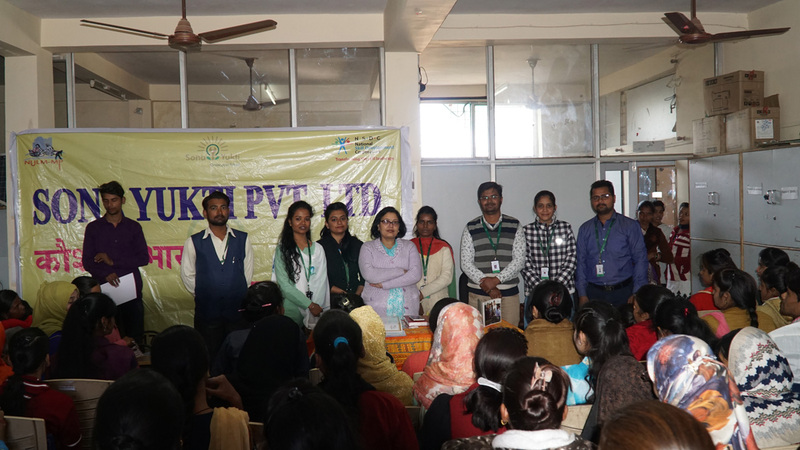 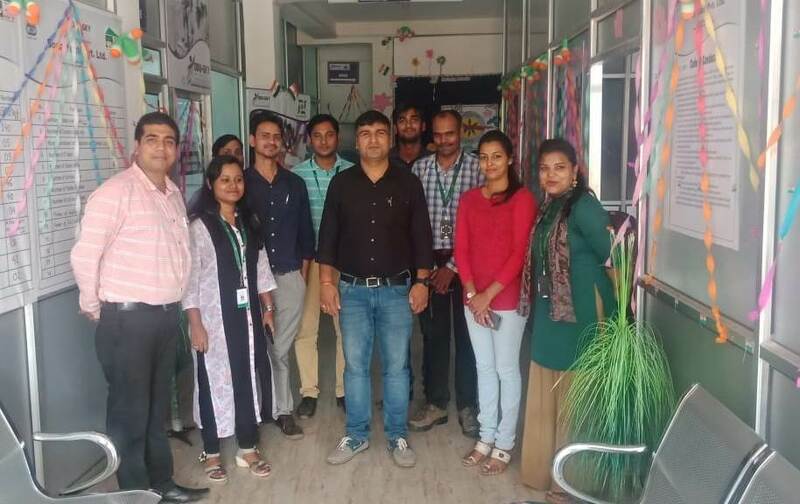 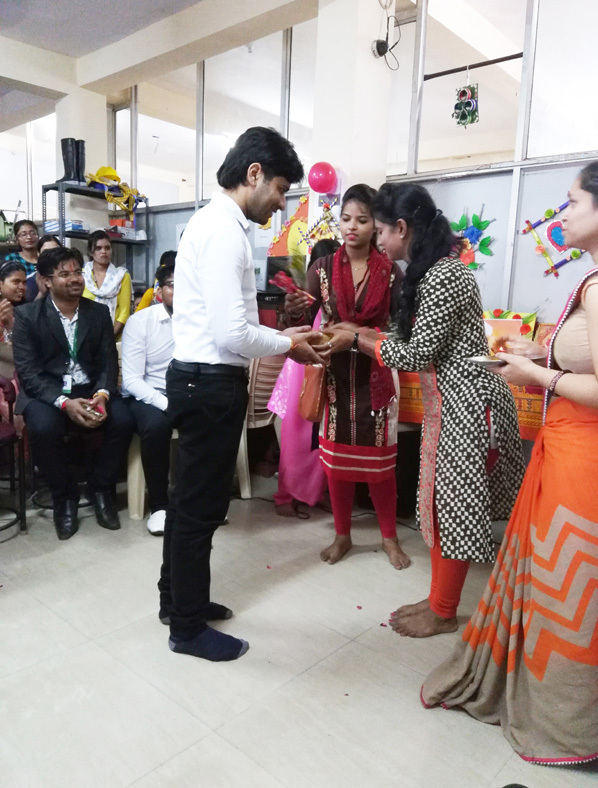 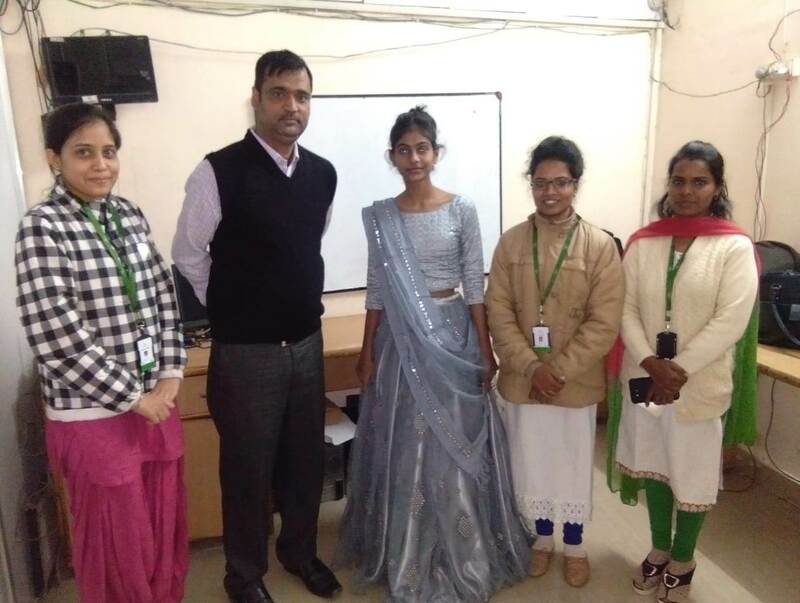 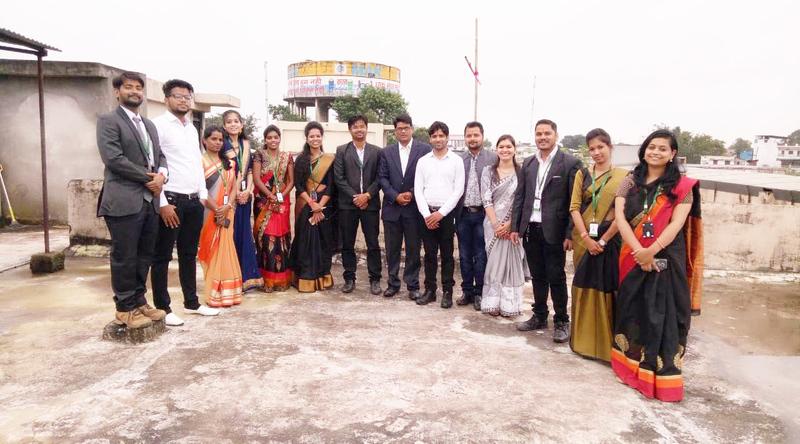 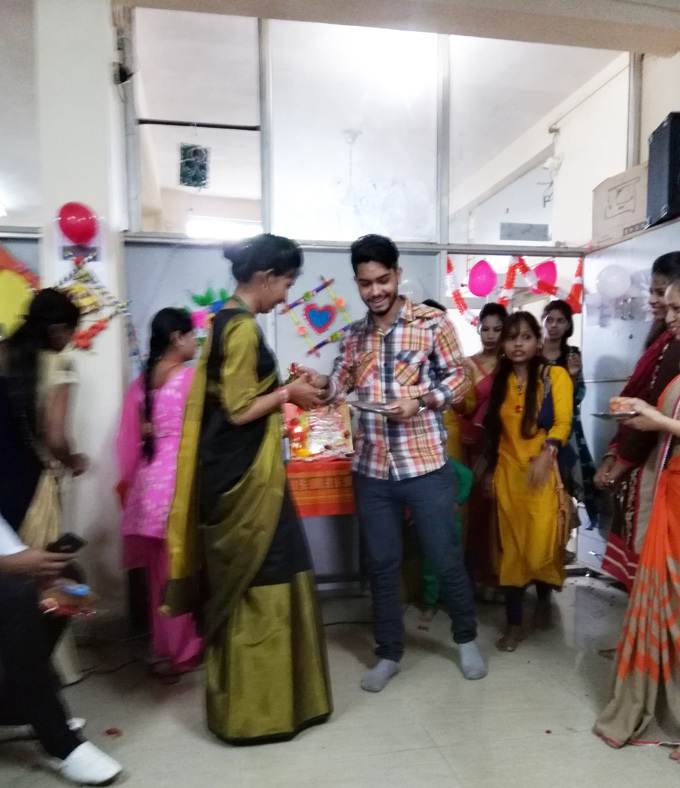 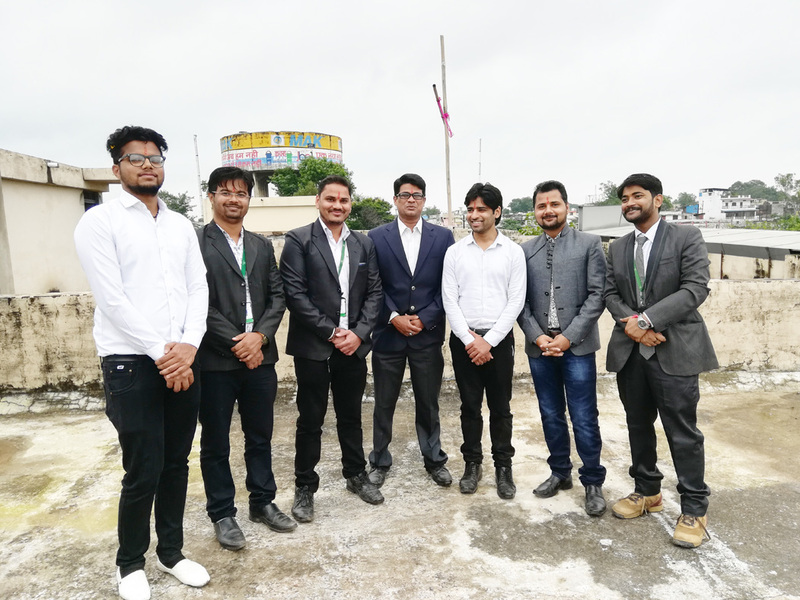 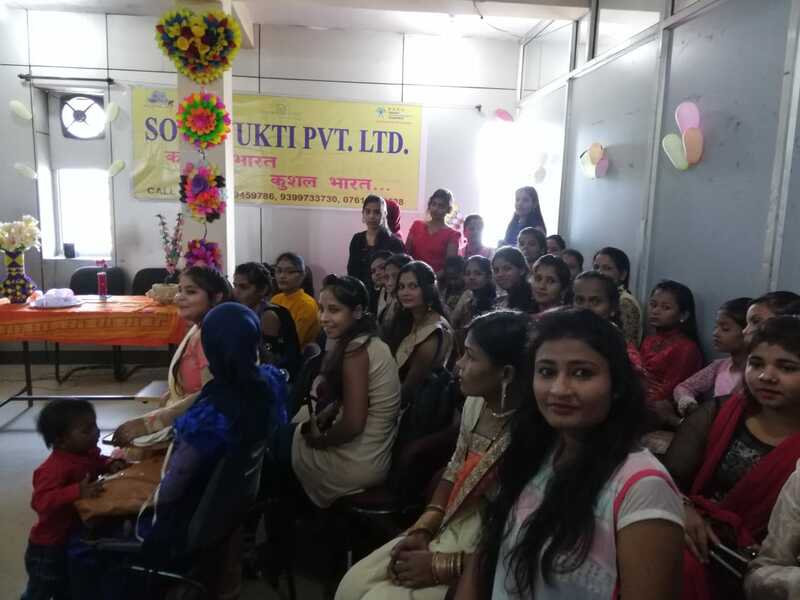 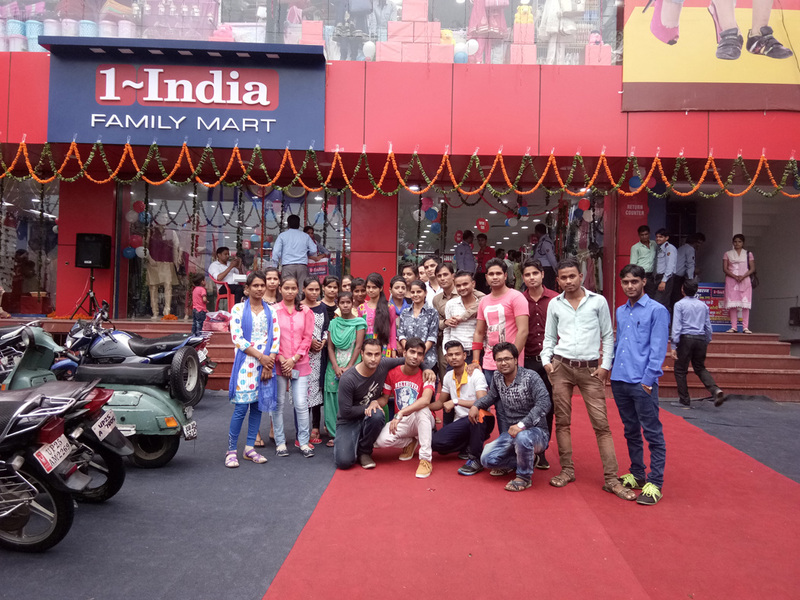 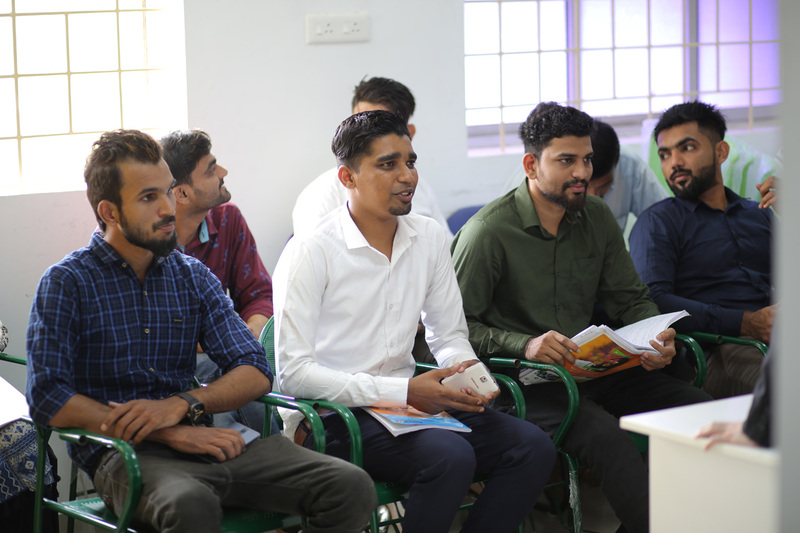 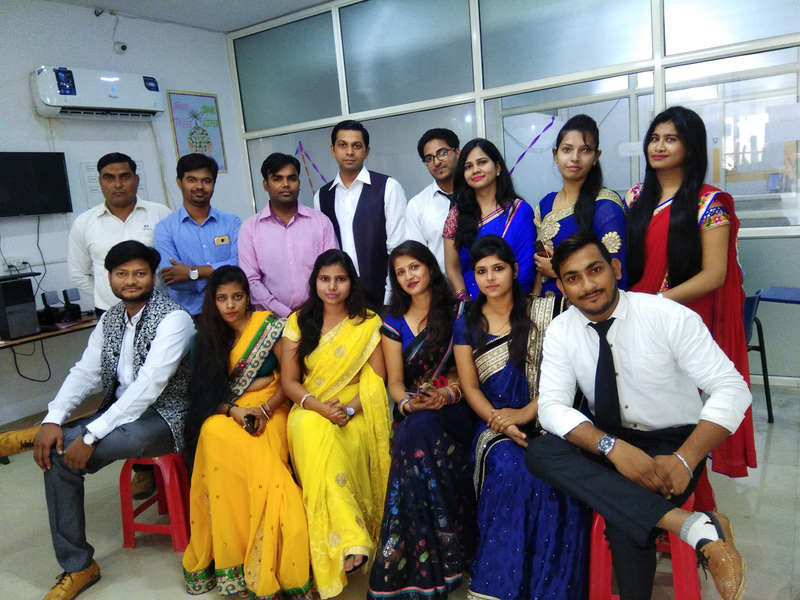 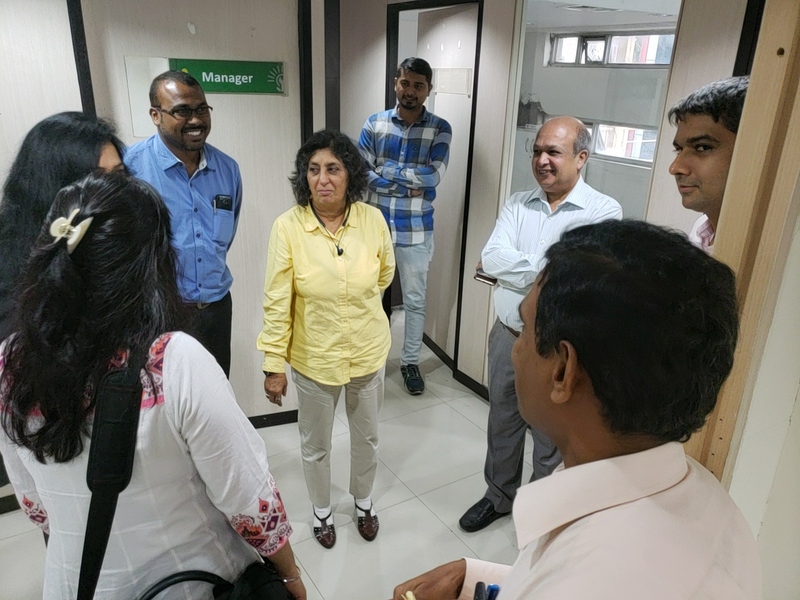 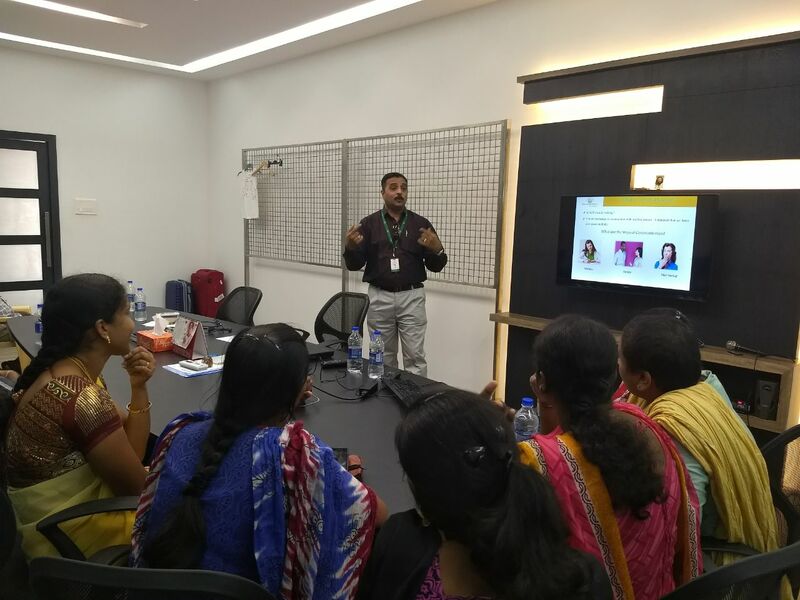 Sona Yukti’s Bareilly center’s retail course trainees visited India Mart and underwent professional training in all aspects of customer relationship management.